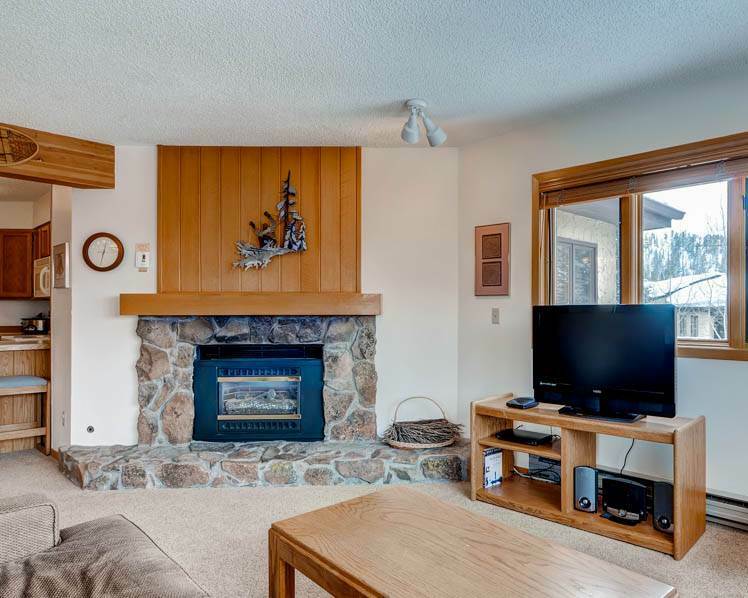 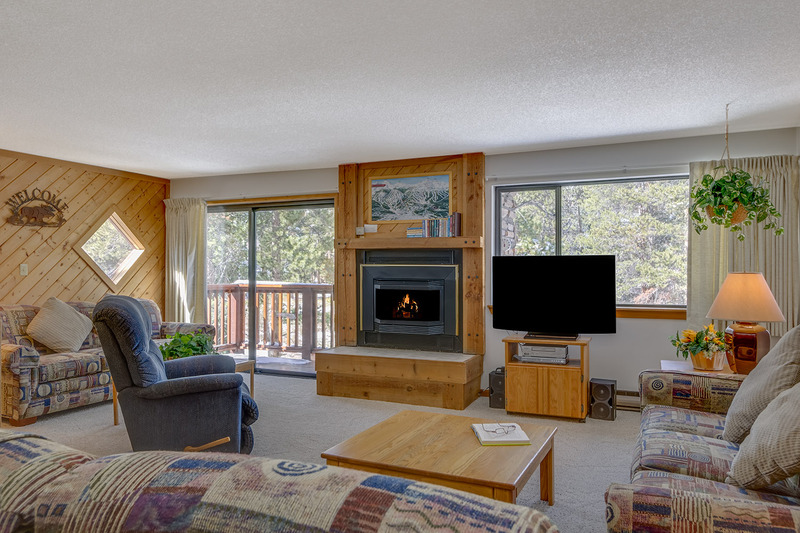 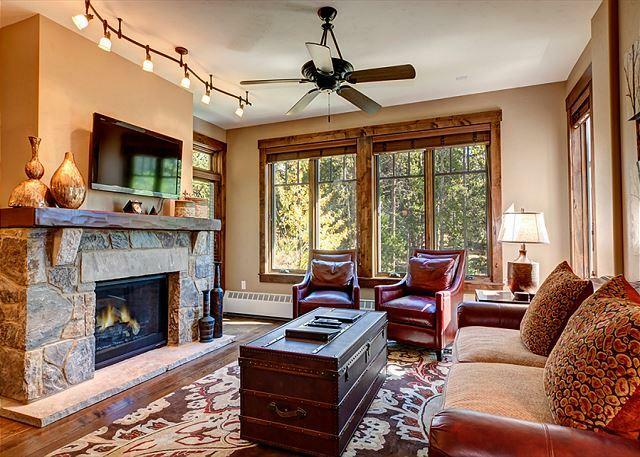 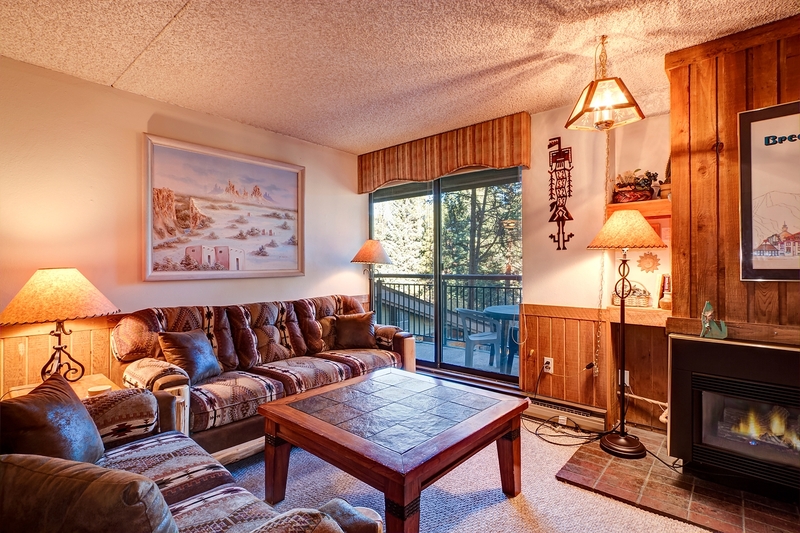 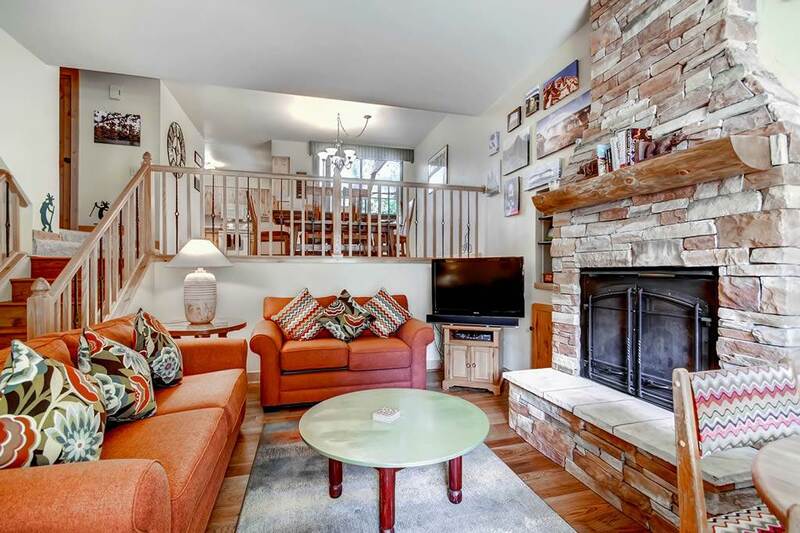 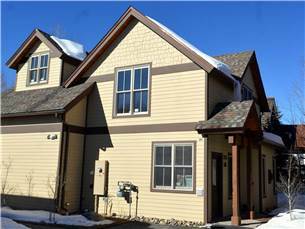 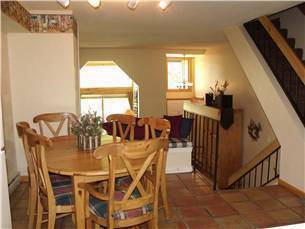 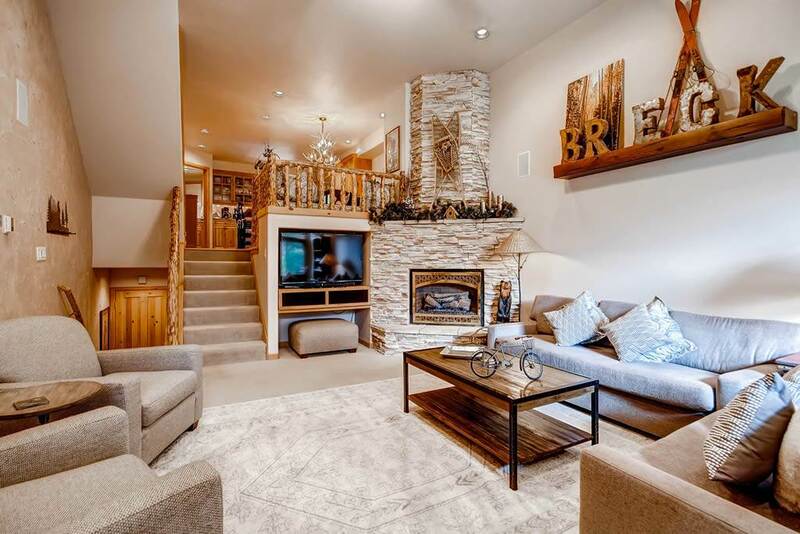 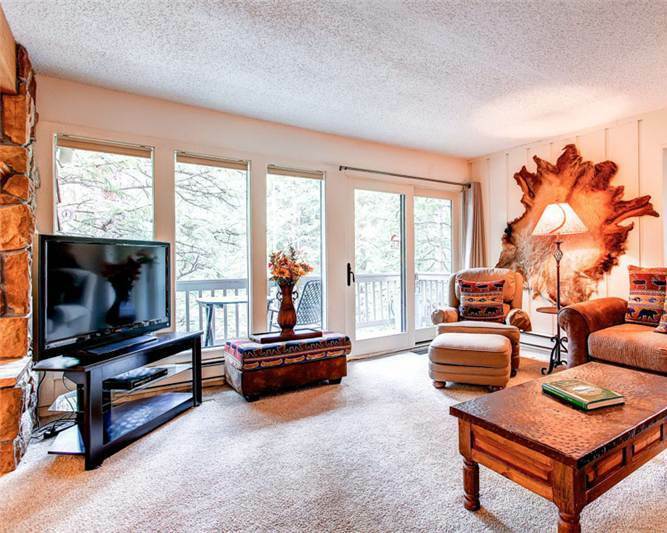 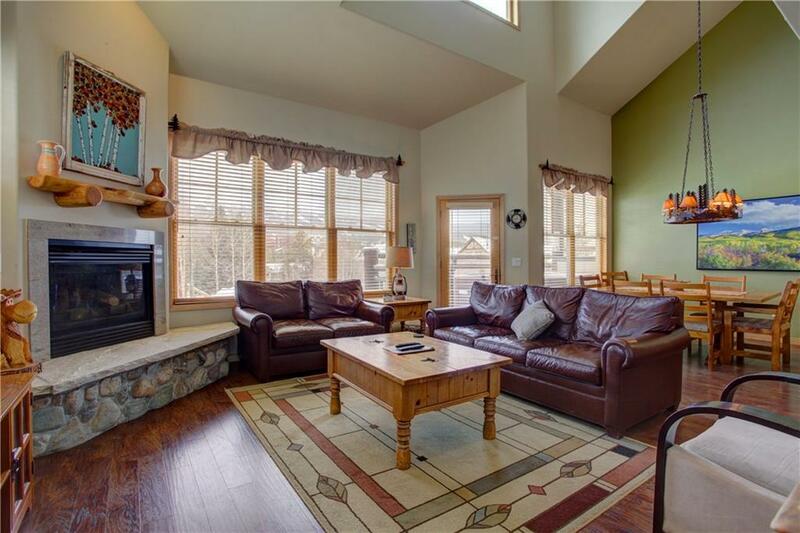 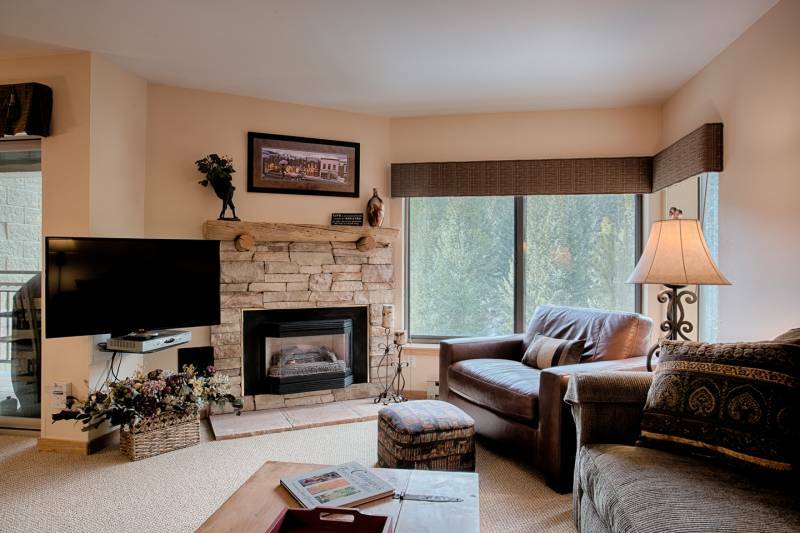 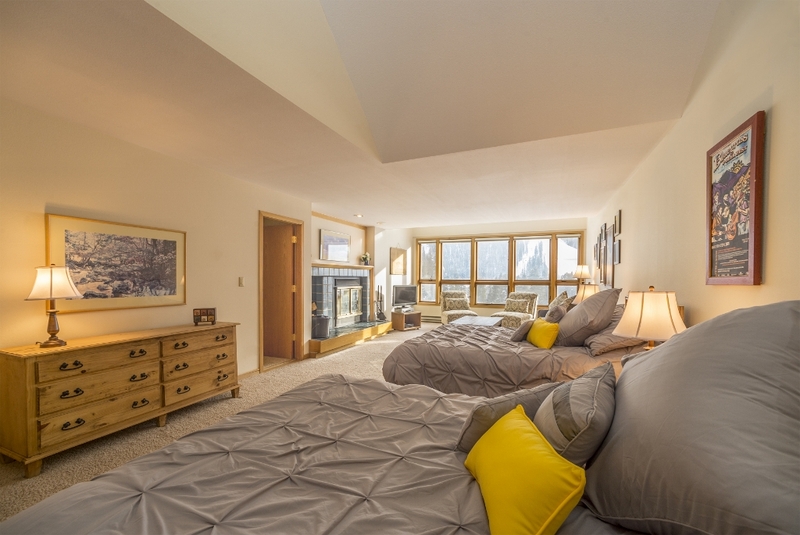 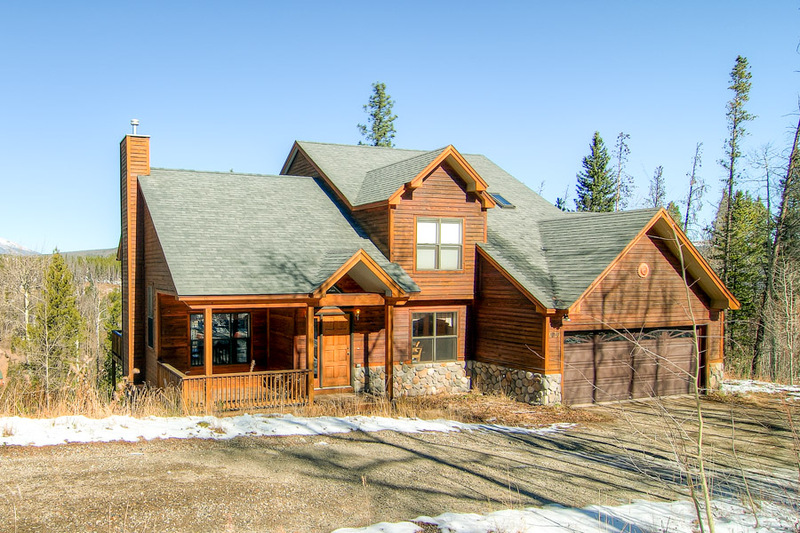 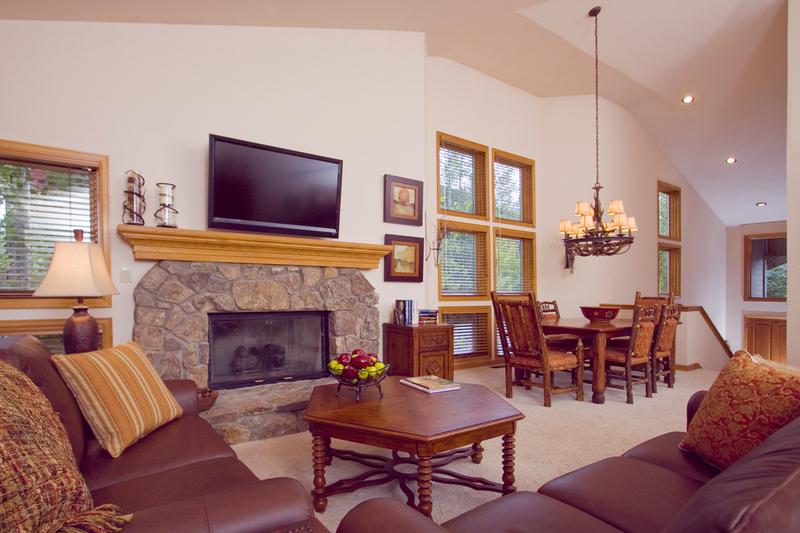 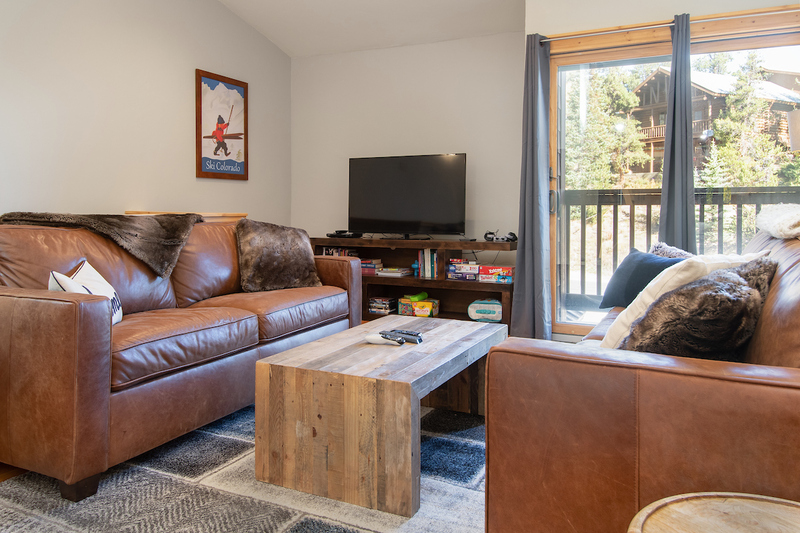 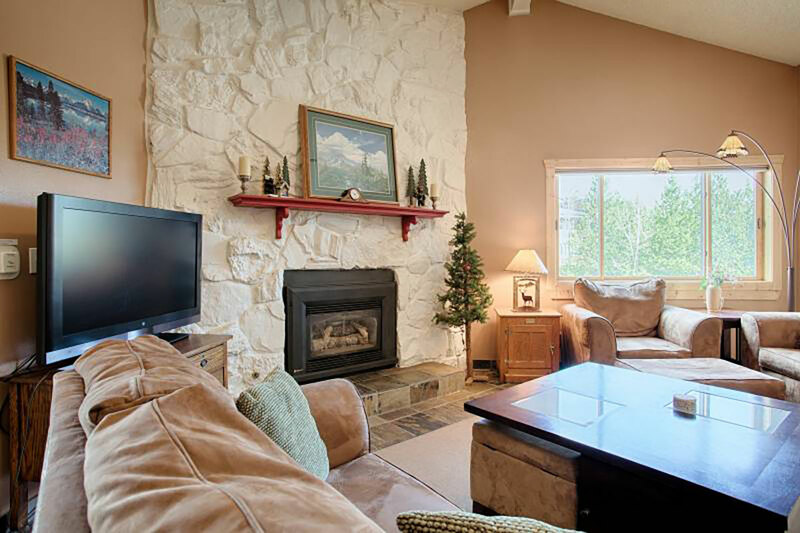 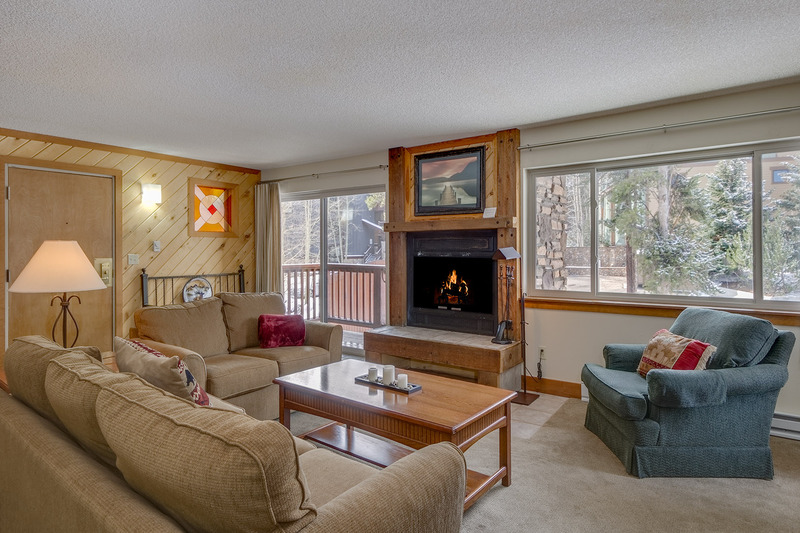 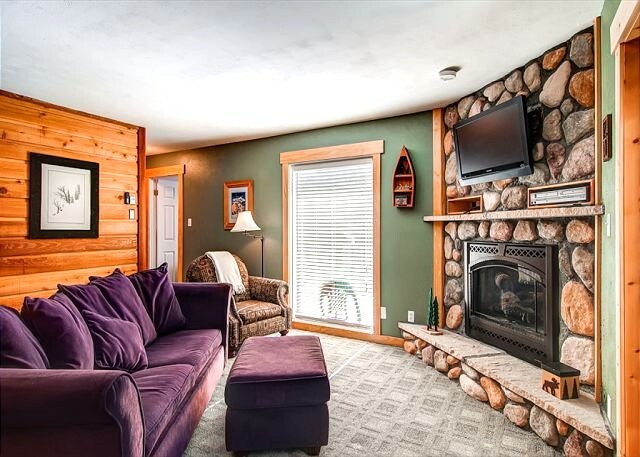 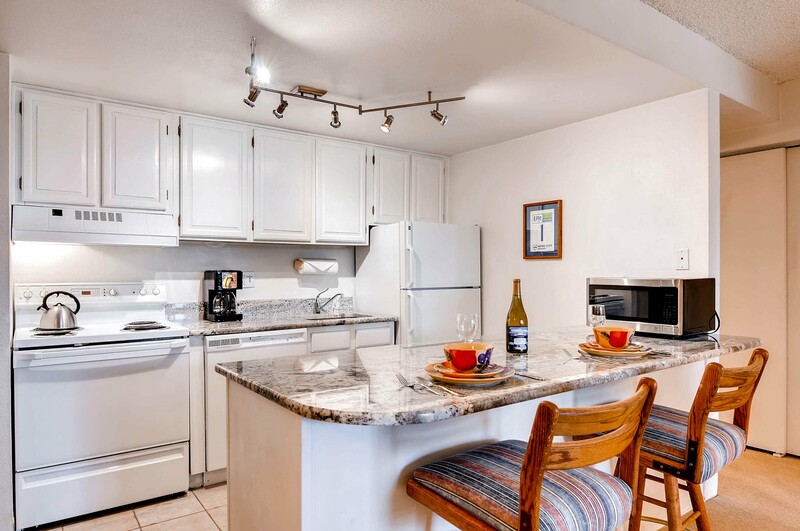 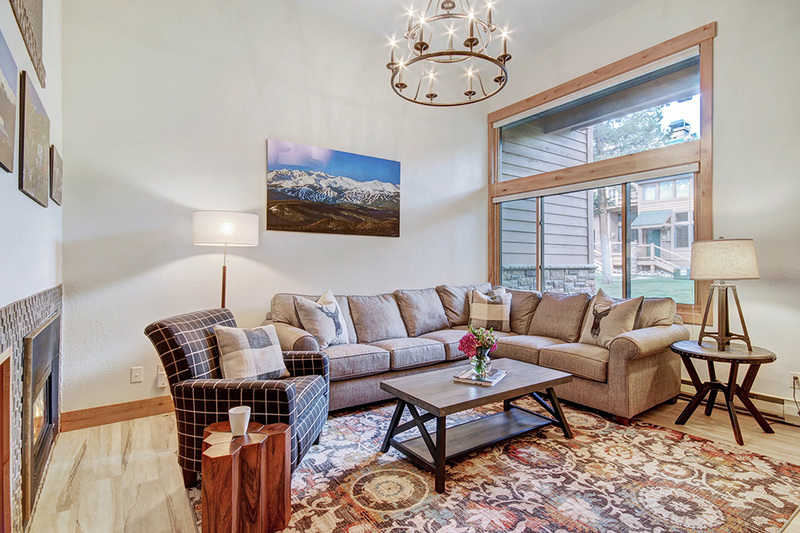 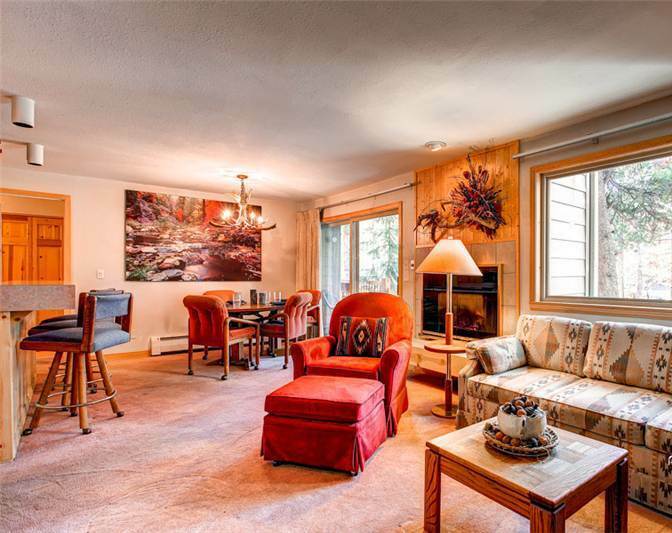 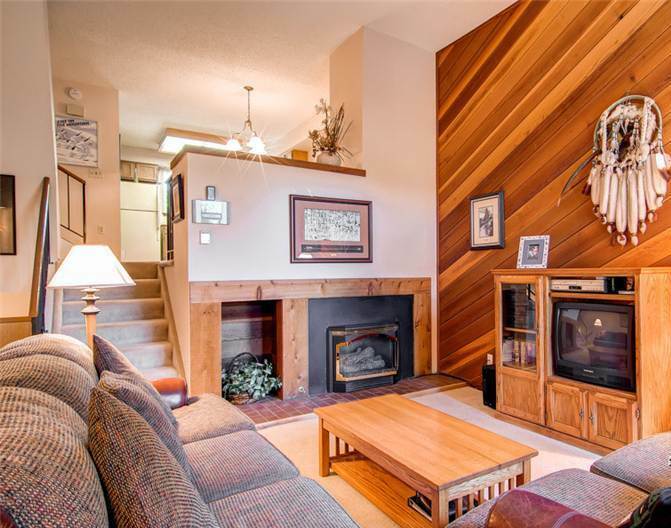 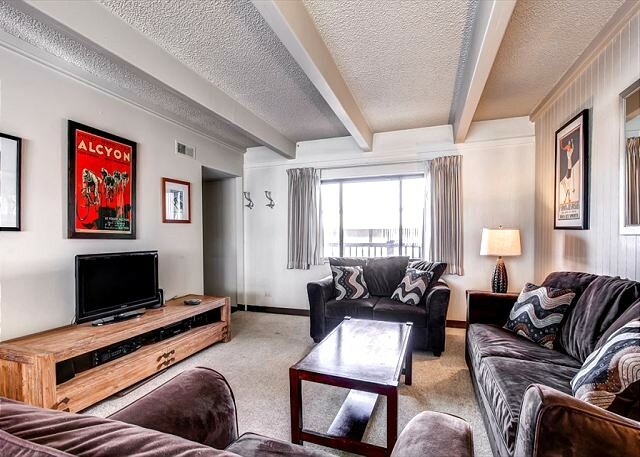 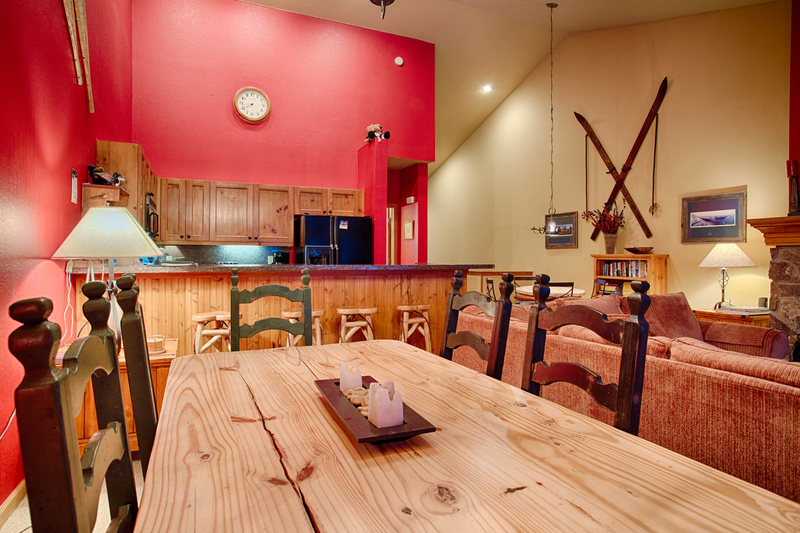 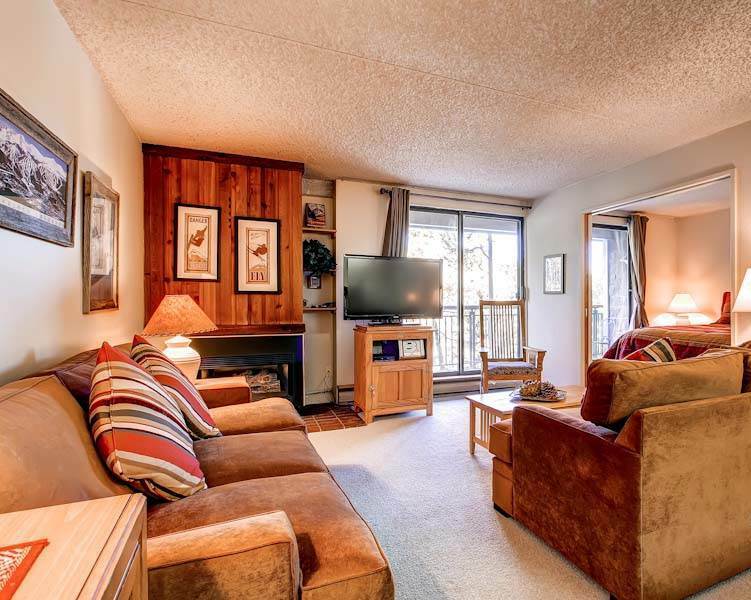 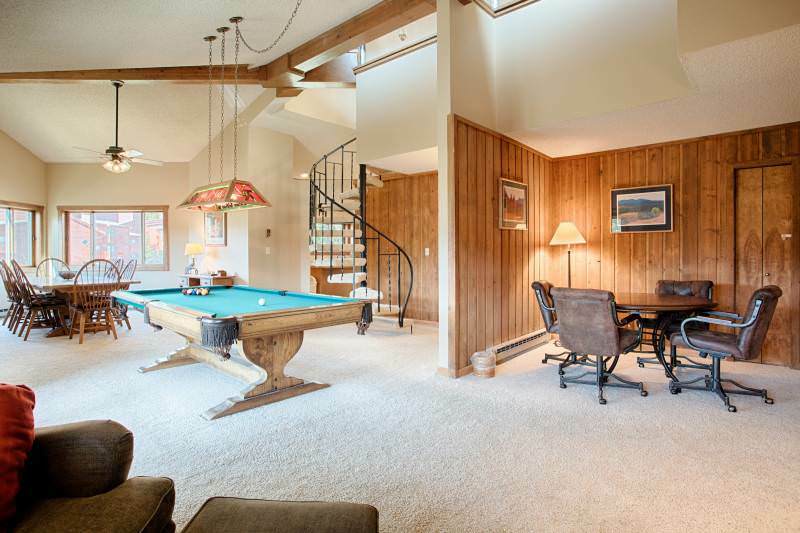 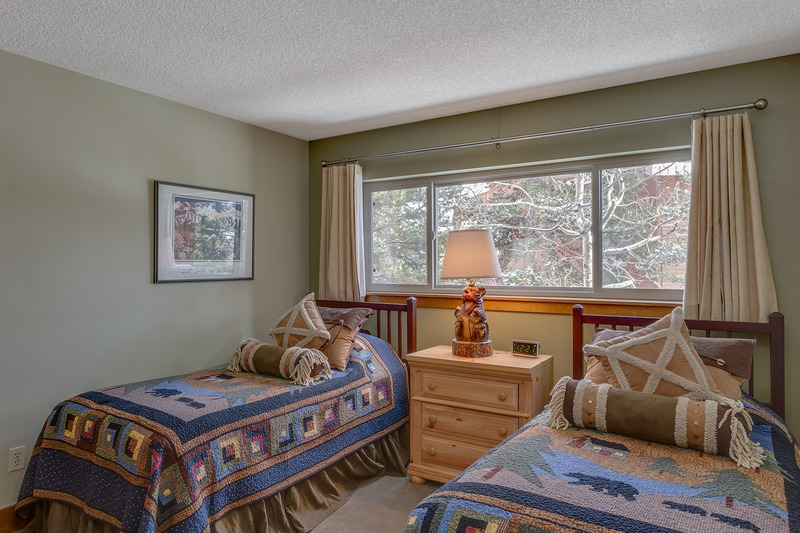 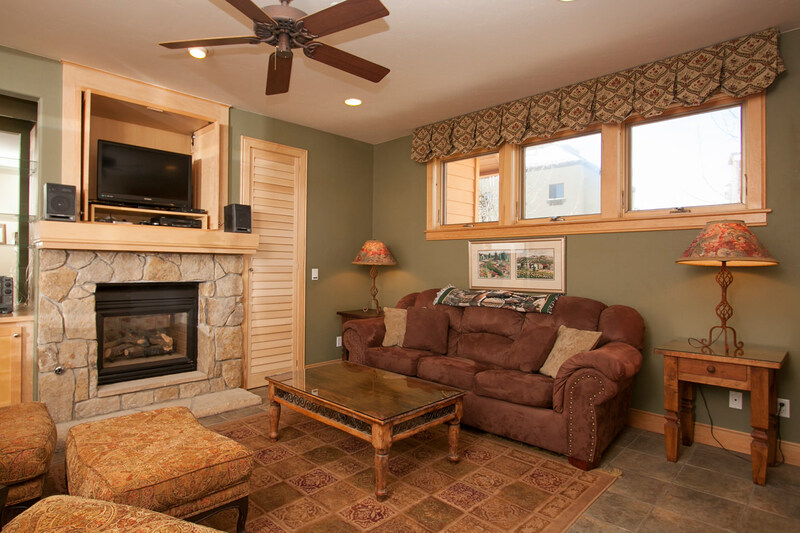 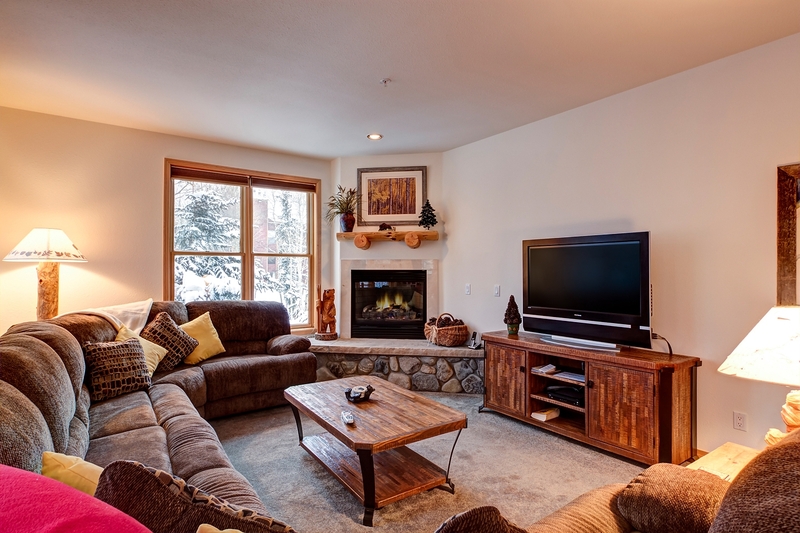 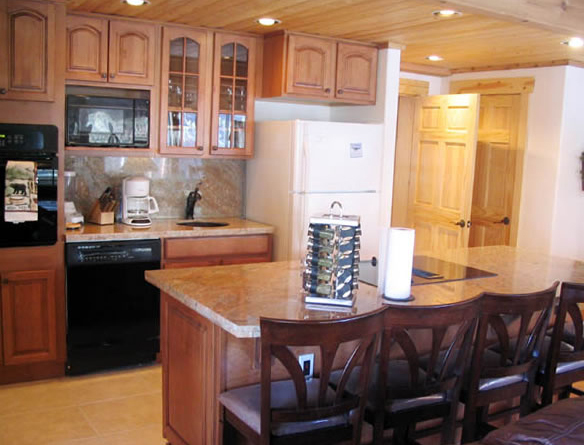 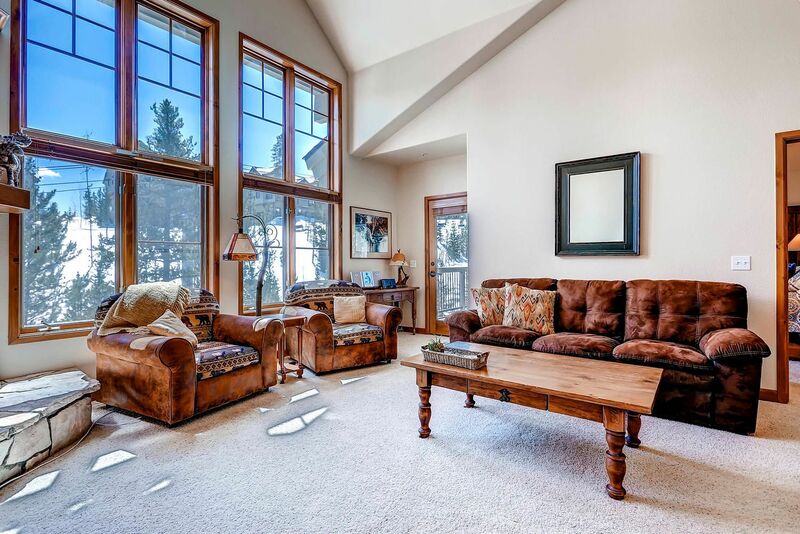 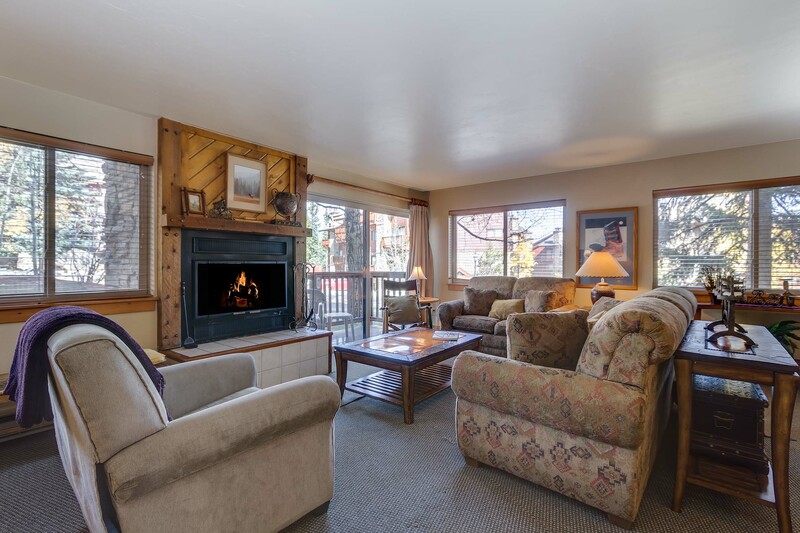 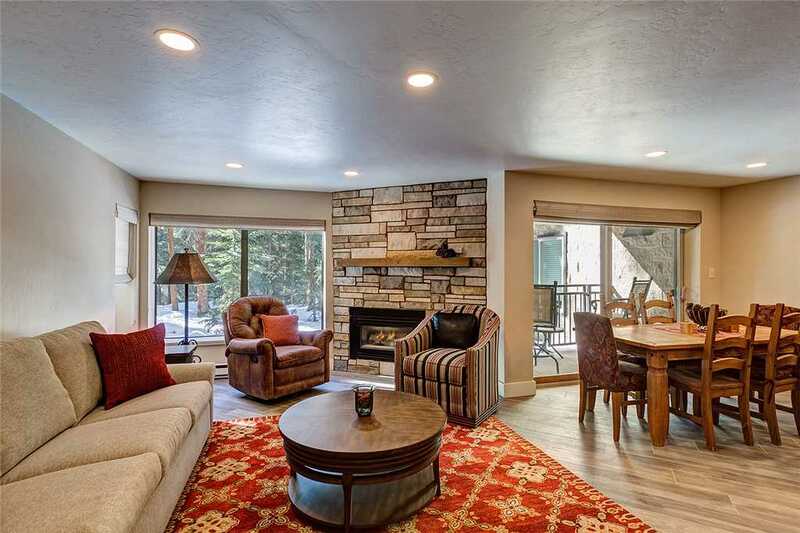 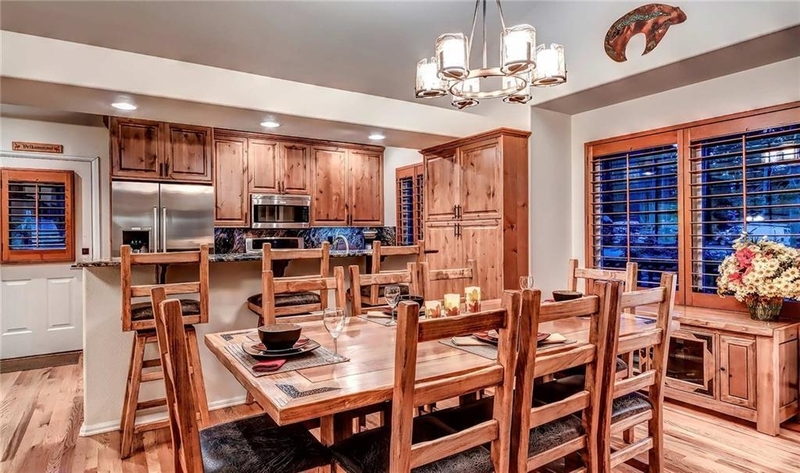 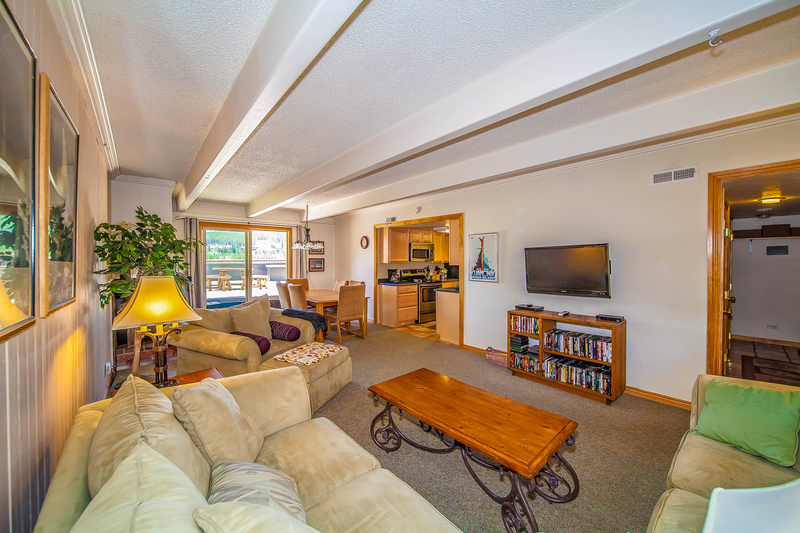 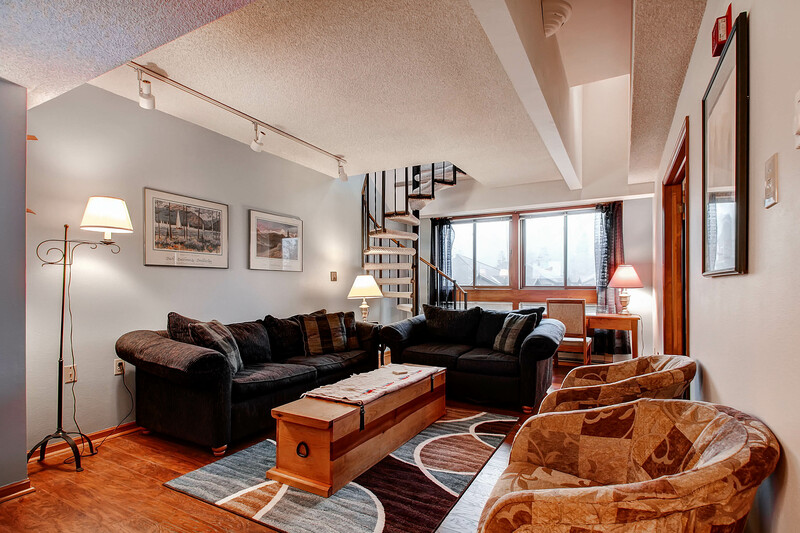 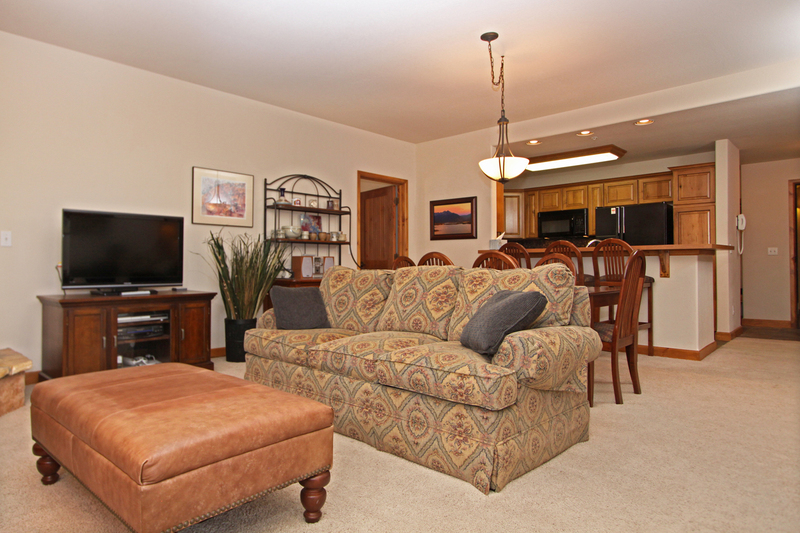 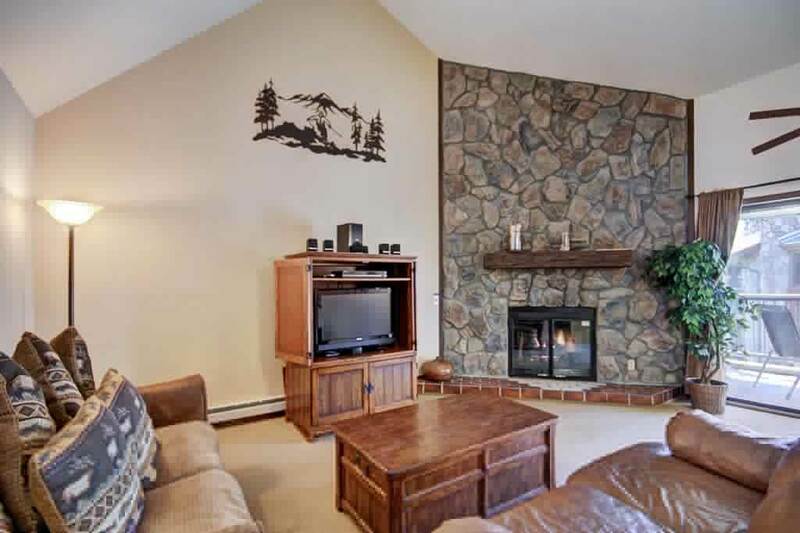 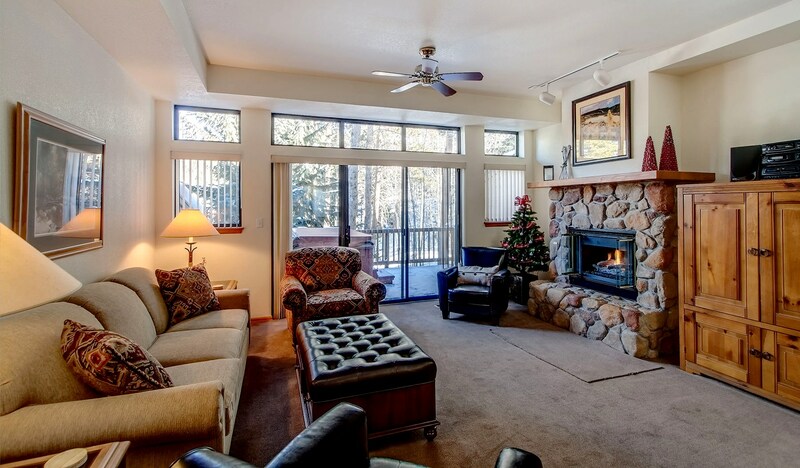 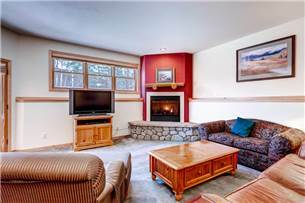 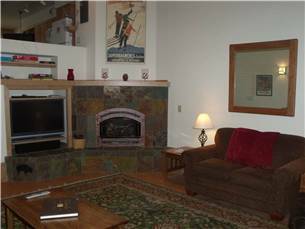 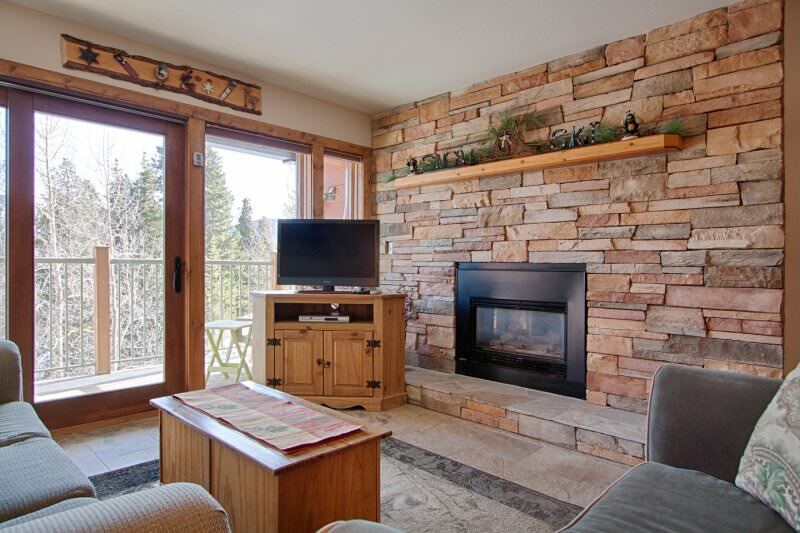 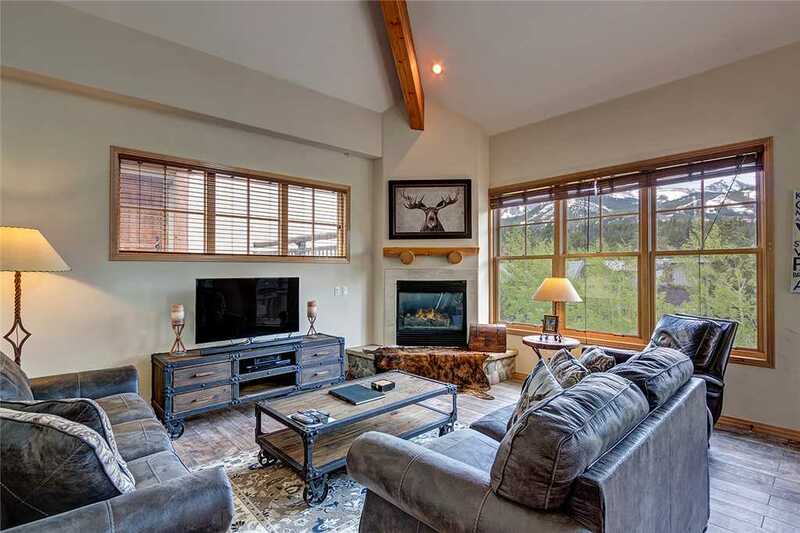 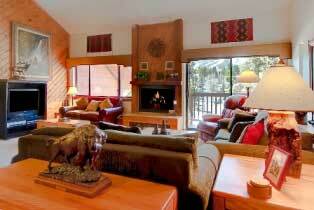 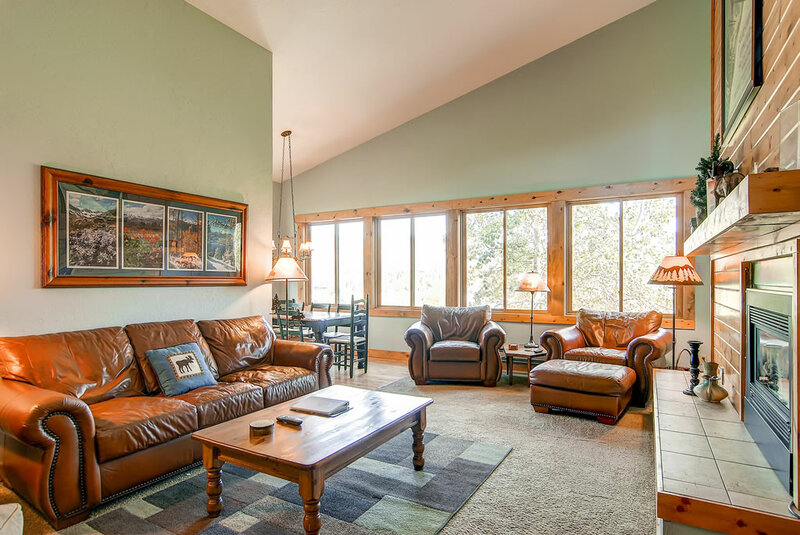 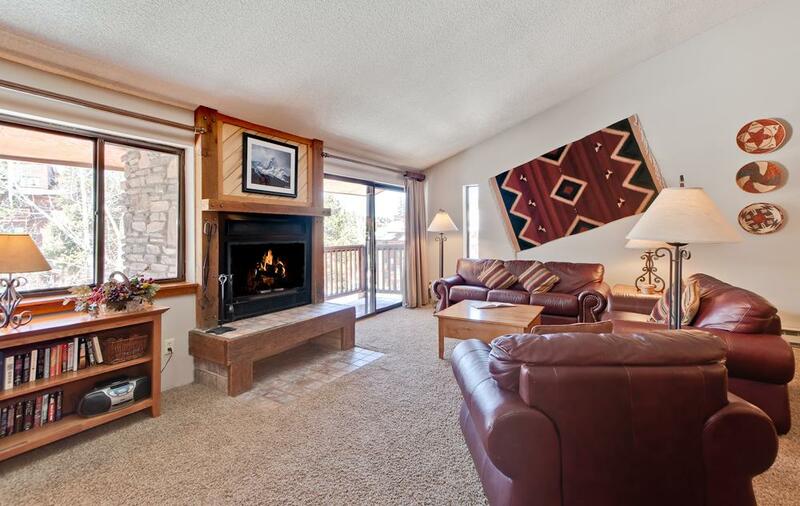 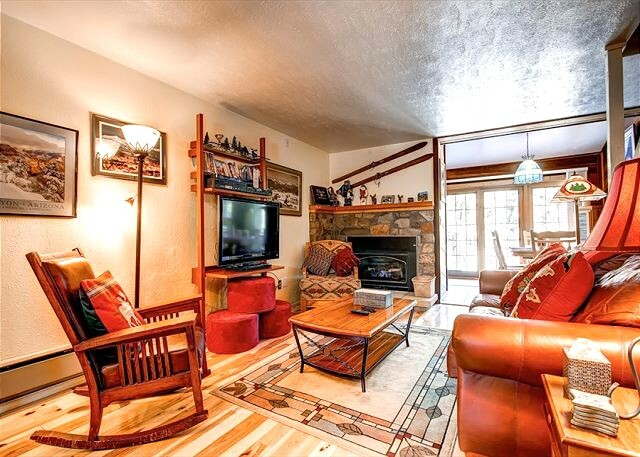 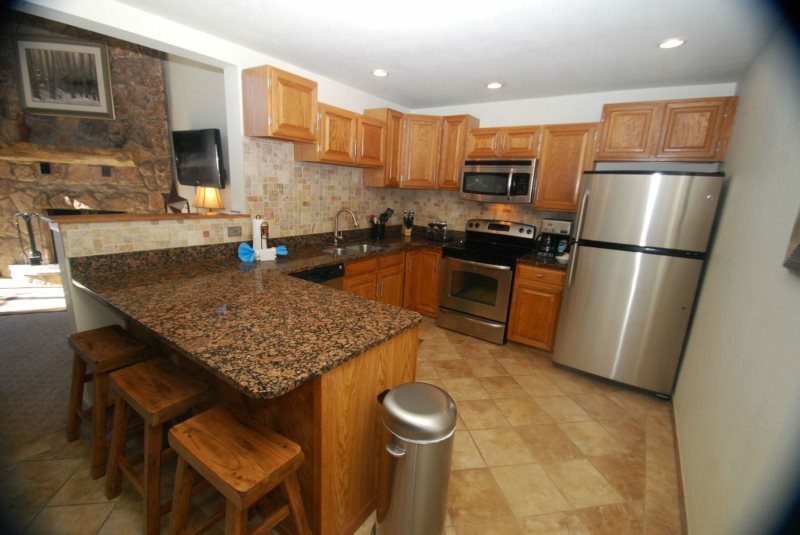 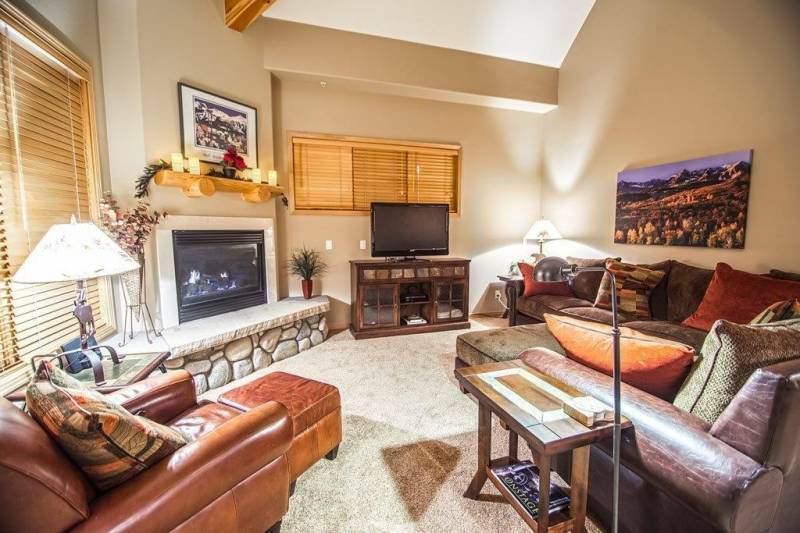 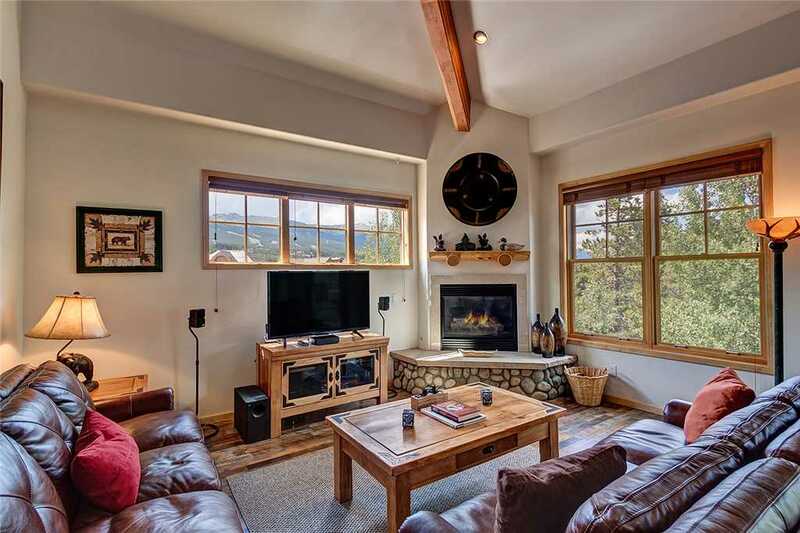 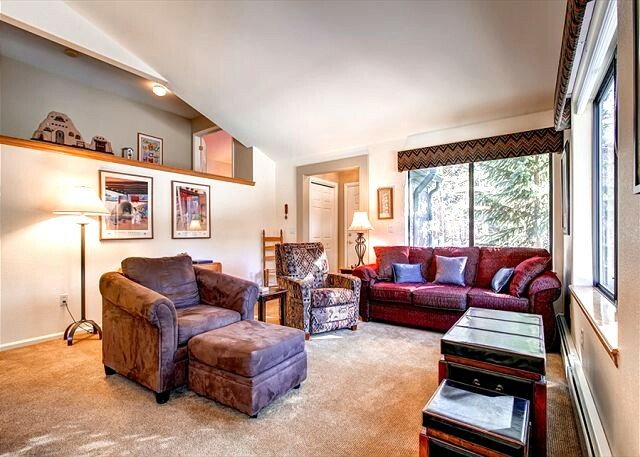 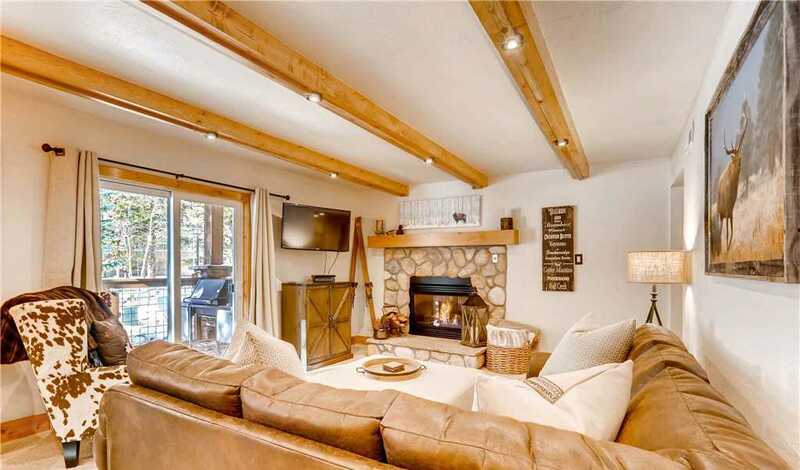 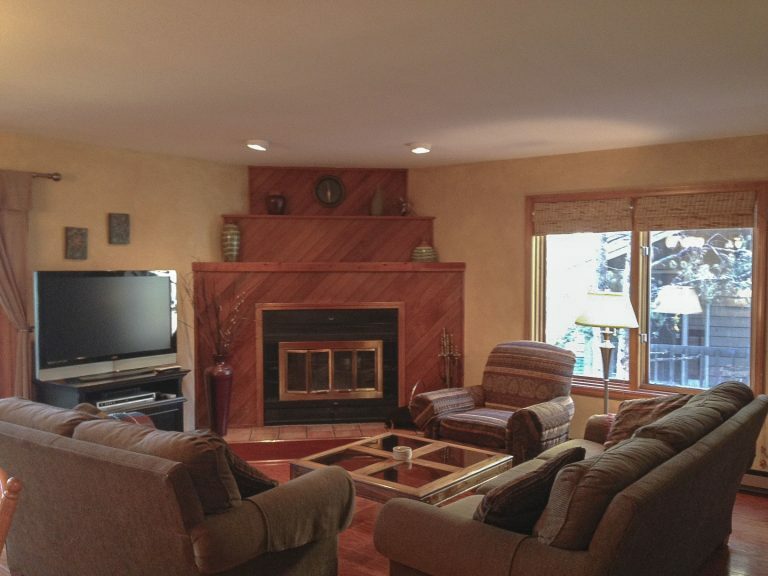 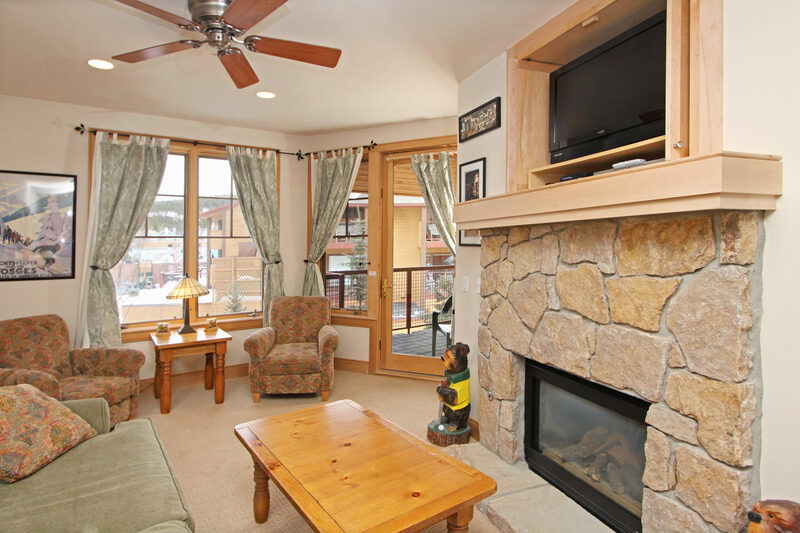 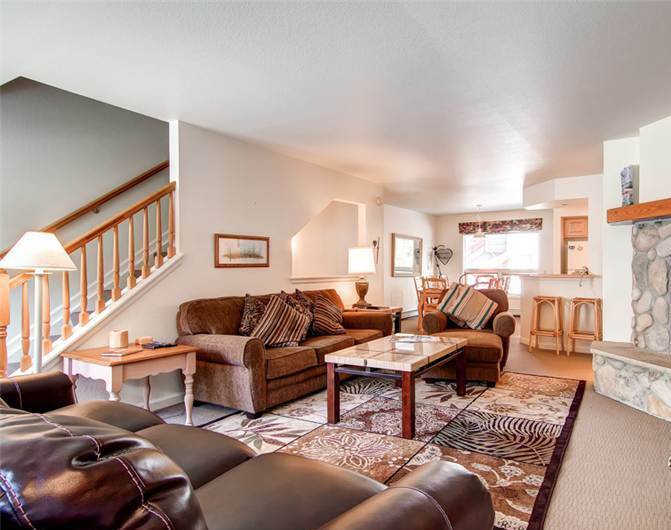 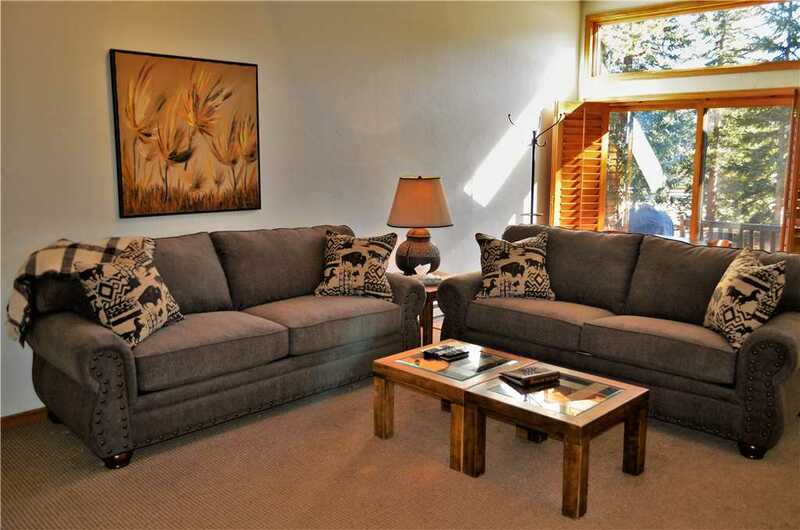 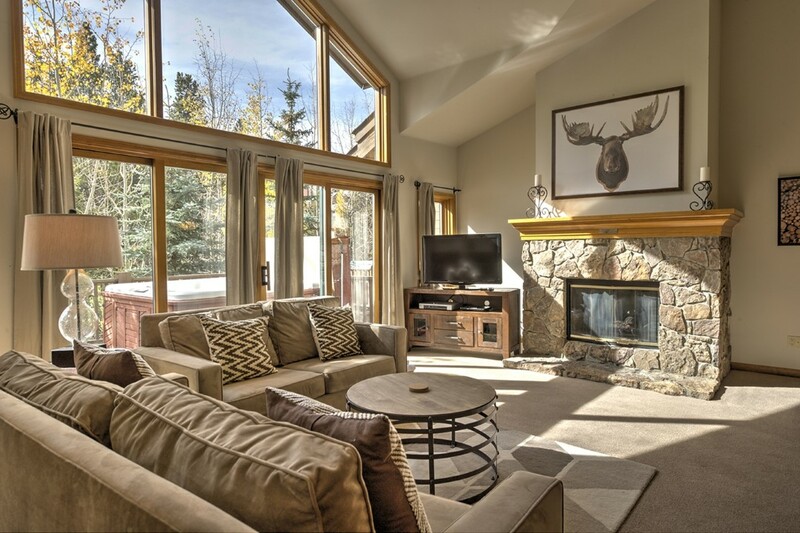 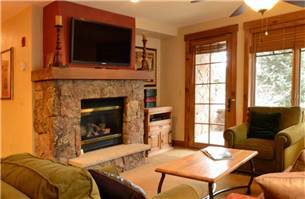 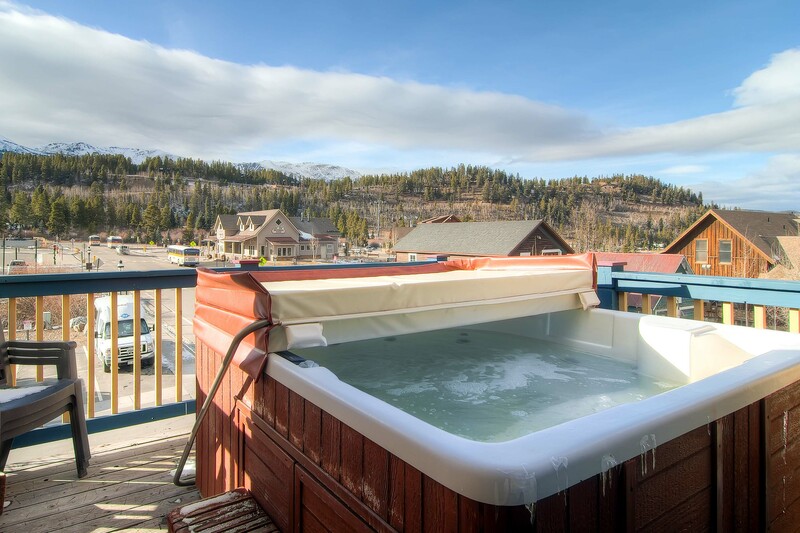 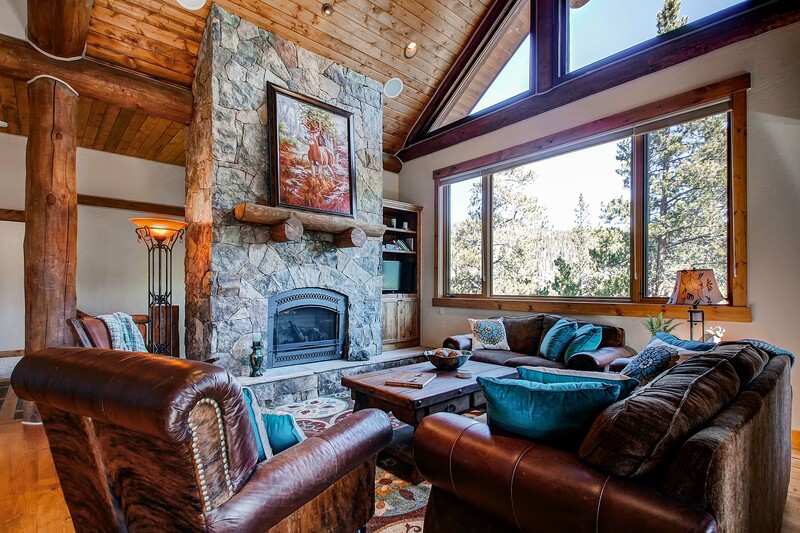 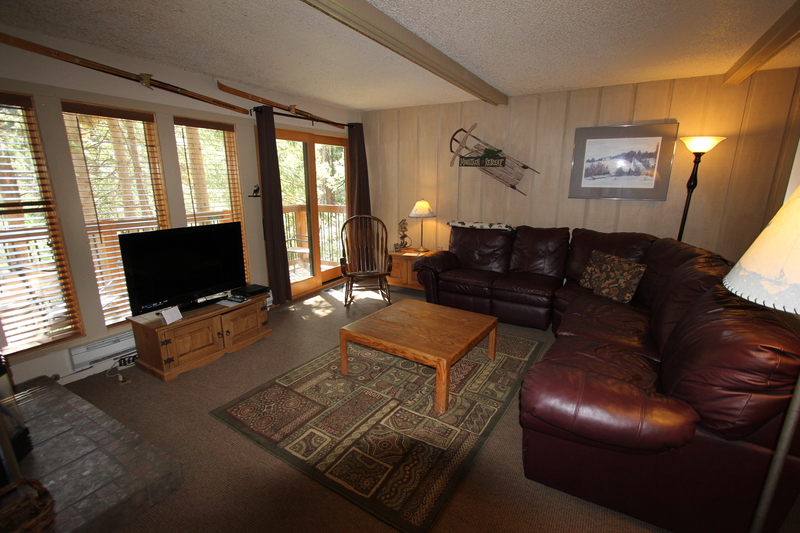 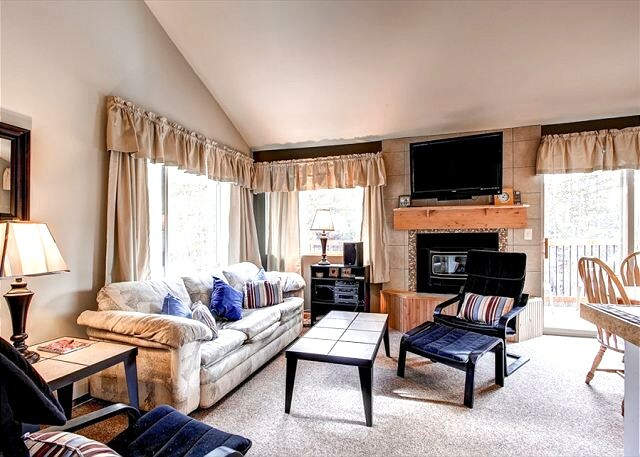 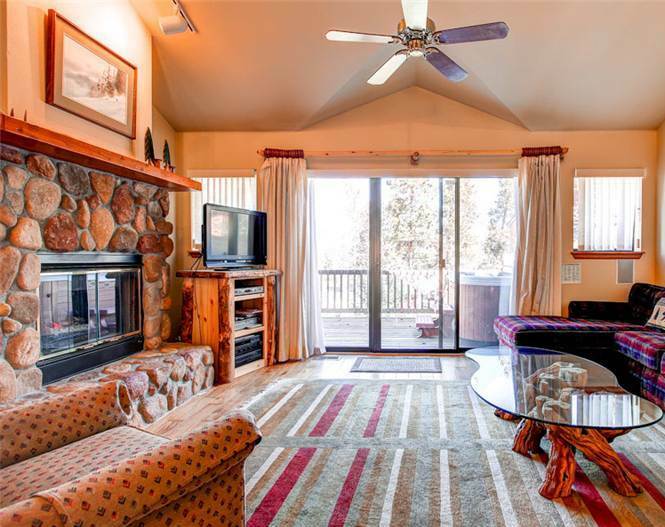 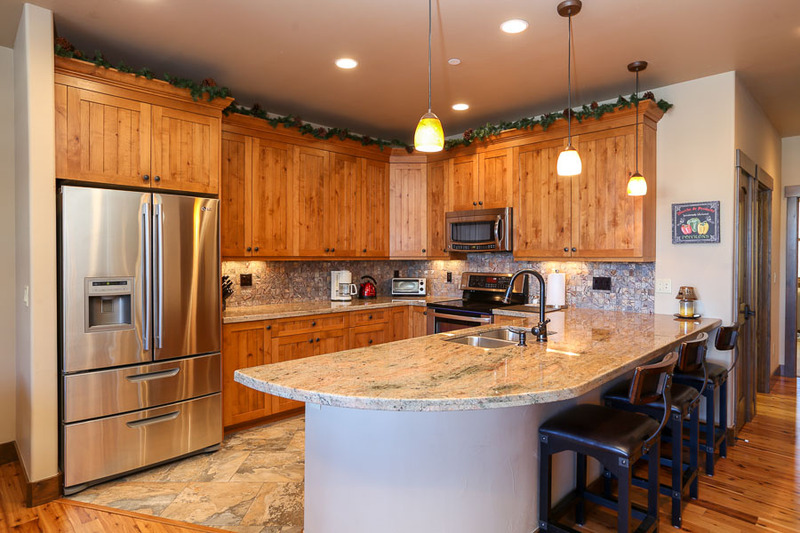 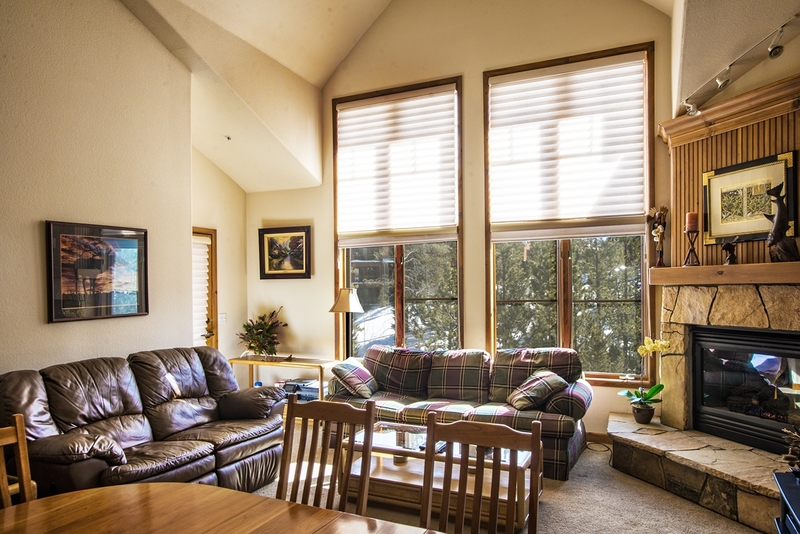 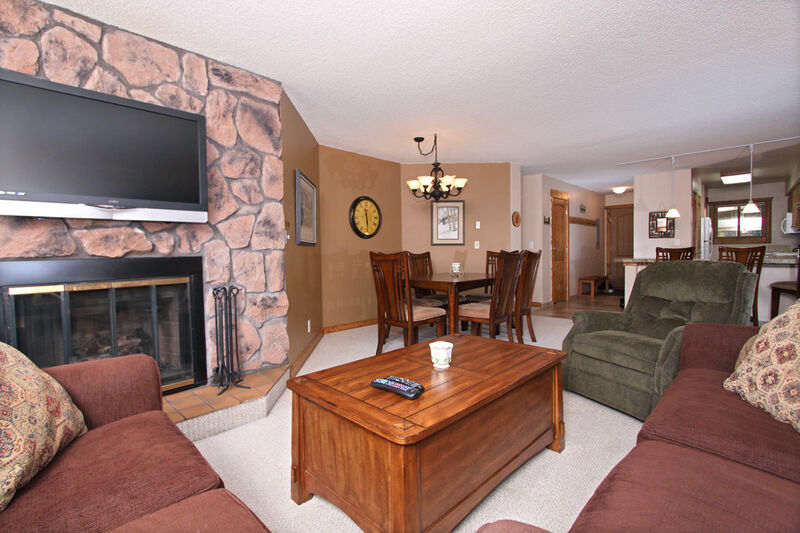 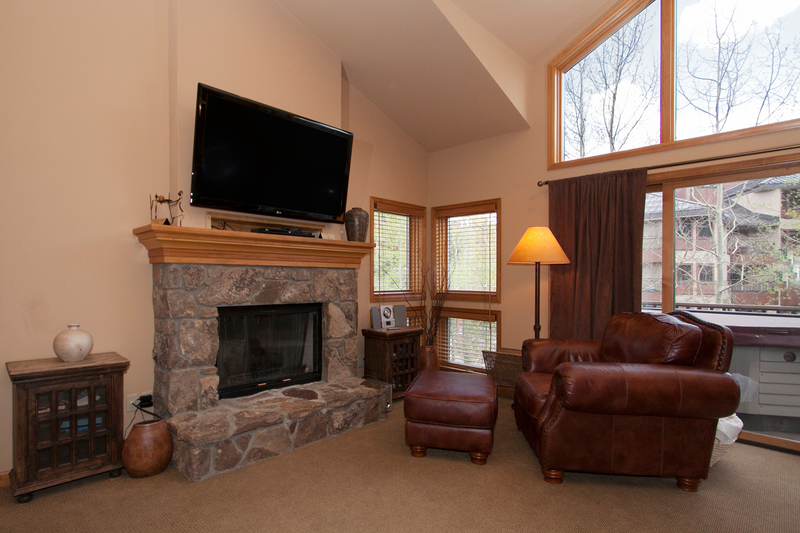 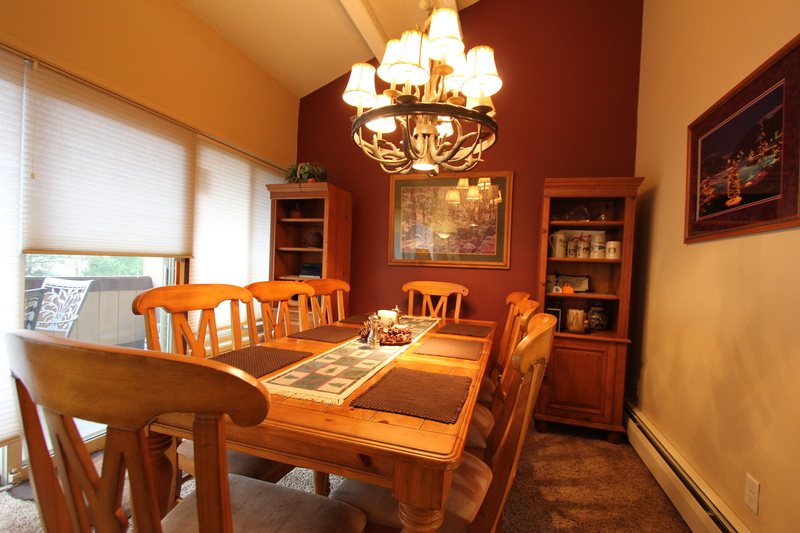 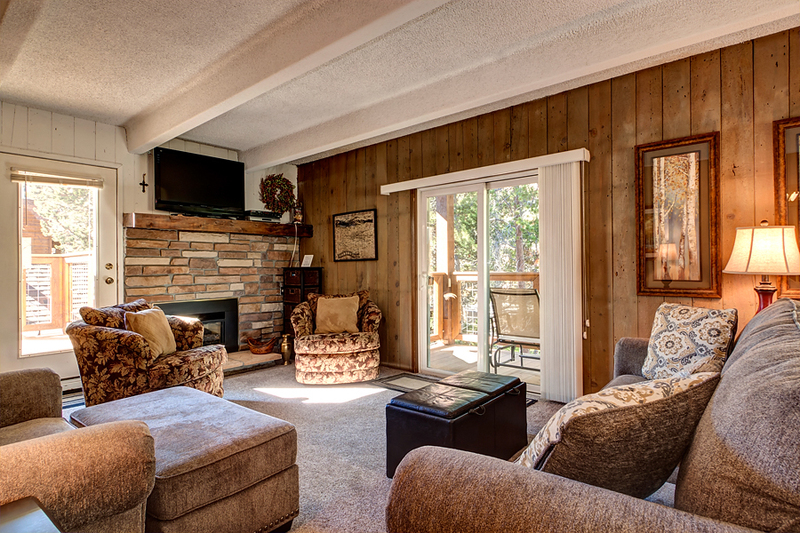 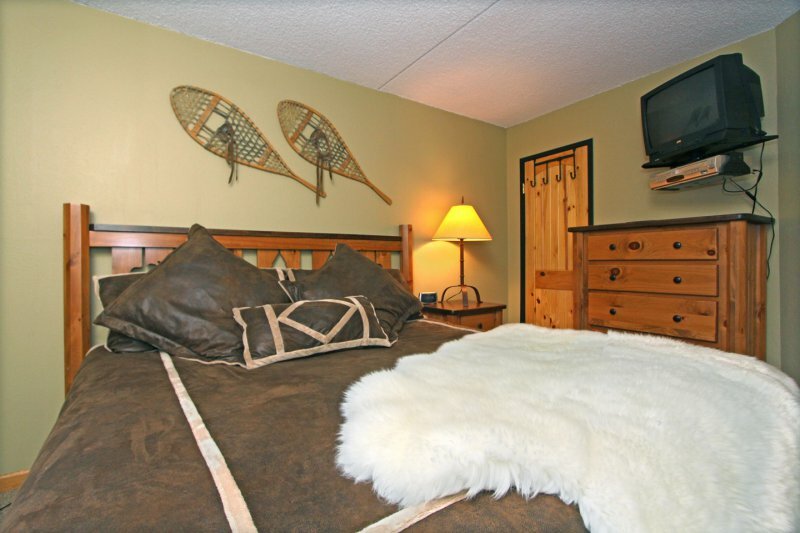 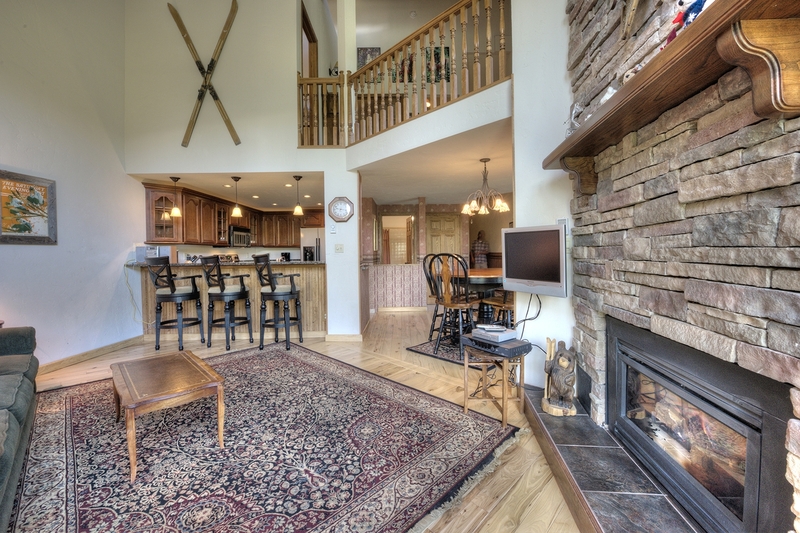 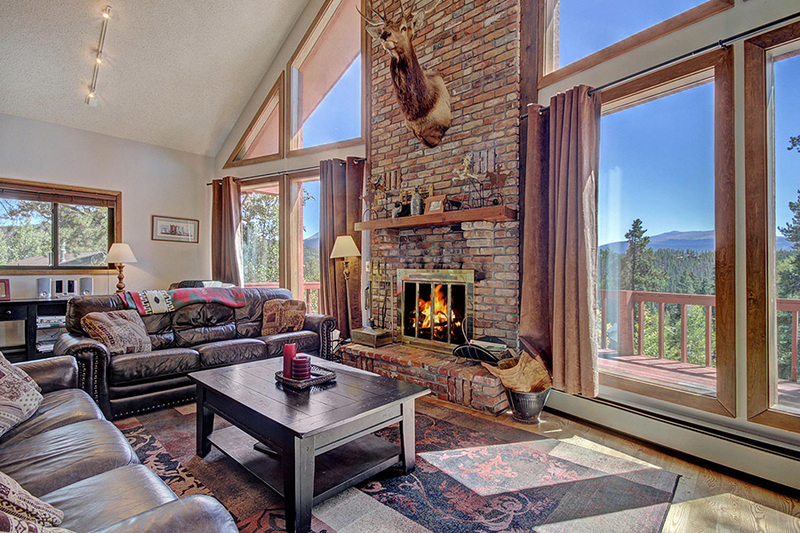 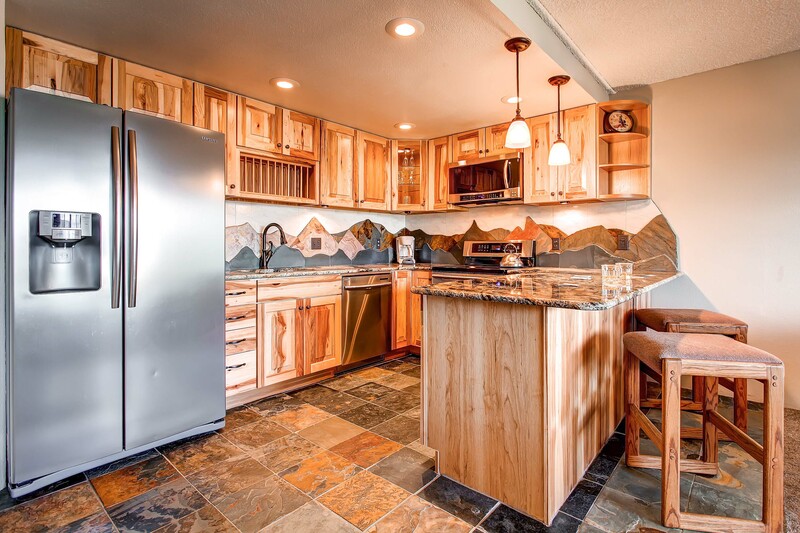 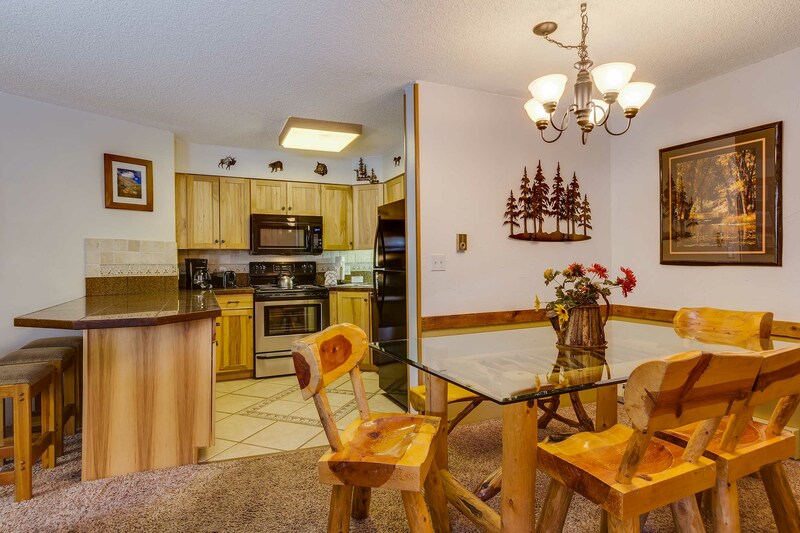 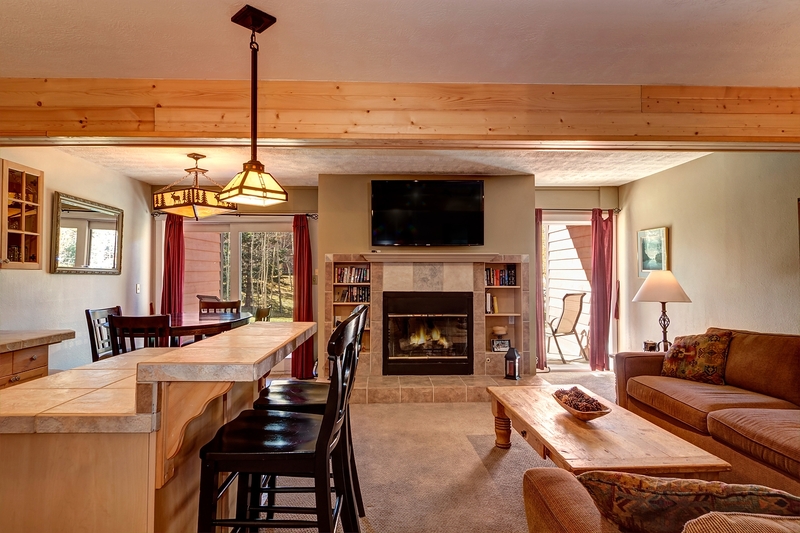 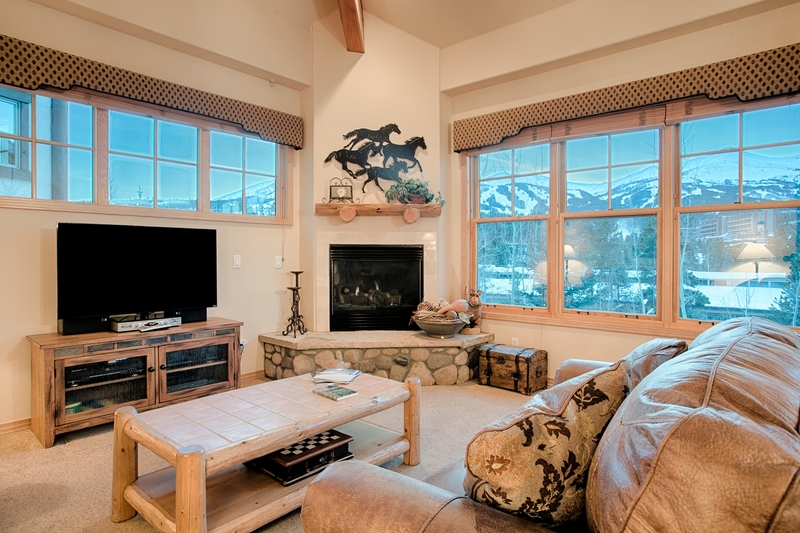 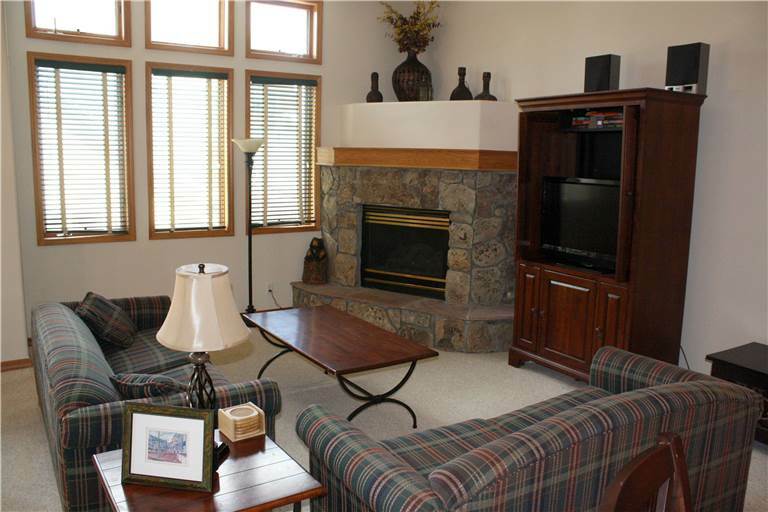 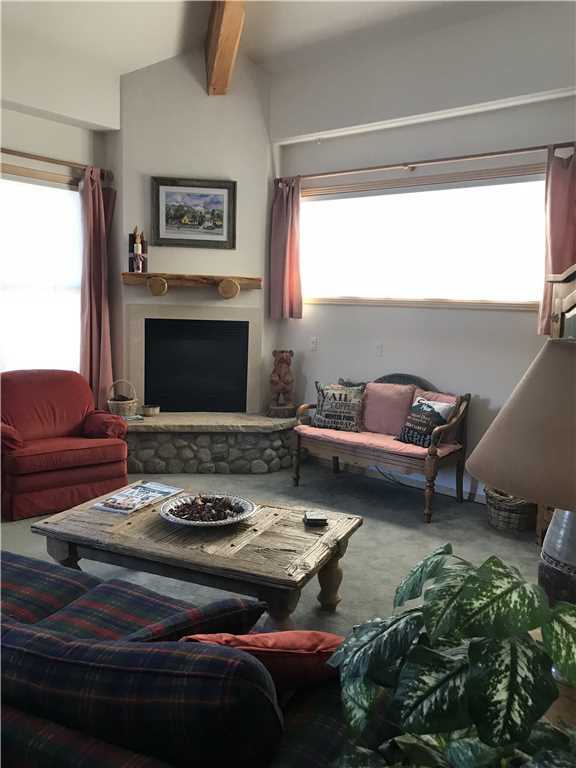 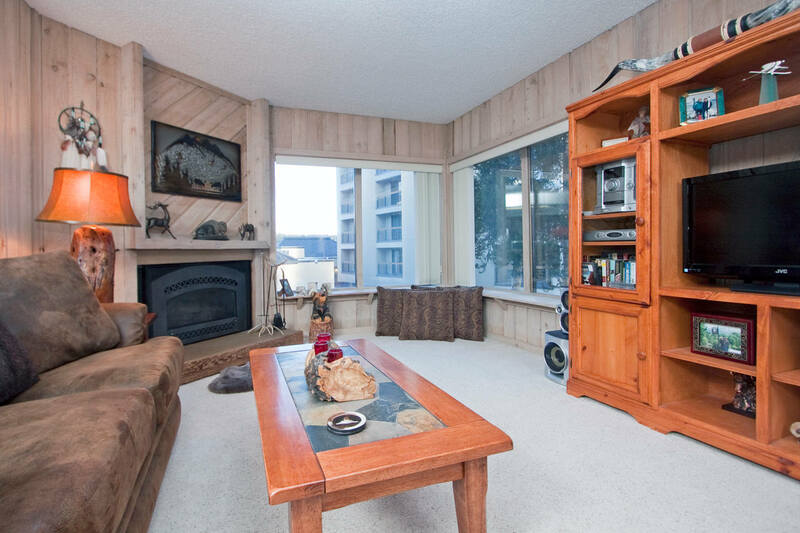 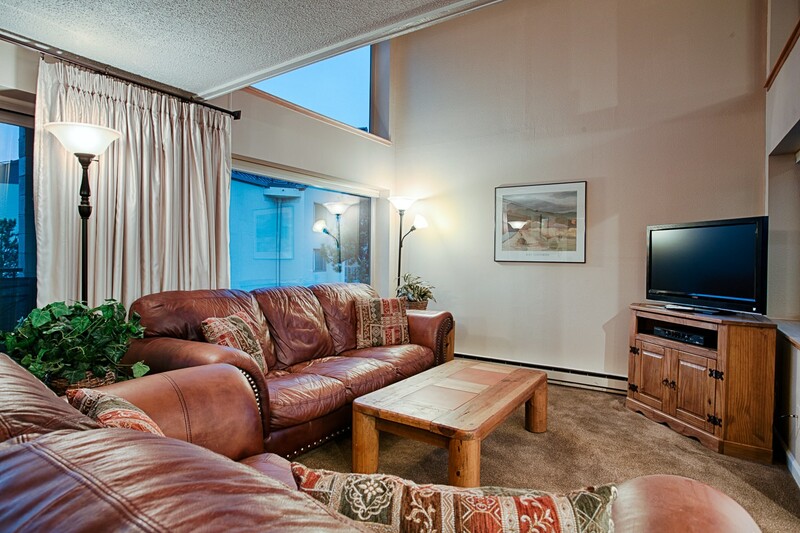 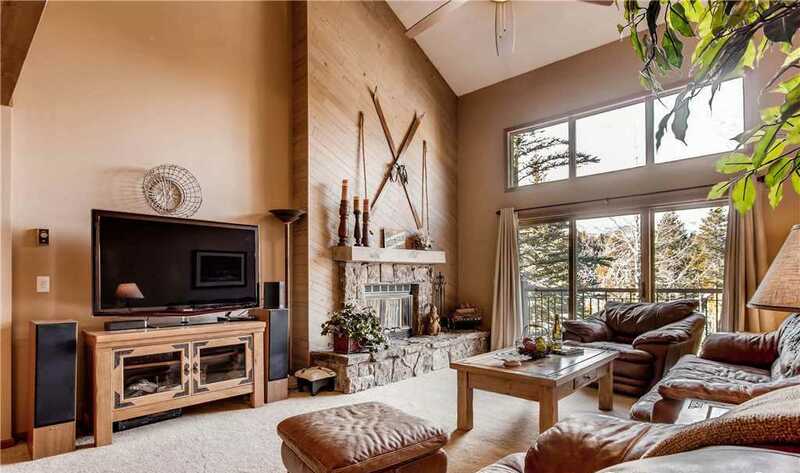 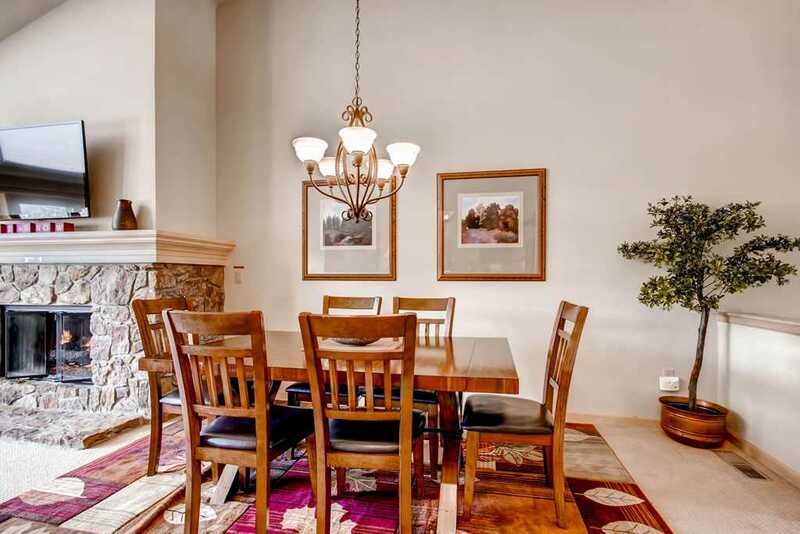 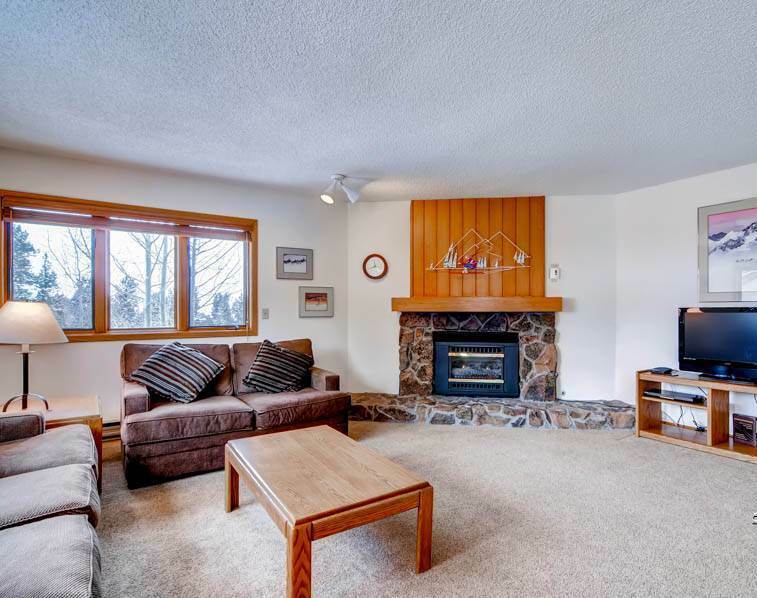 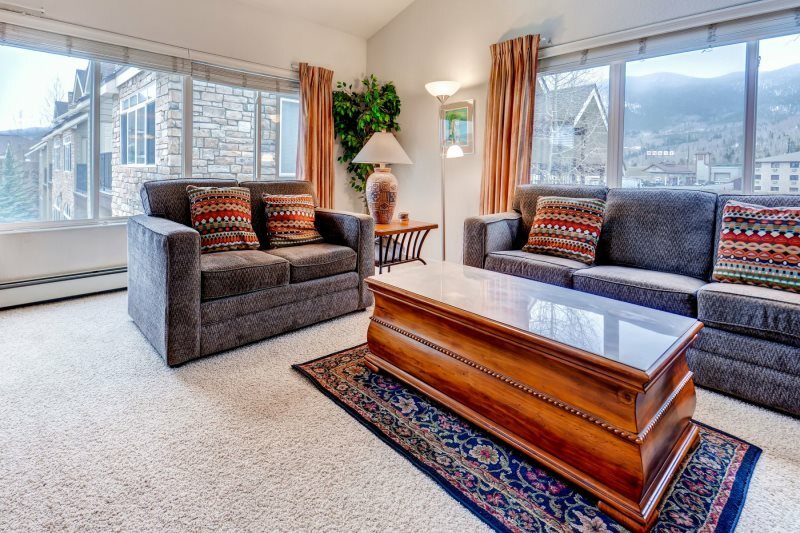 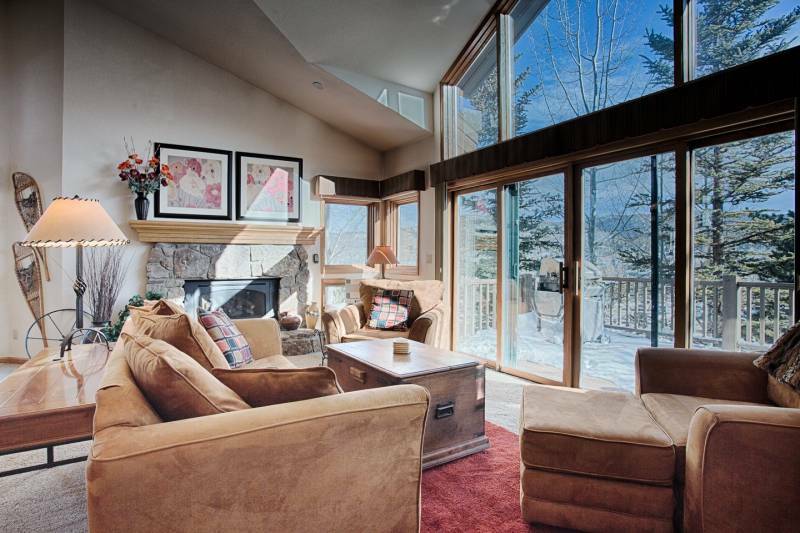 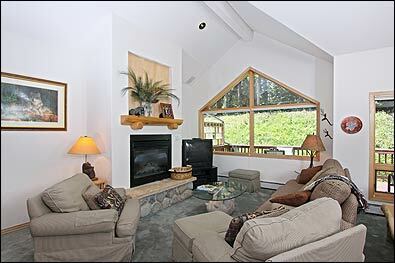 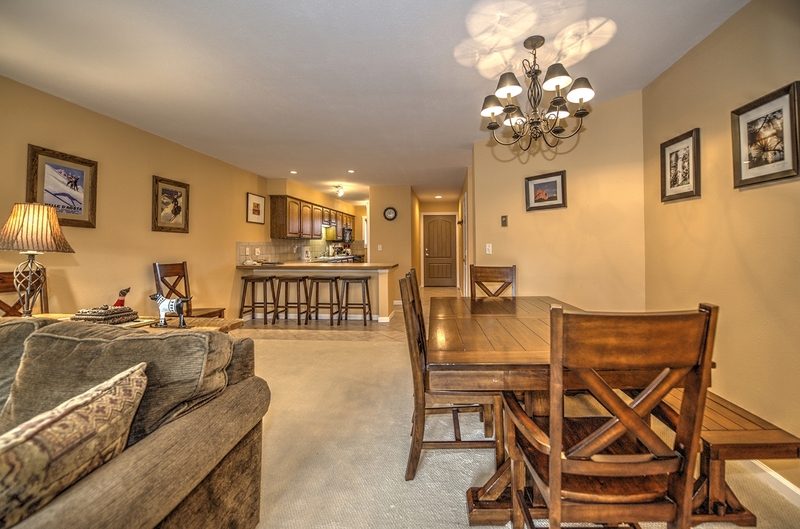 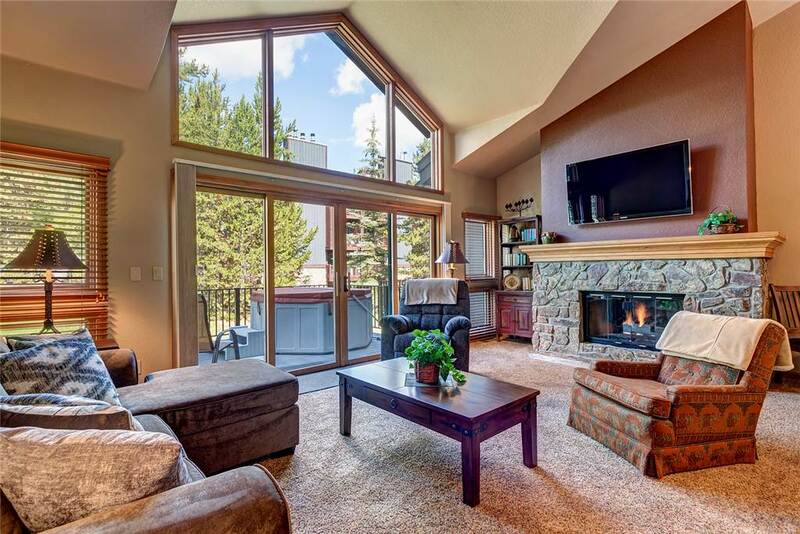 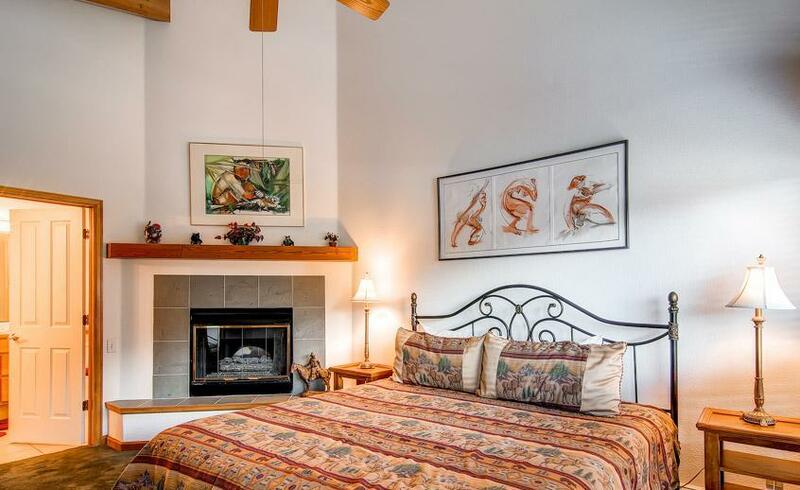 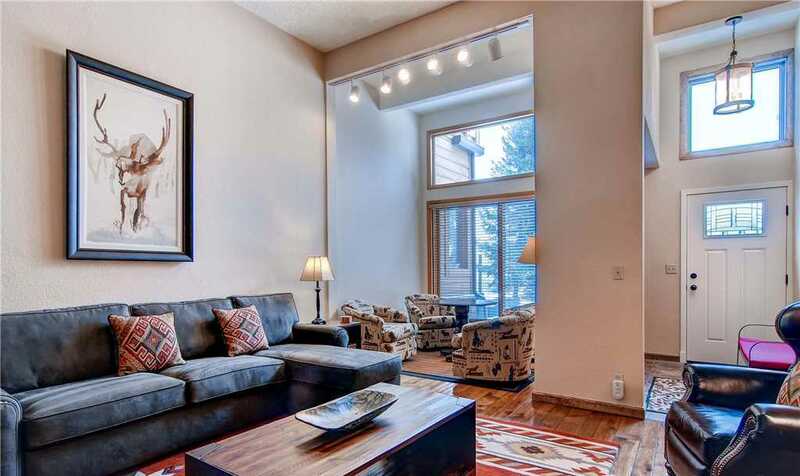 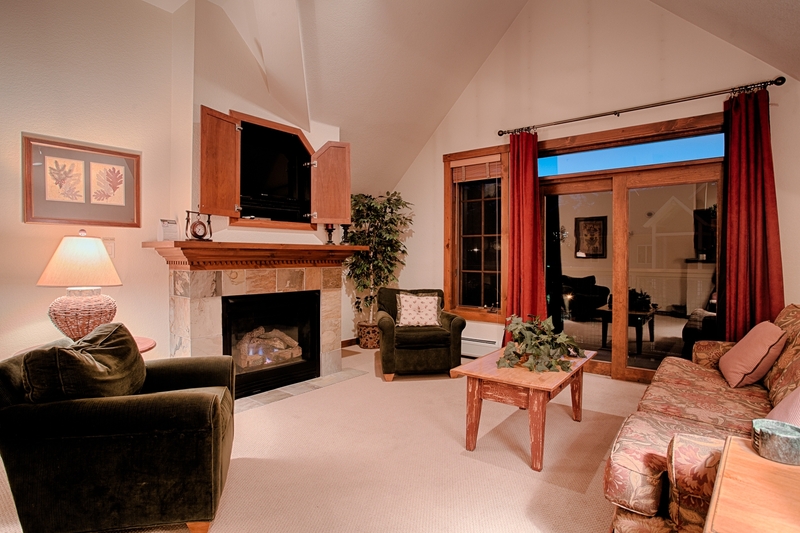 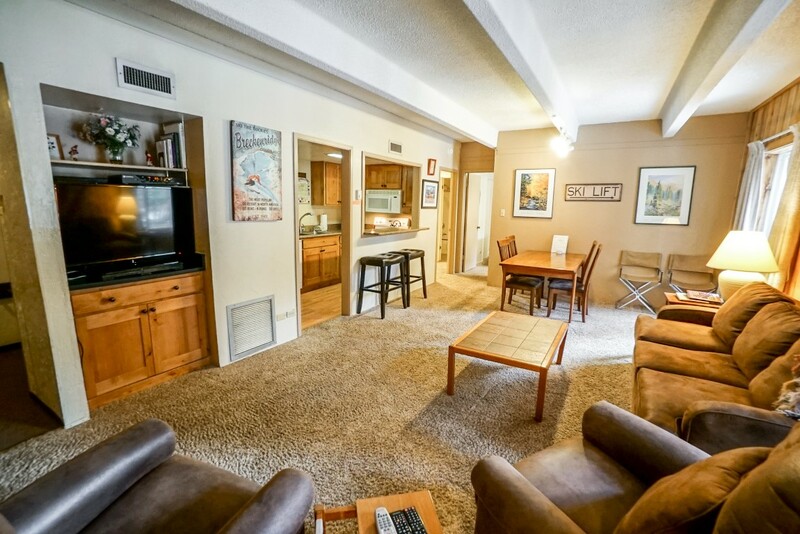 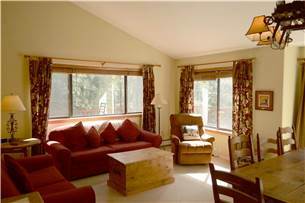 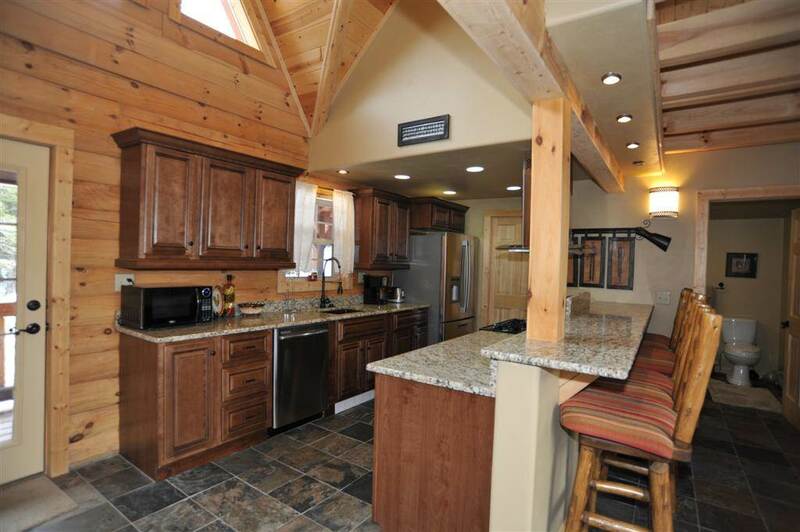 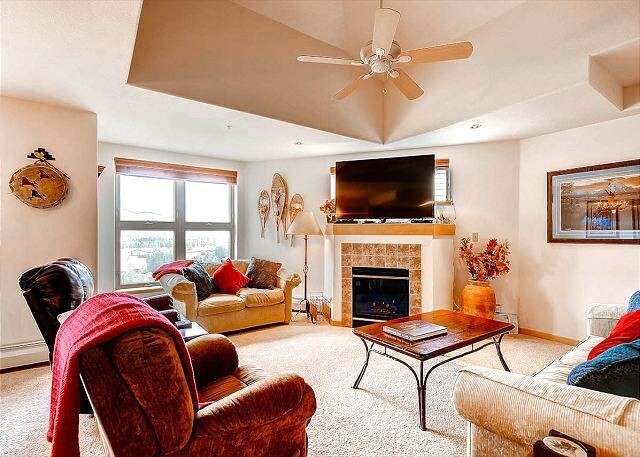 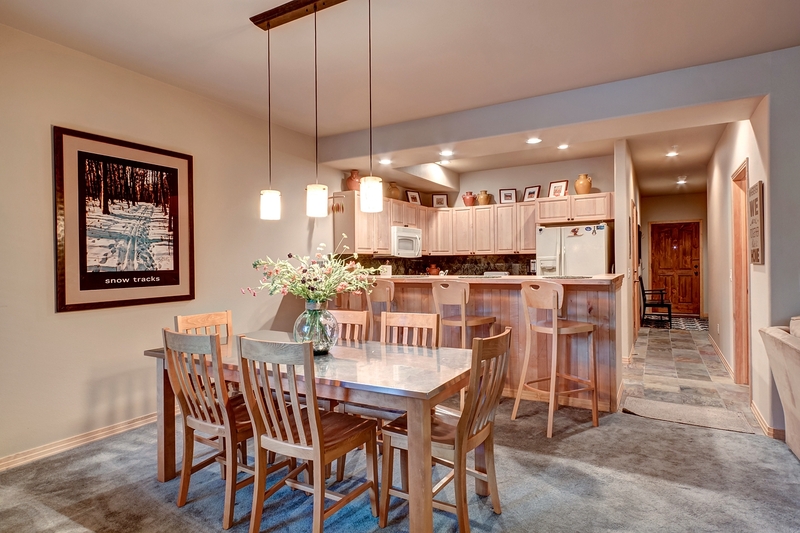 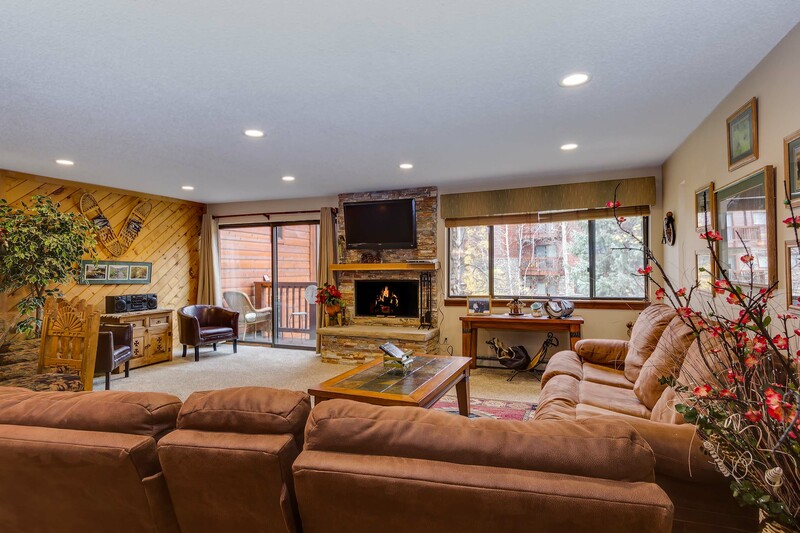 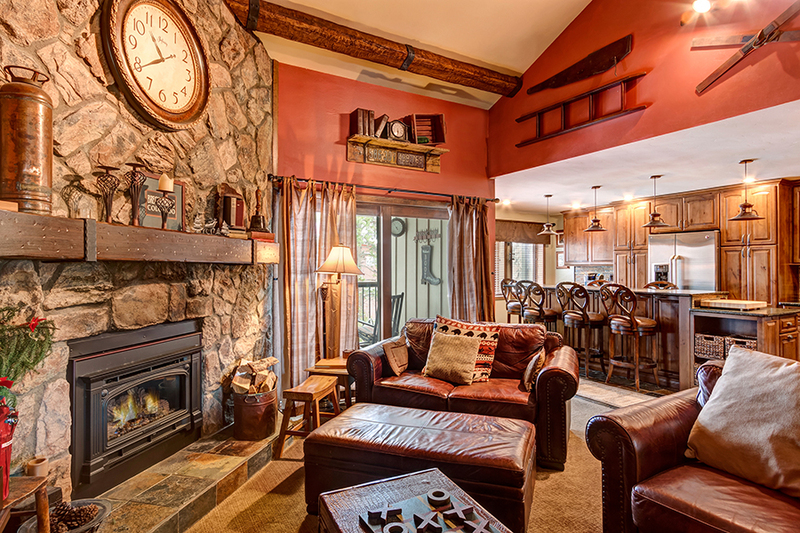 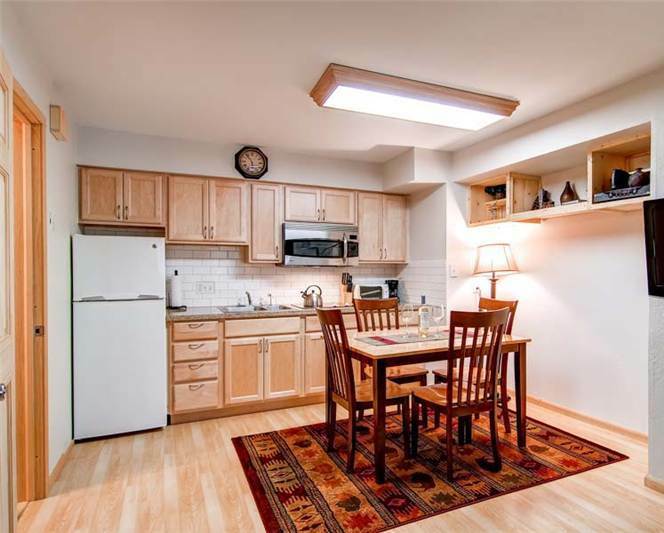 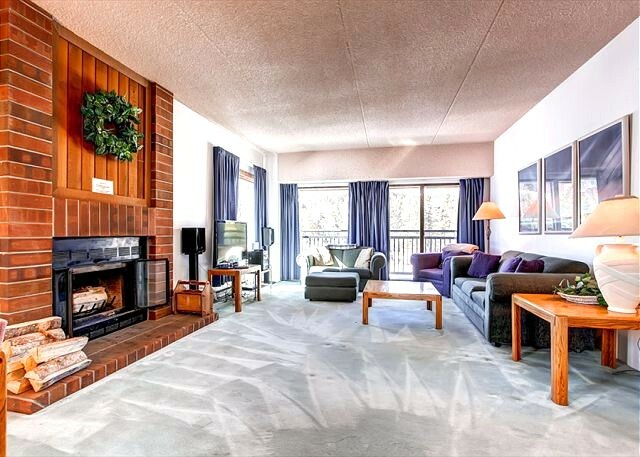 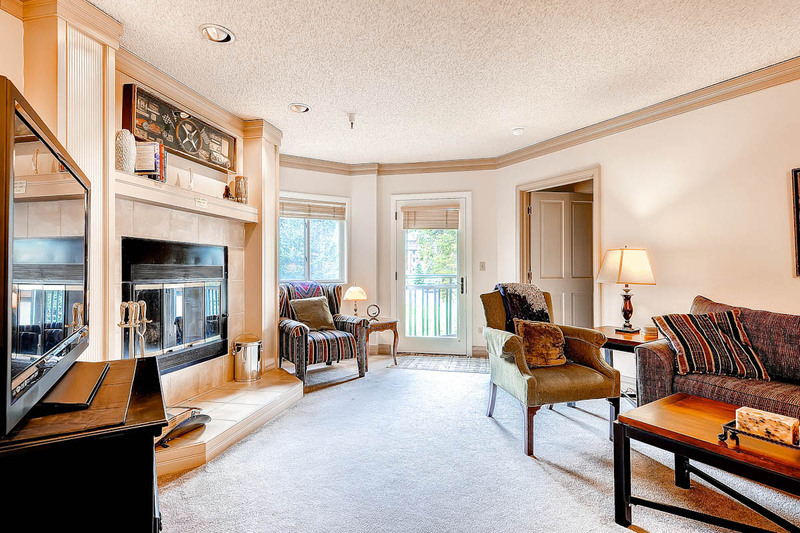 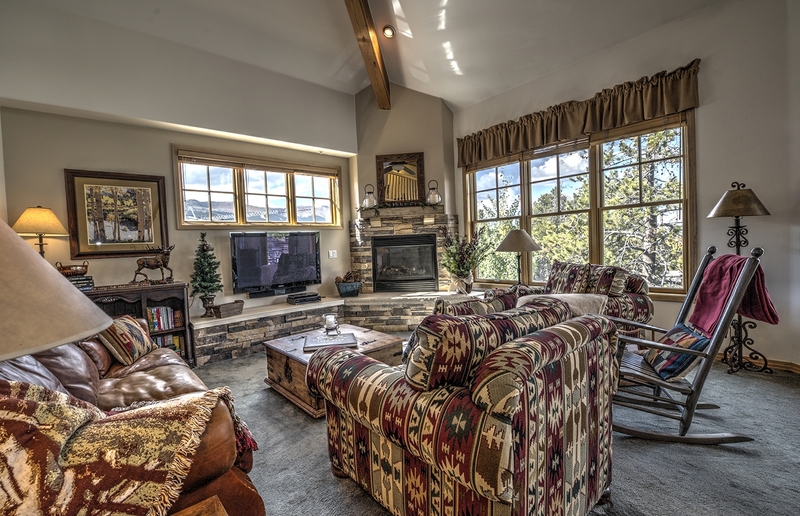 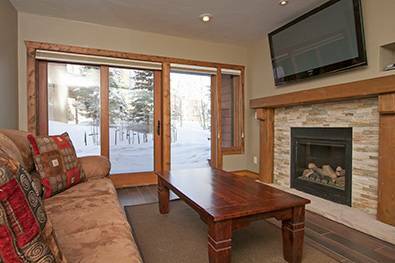 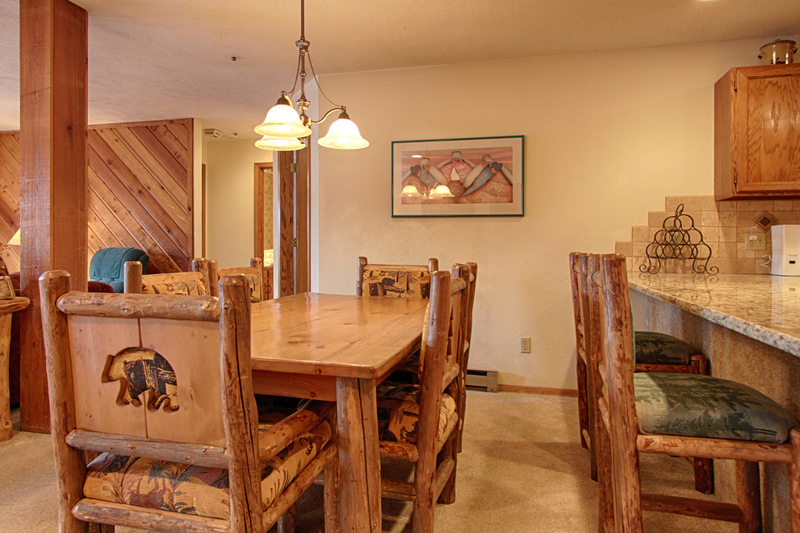 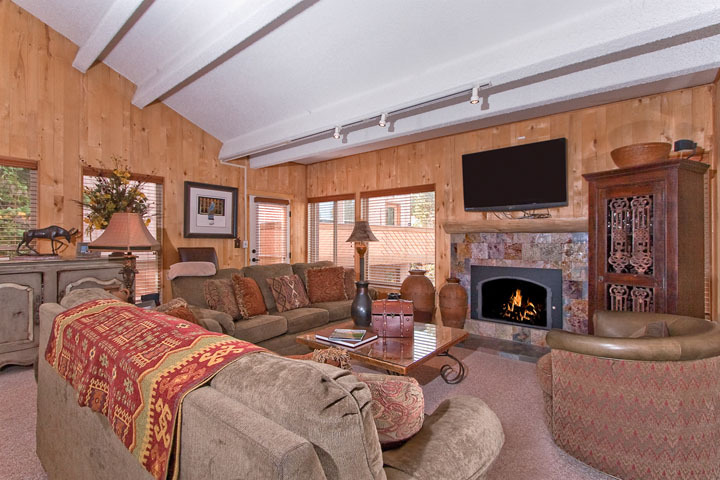 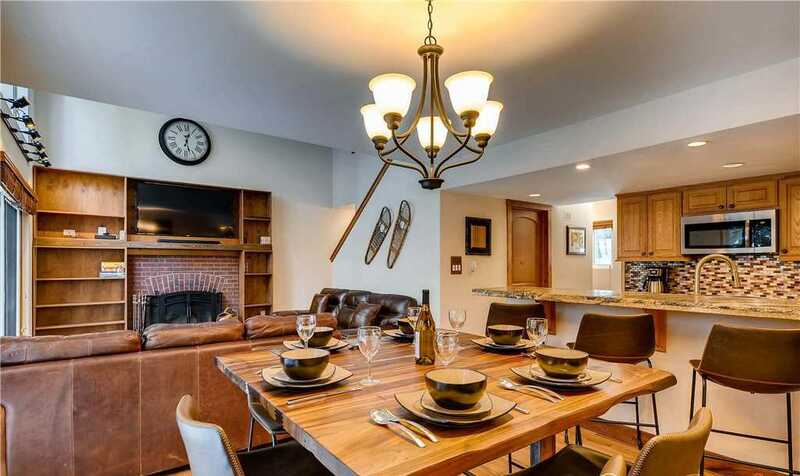 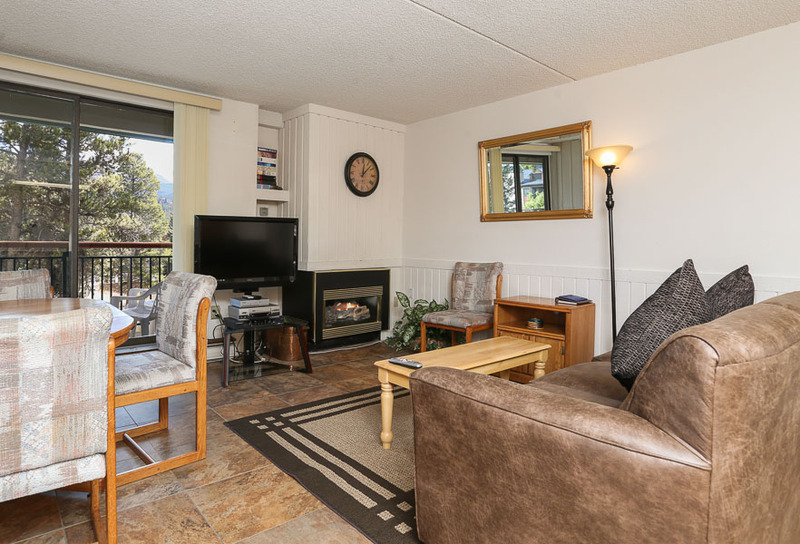 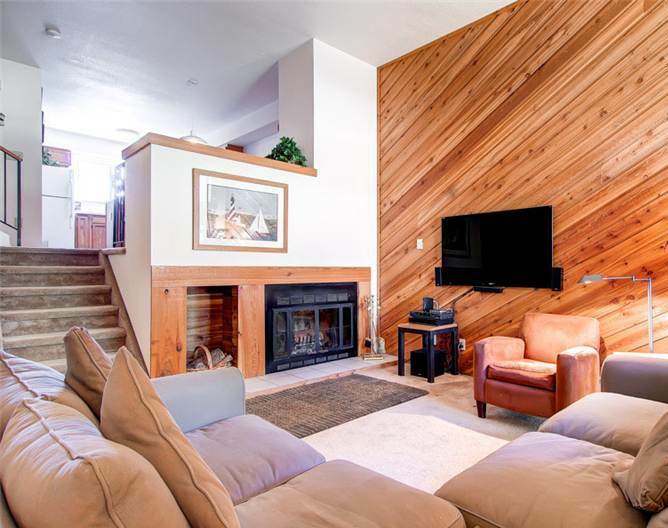 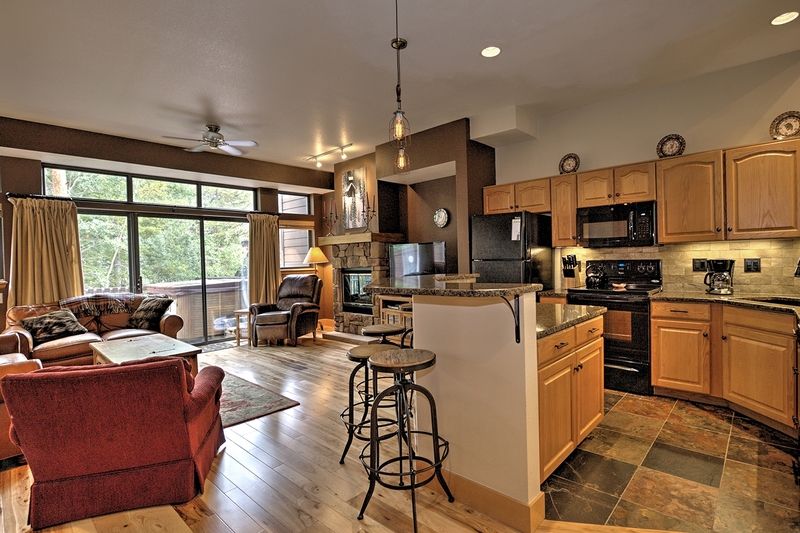 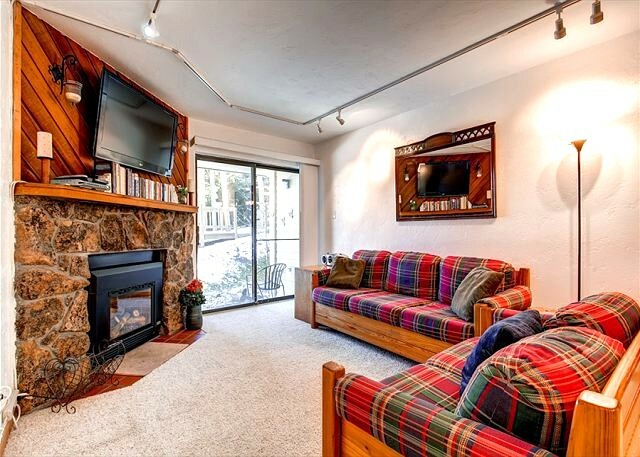 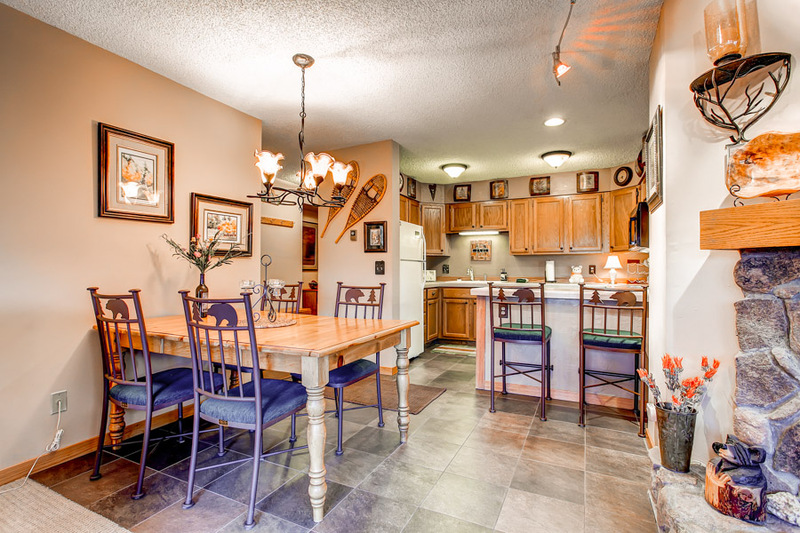 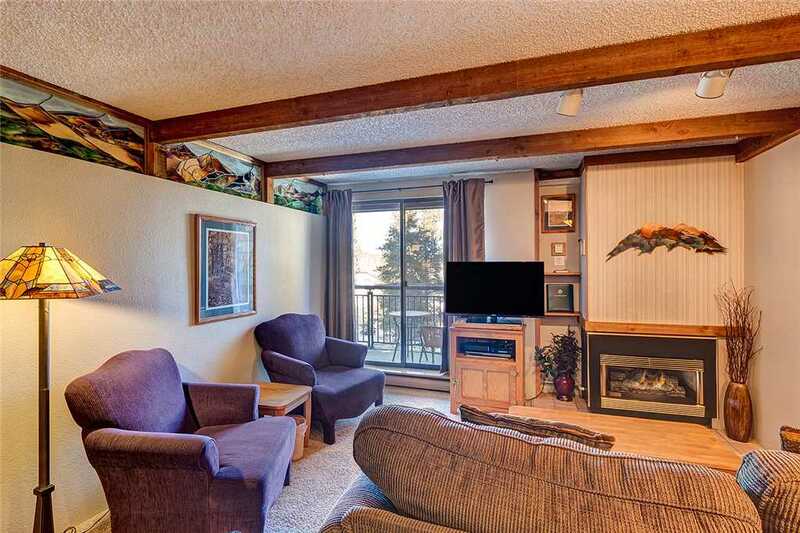 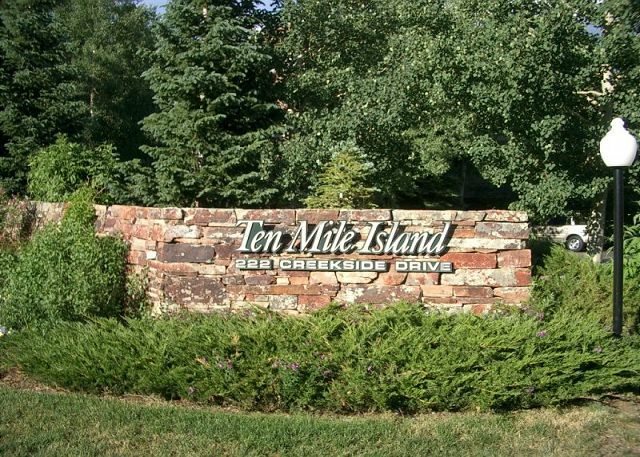 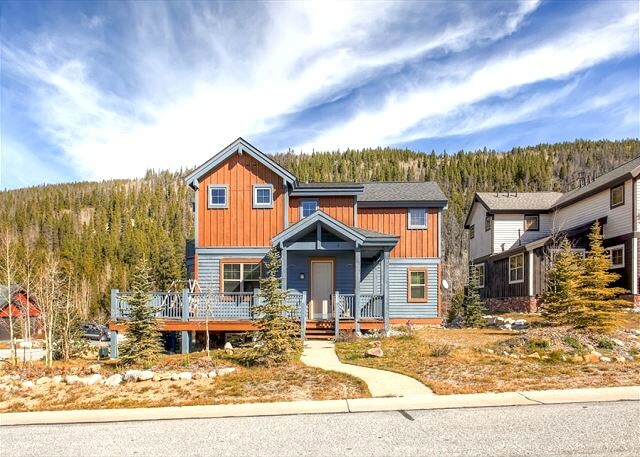 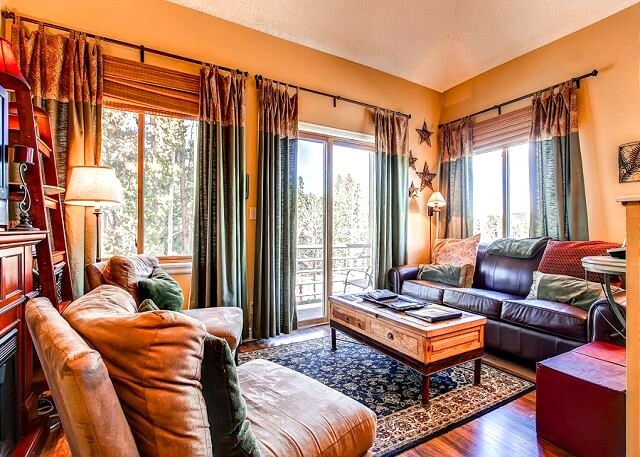 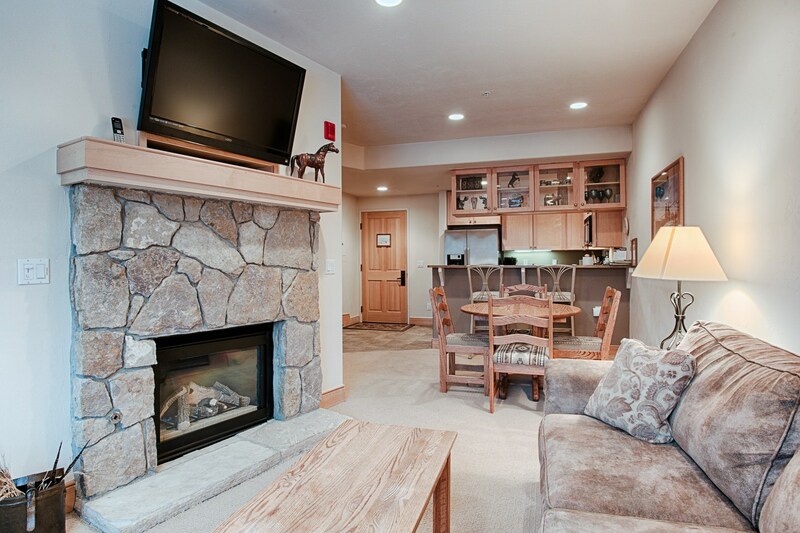 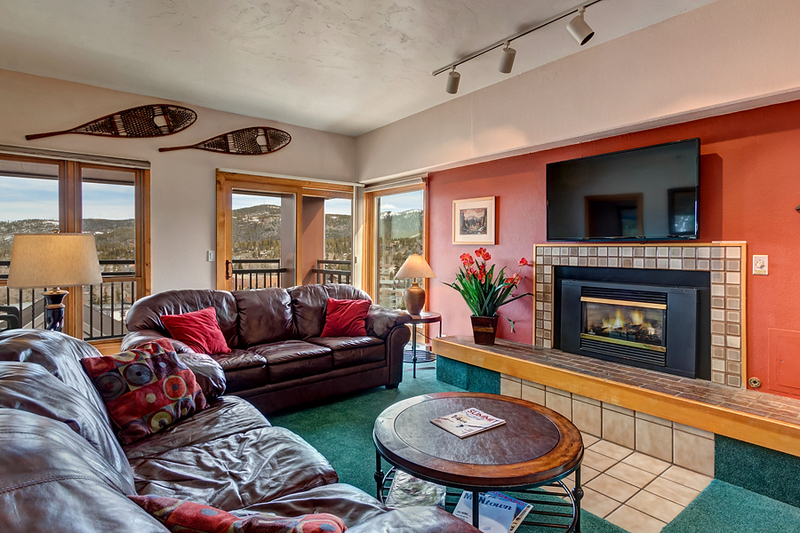 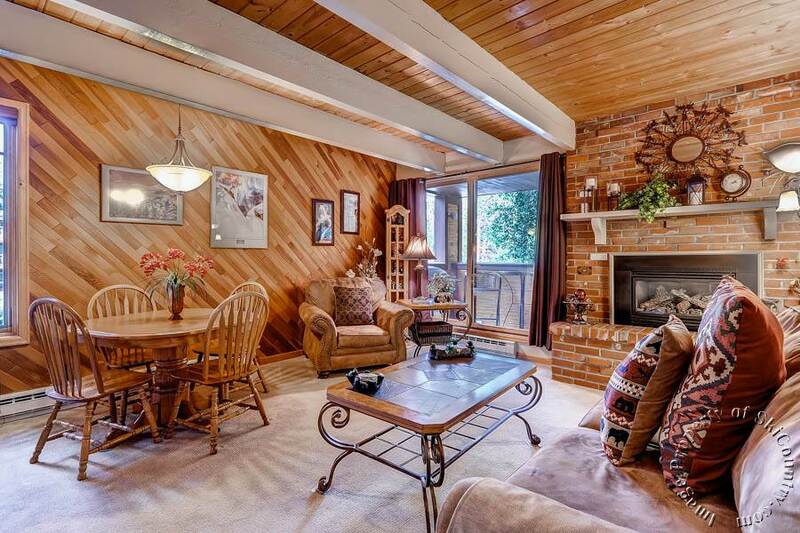 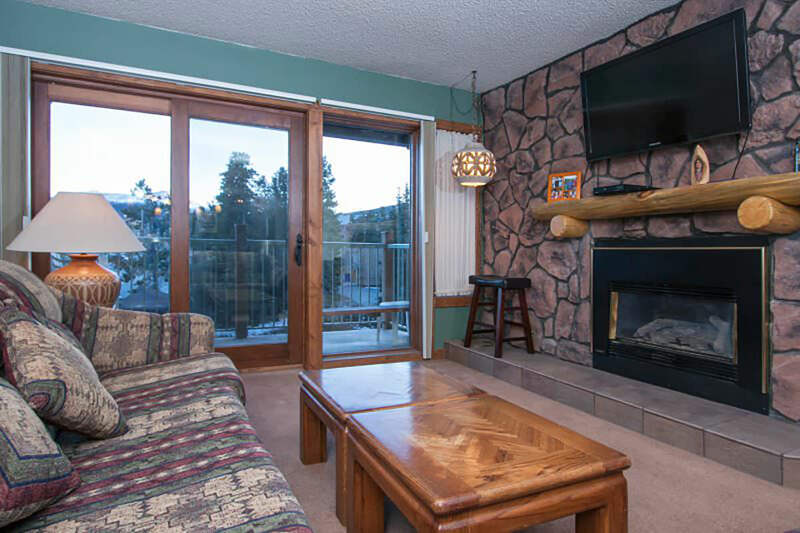 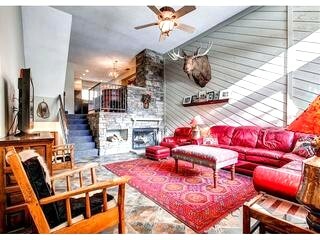 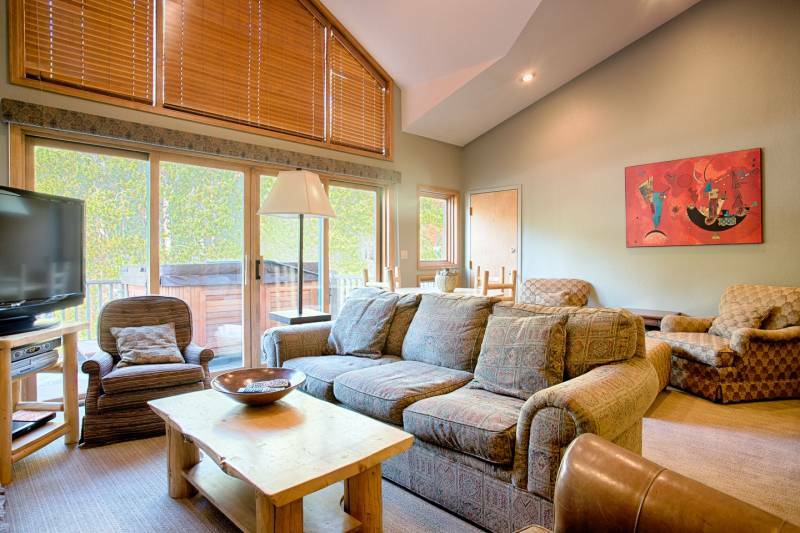 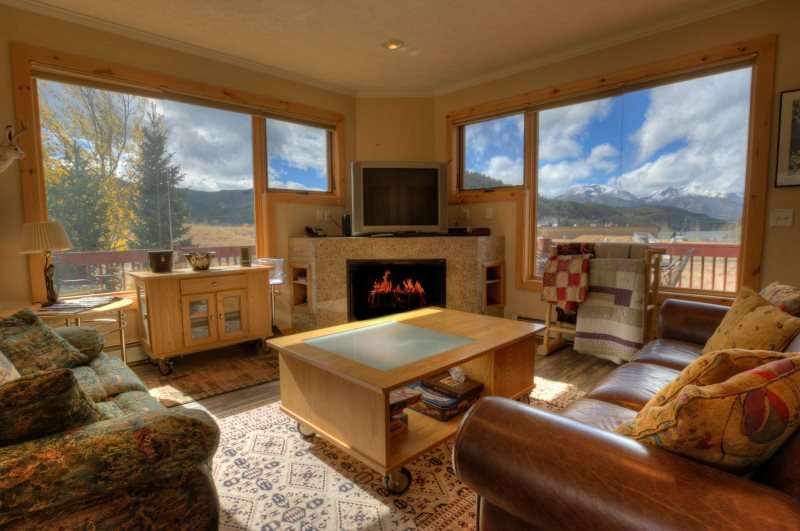 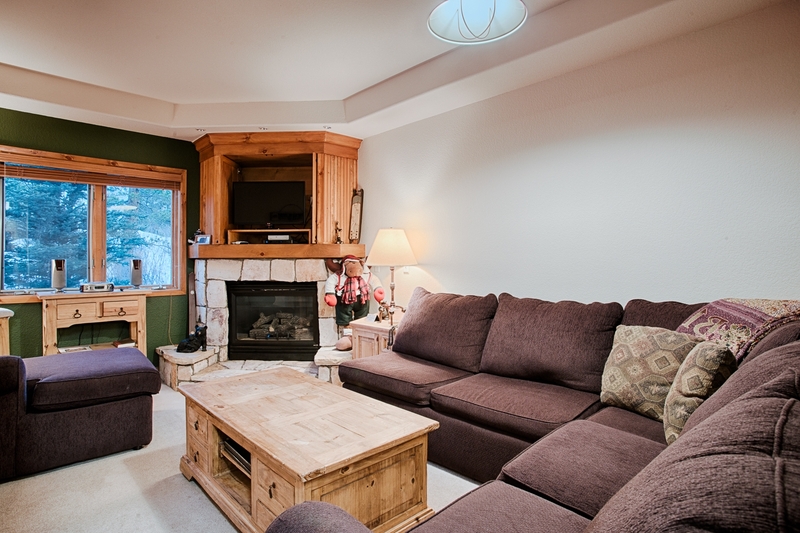 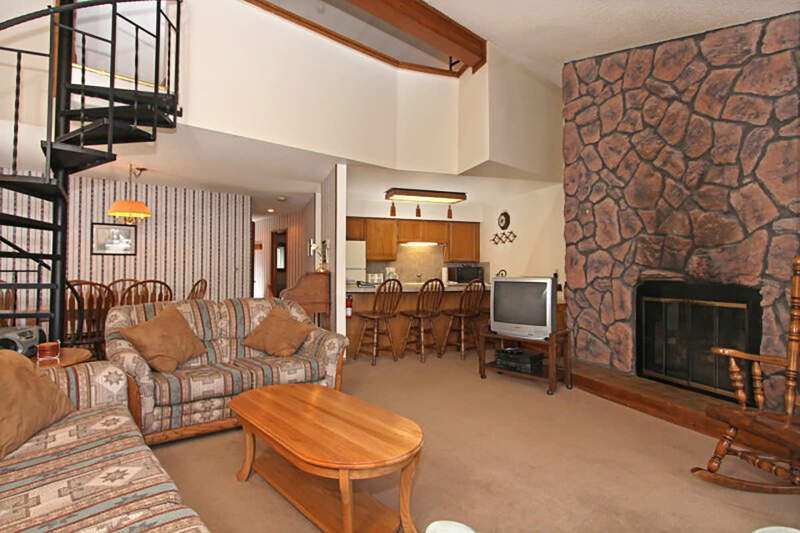 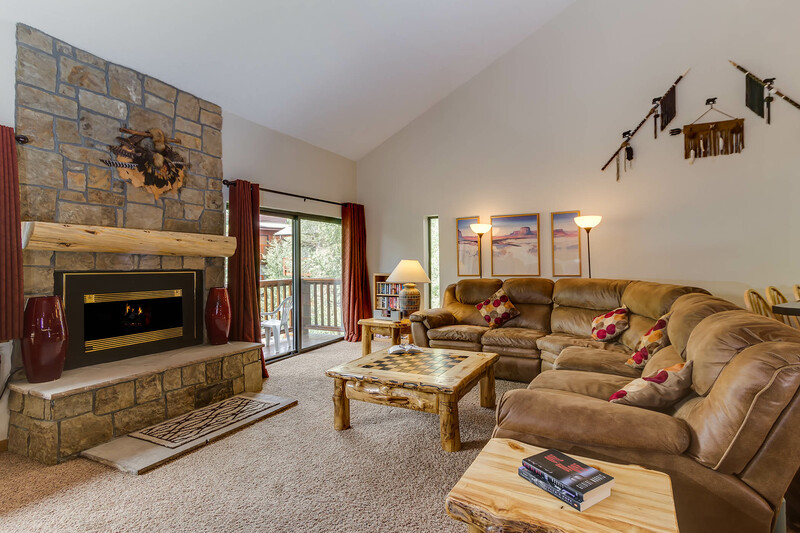 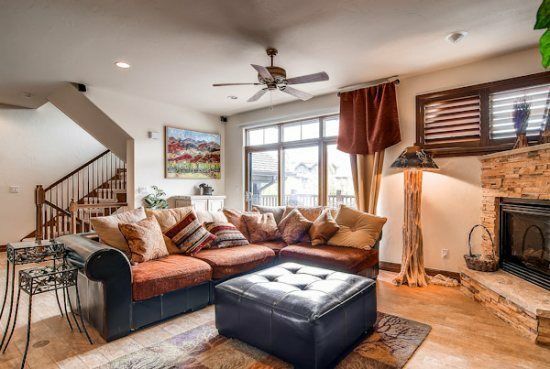 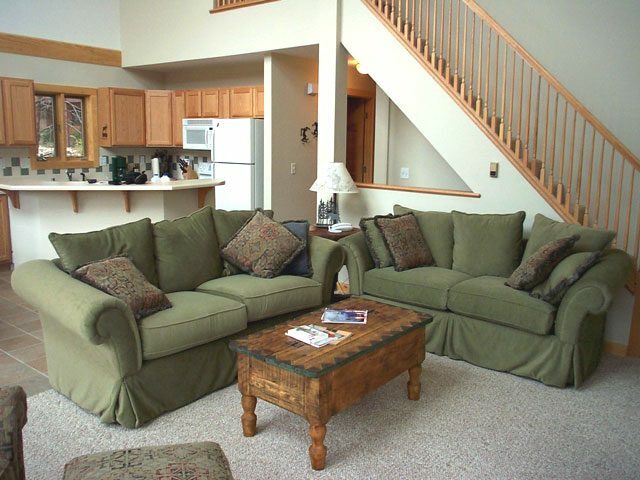 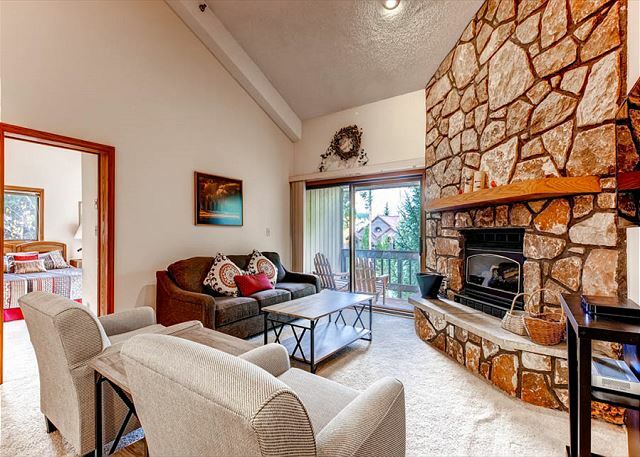 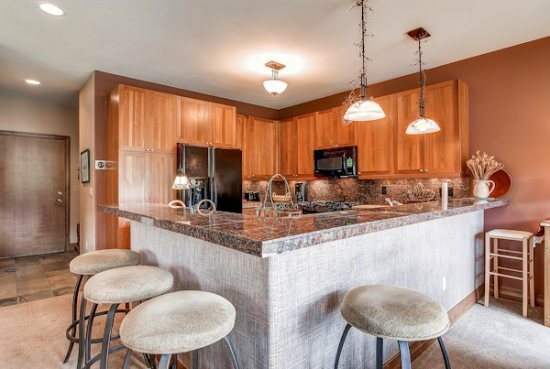 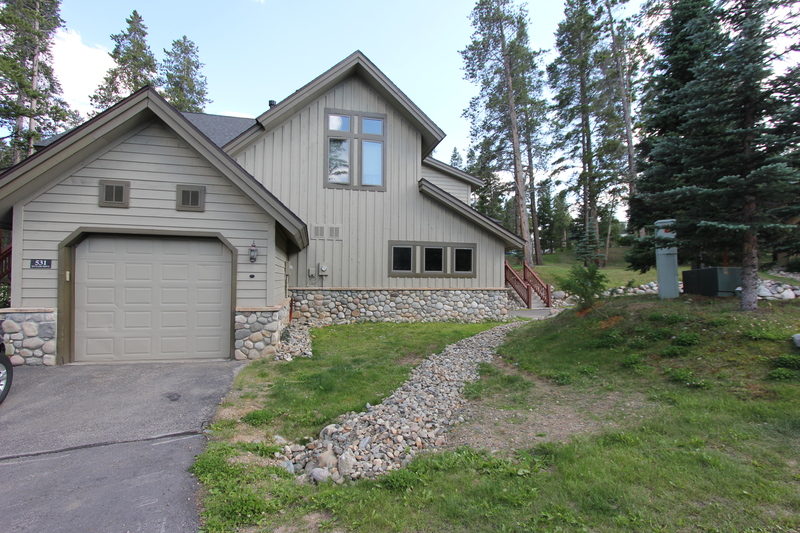 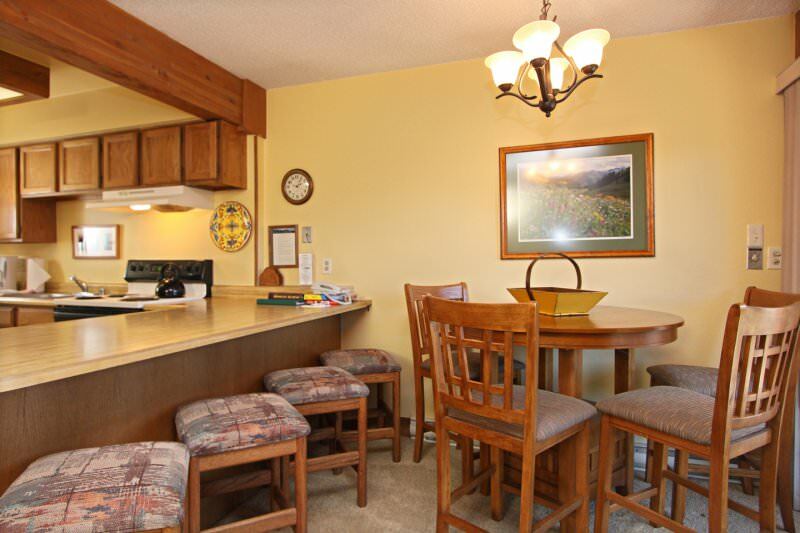 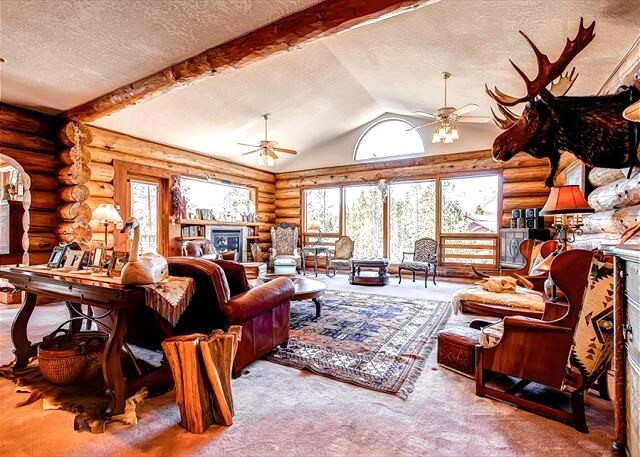 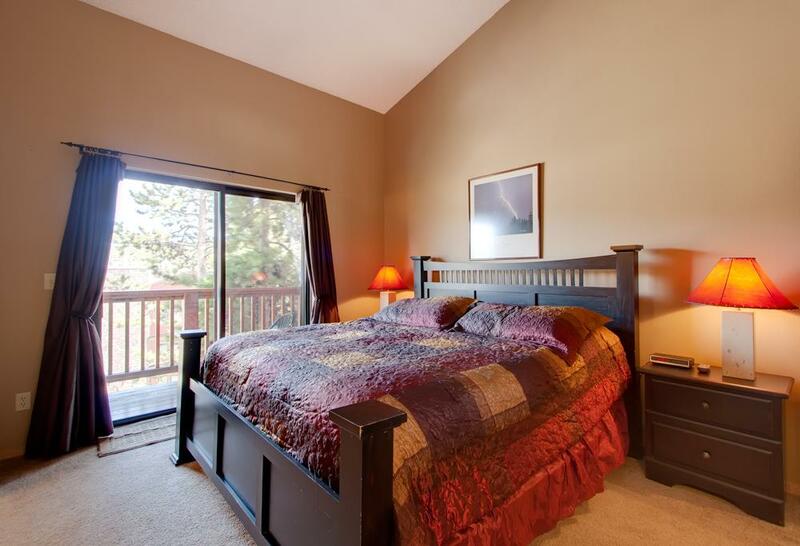 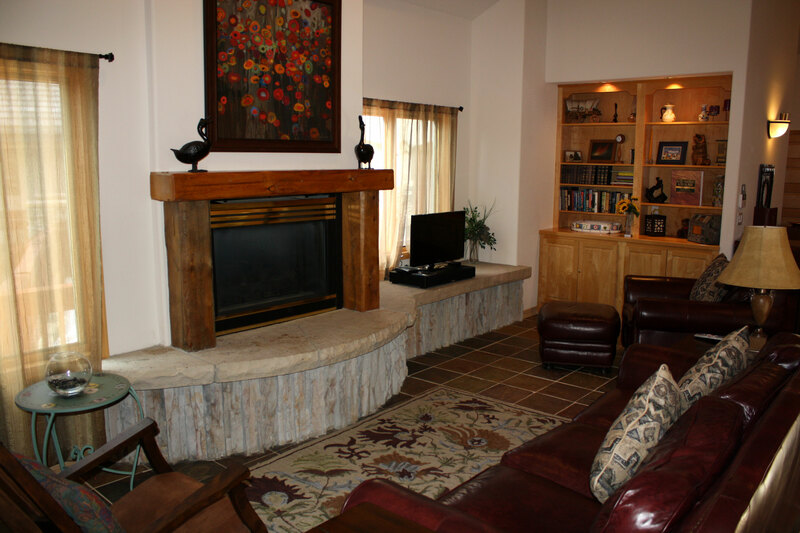 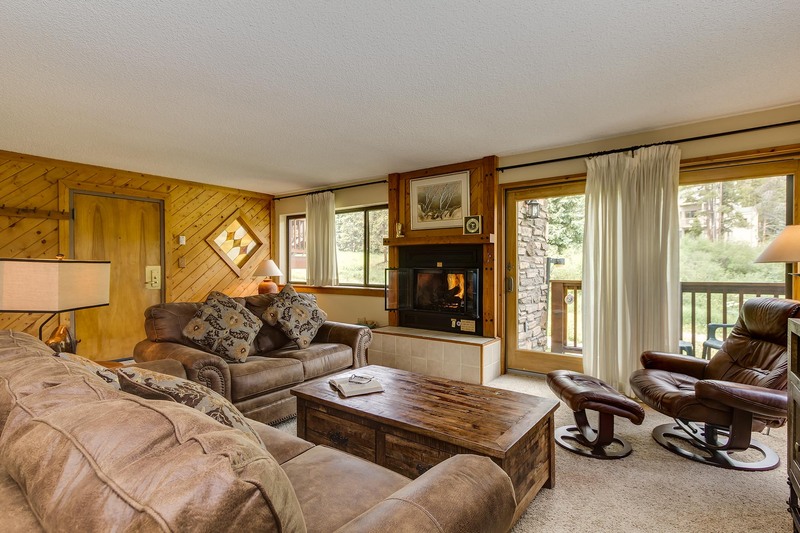 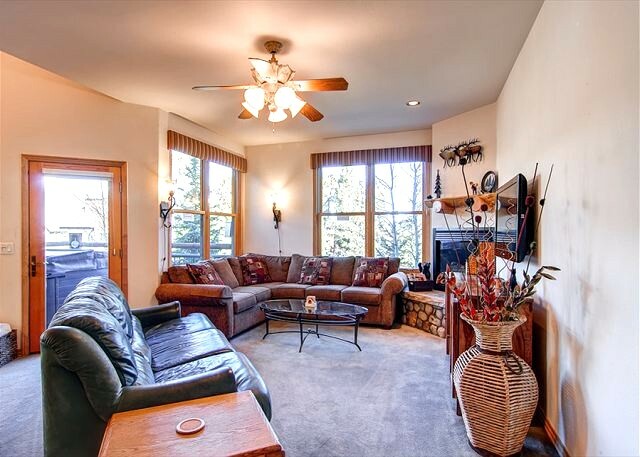 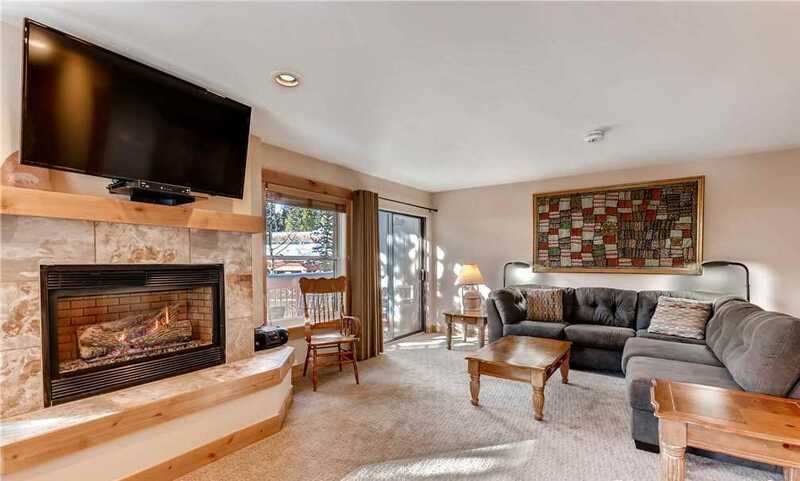 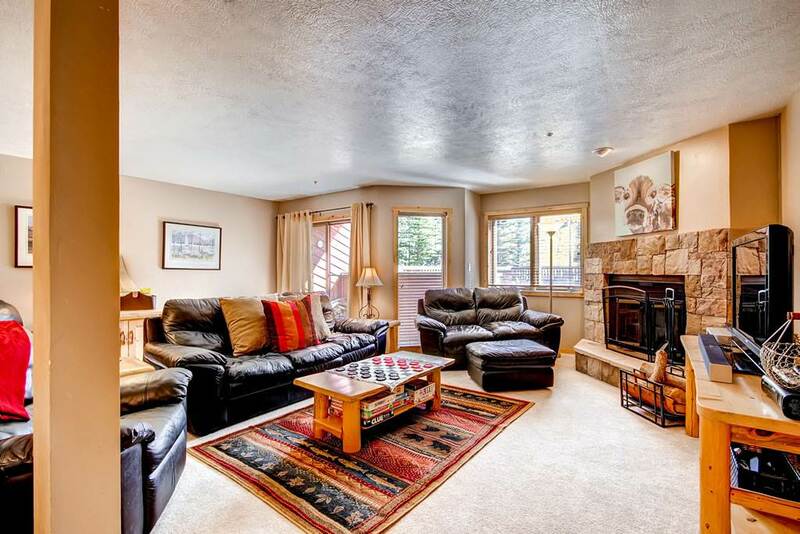 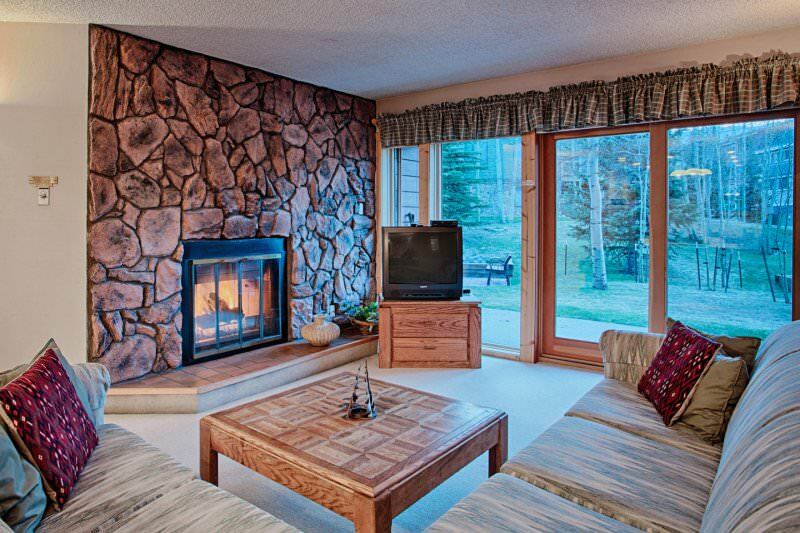 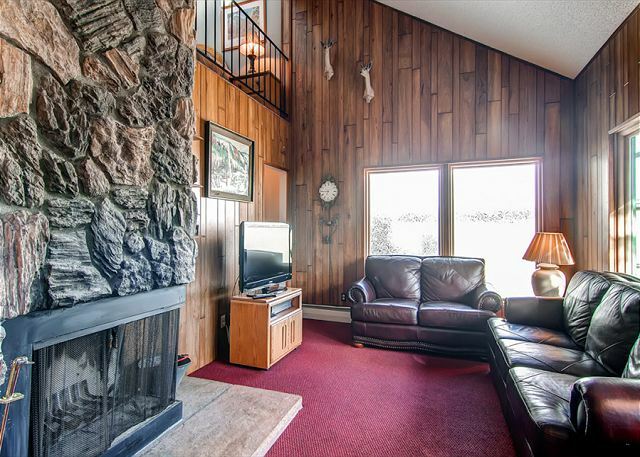 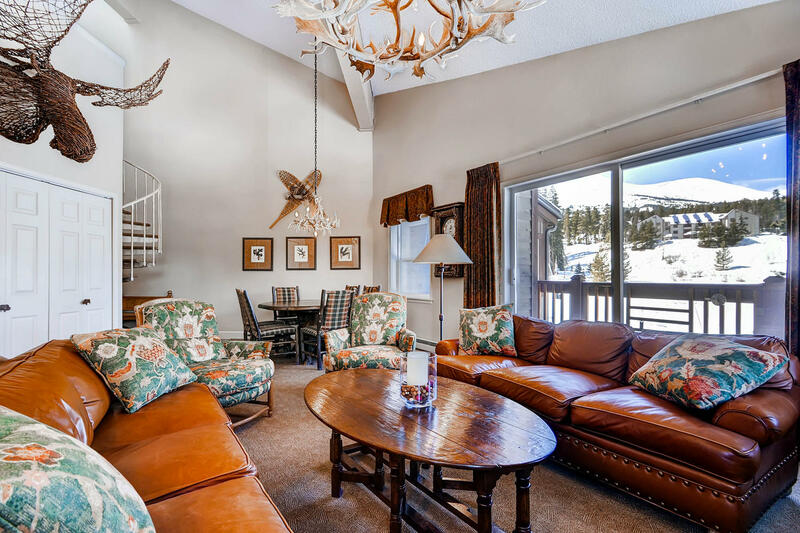 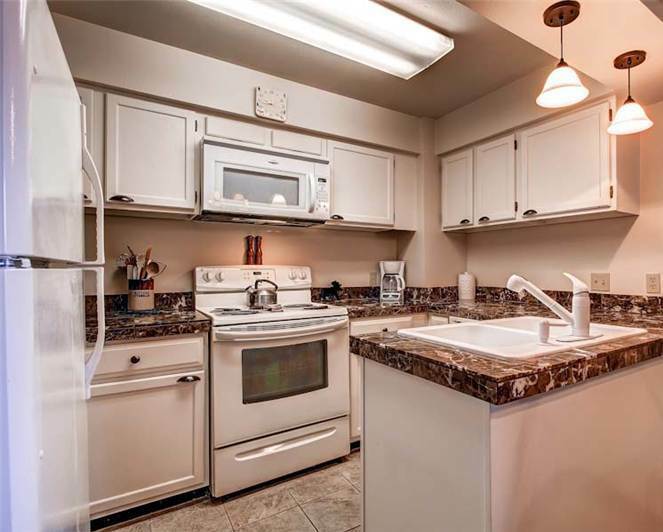 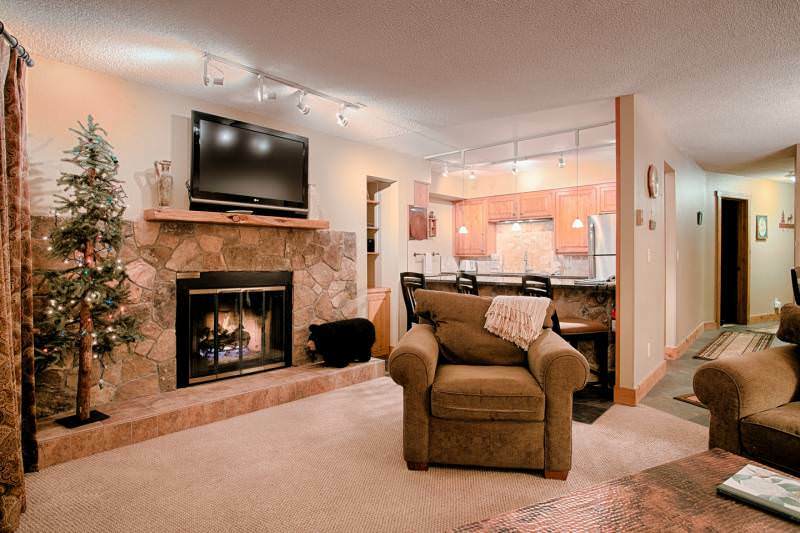 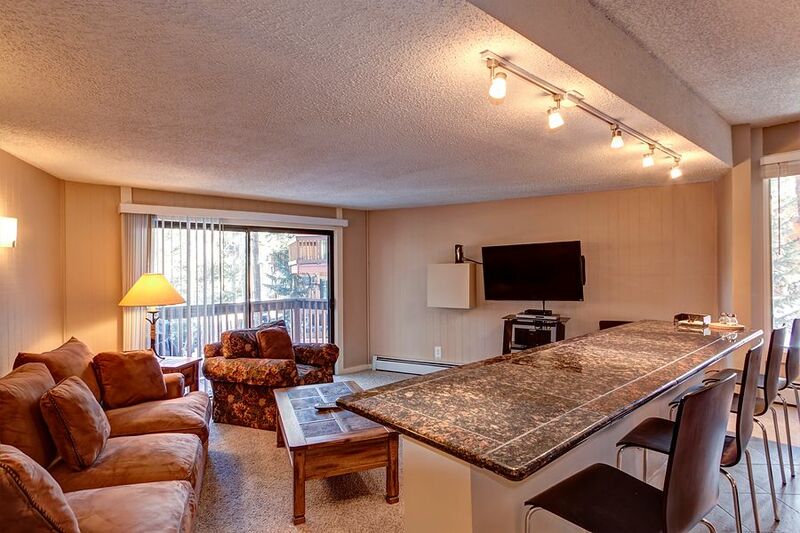 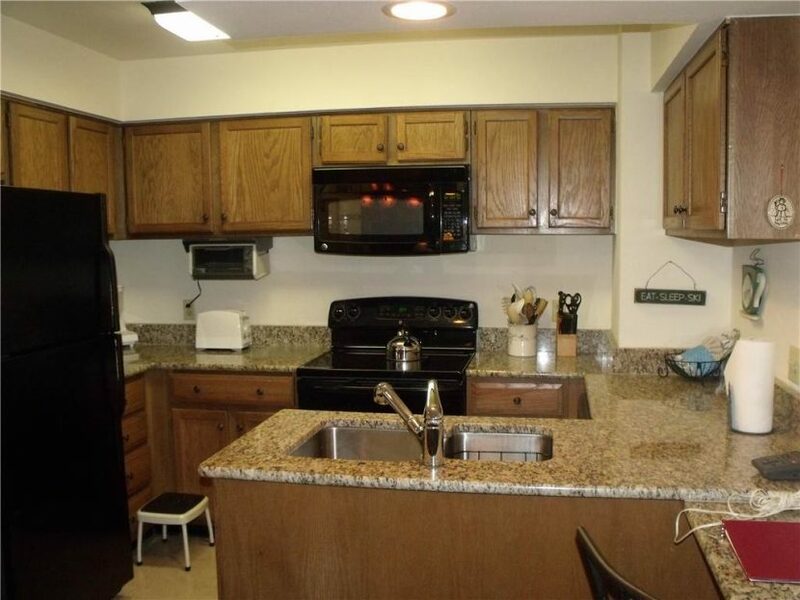 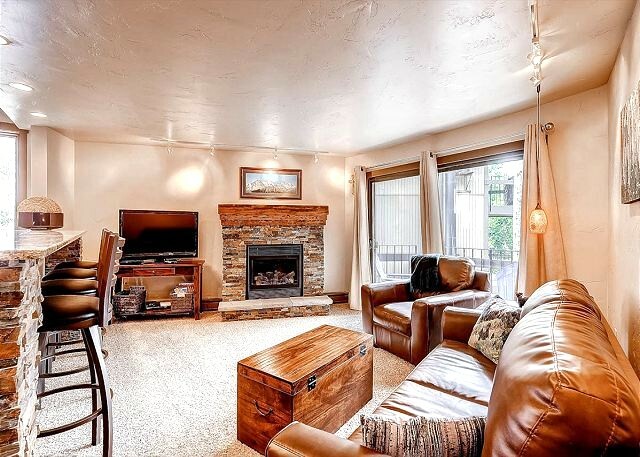 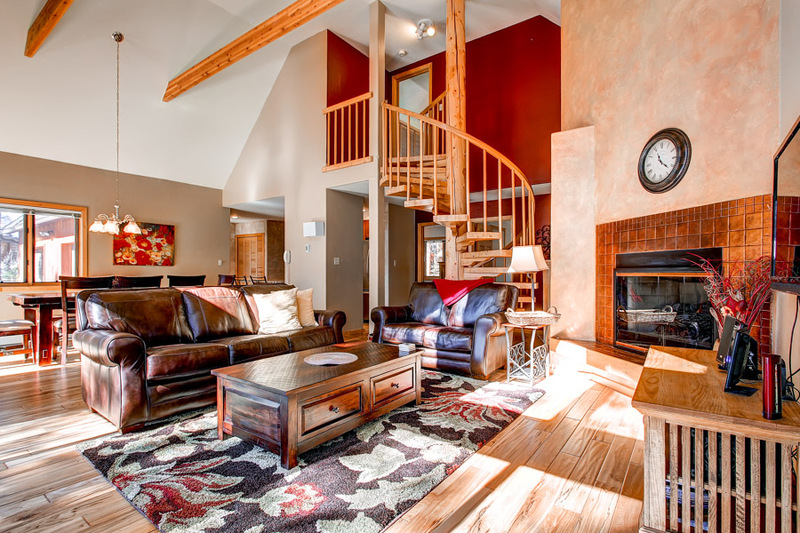 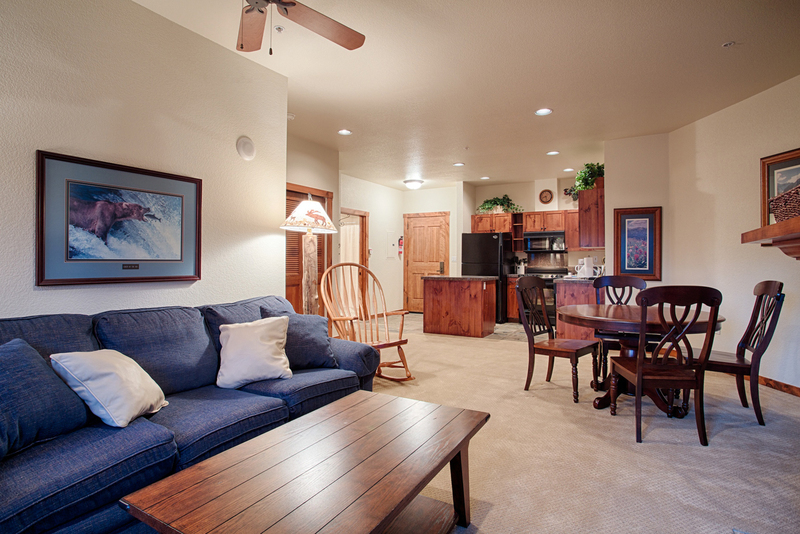 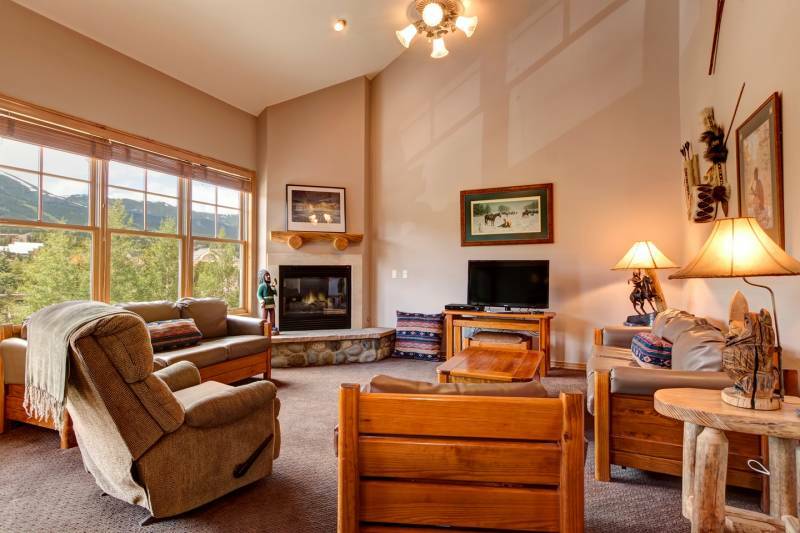 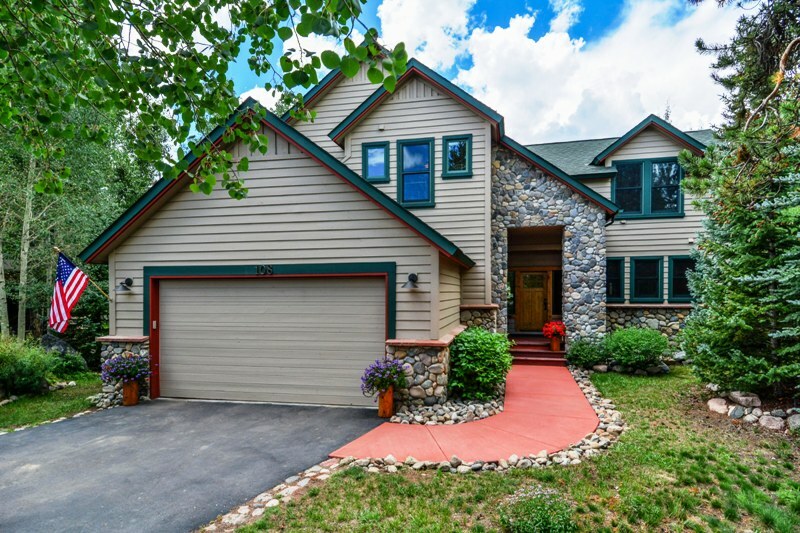 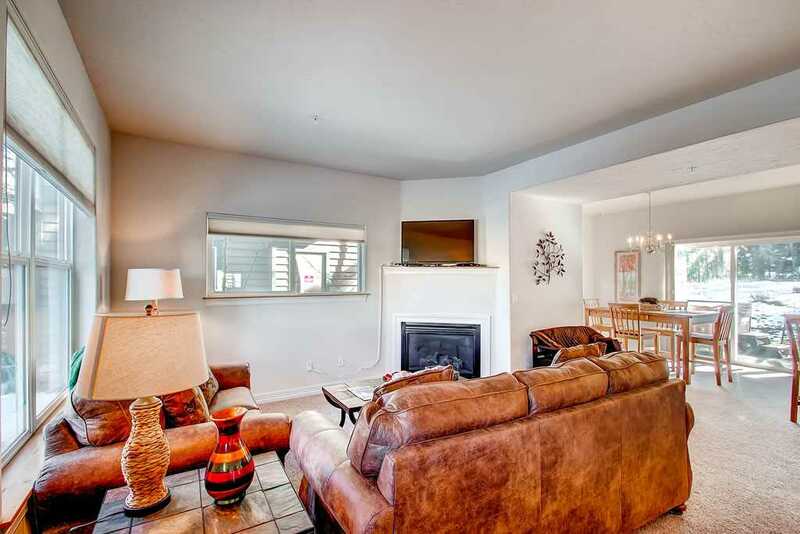 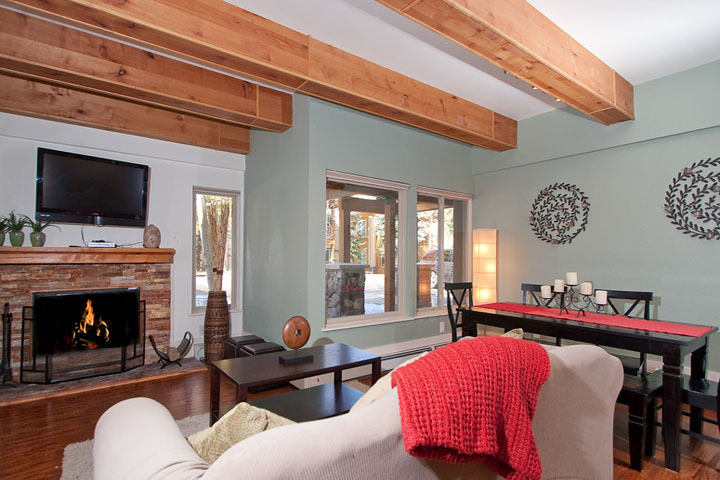 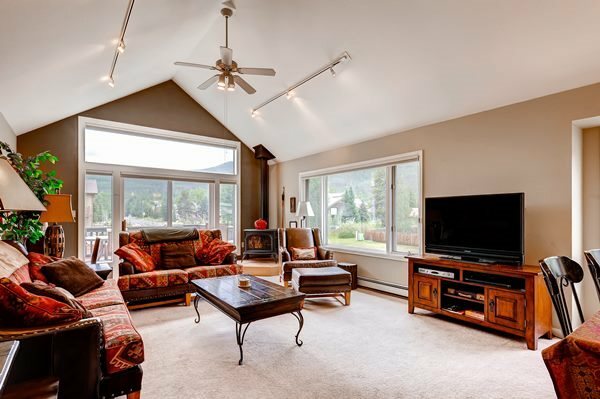 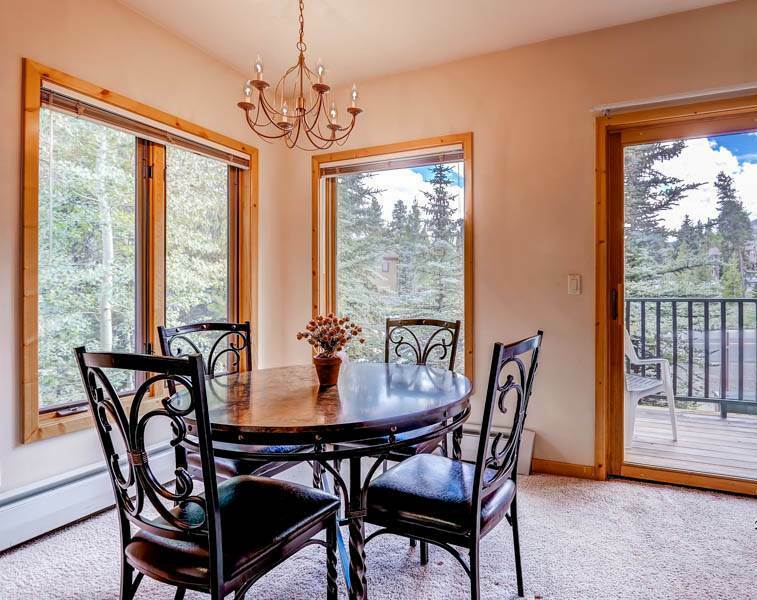 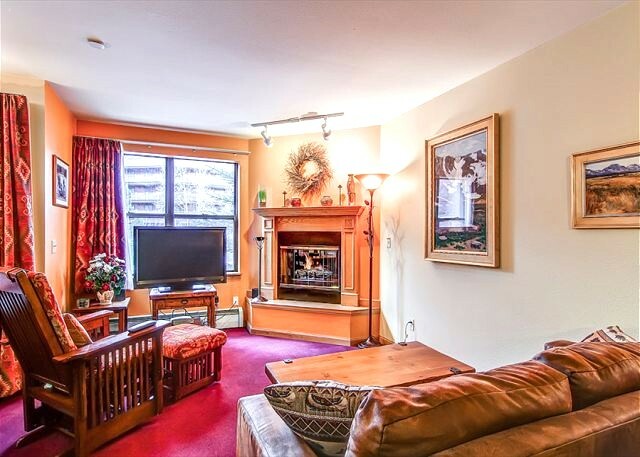 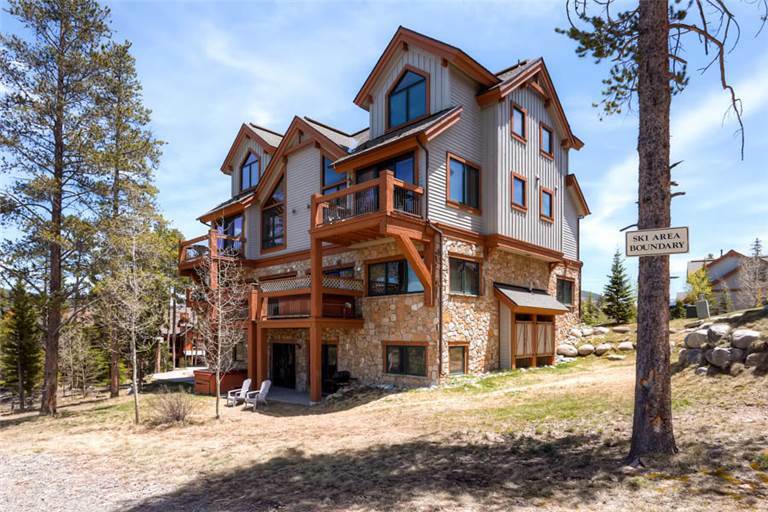 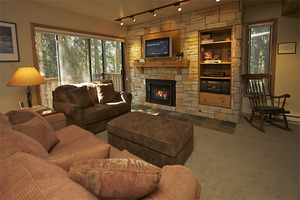 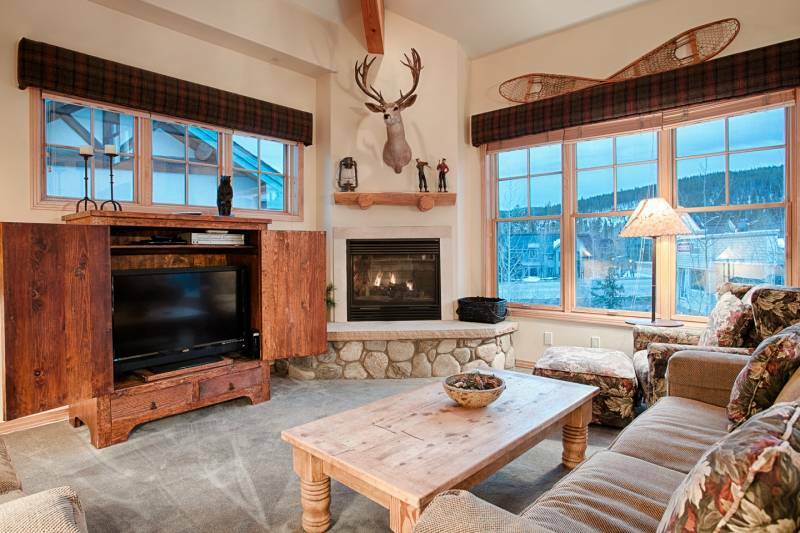 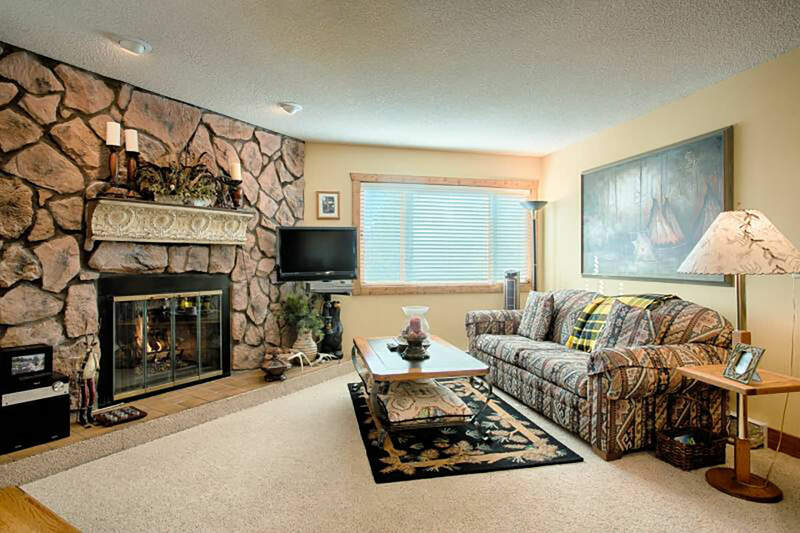 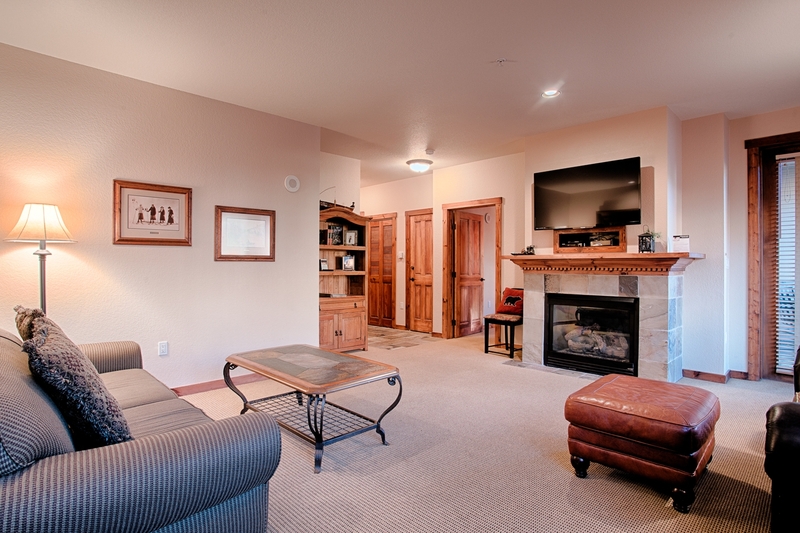 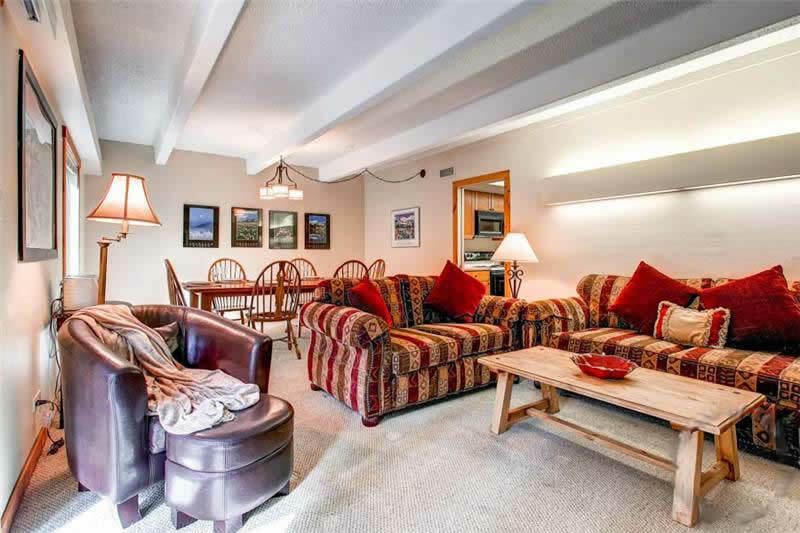 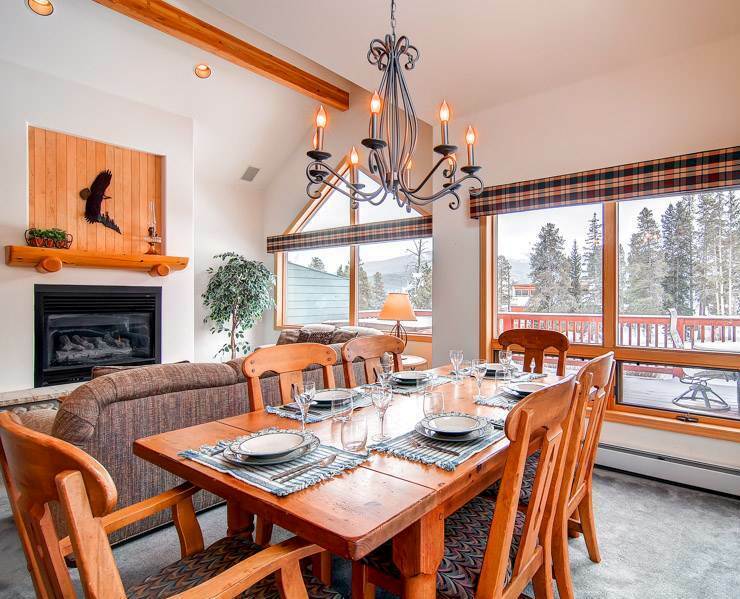 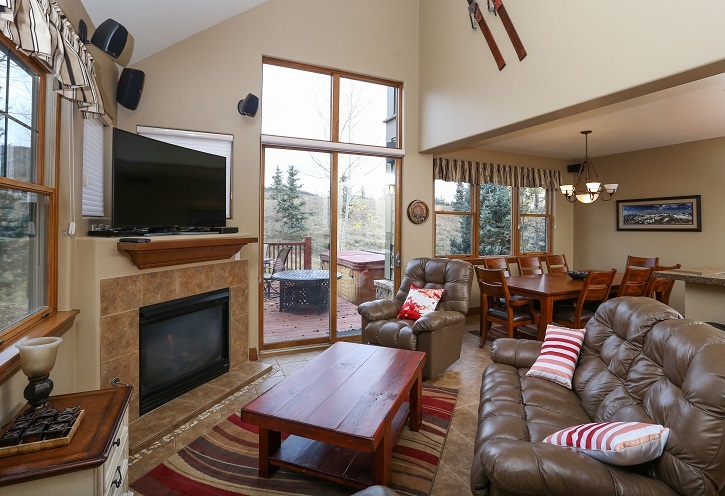 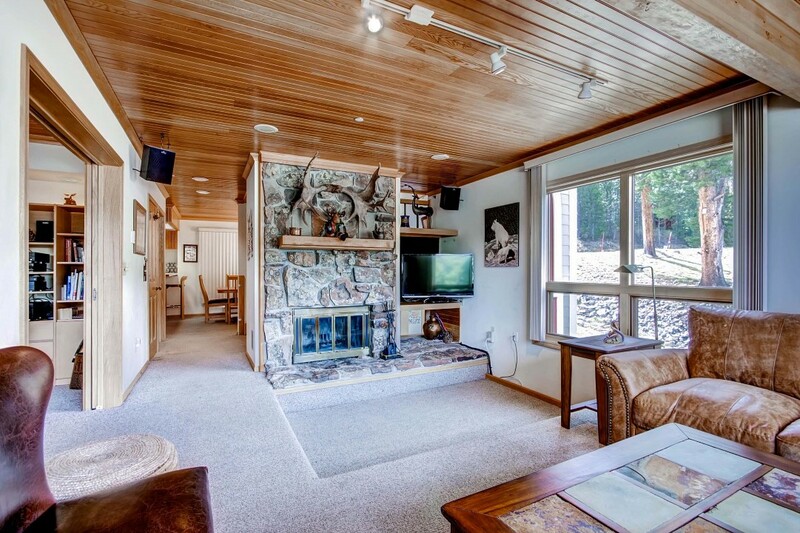 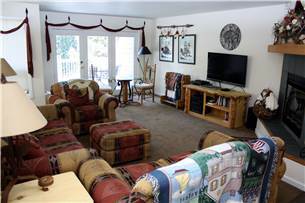 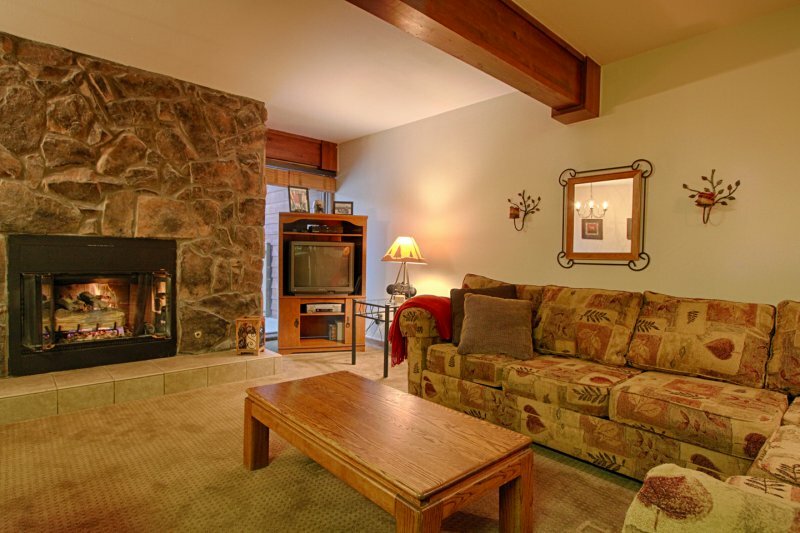 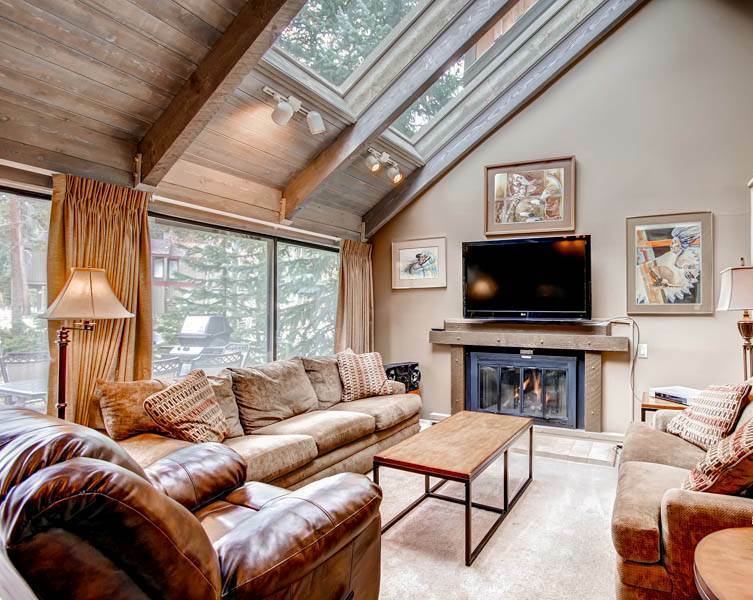 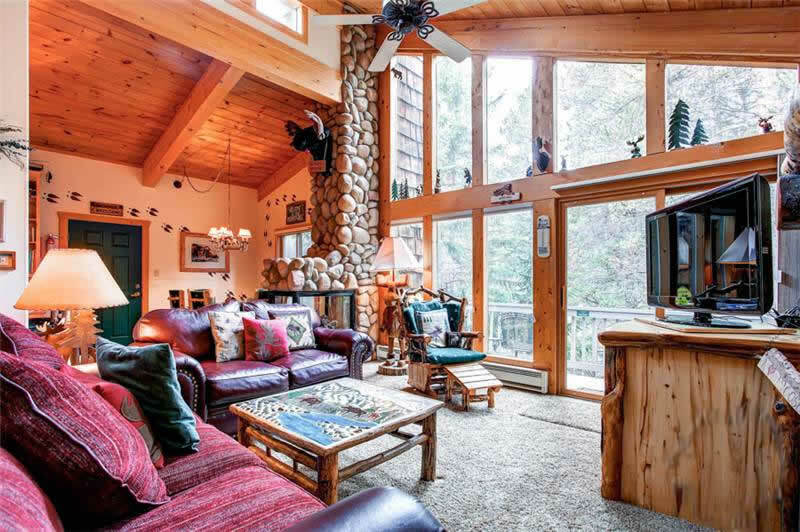 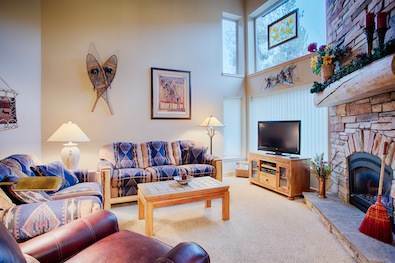 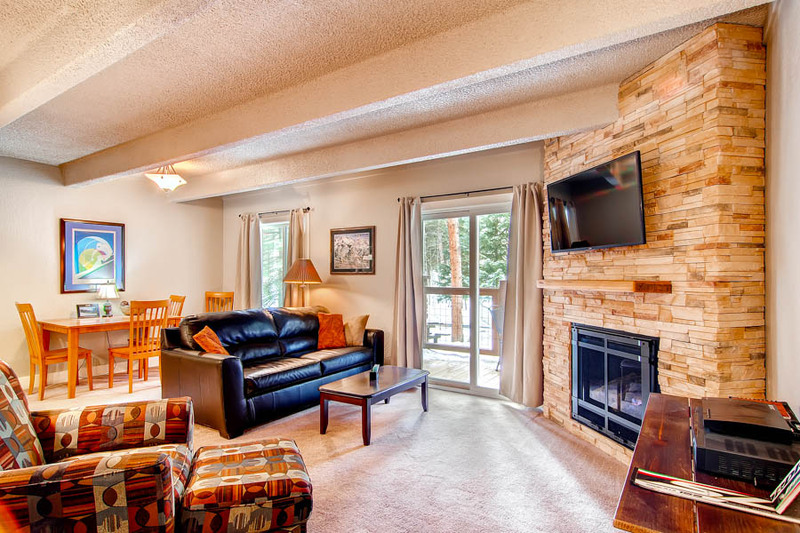 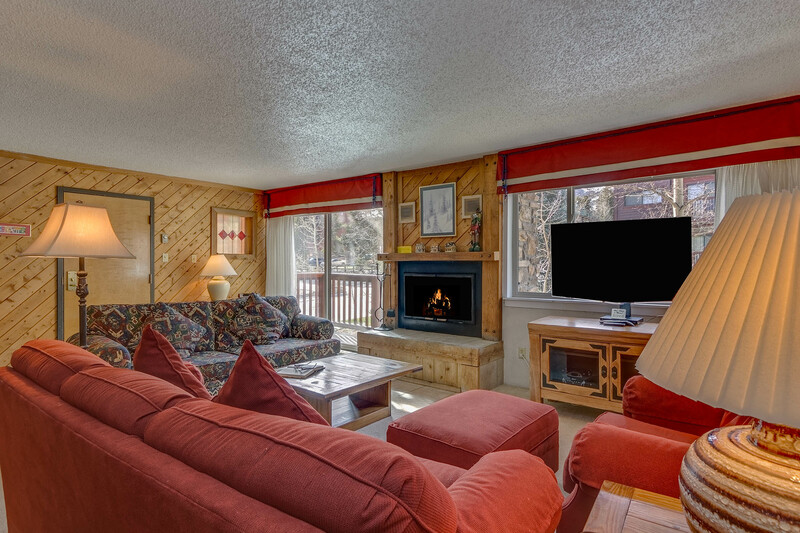 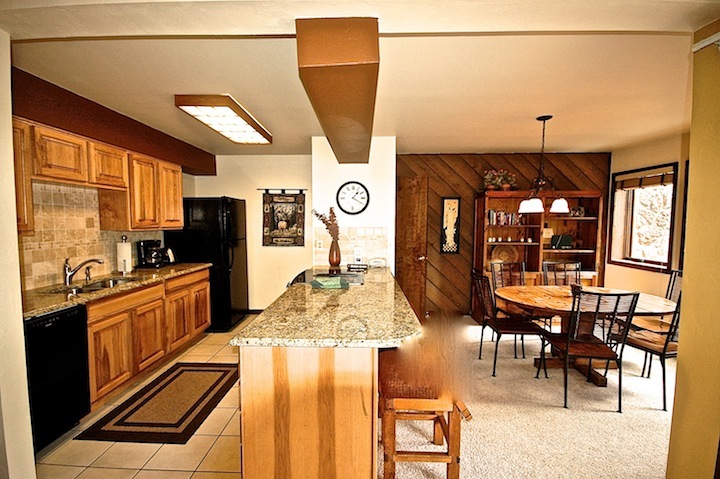 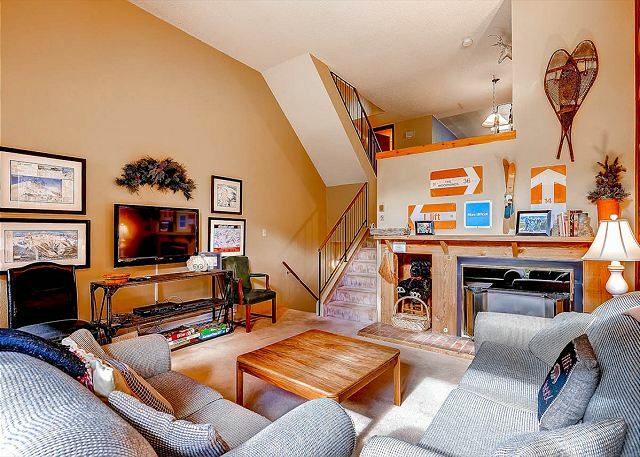 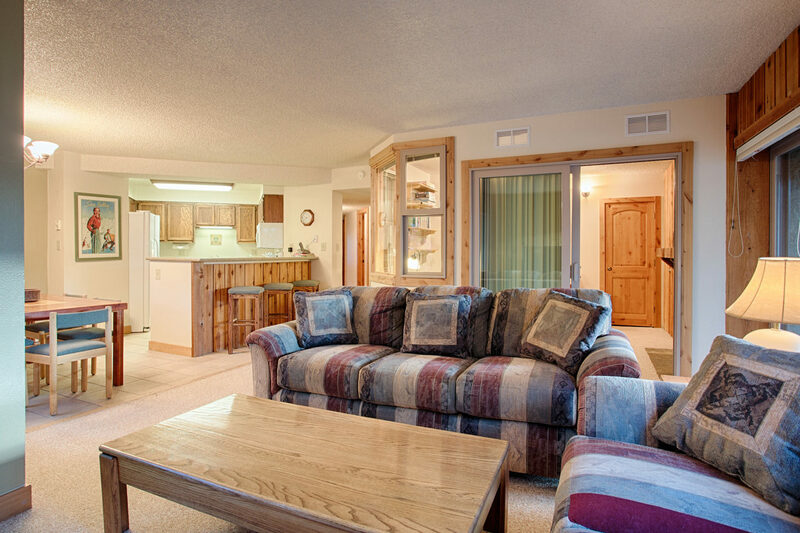 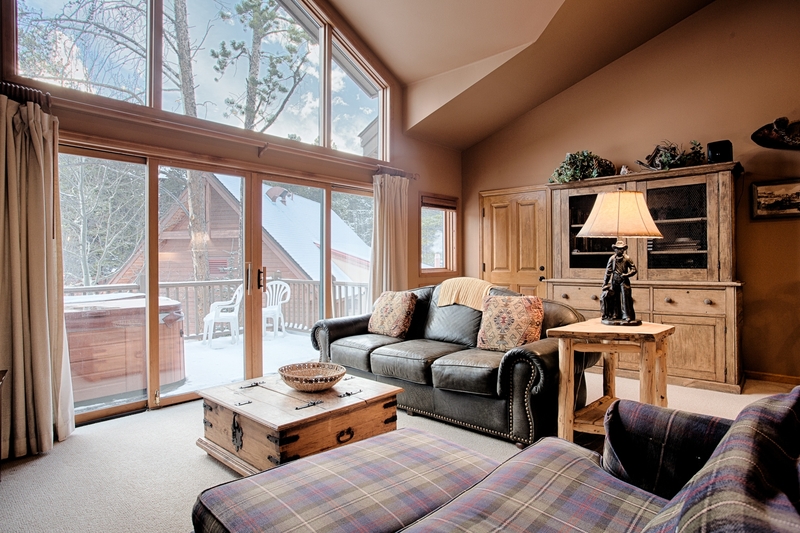 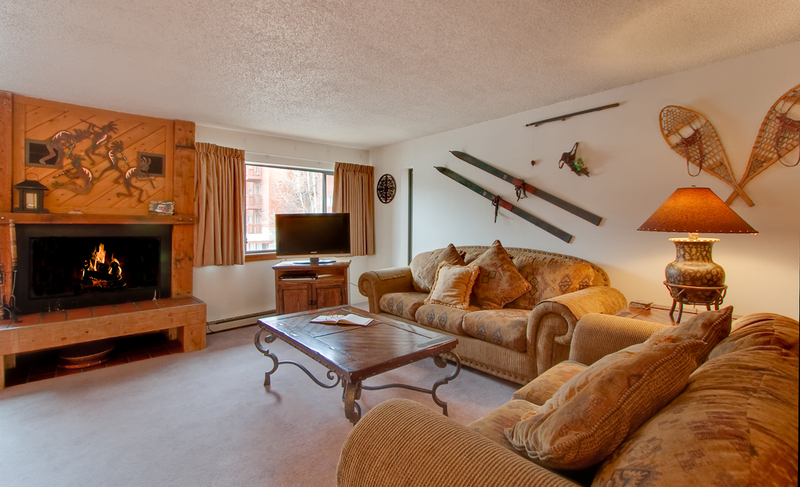 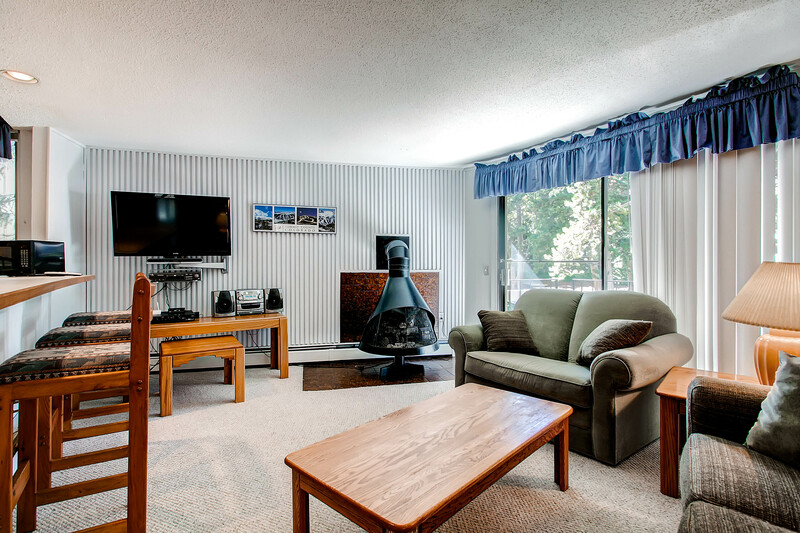 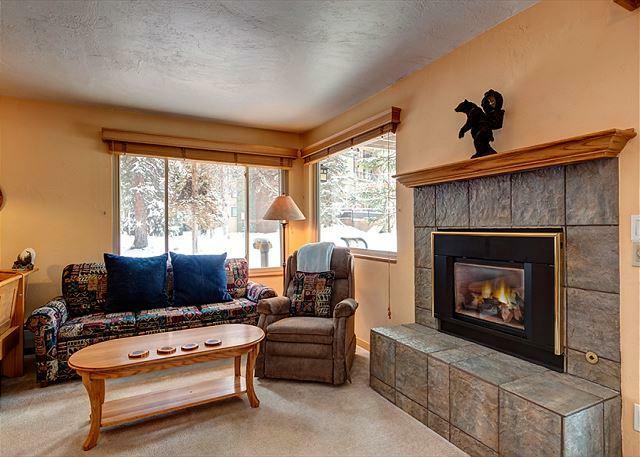 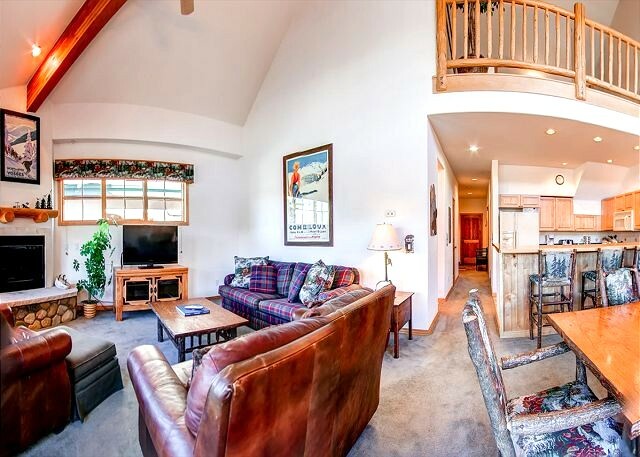 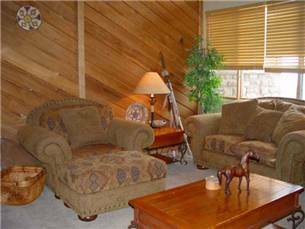 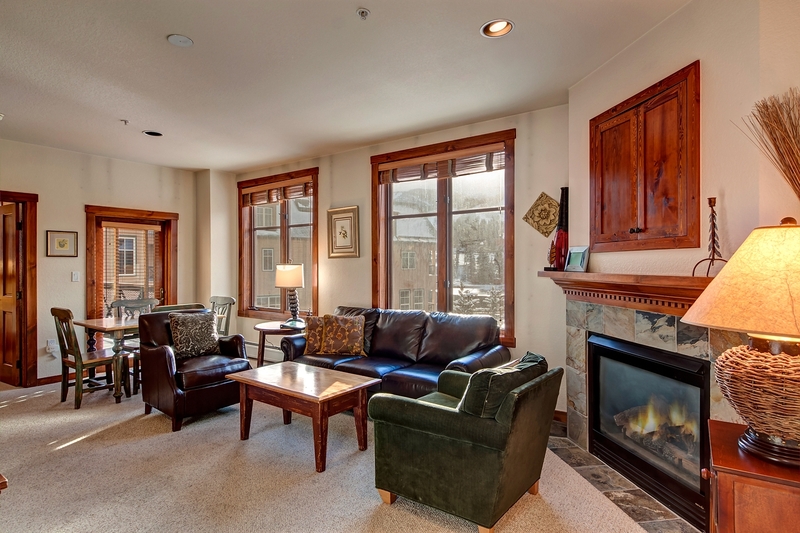 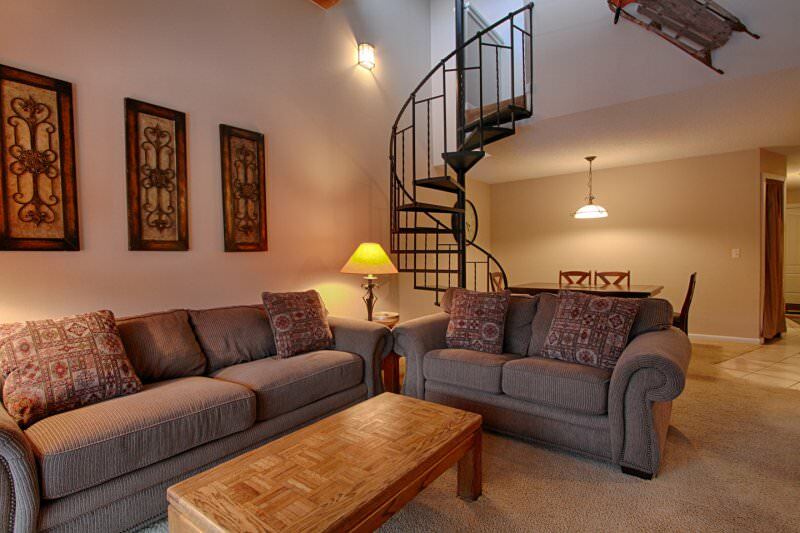 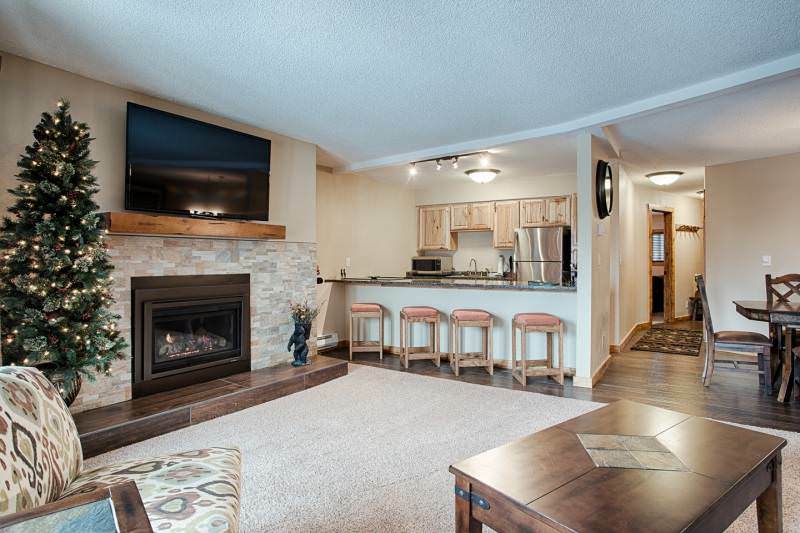 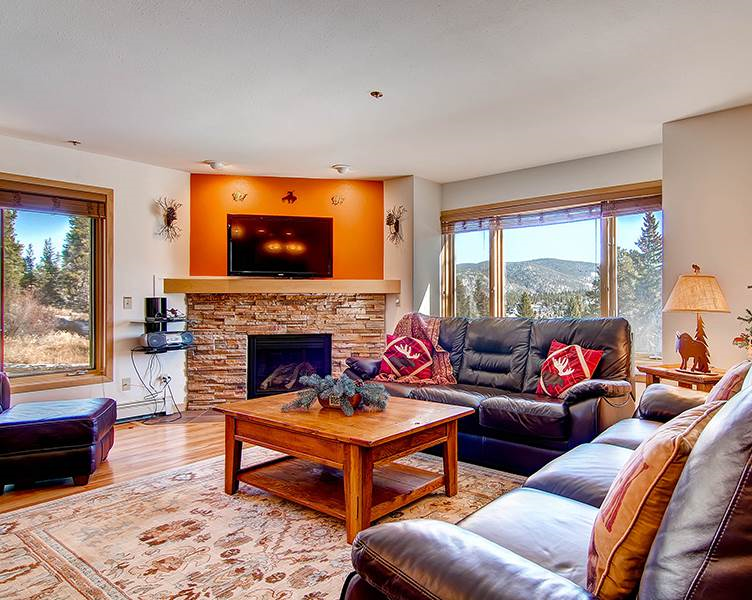 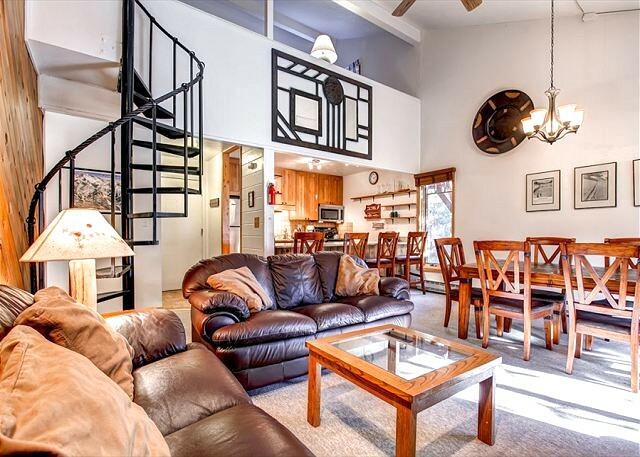 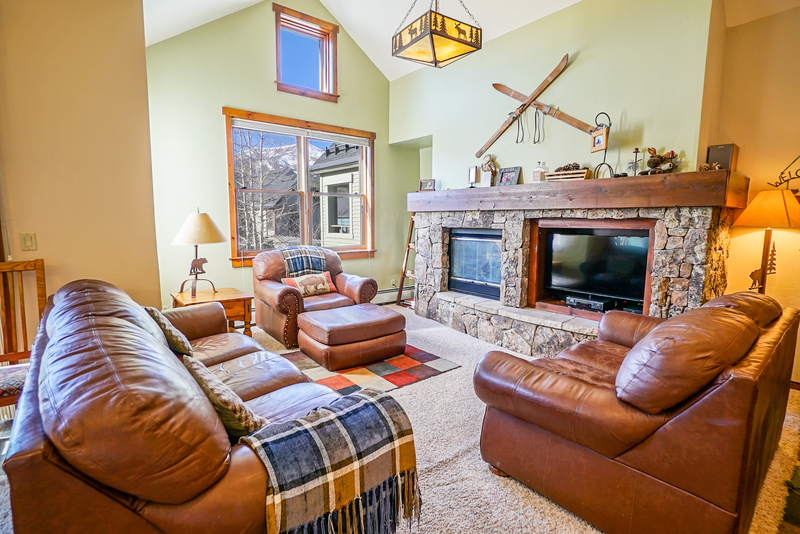 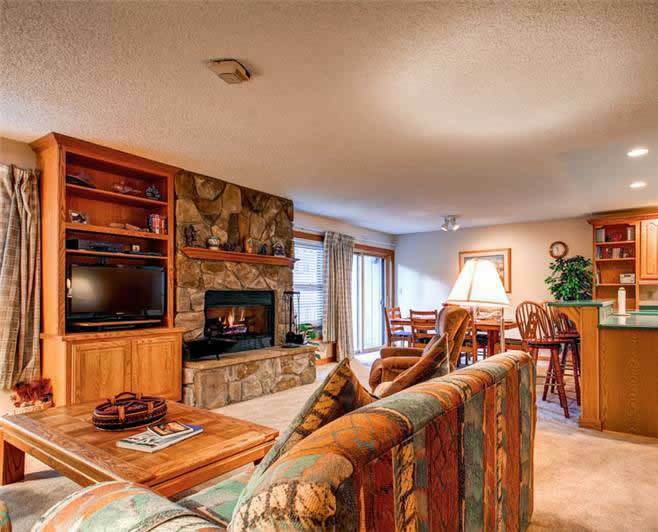 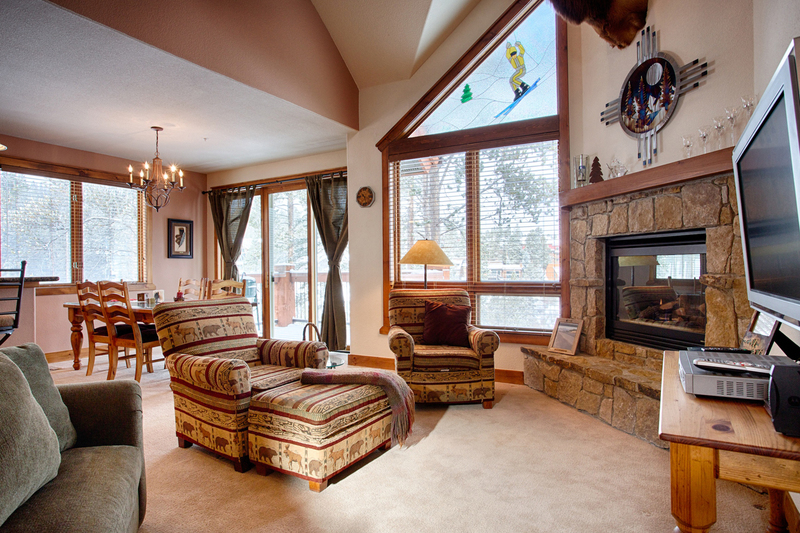 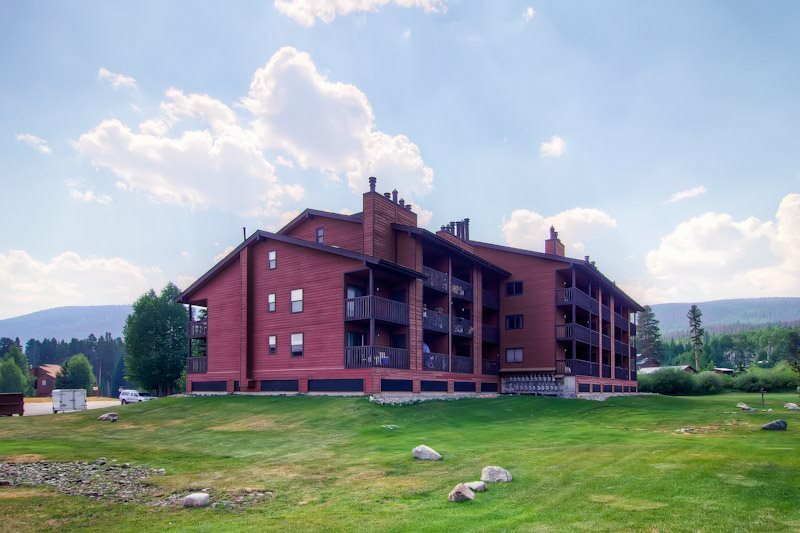 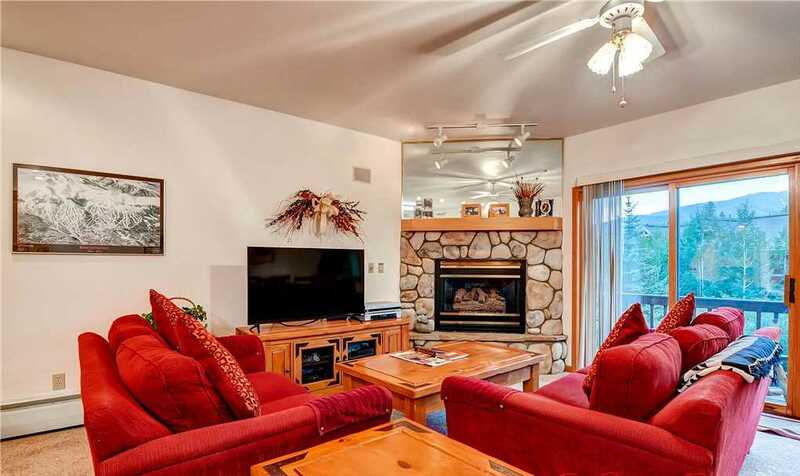 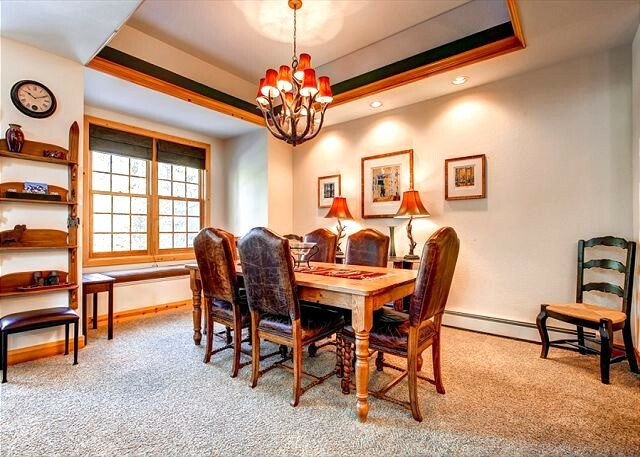 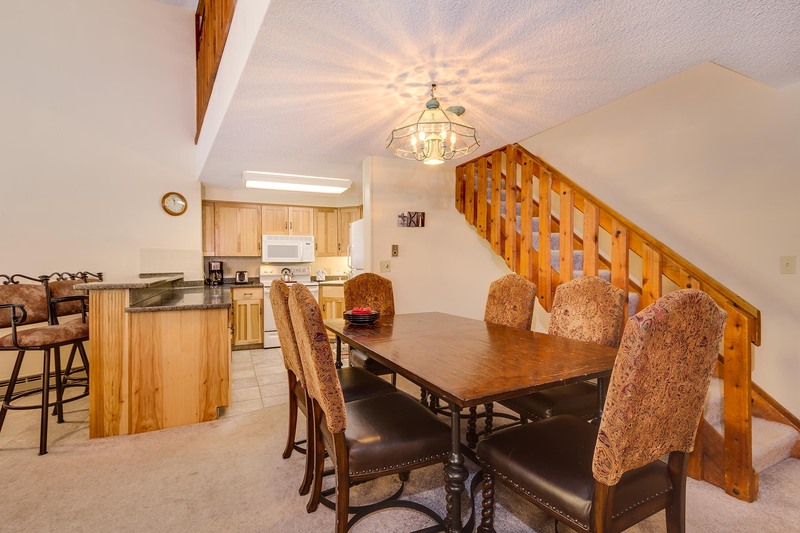 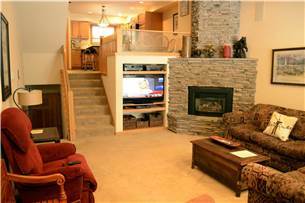 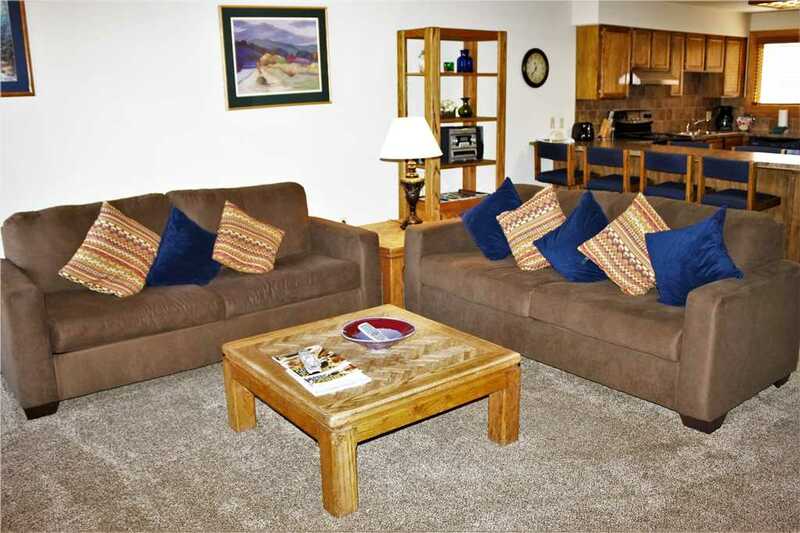 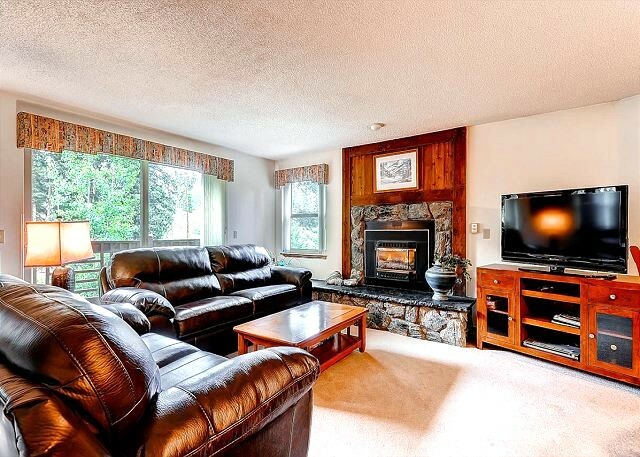 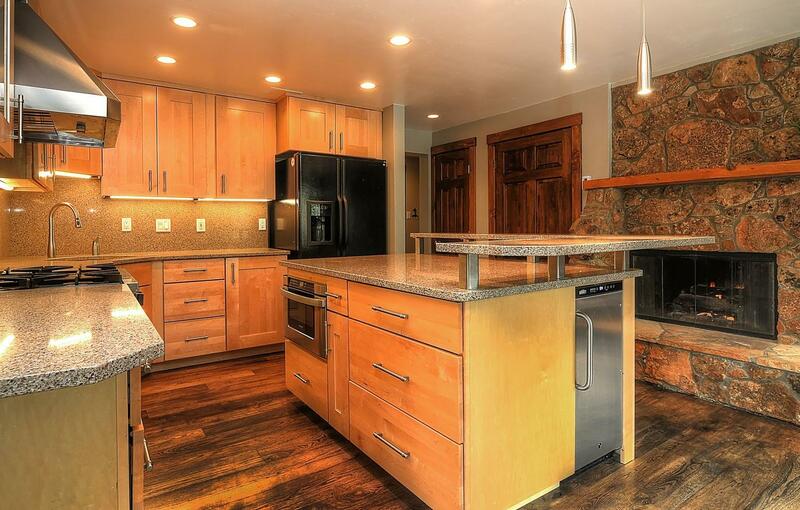 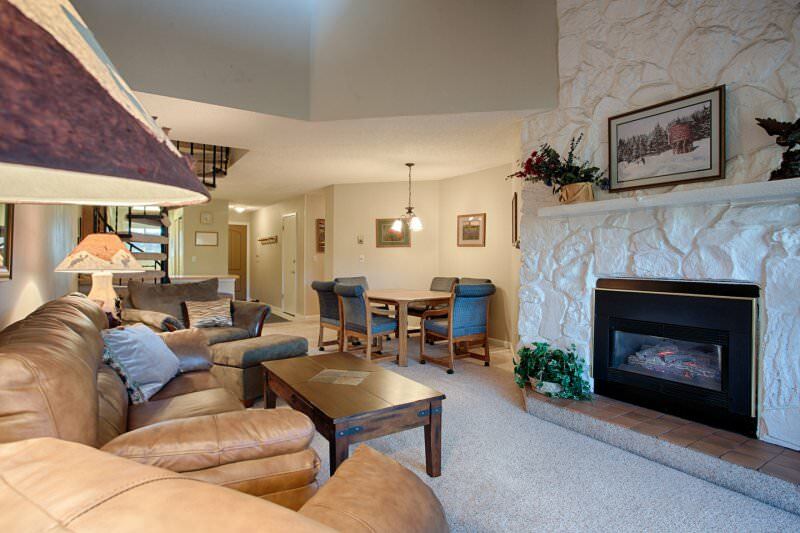 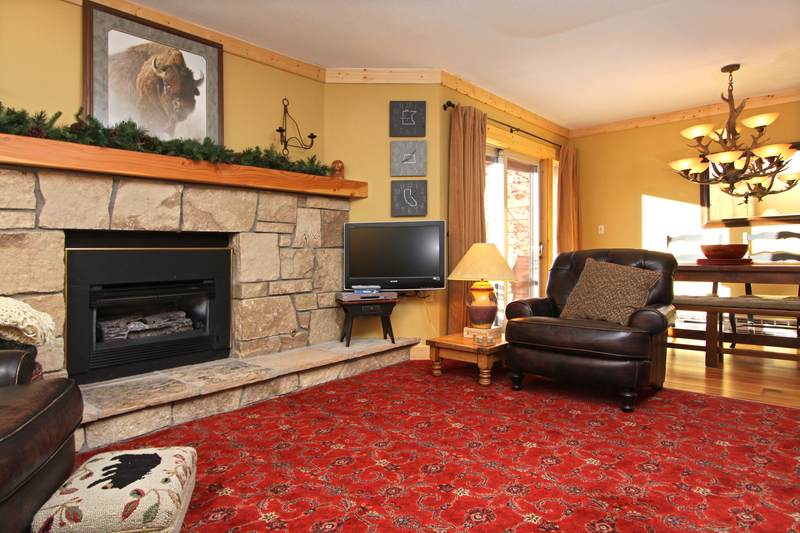 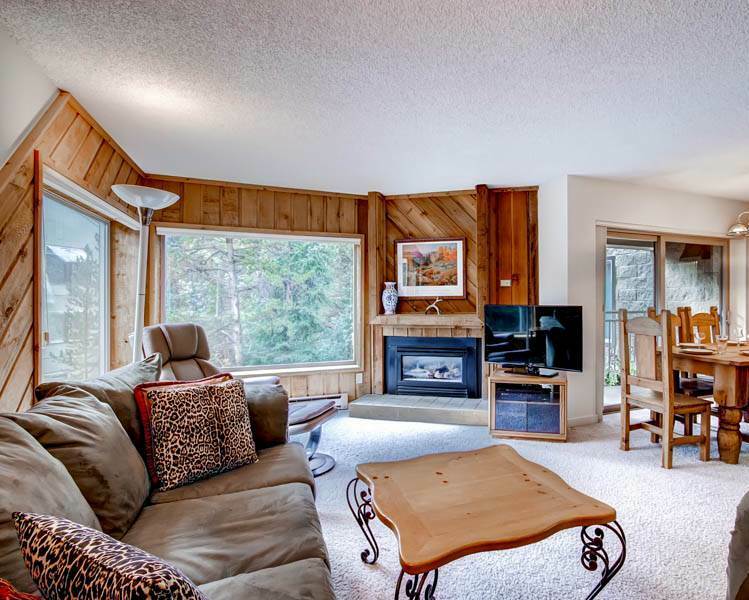 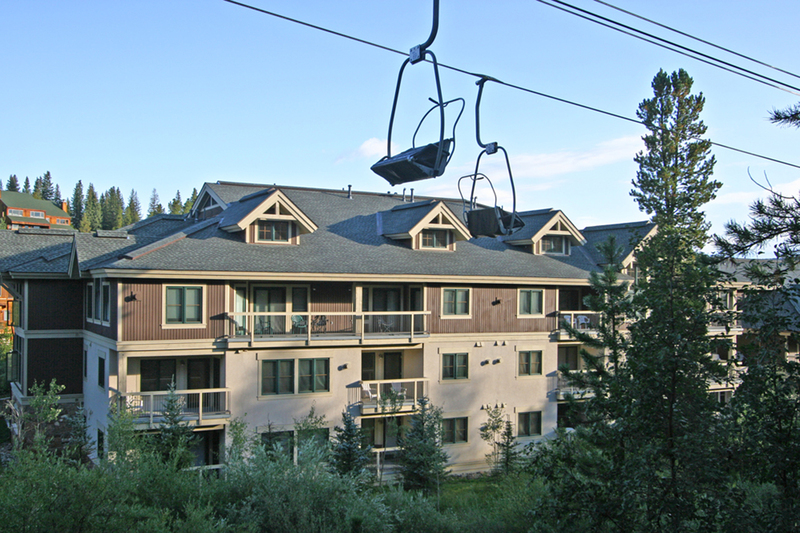 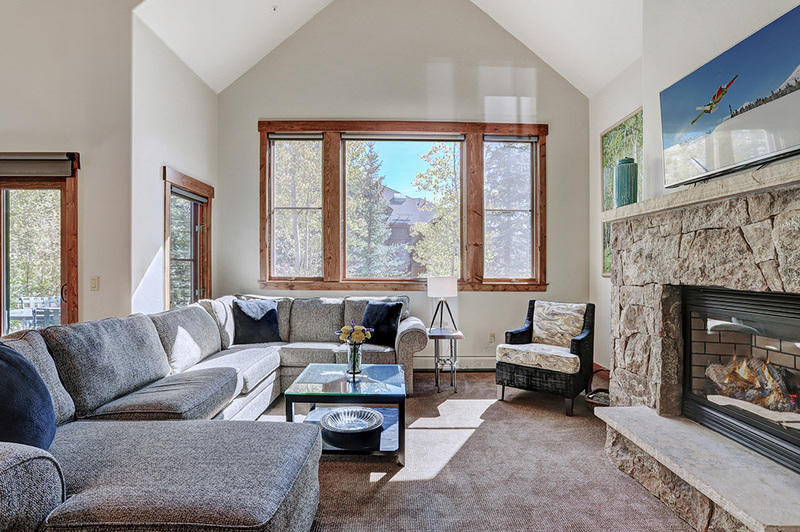 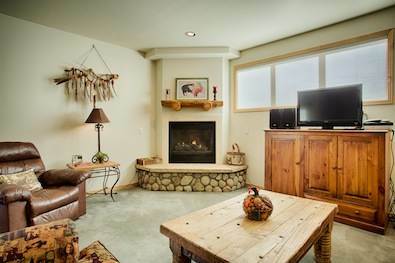 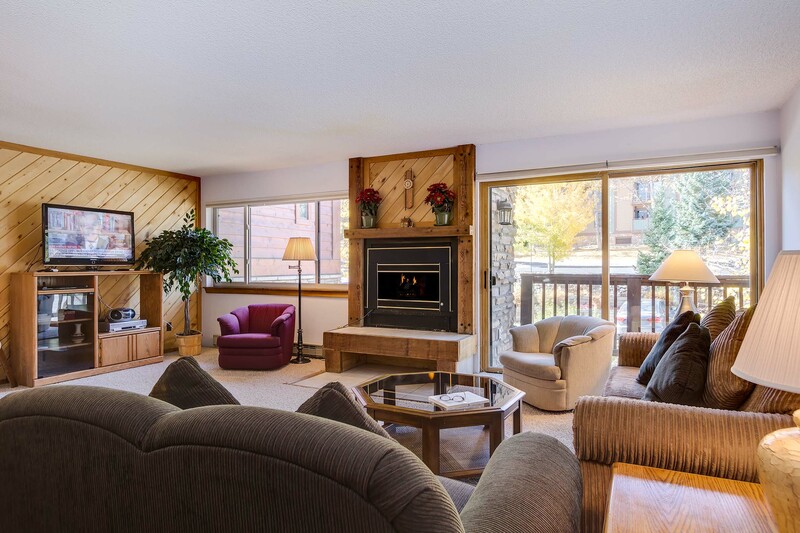 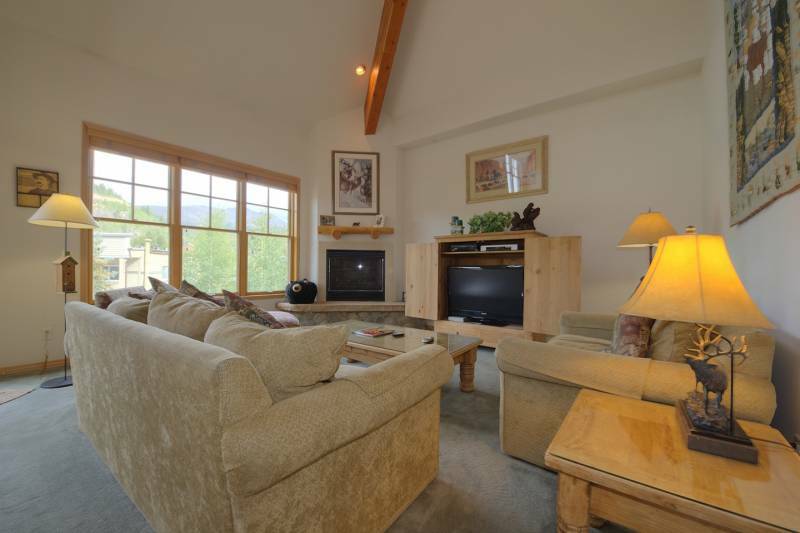 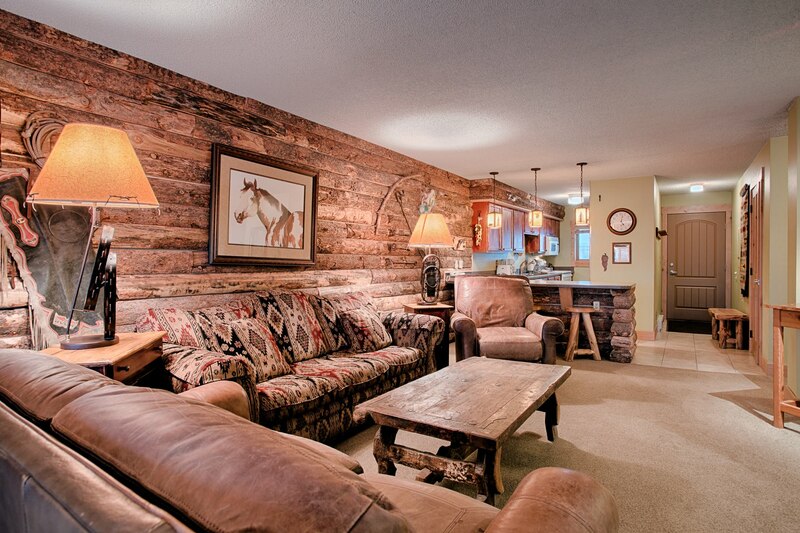 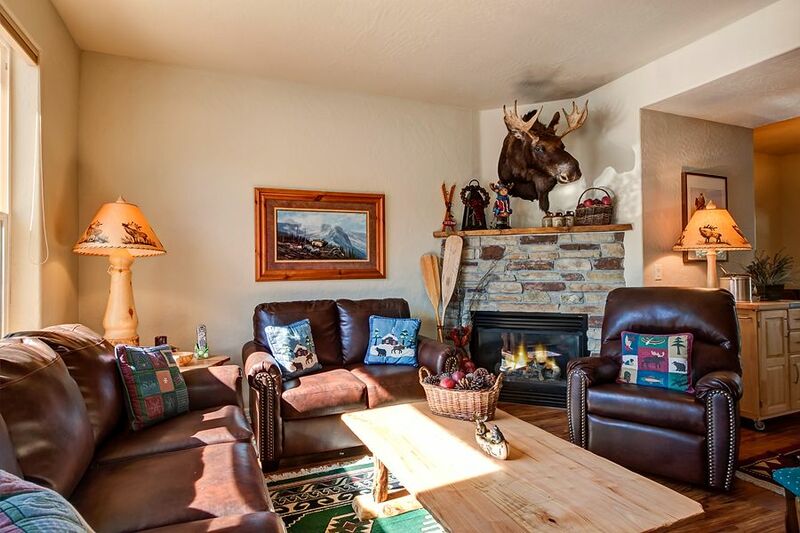 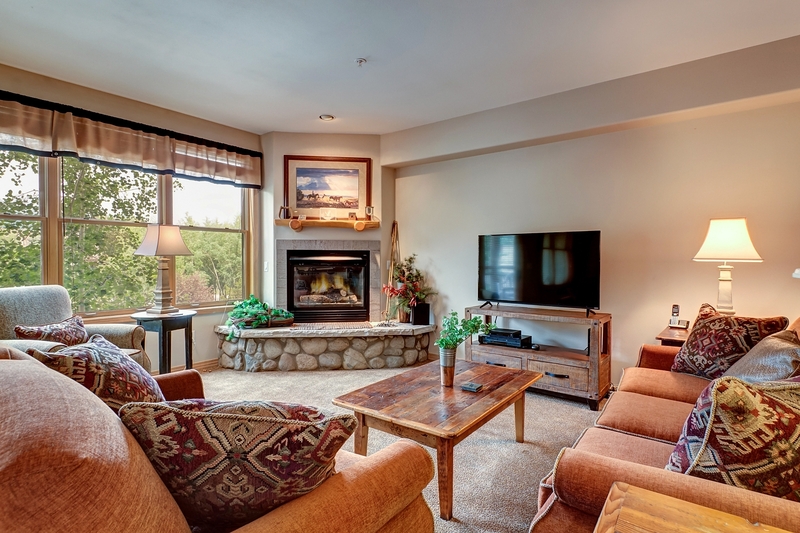 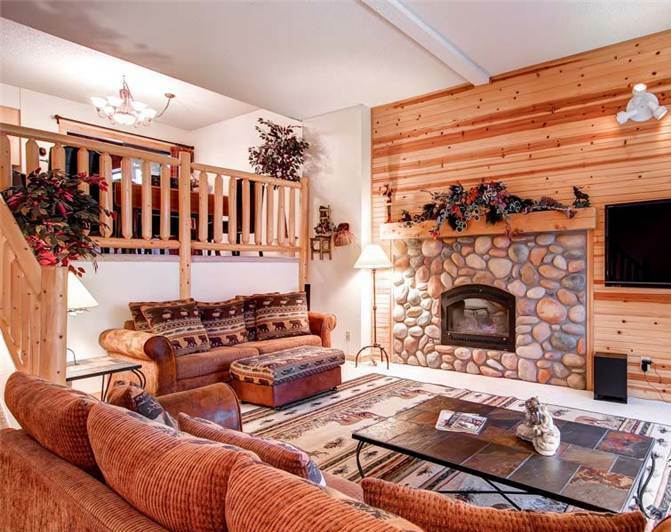 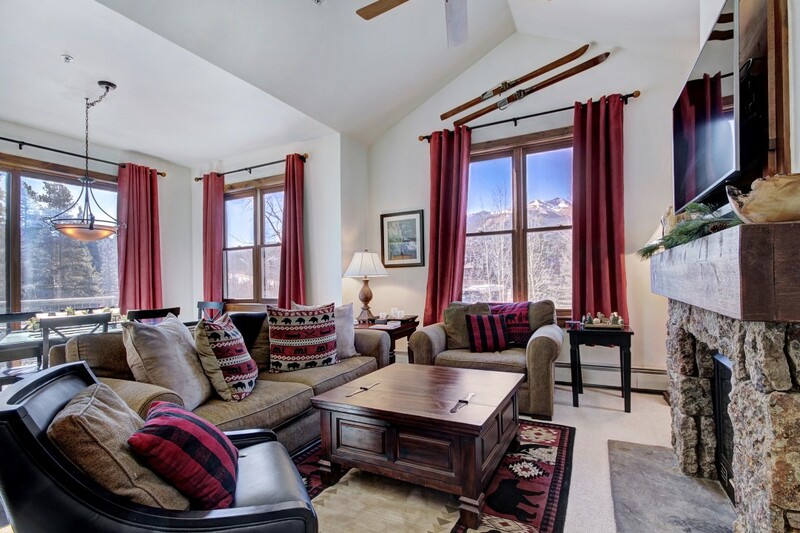 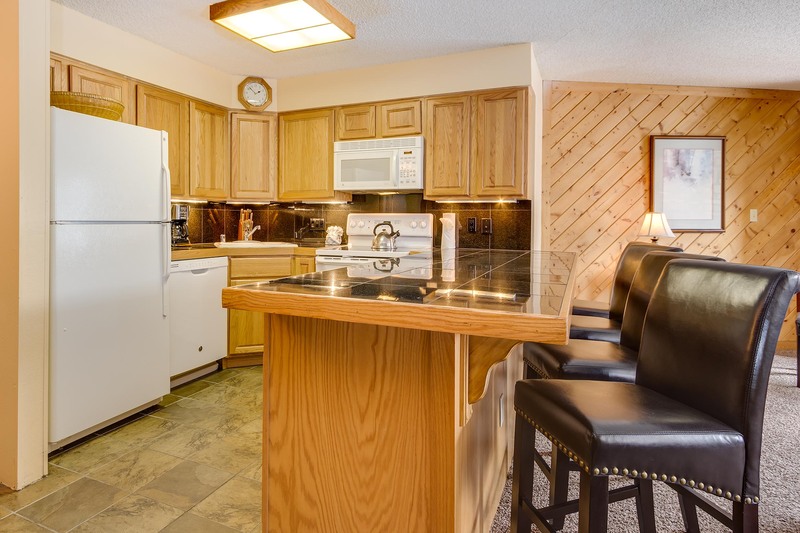 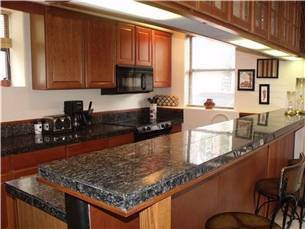 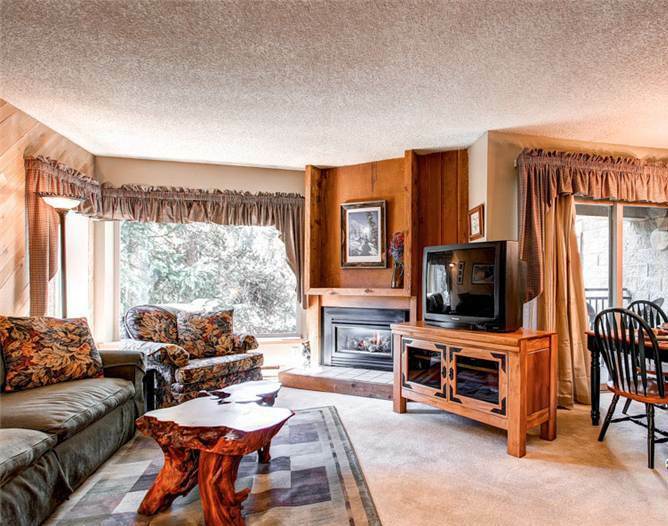 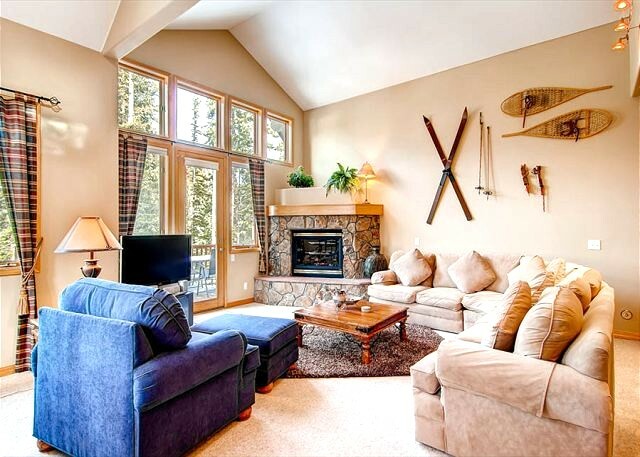 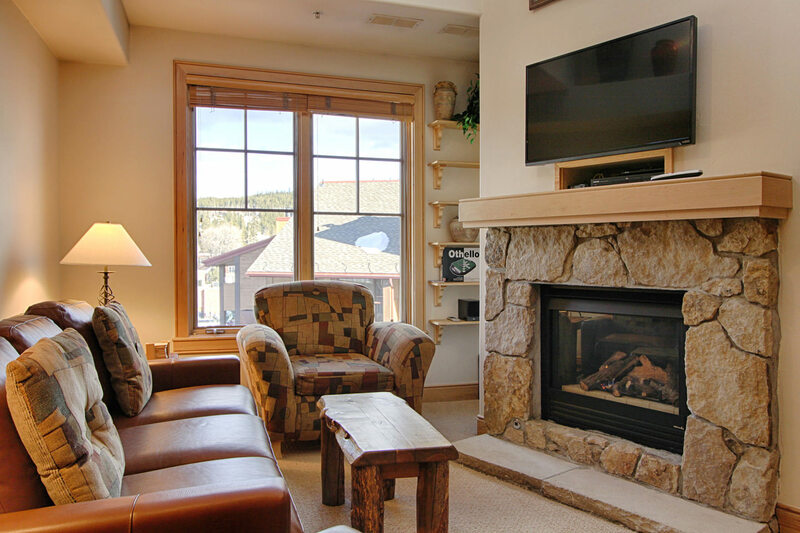 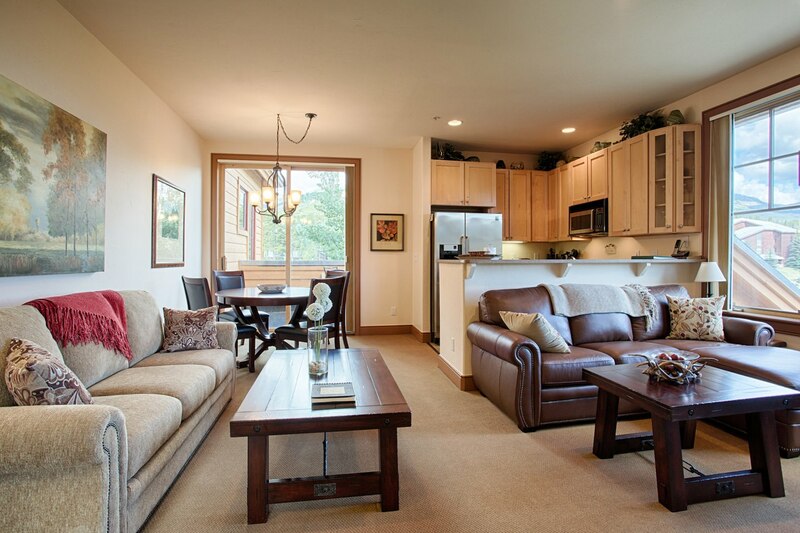 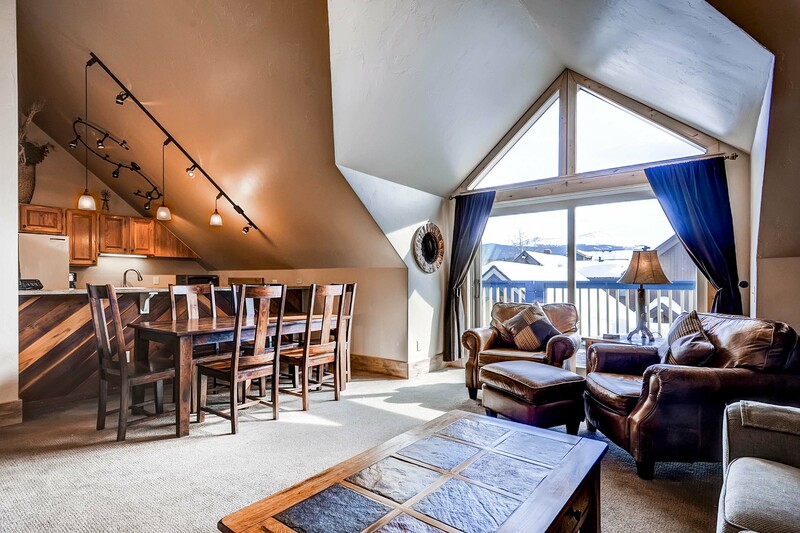 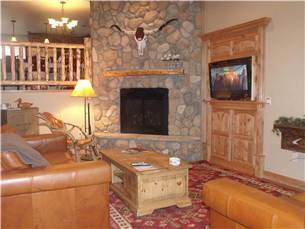 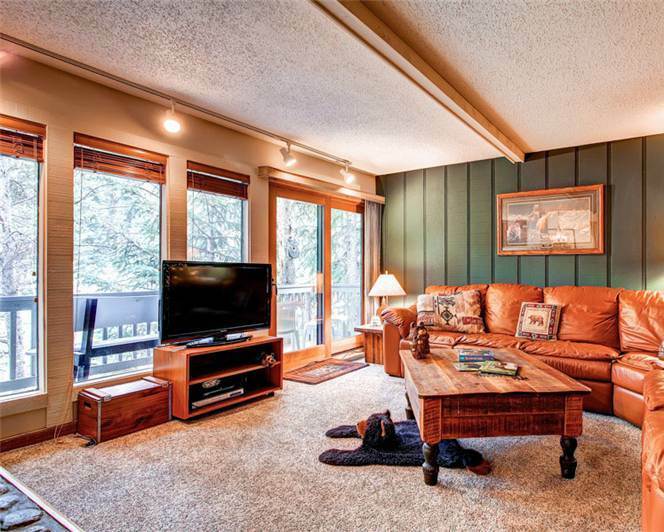 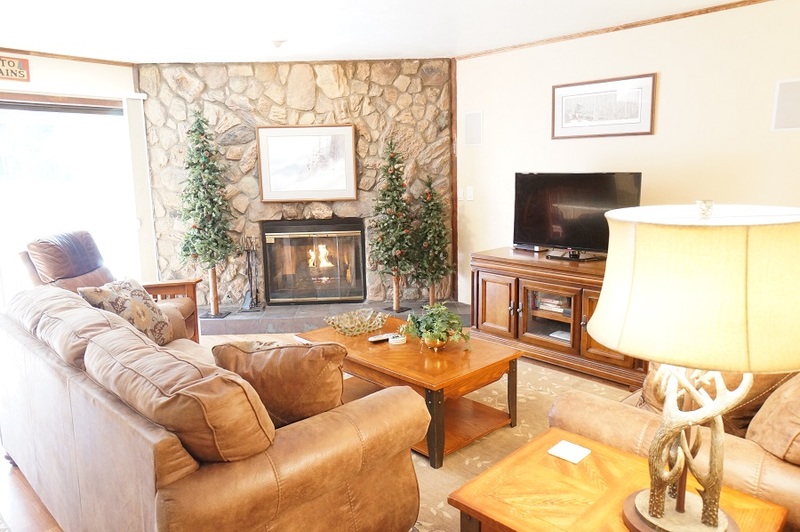 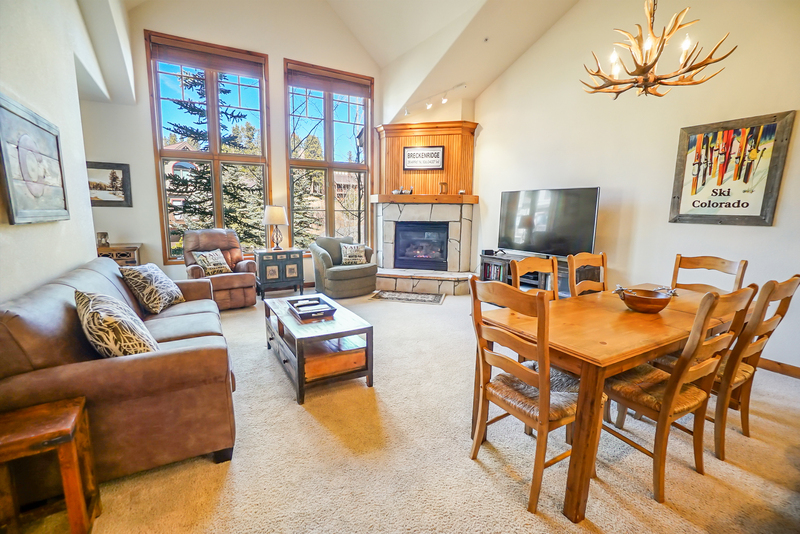 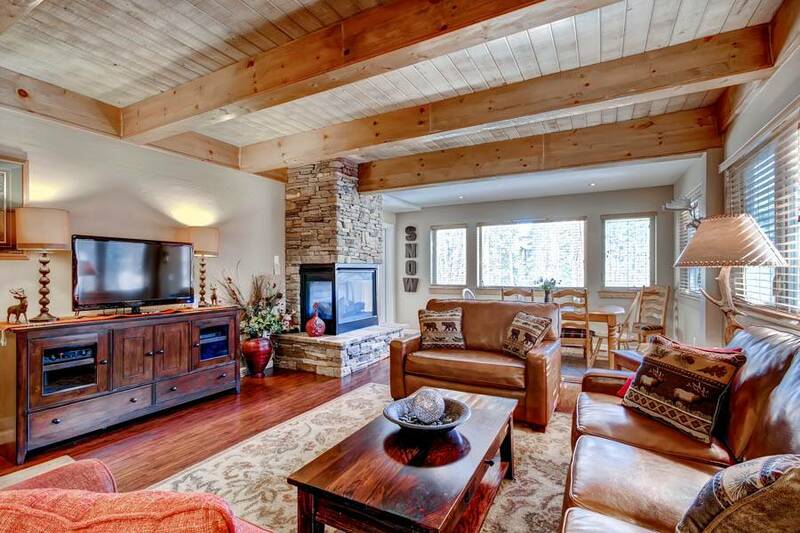 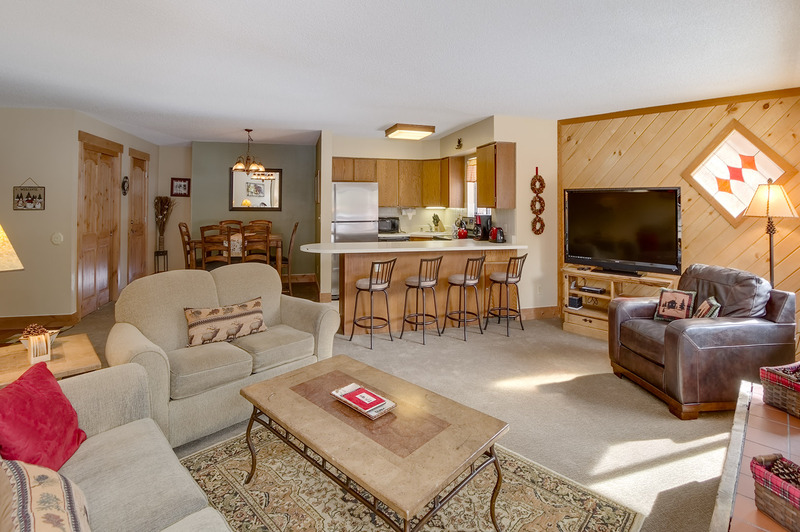 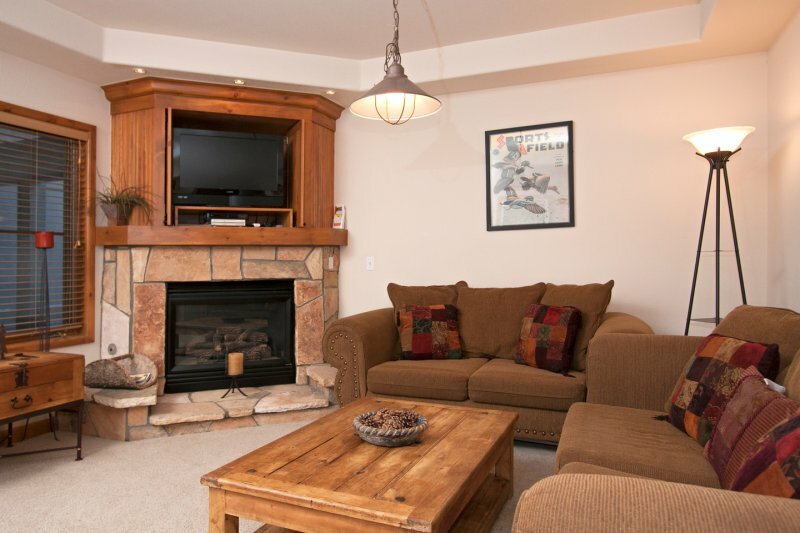 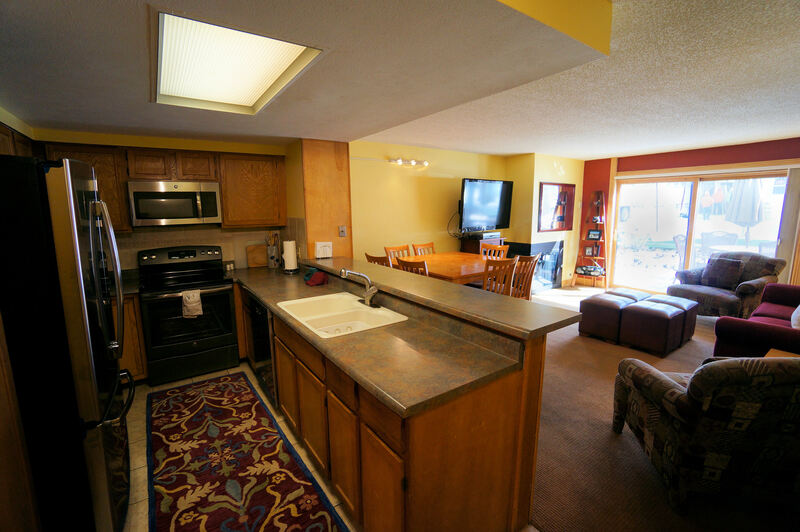 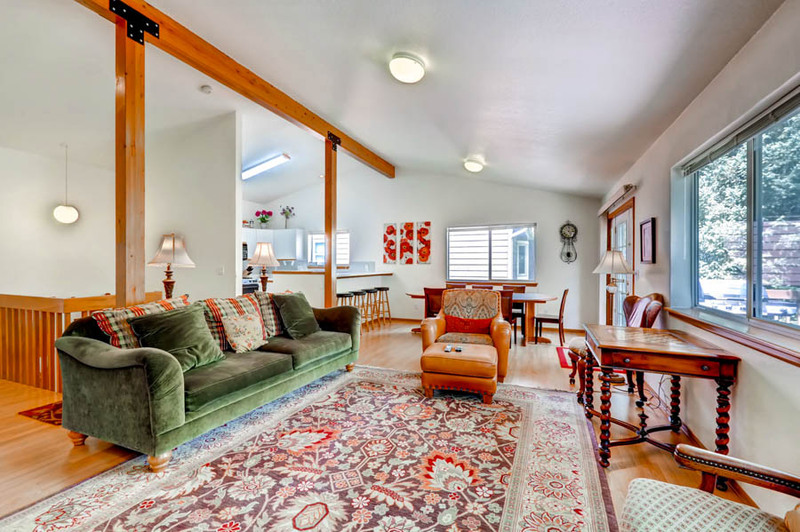 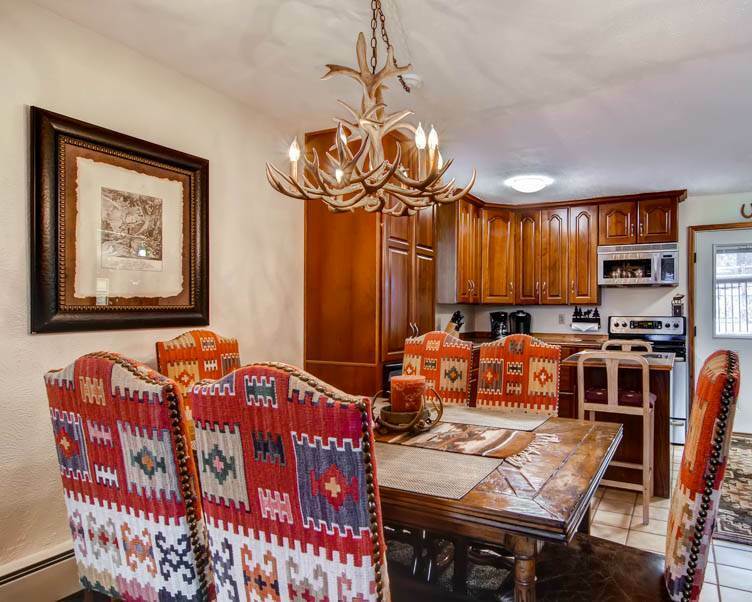 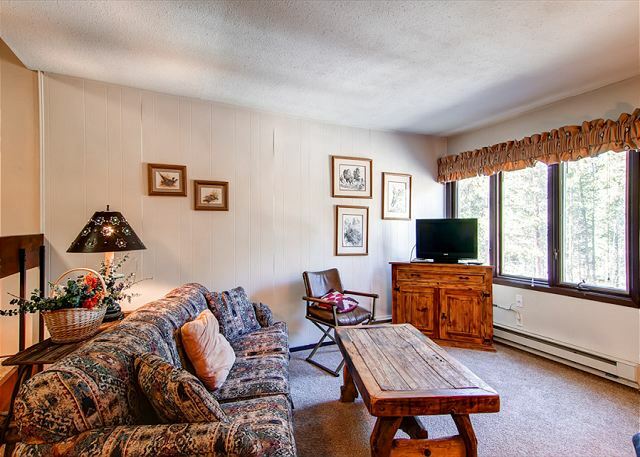 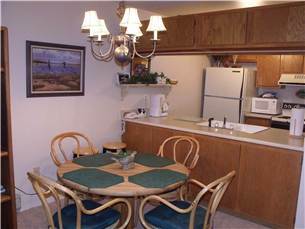 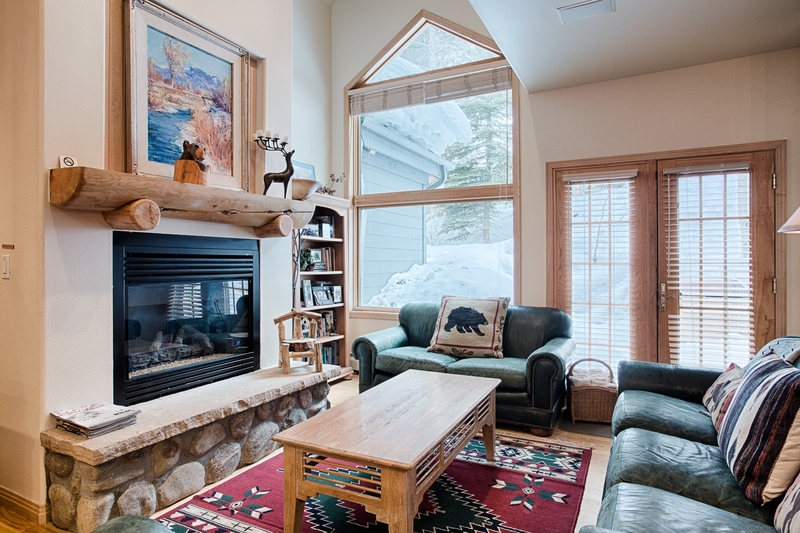 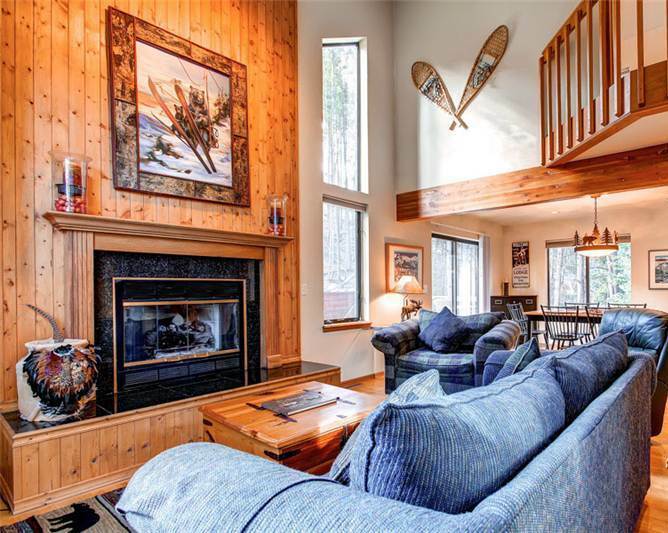 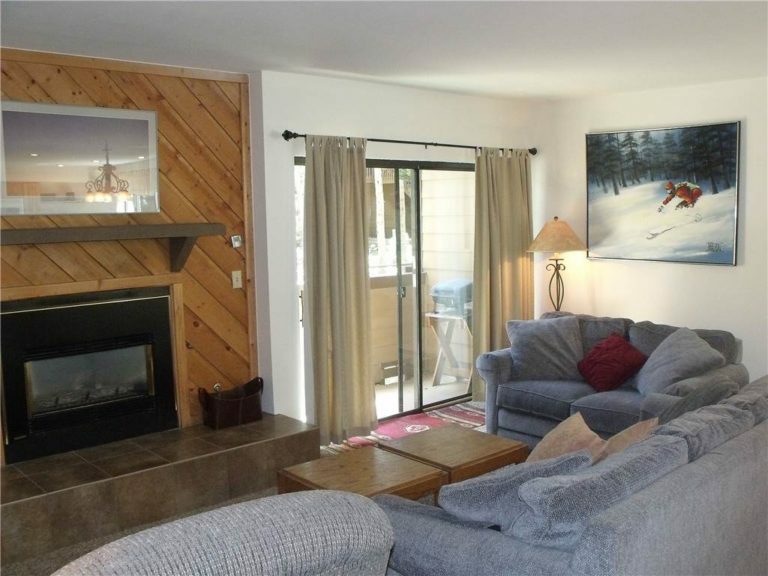 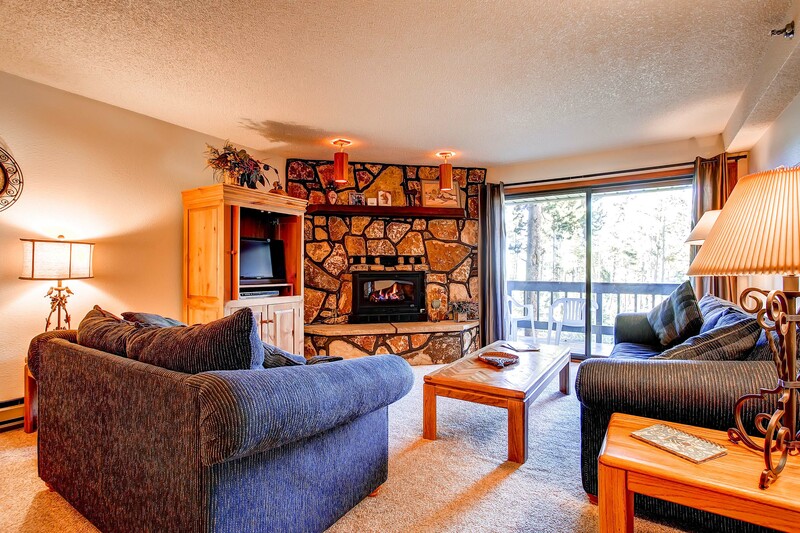 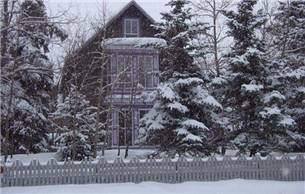 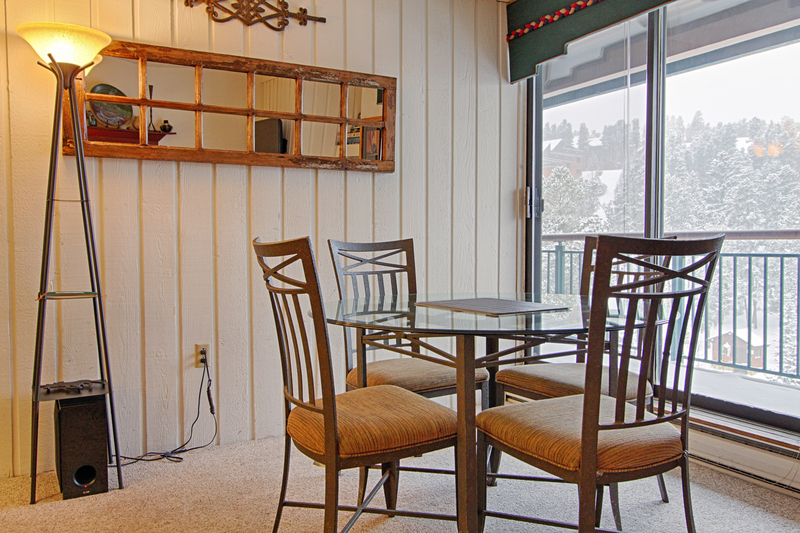 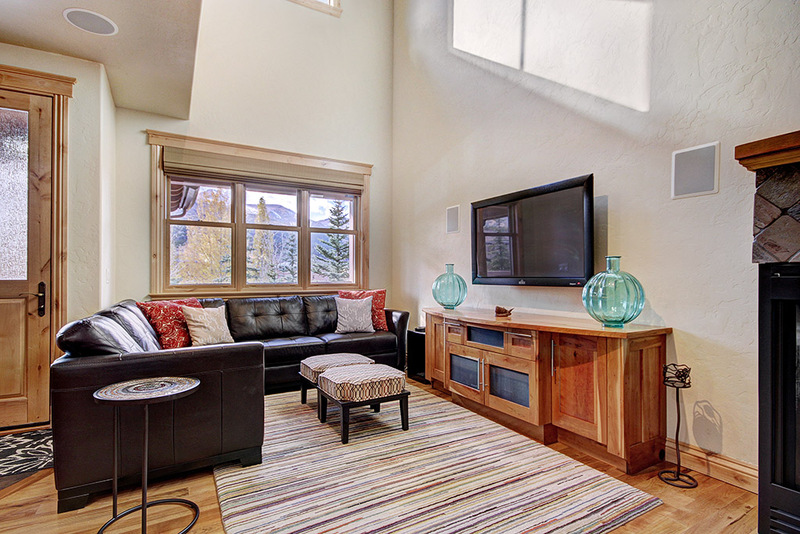 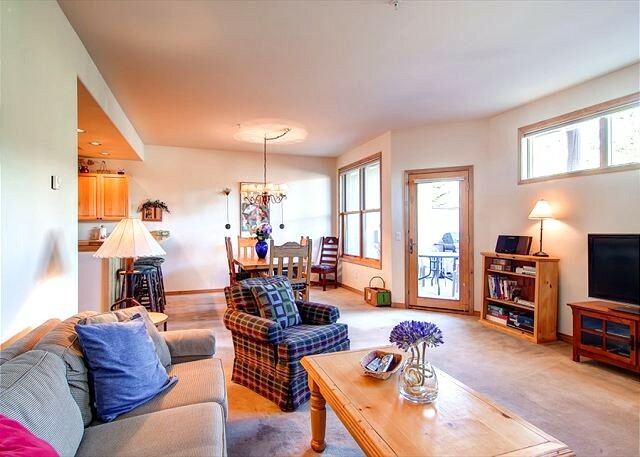 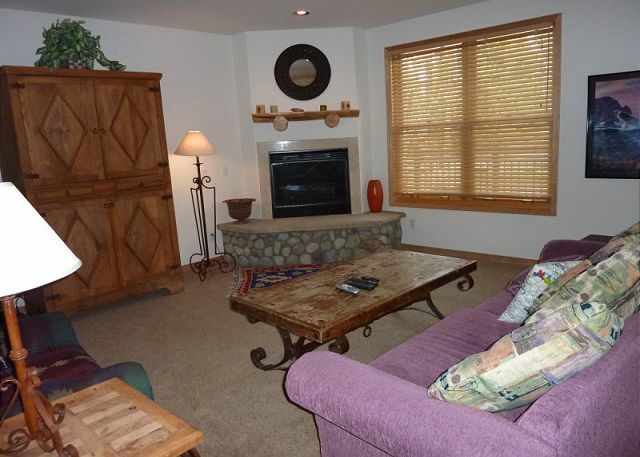 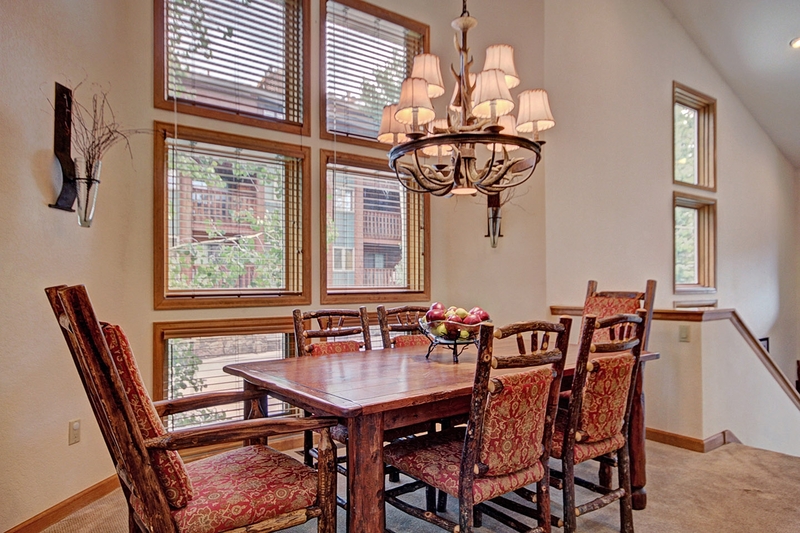 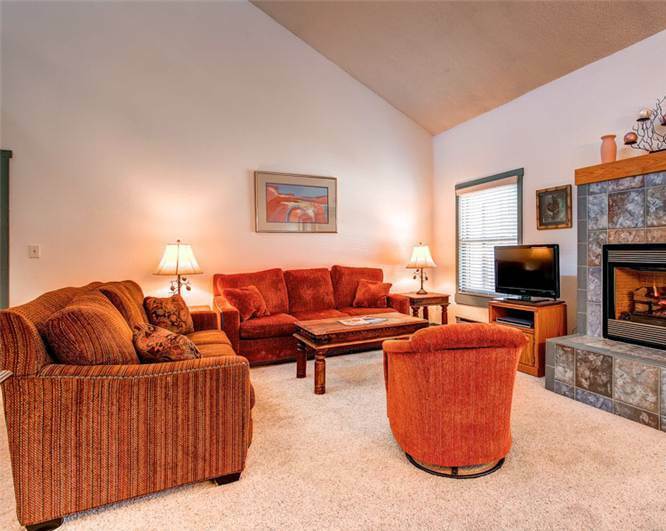 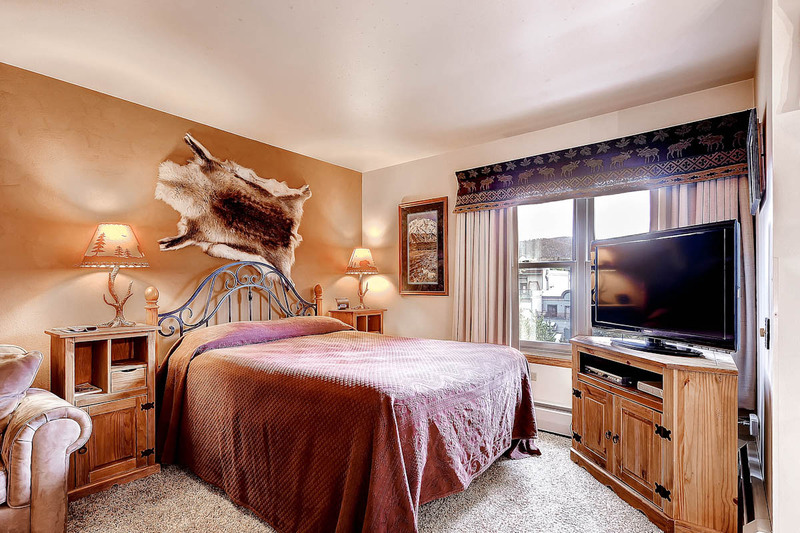 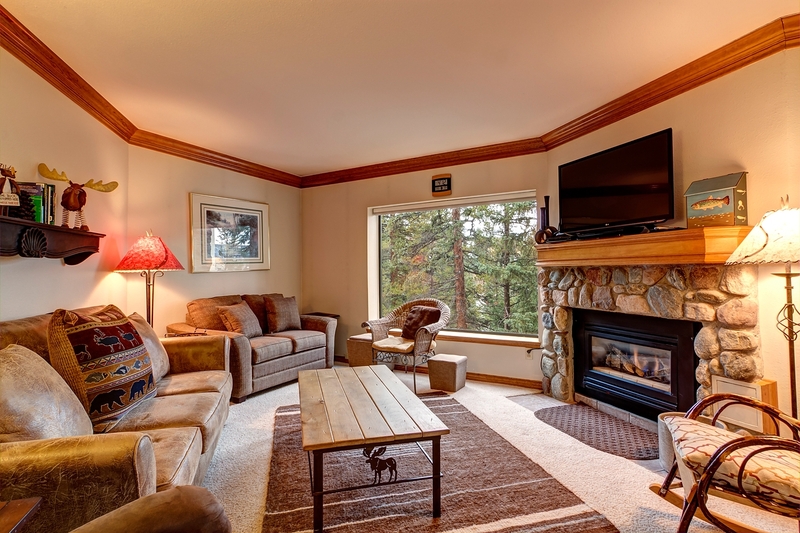 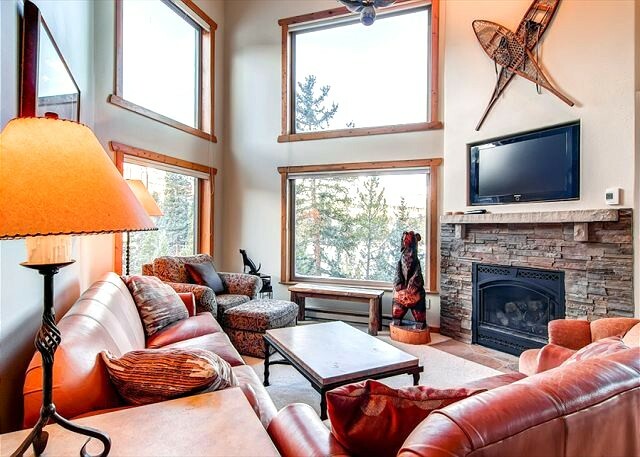 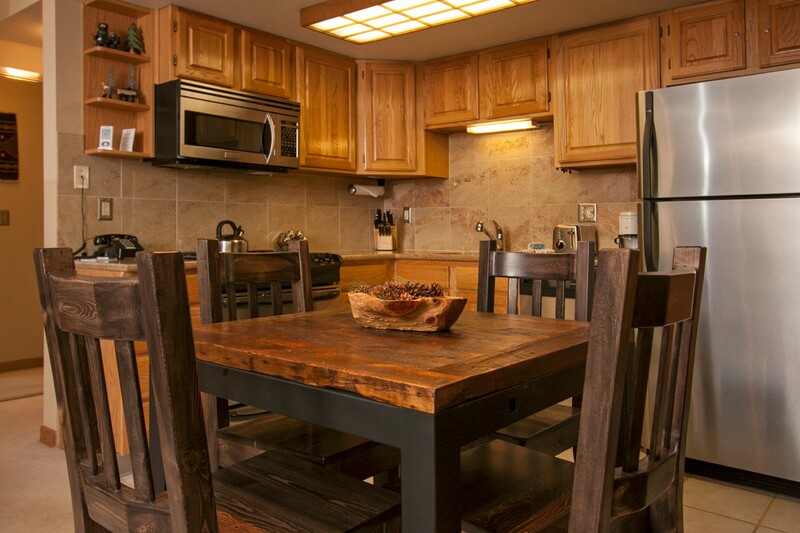 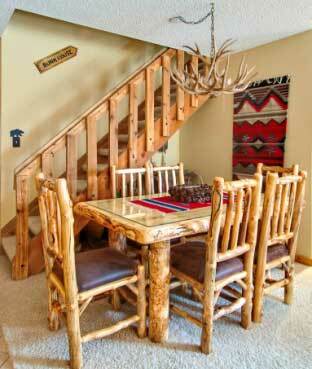 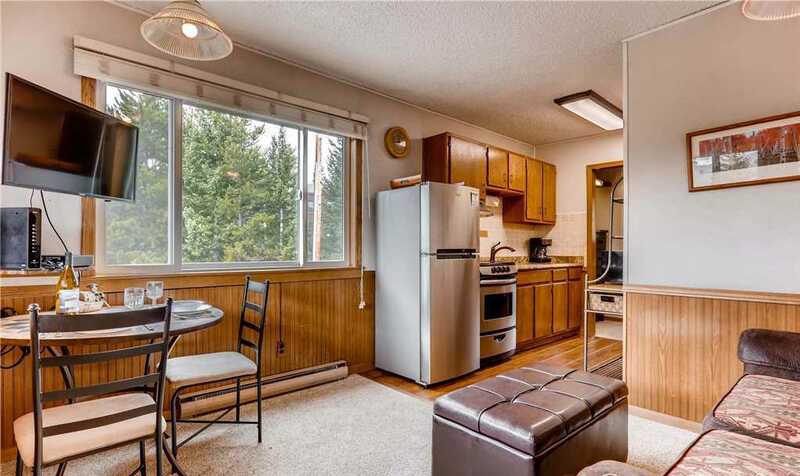 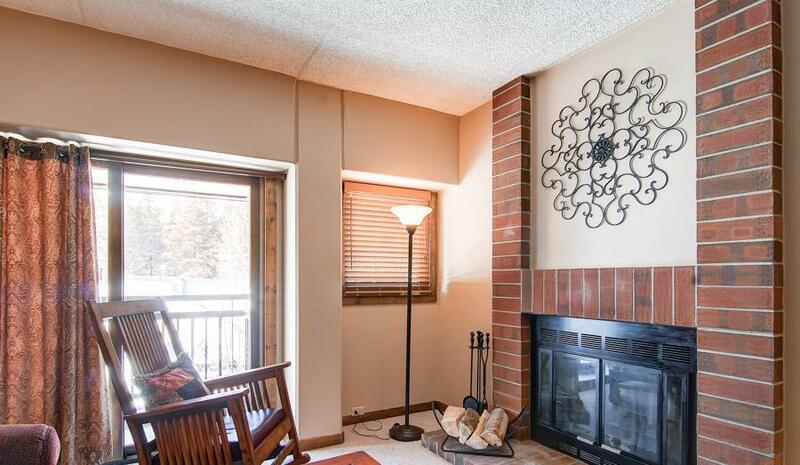 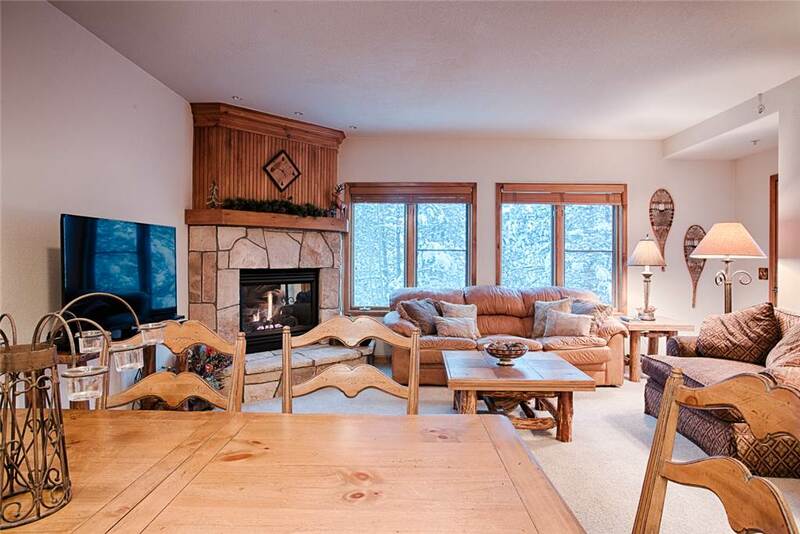 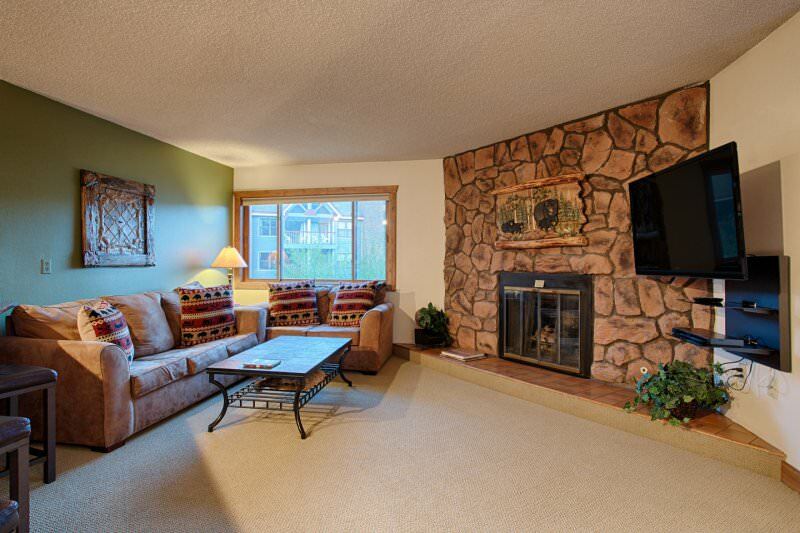 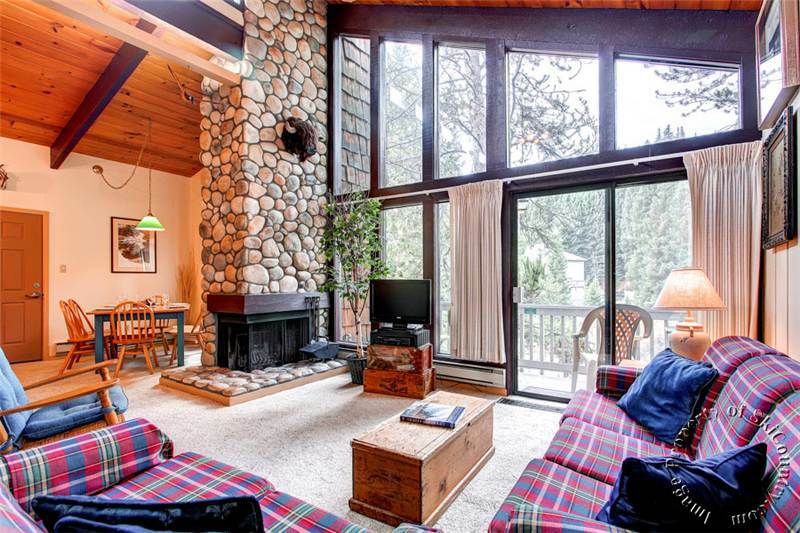 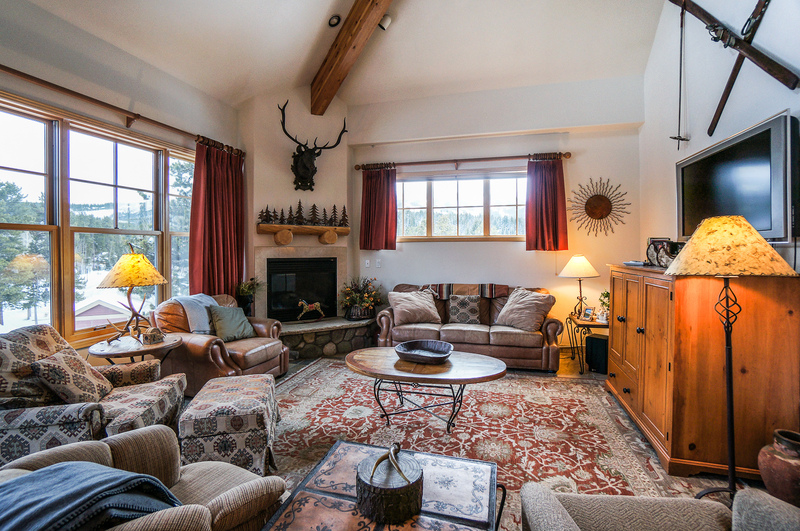 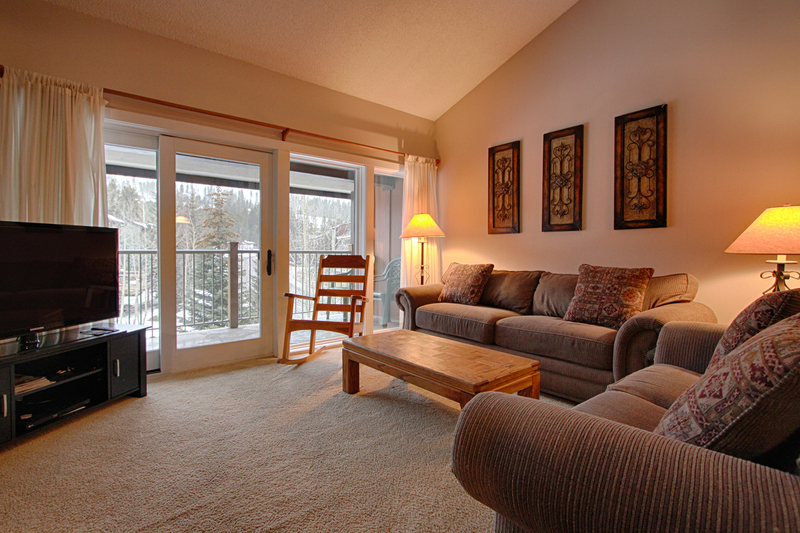 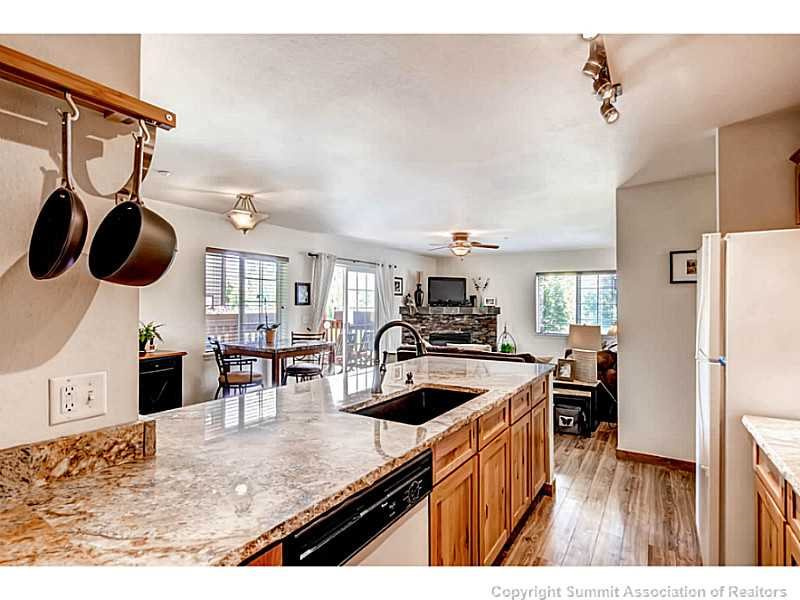 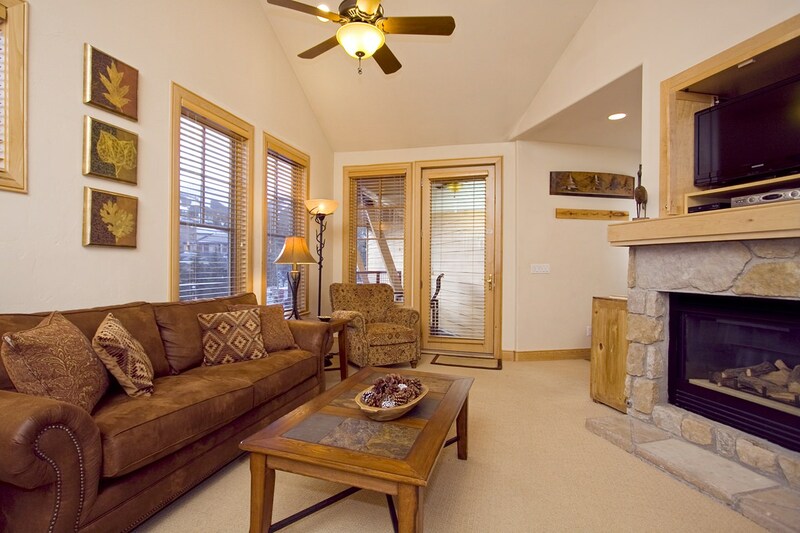 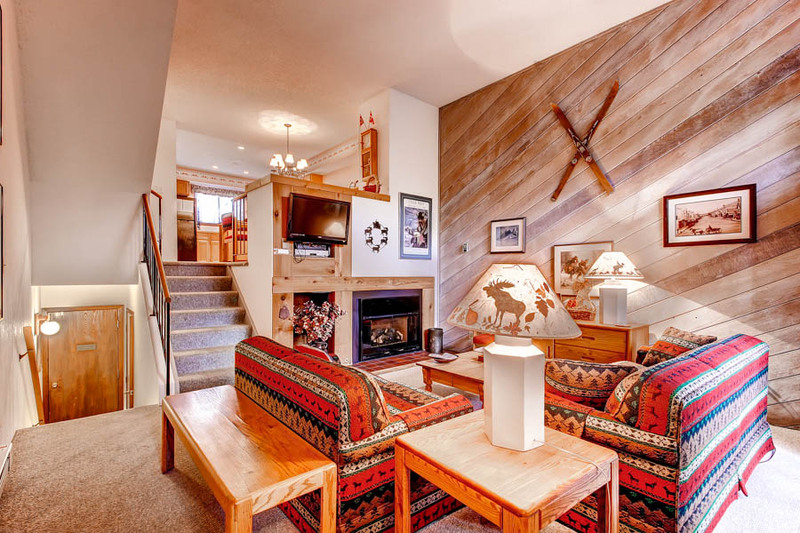 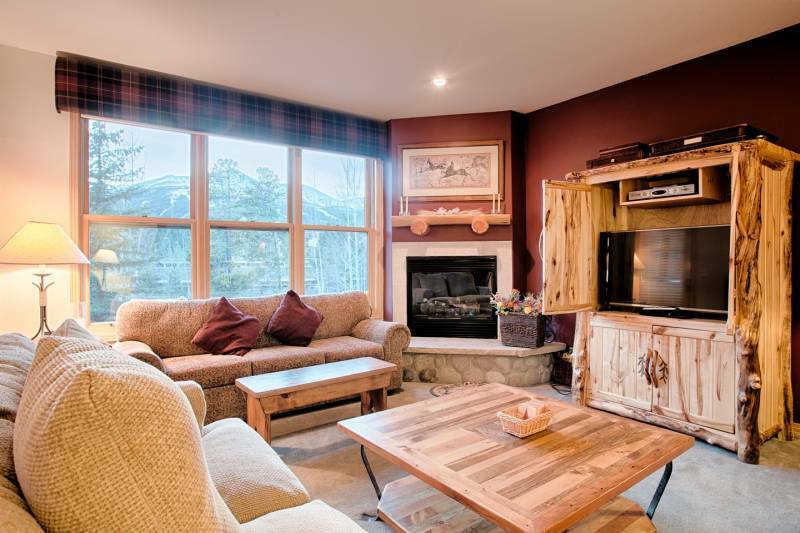 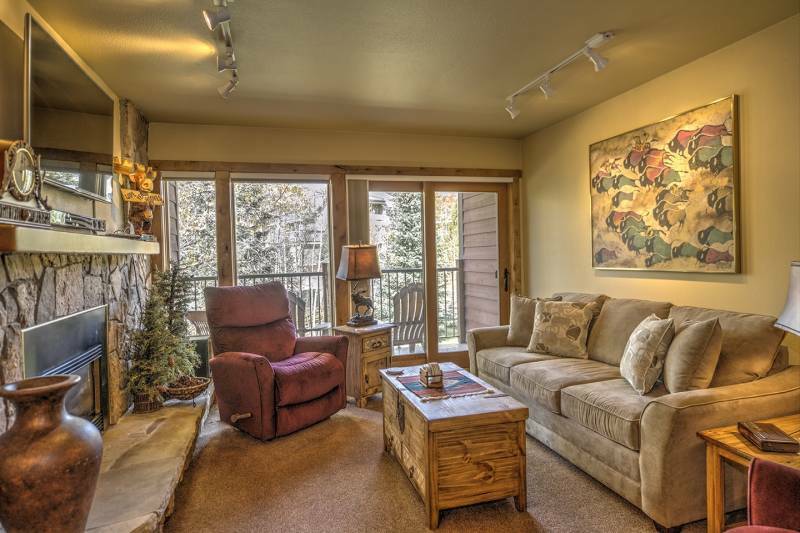 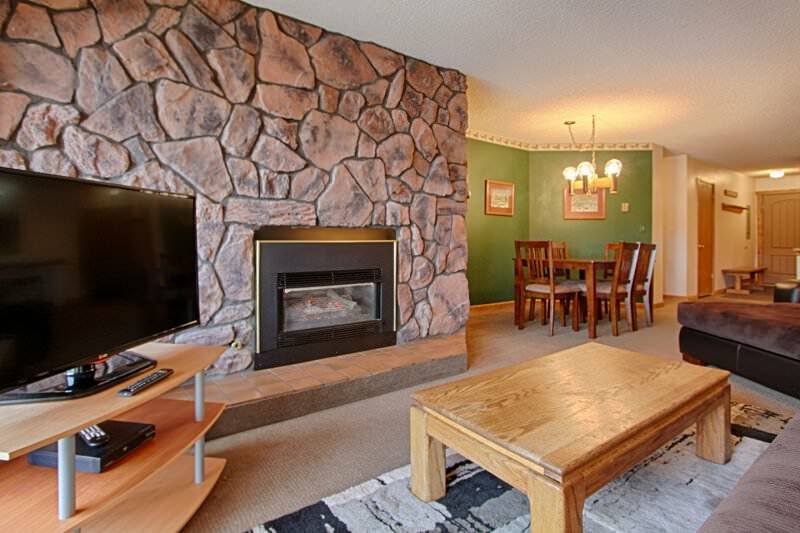 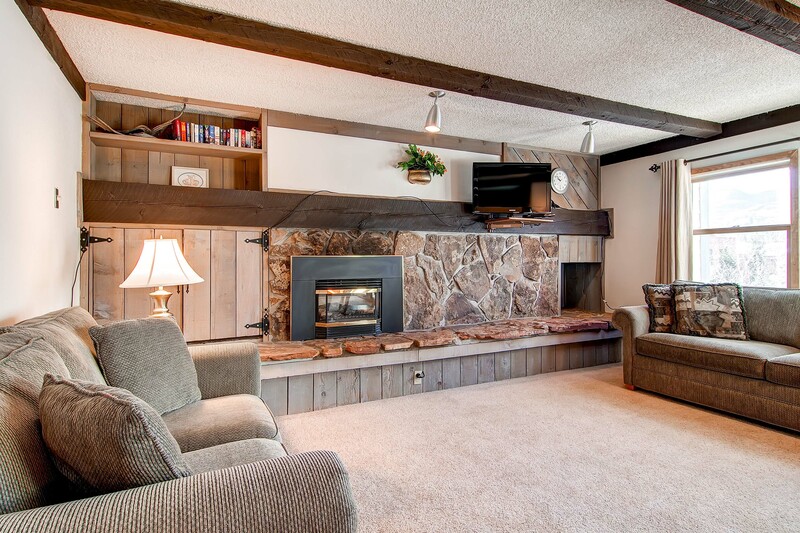 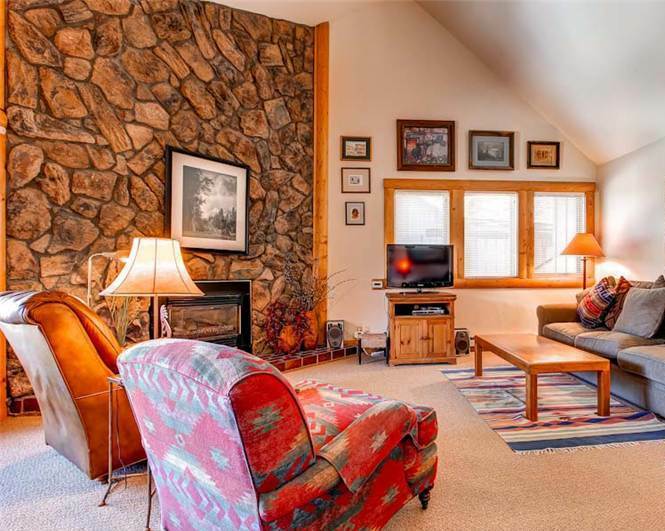 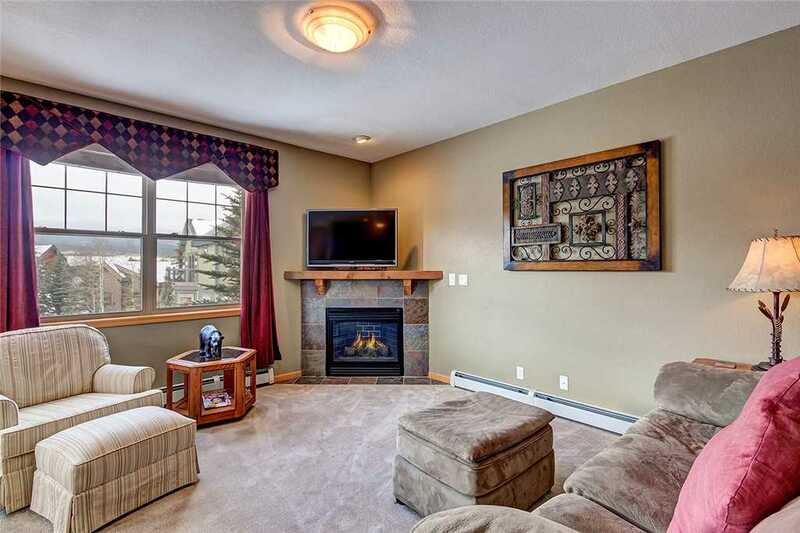 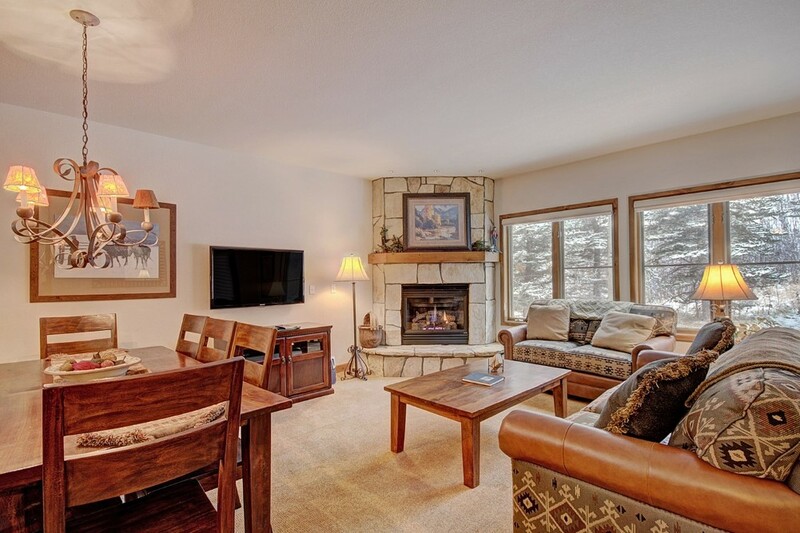 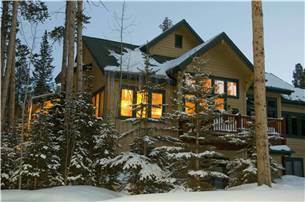 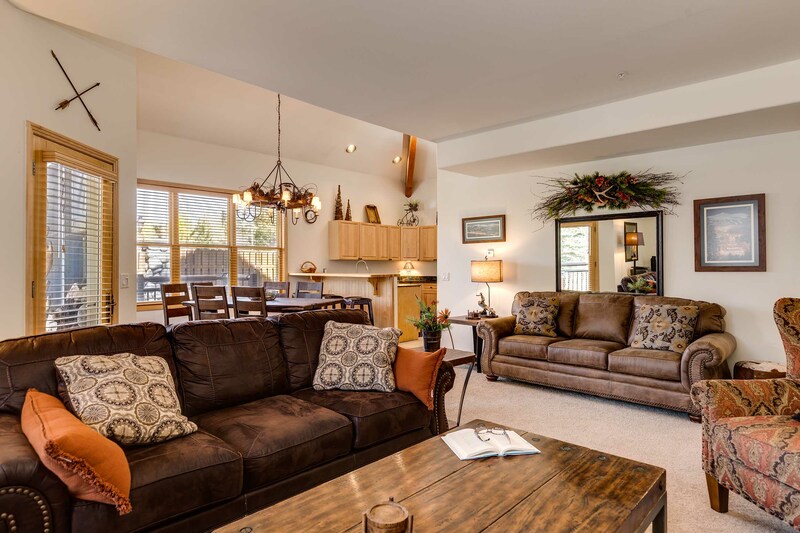 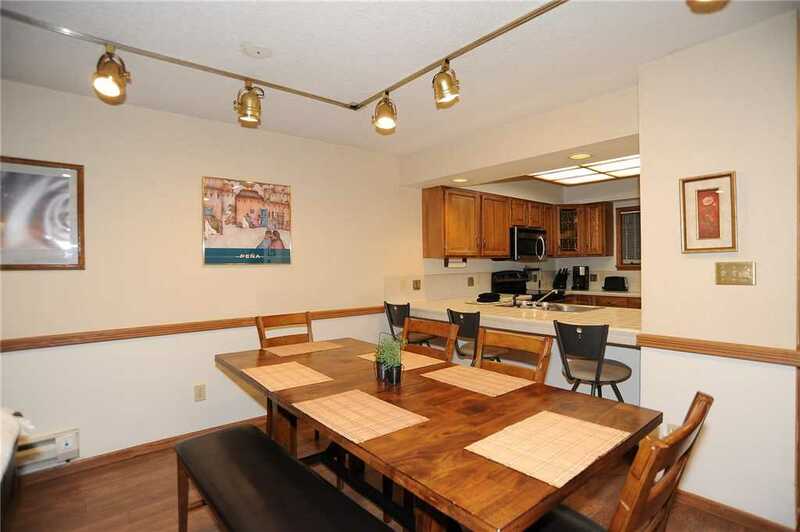 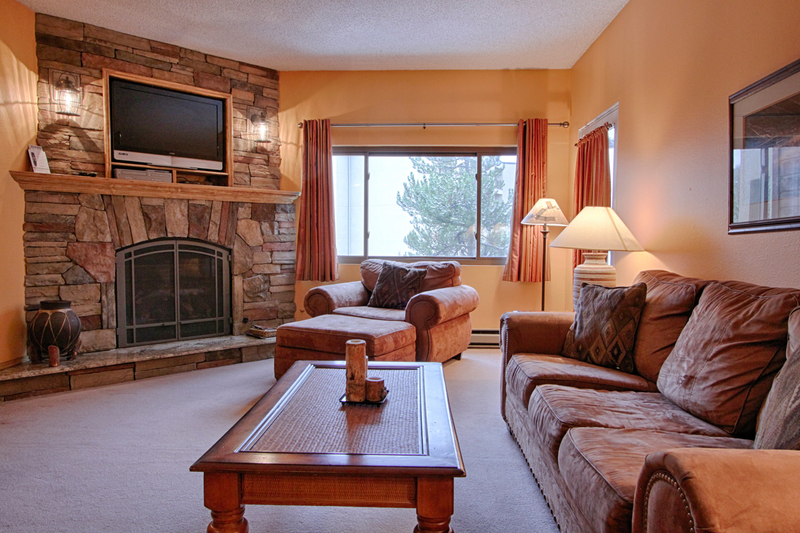 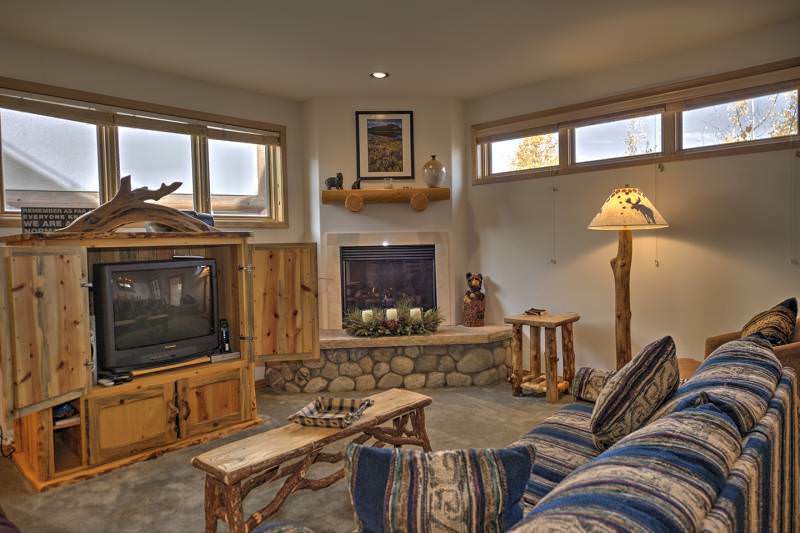 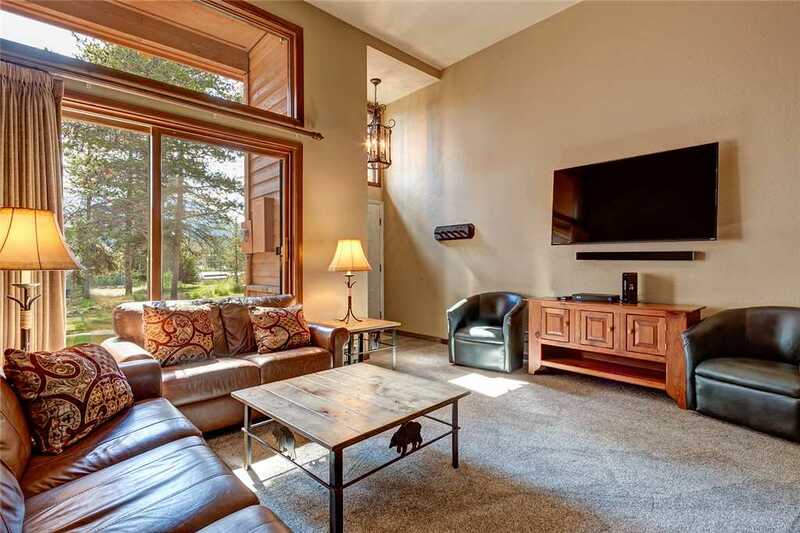 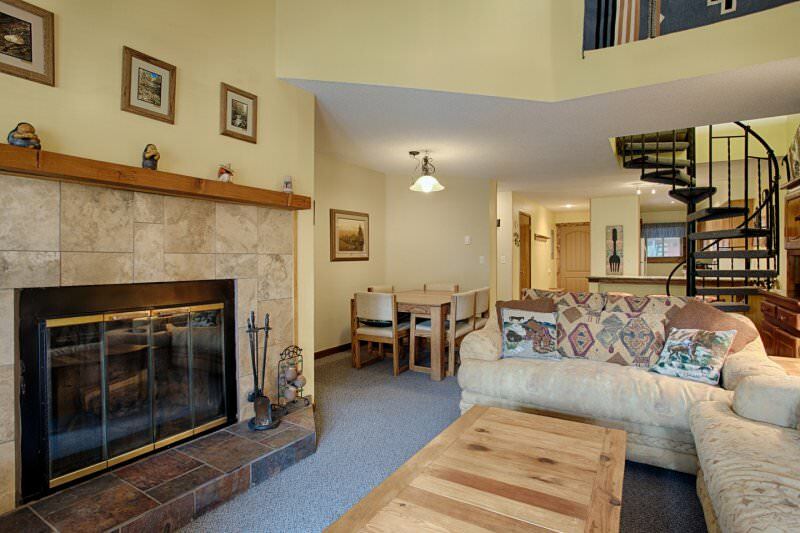 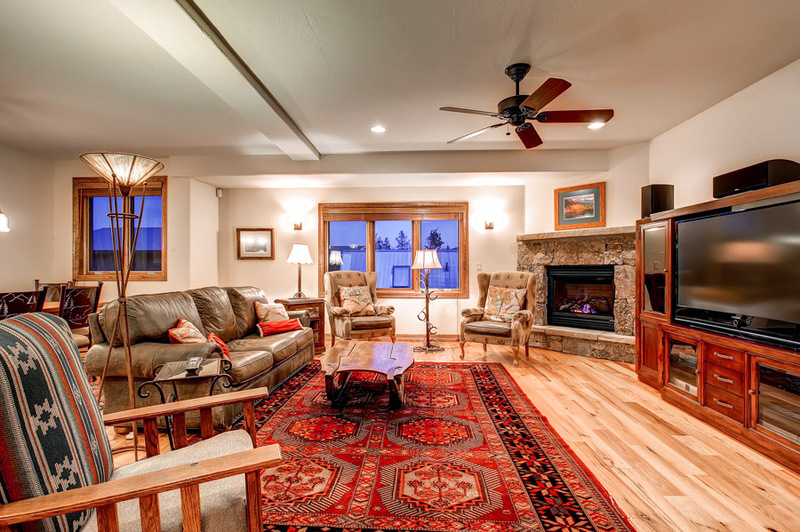 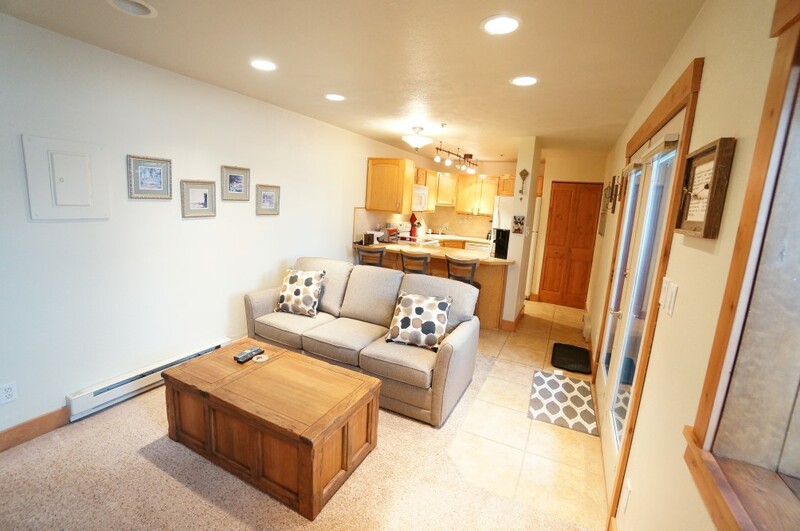 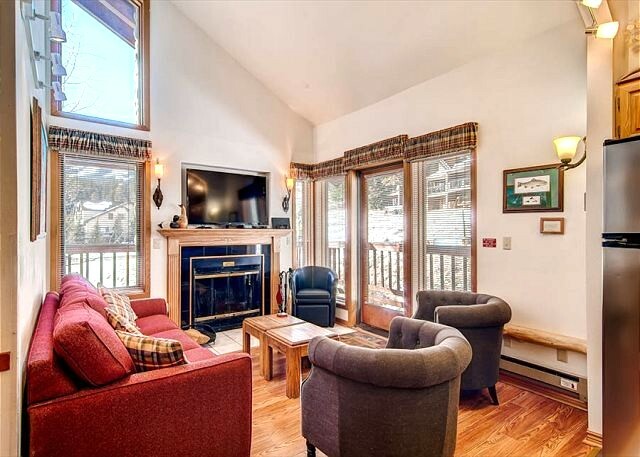 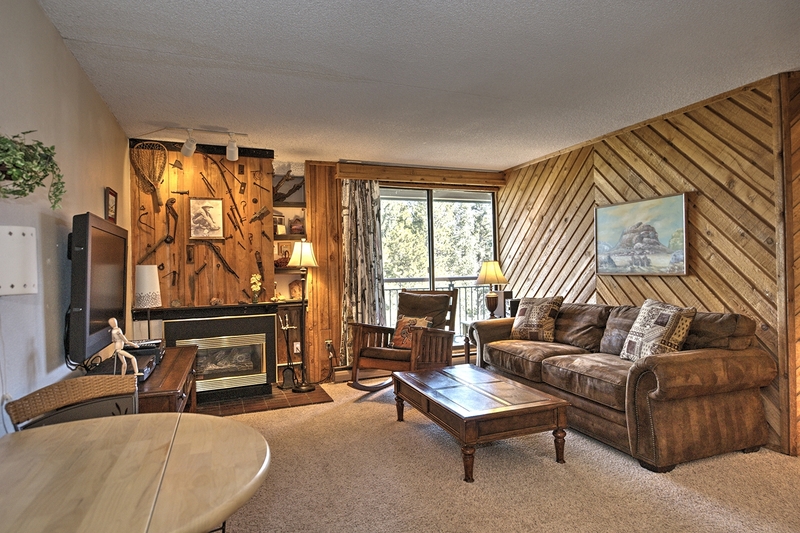 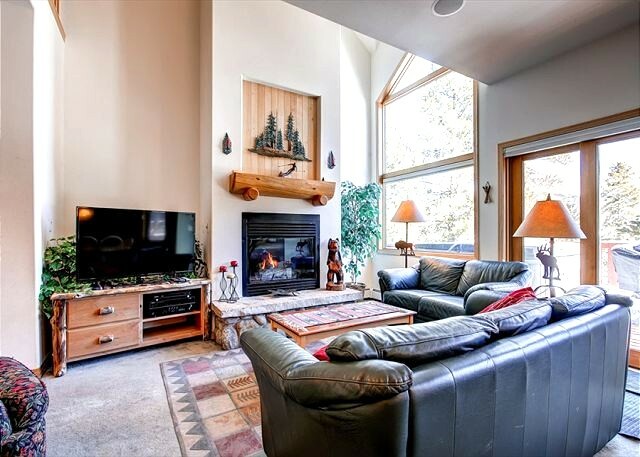 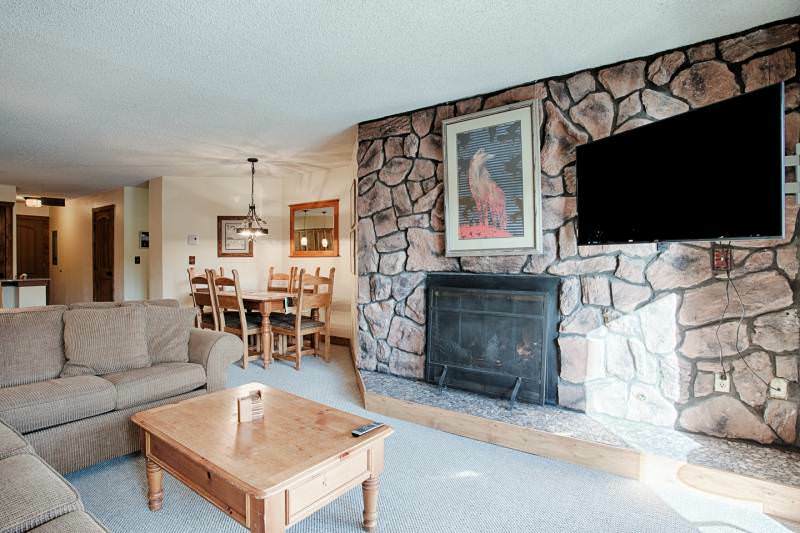 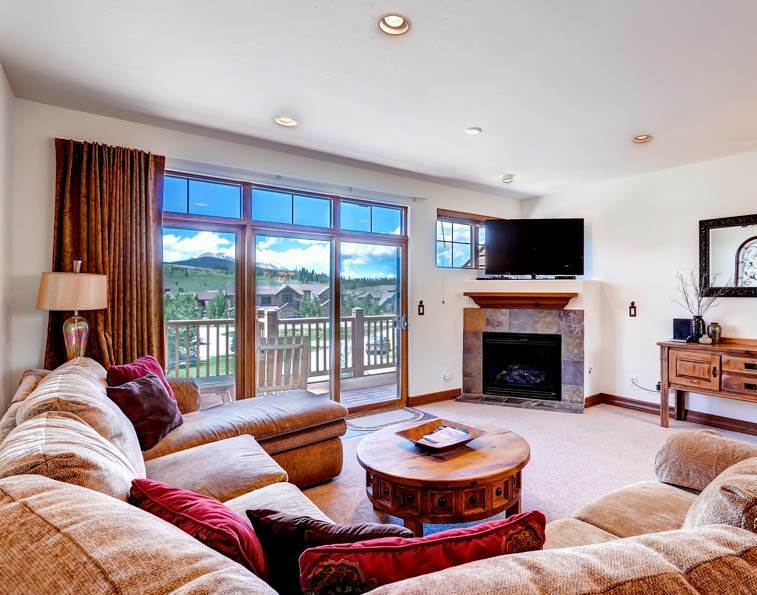 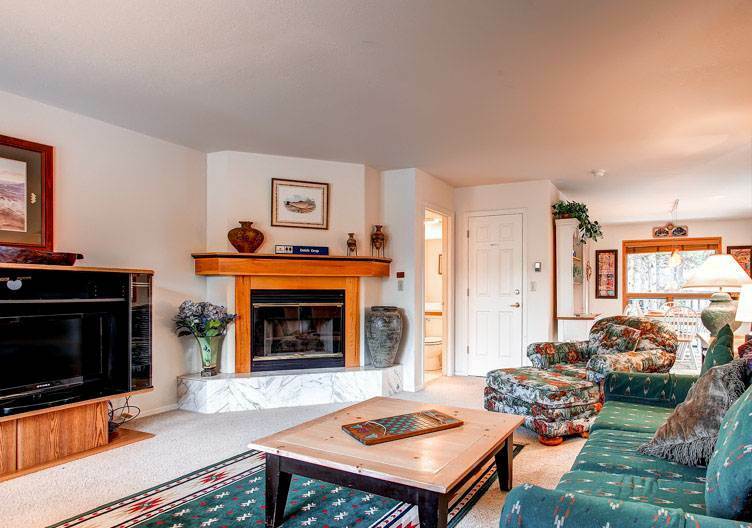 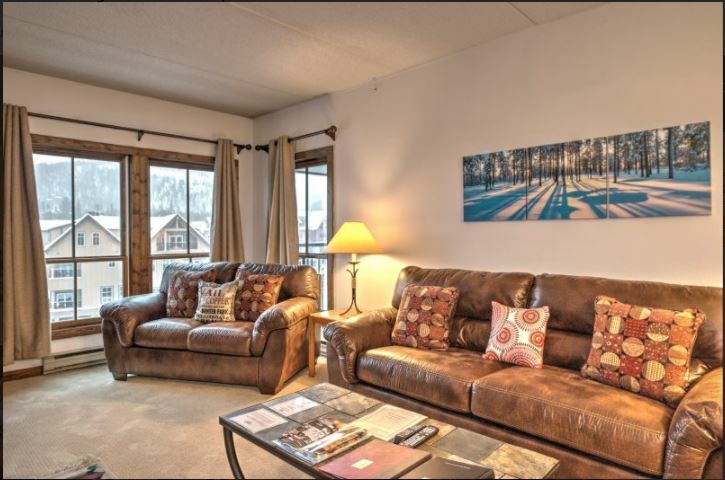 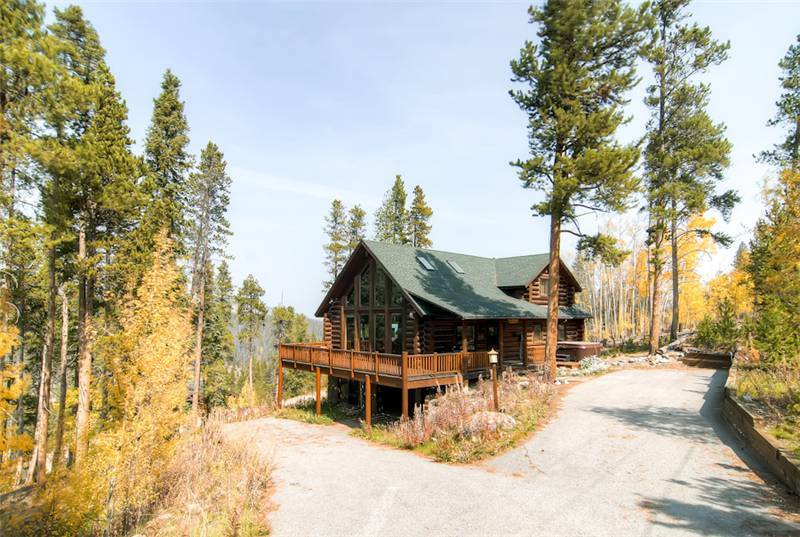 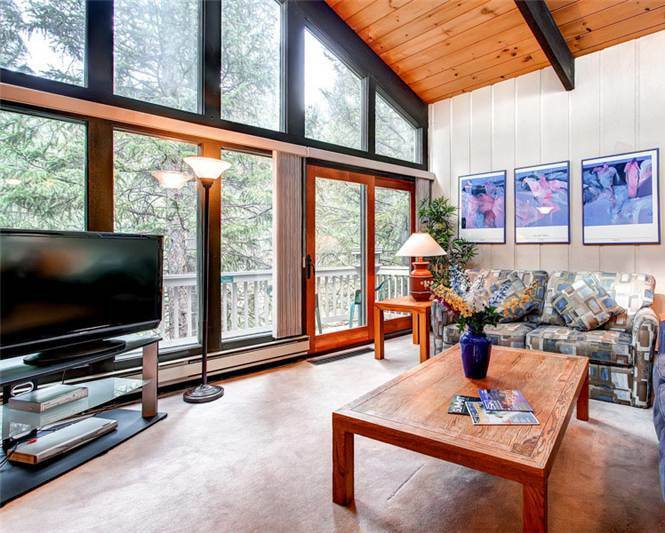 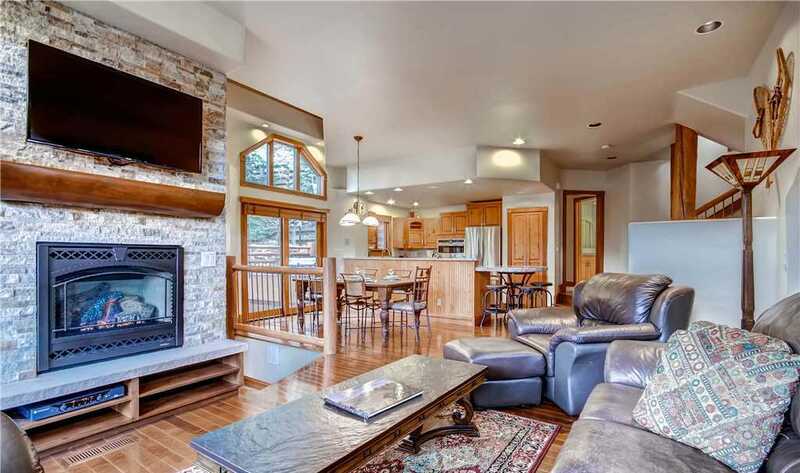 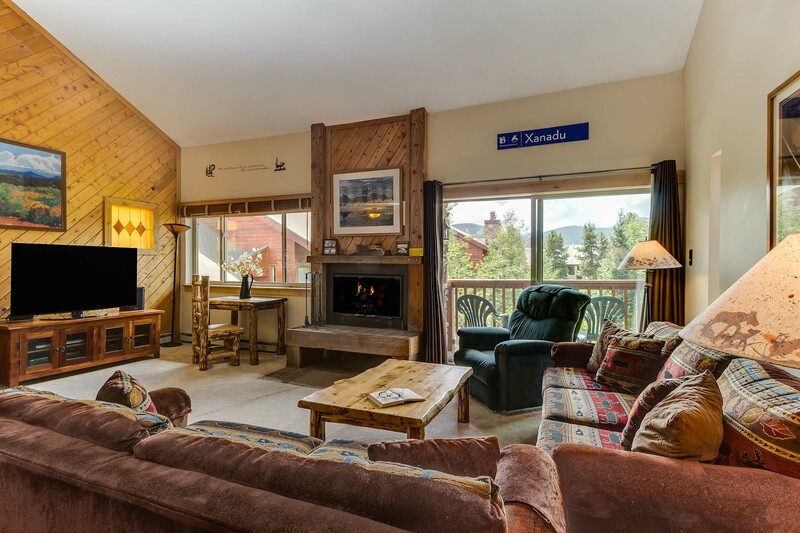 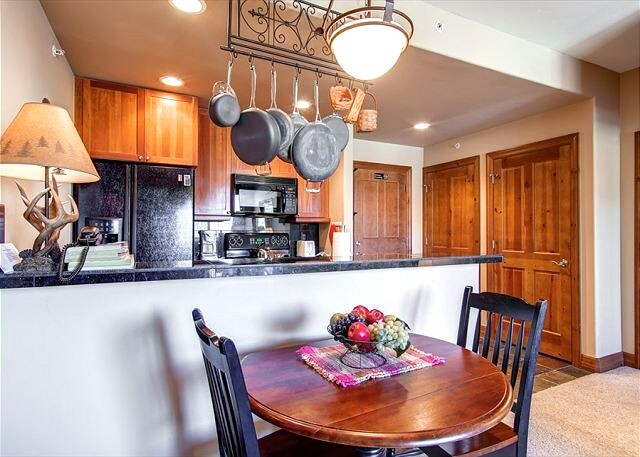 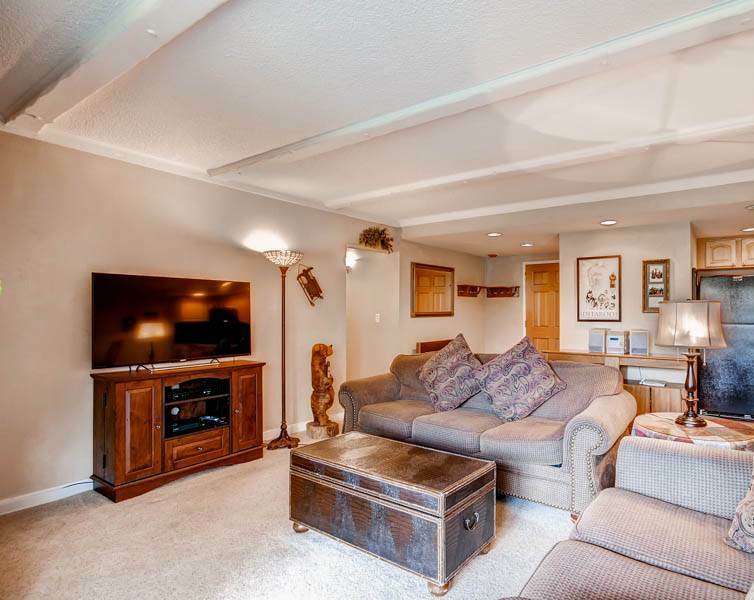 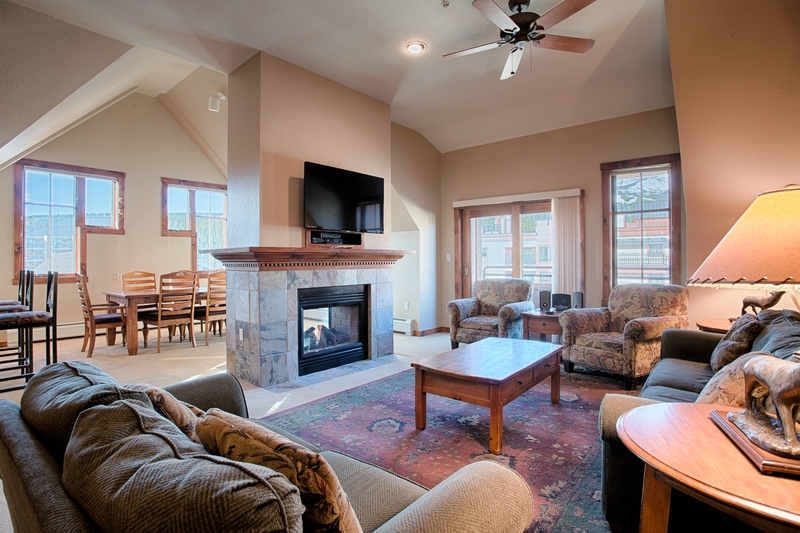 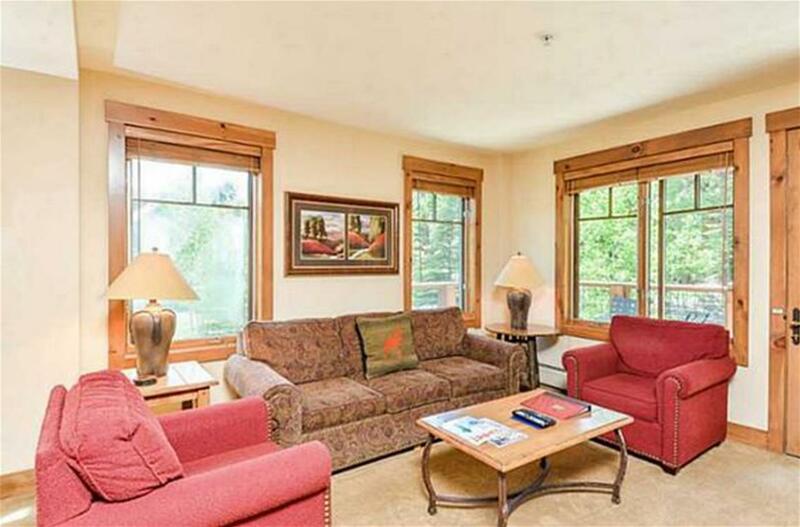 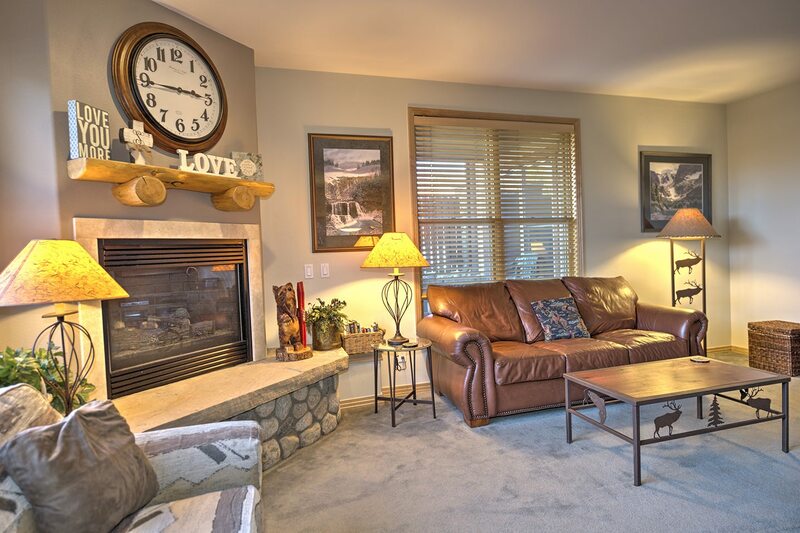 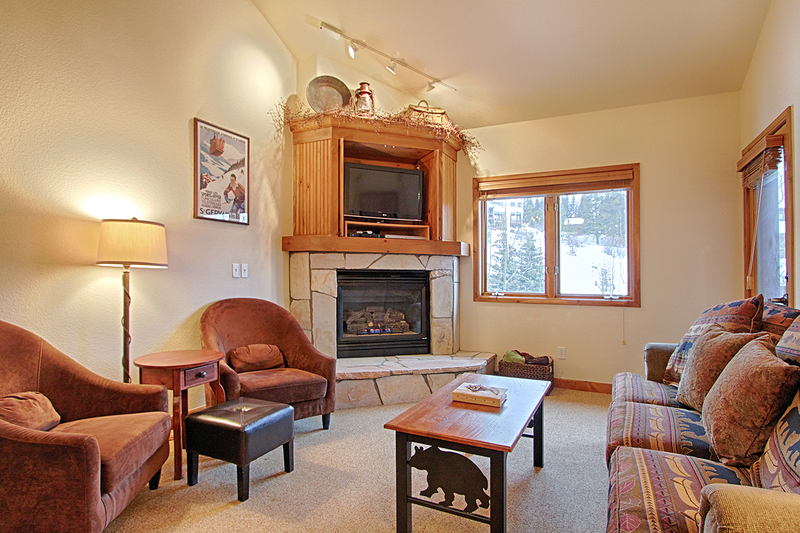 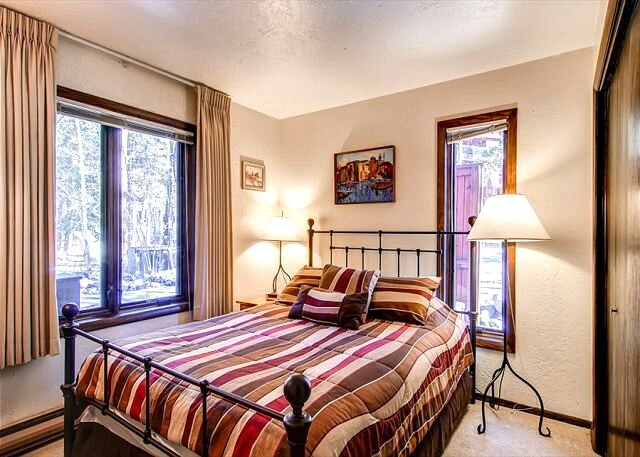 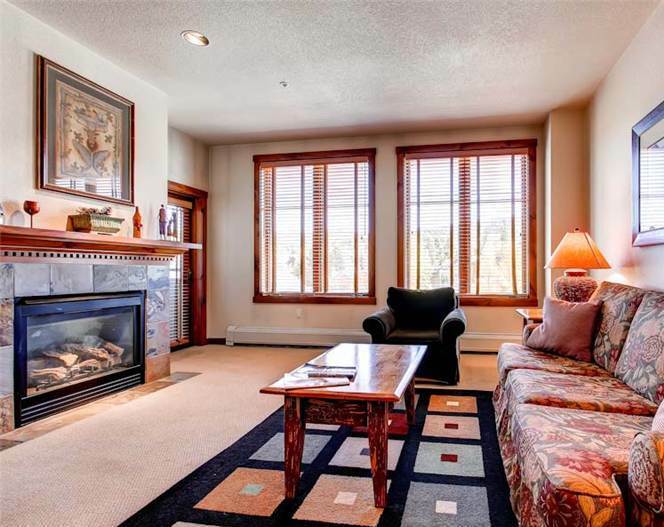 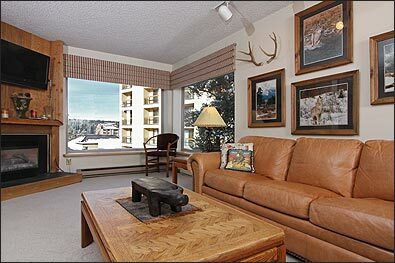 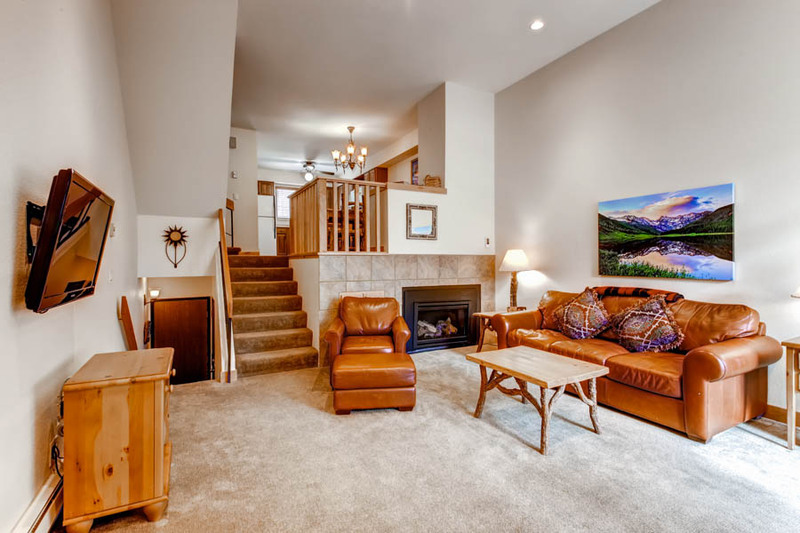 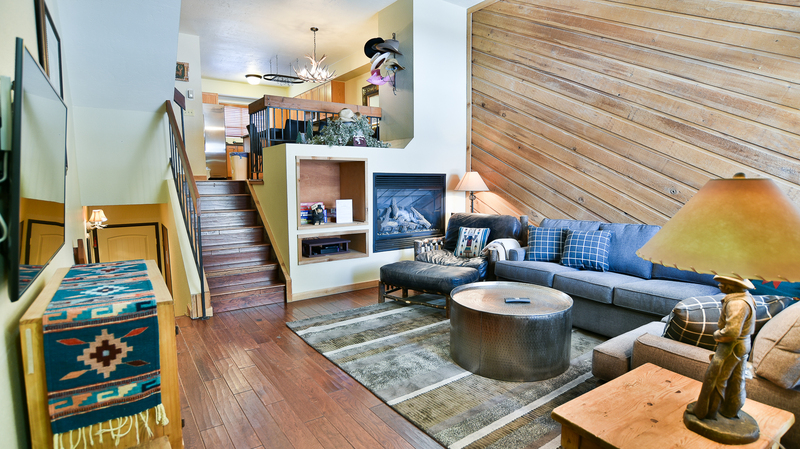 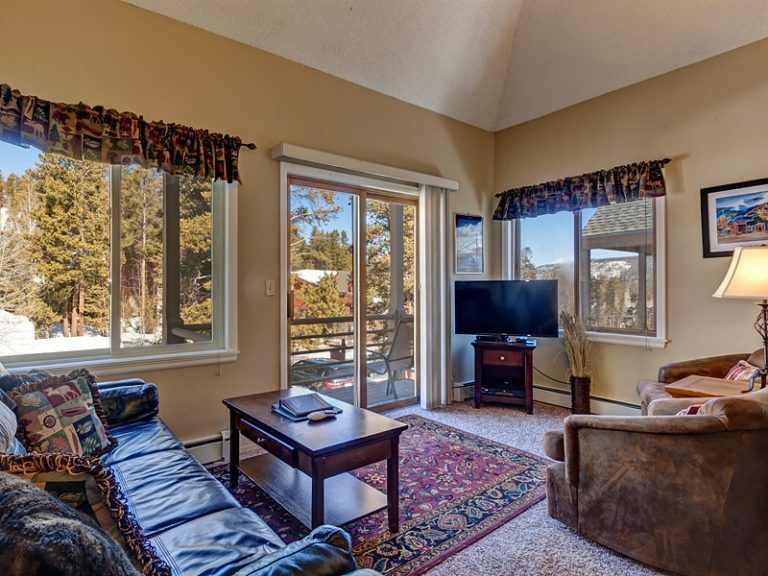 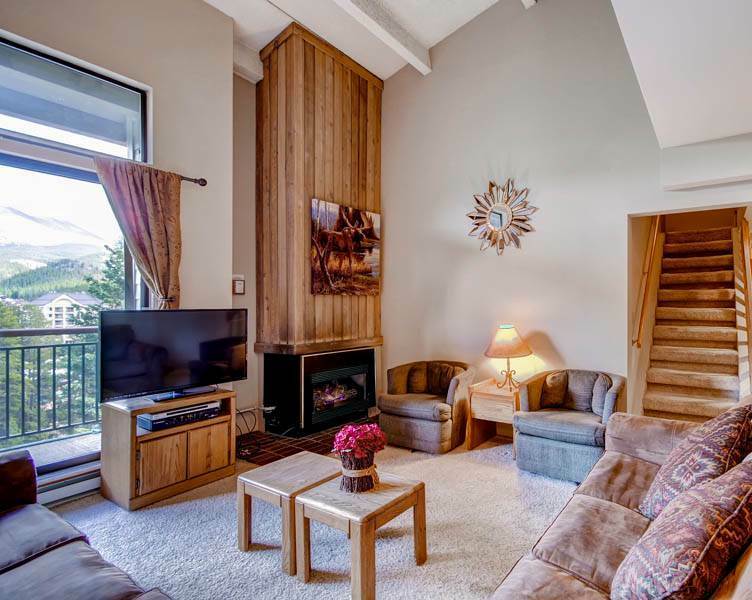 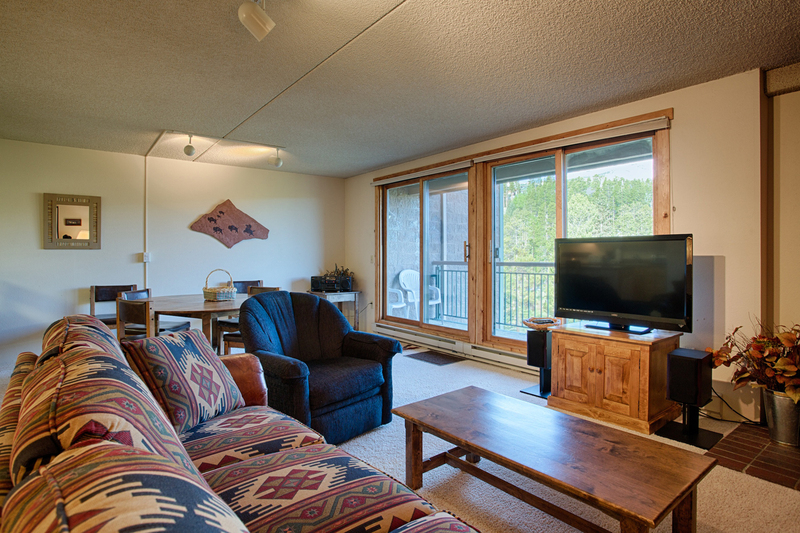 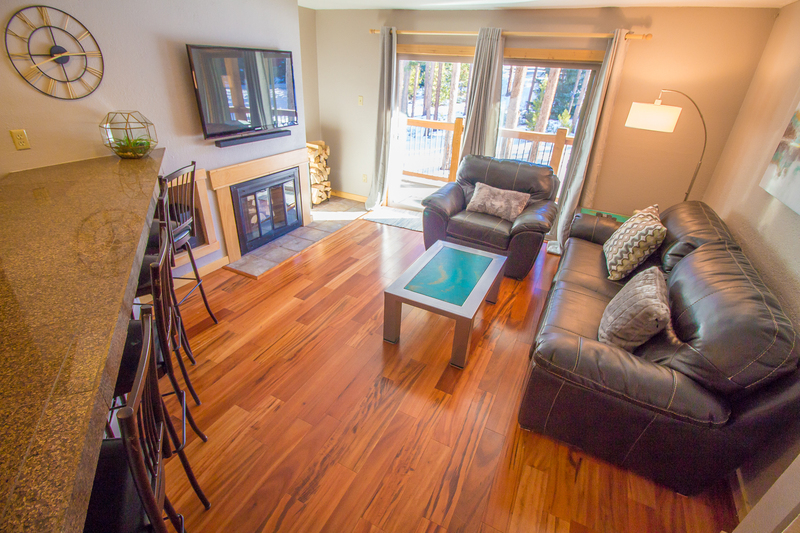 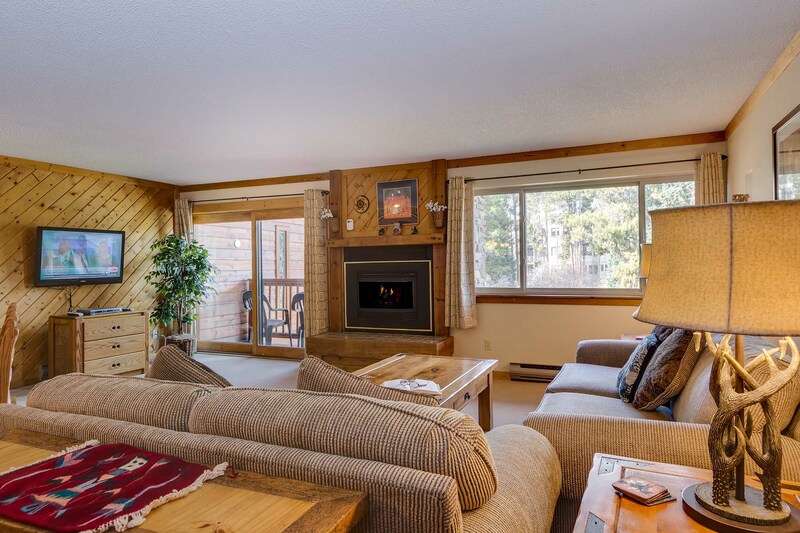 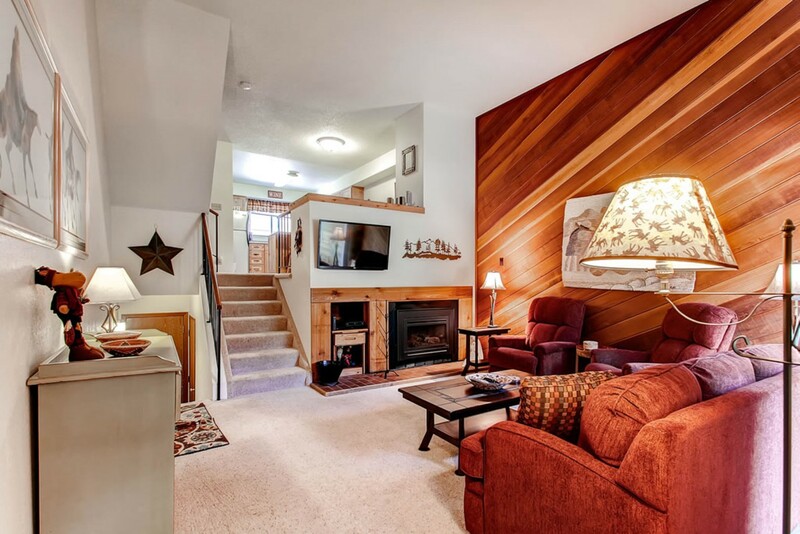 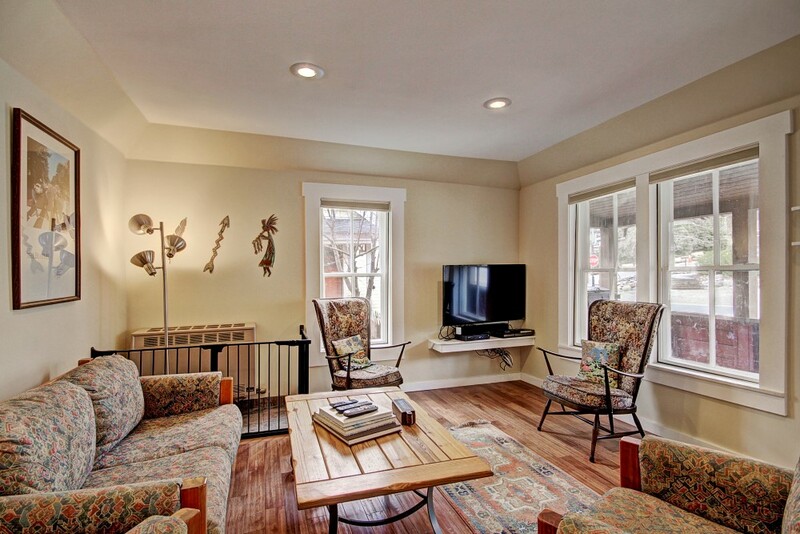 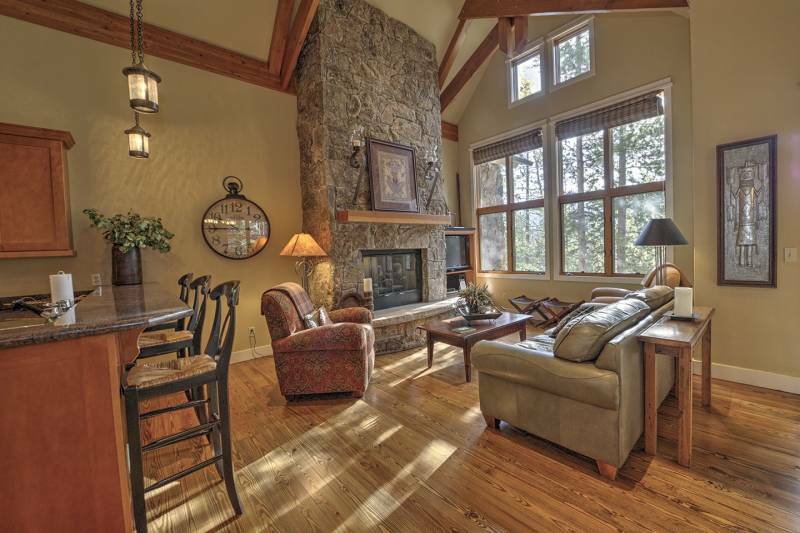 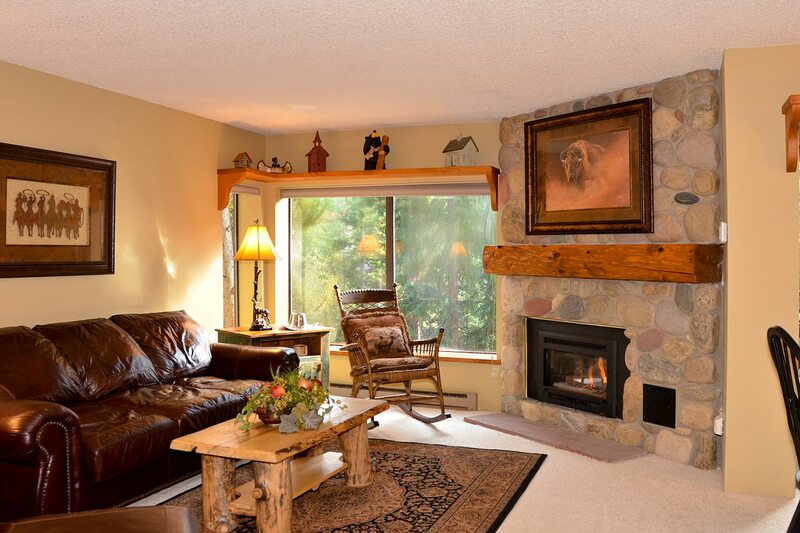 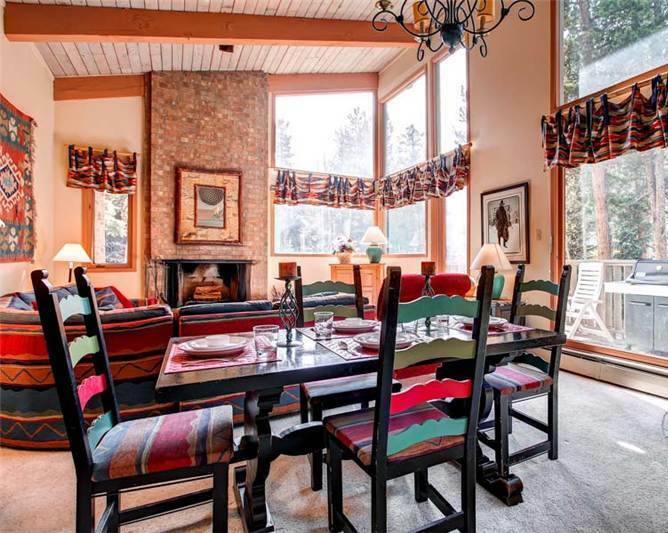 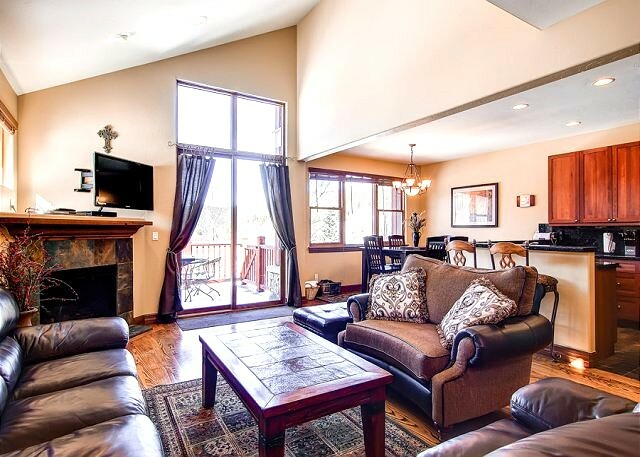 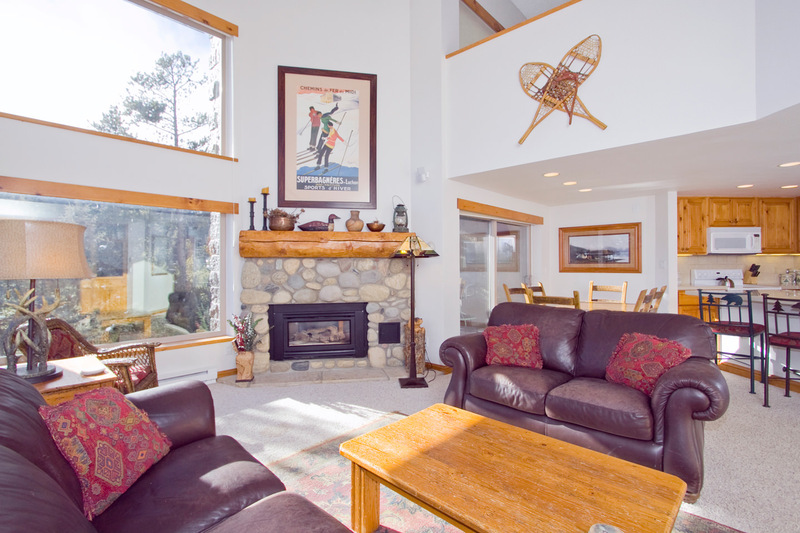 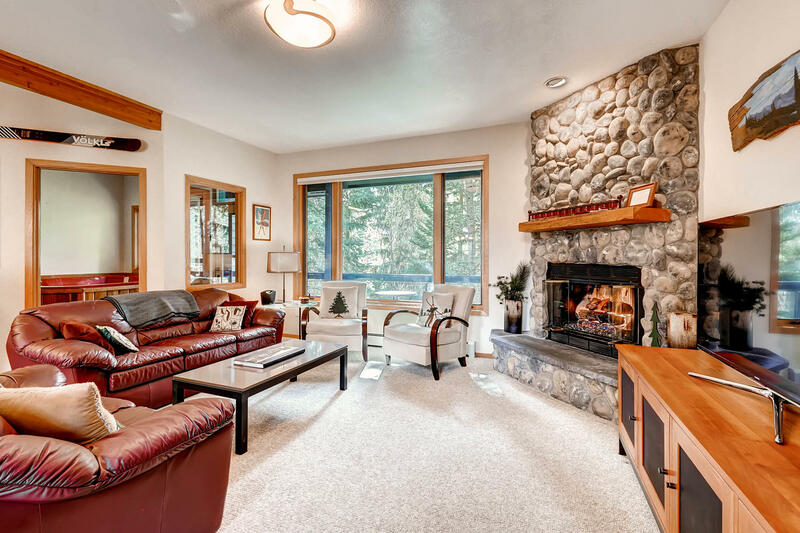 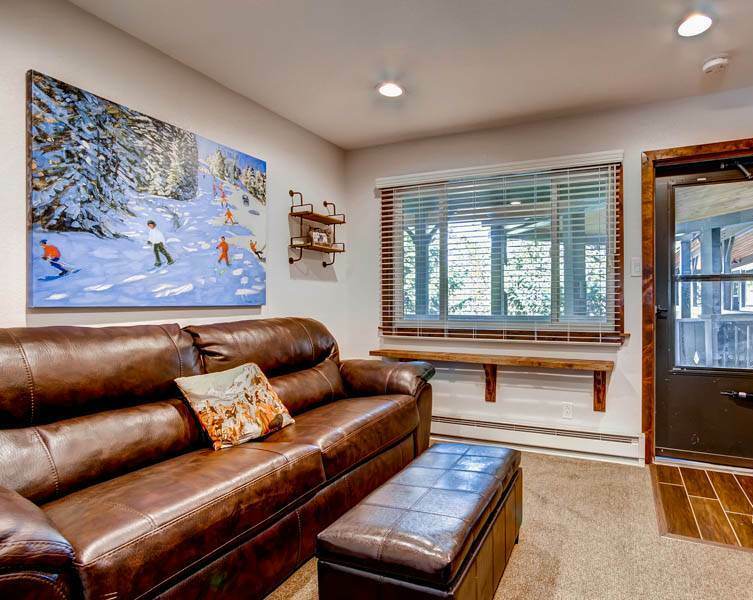 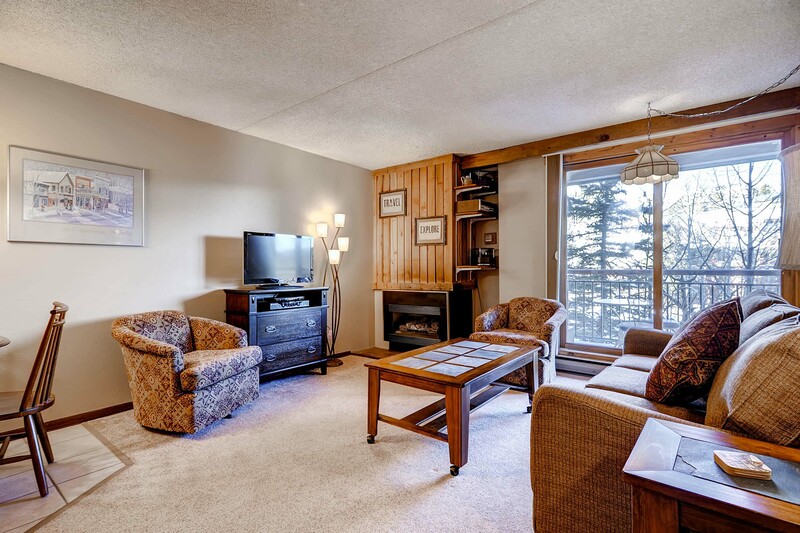 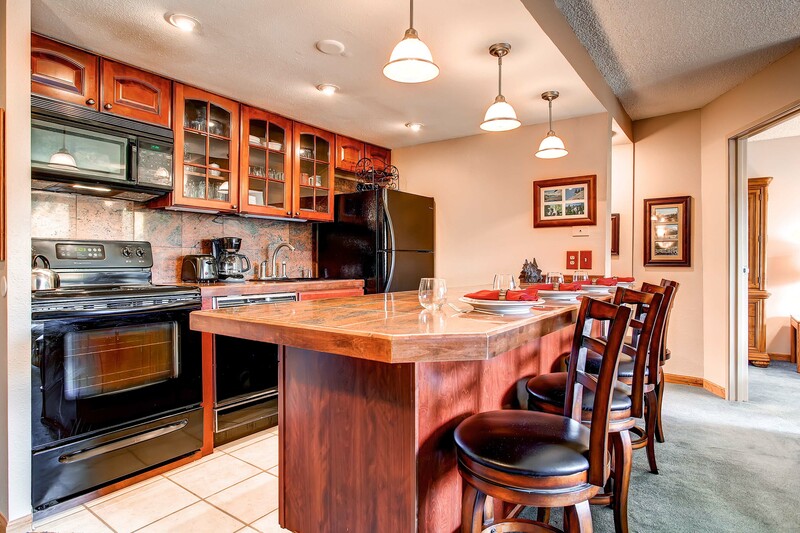 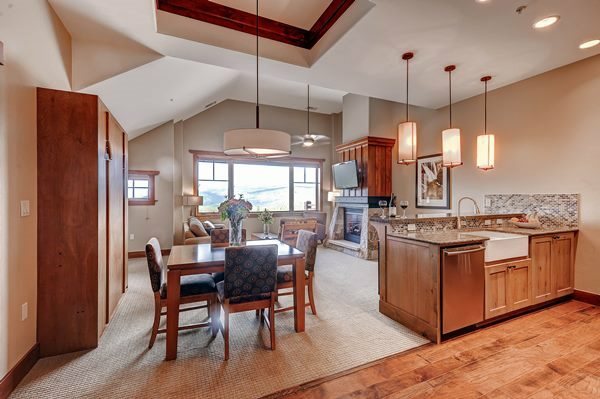 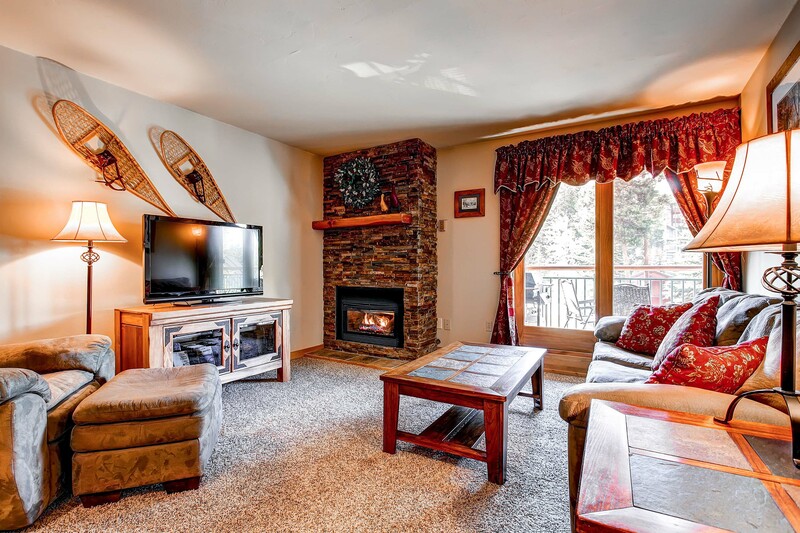 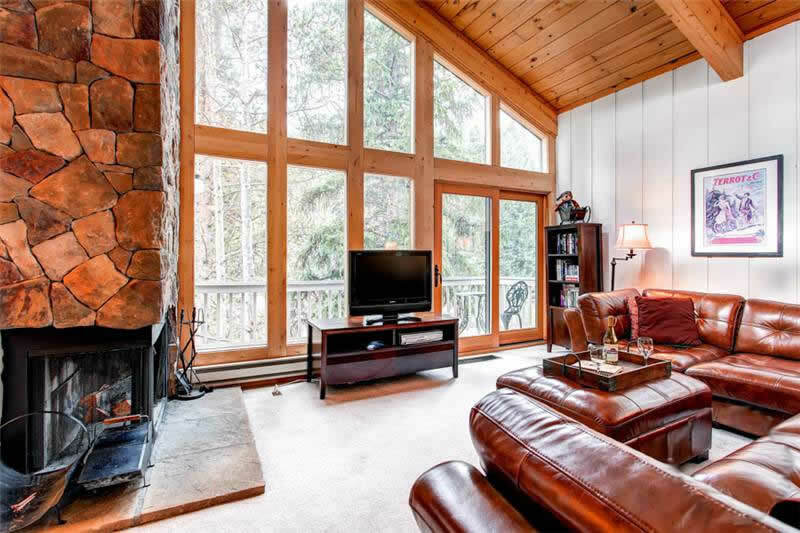 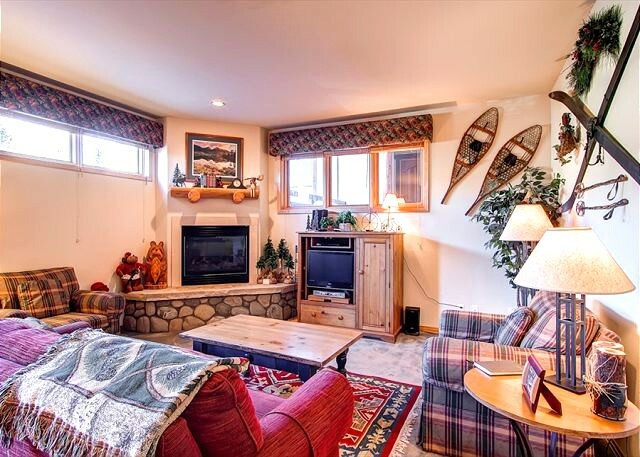 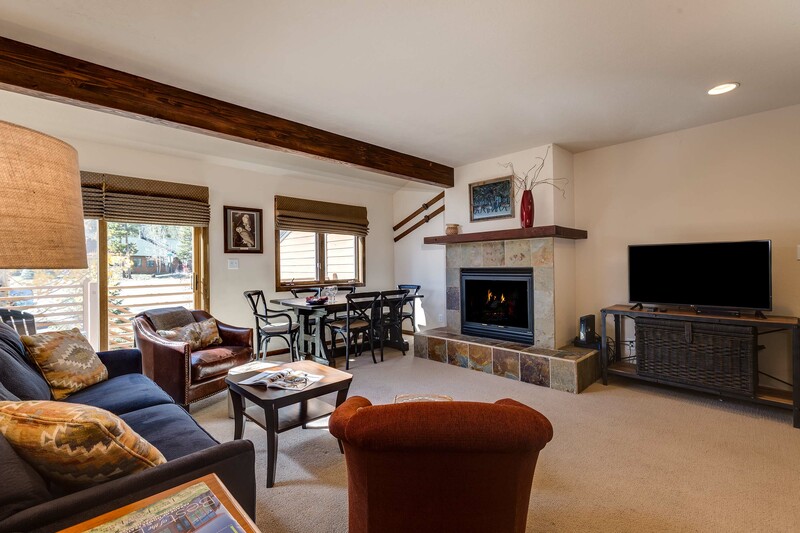 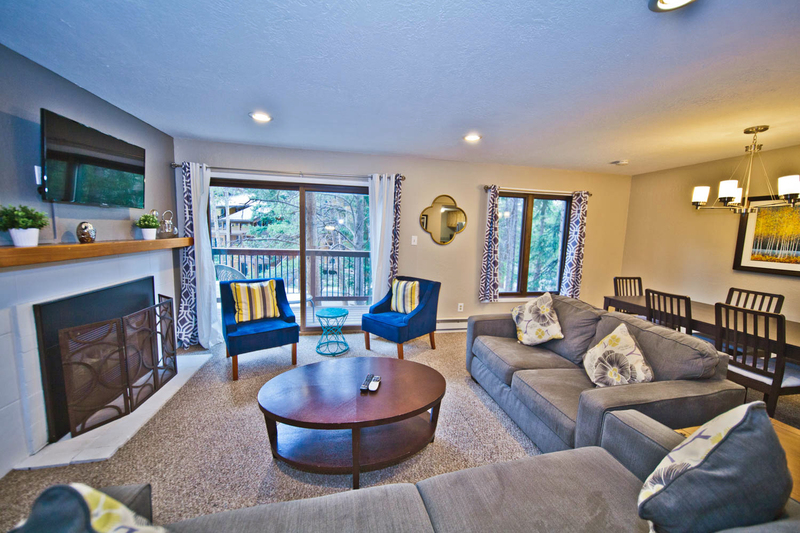 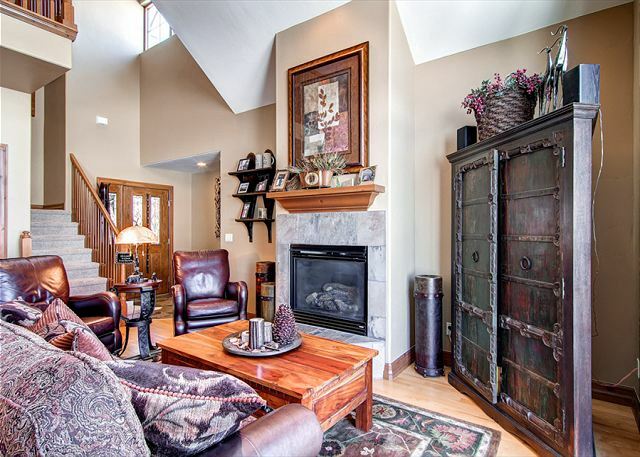 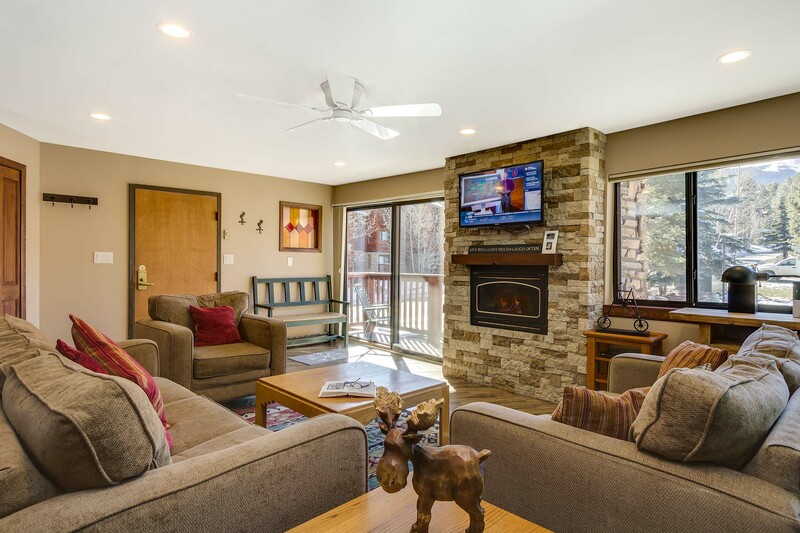 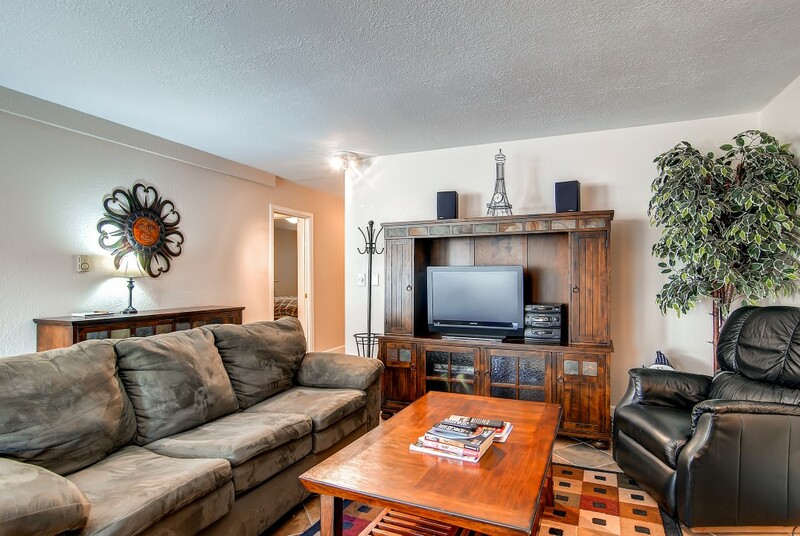 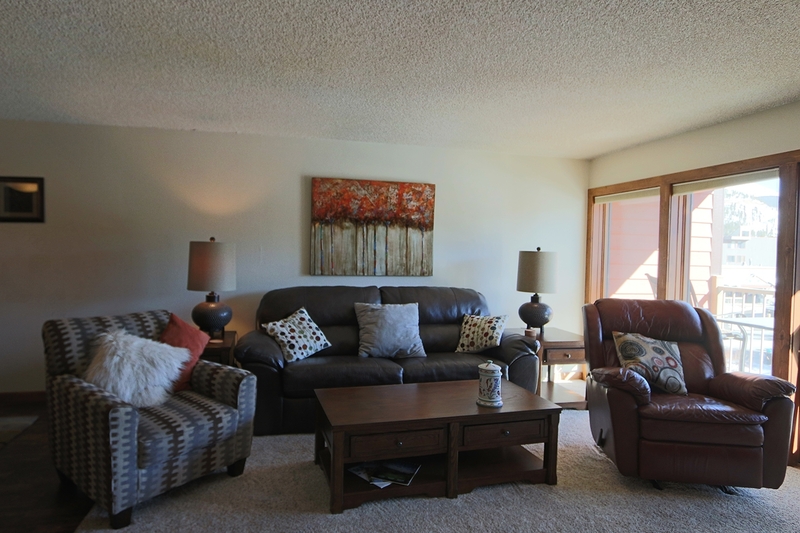 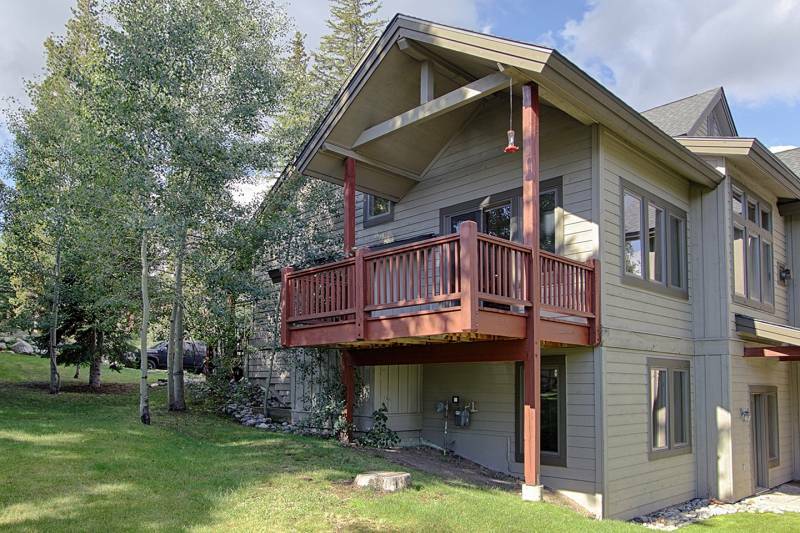 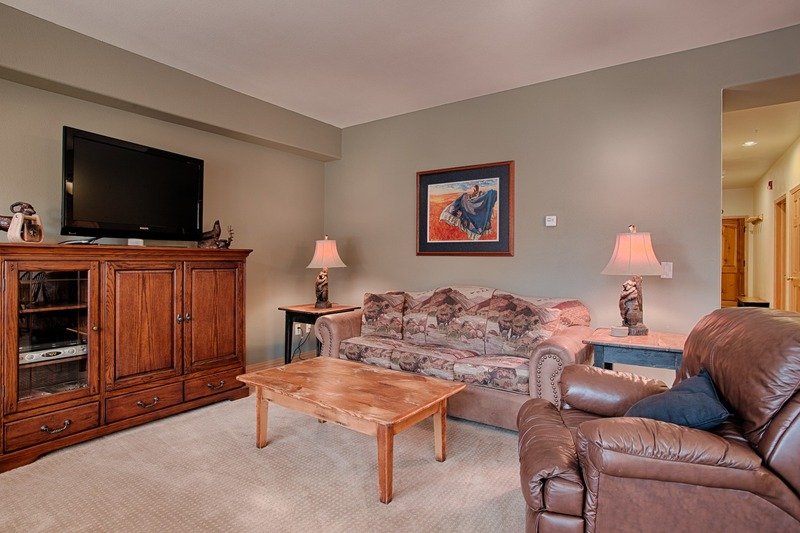 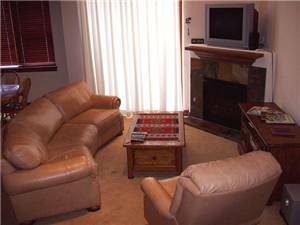 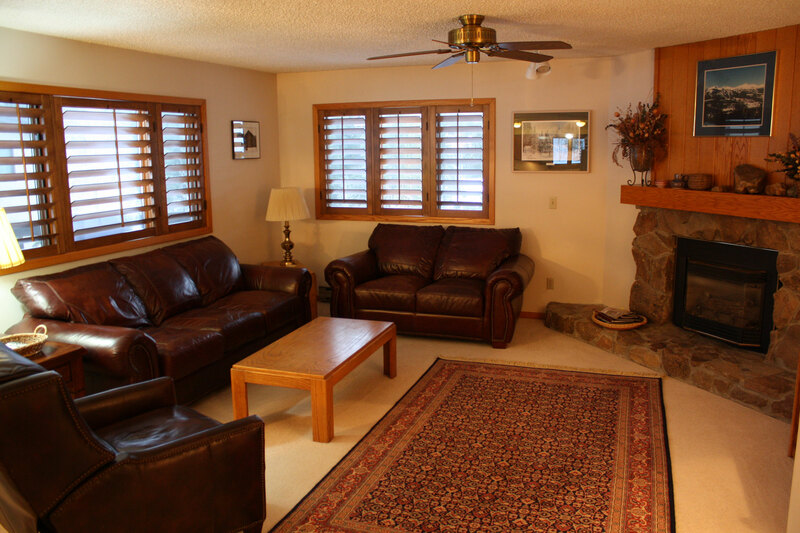 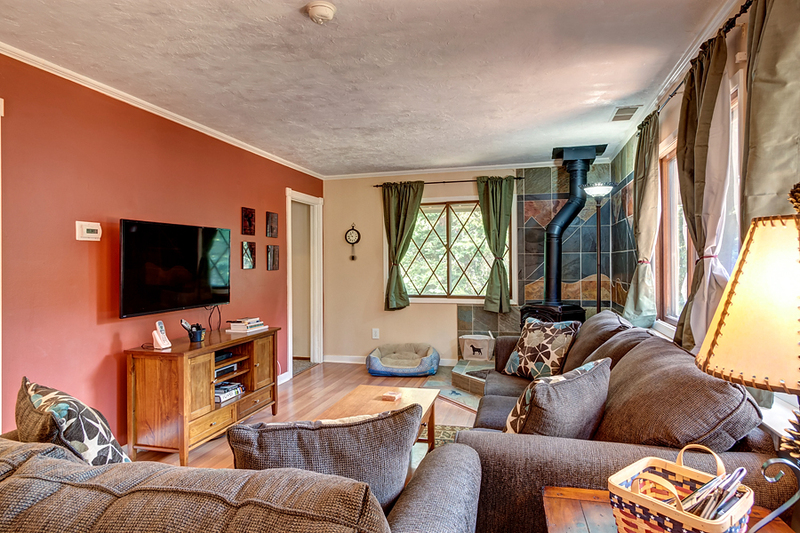 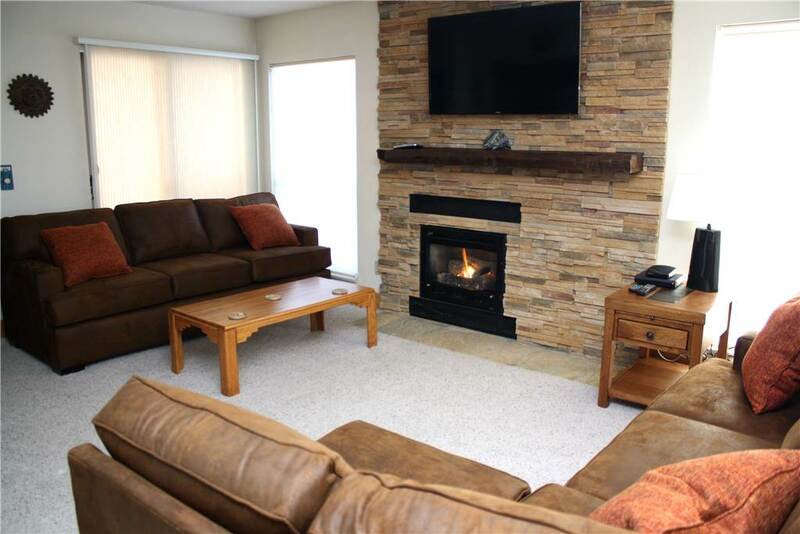 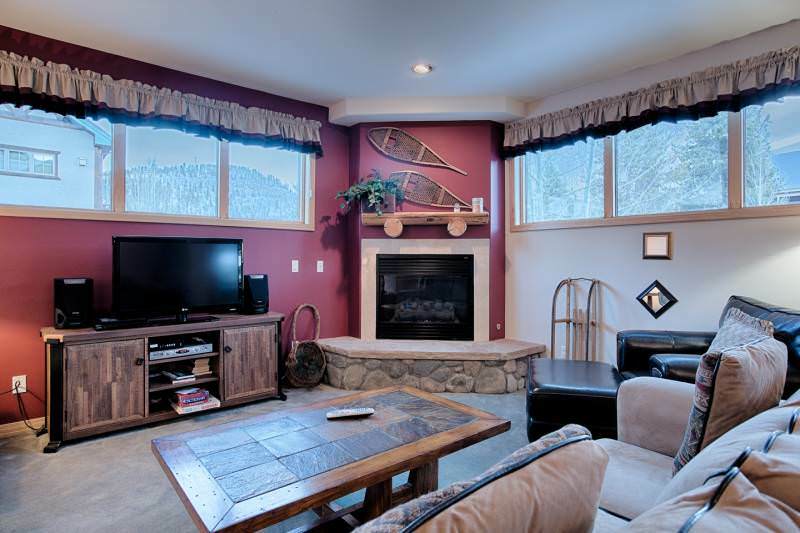 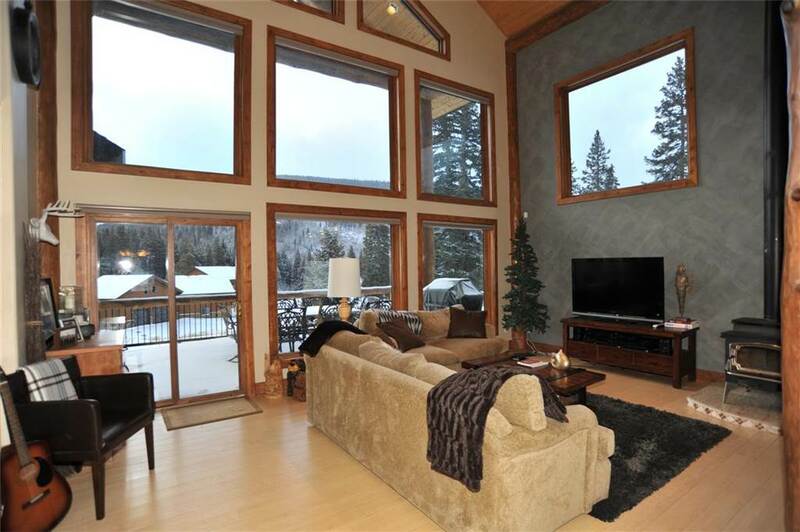 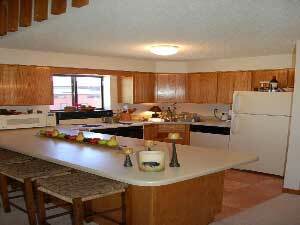 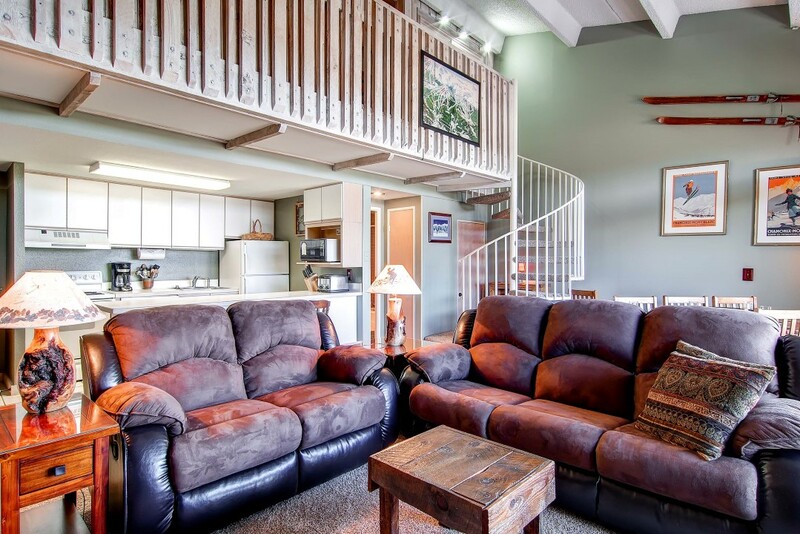 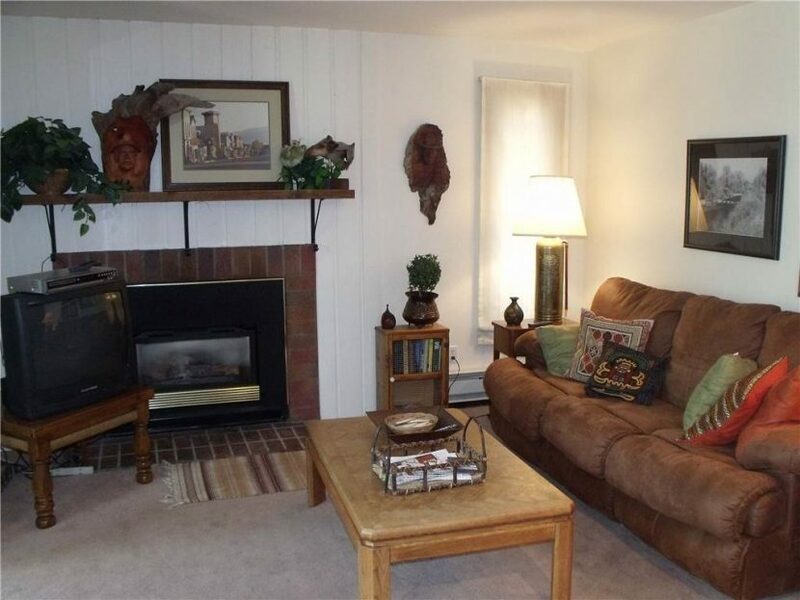 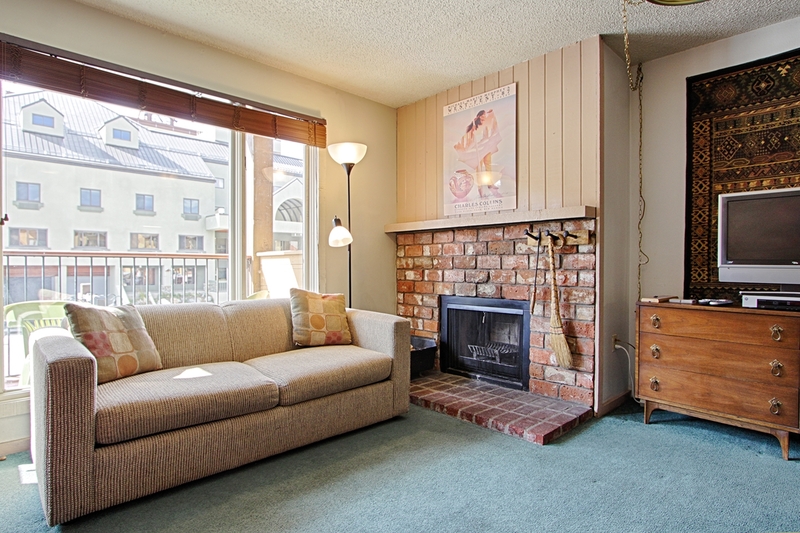 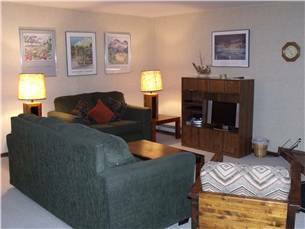 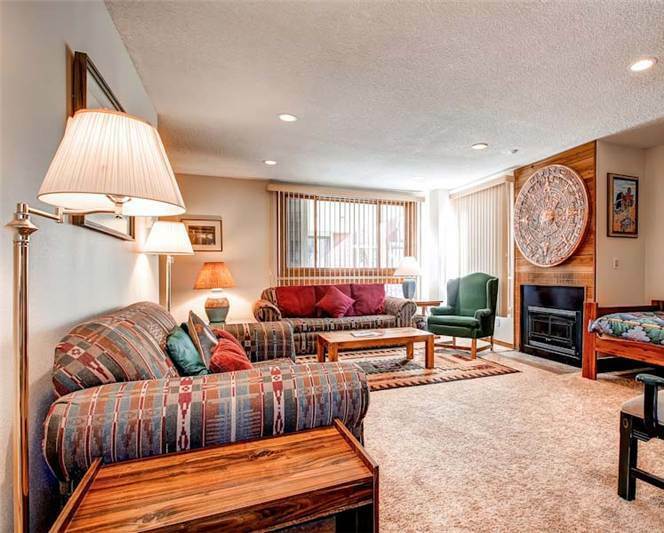 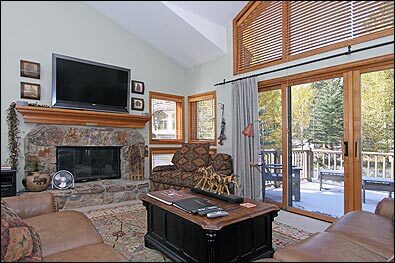 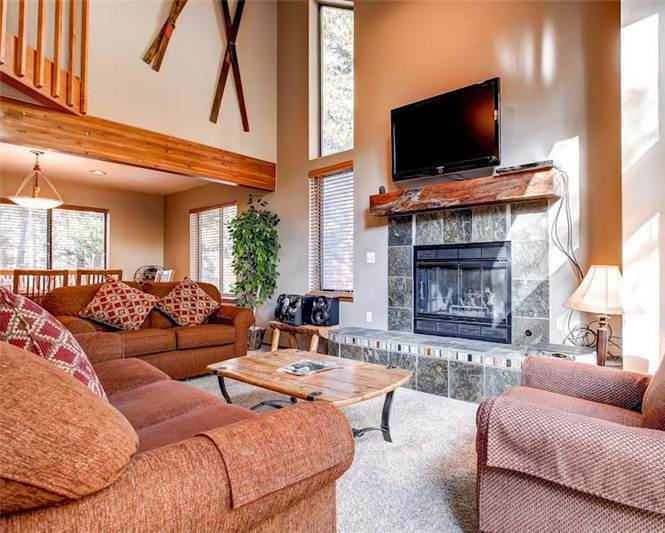 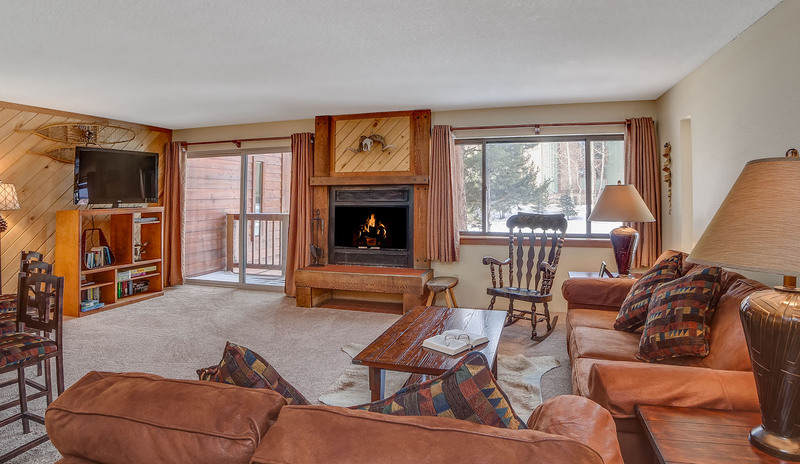 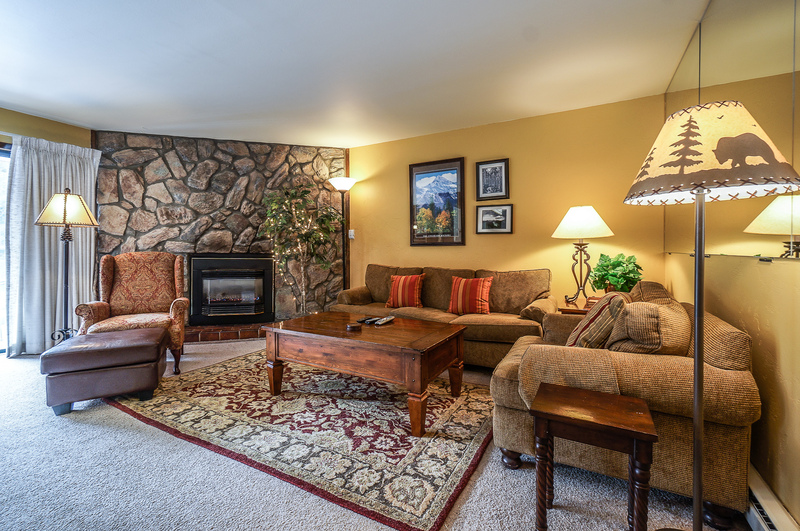 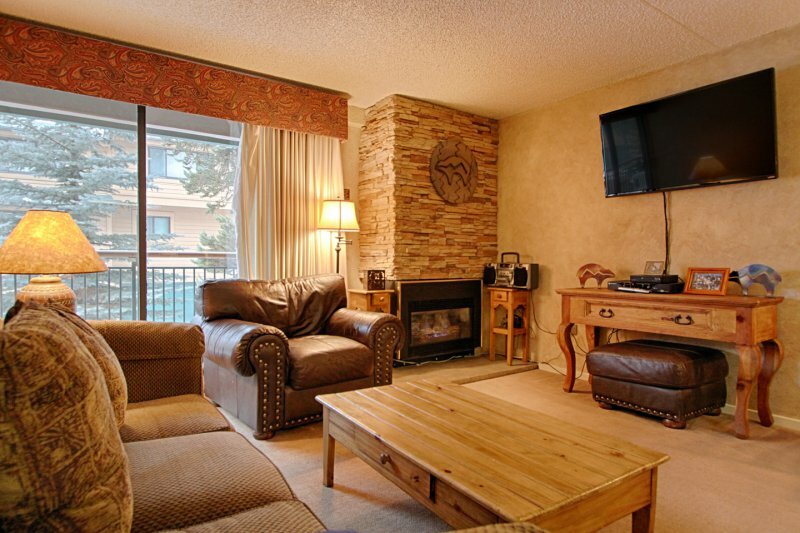 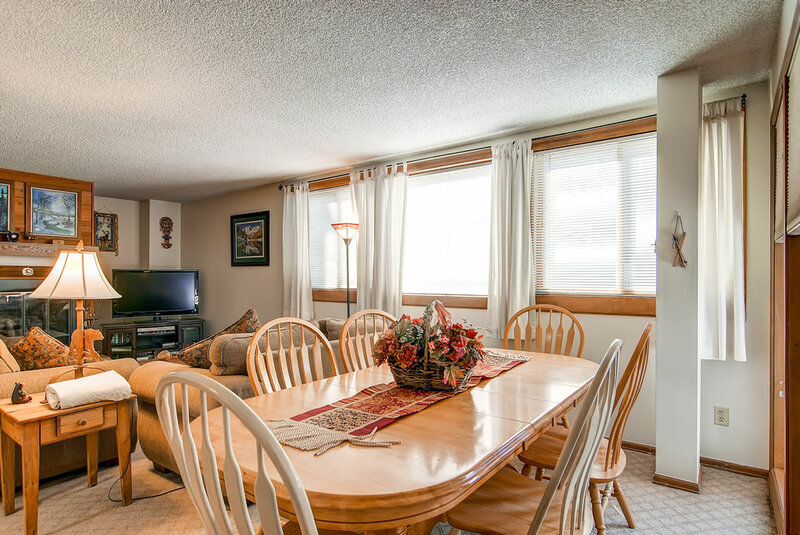 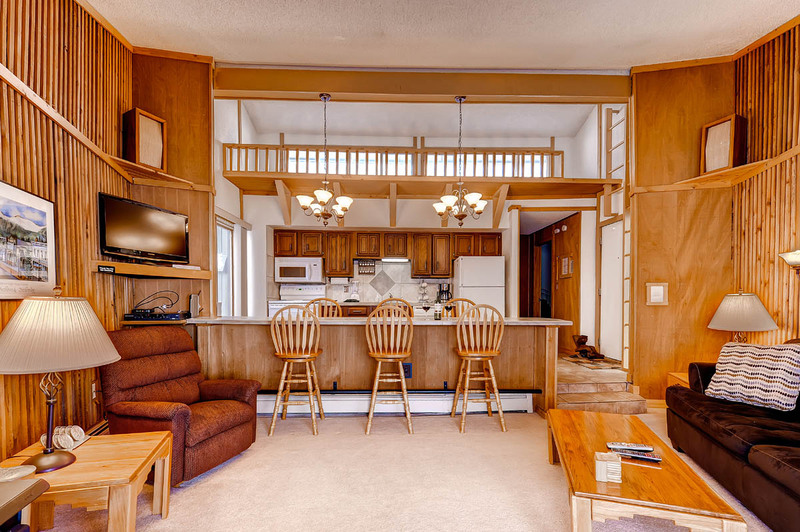 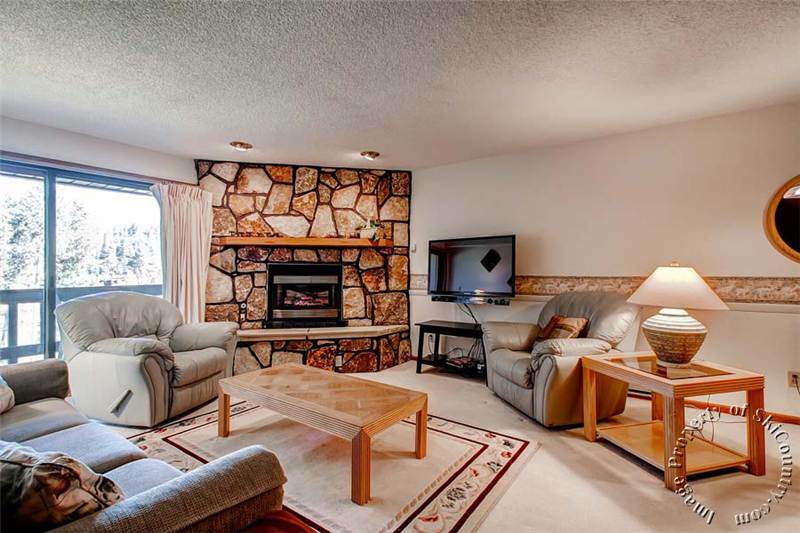 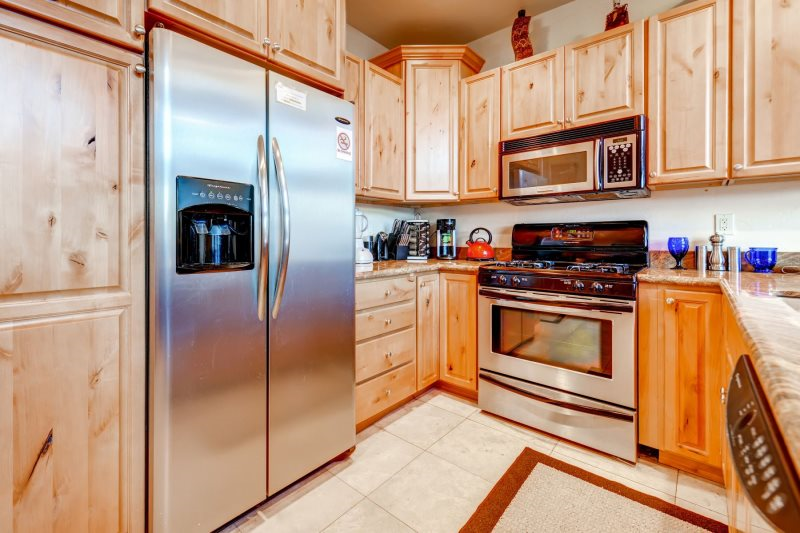 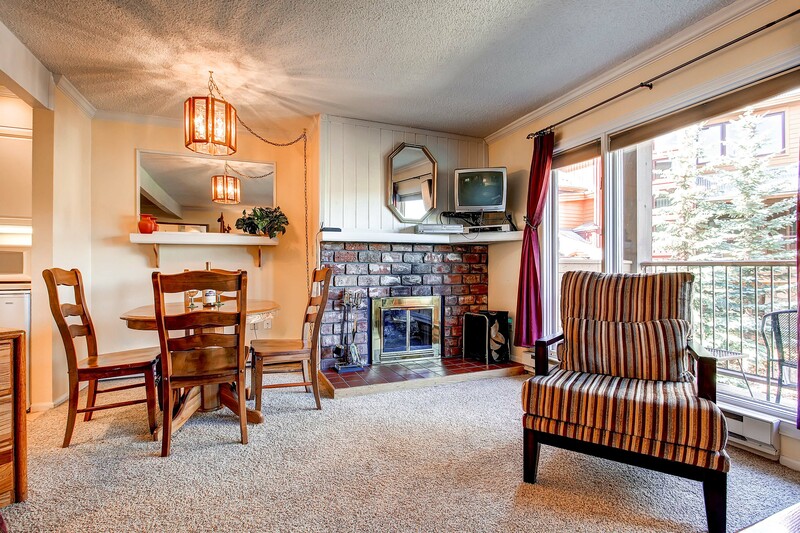 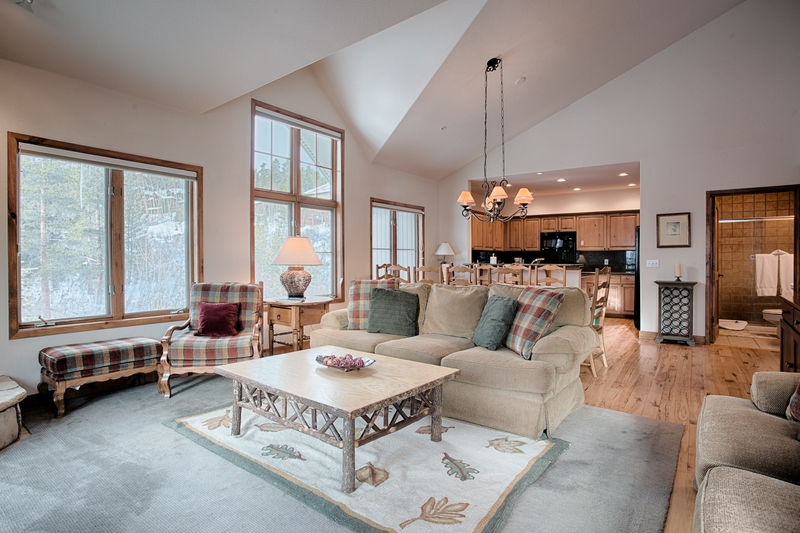 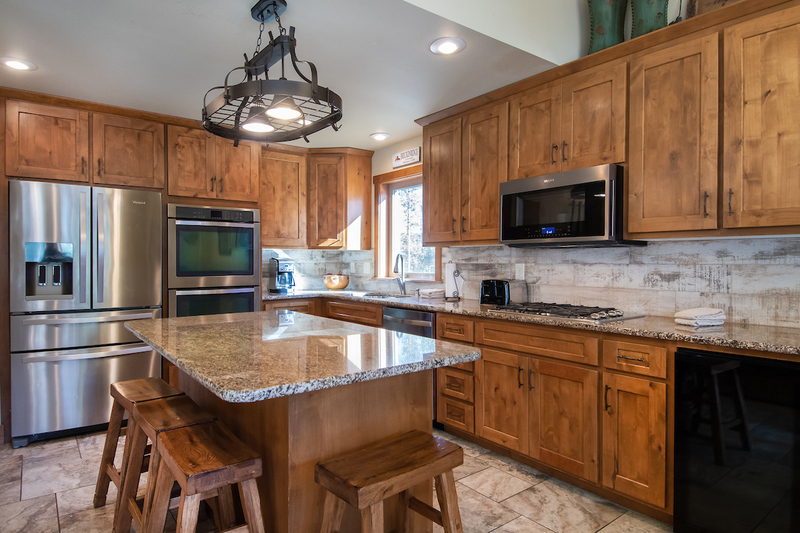 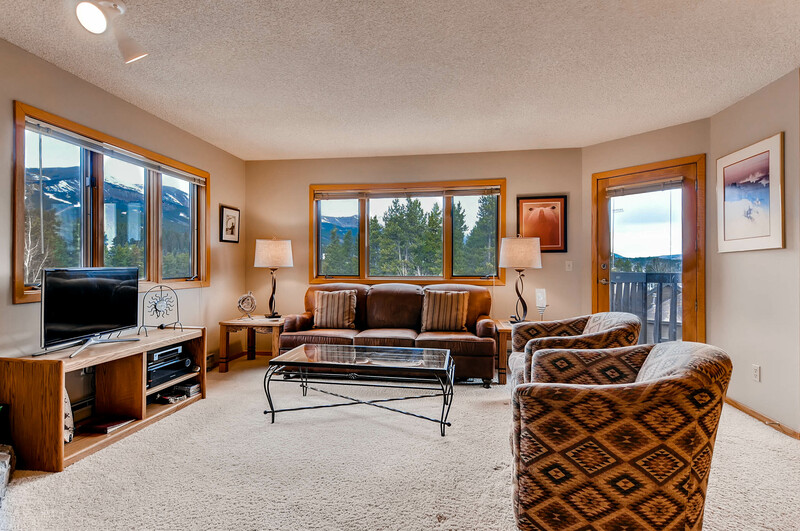 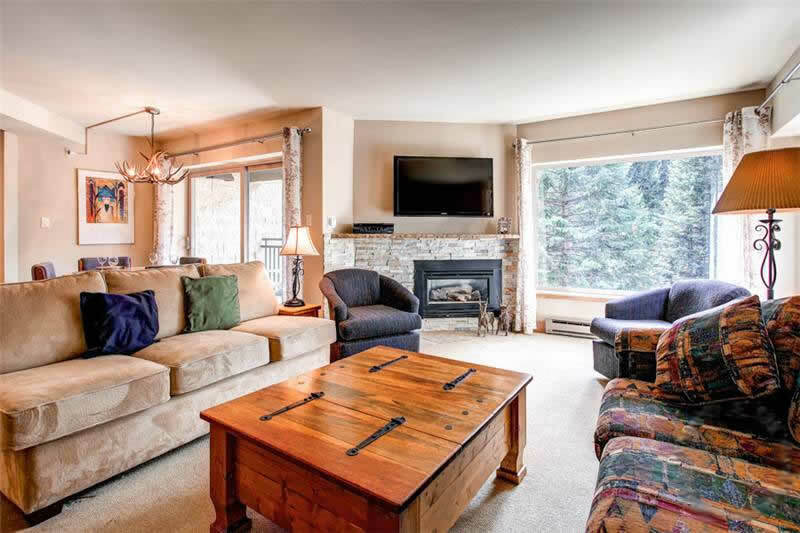 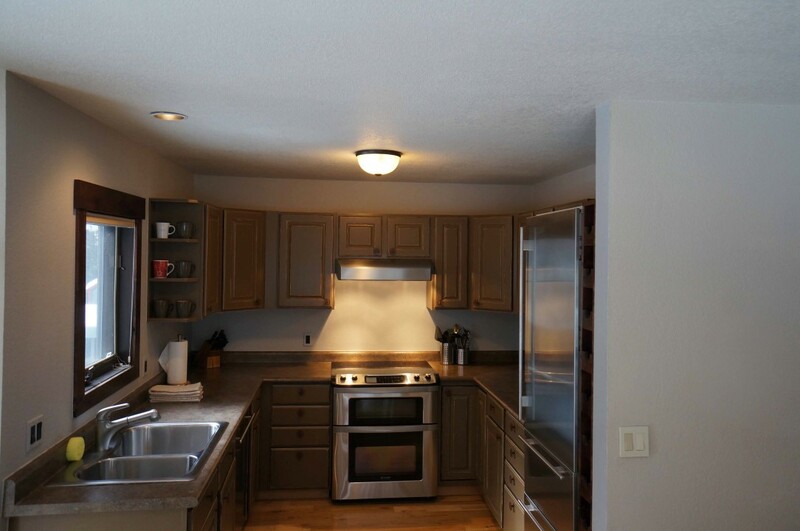 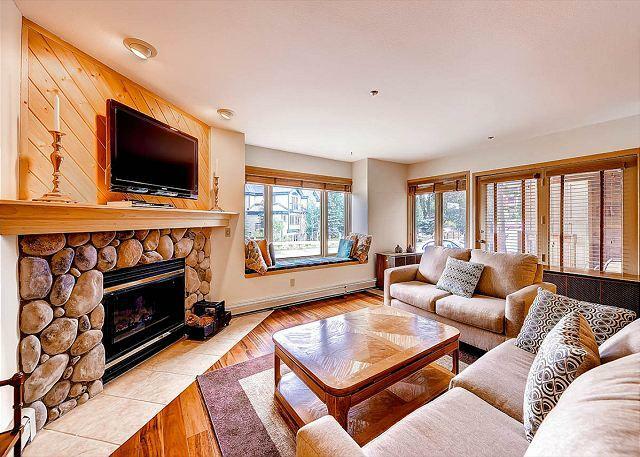 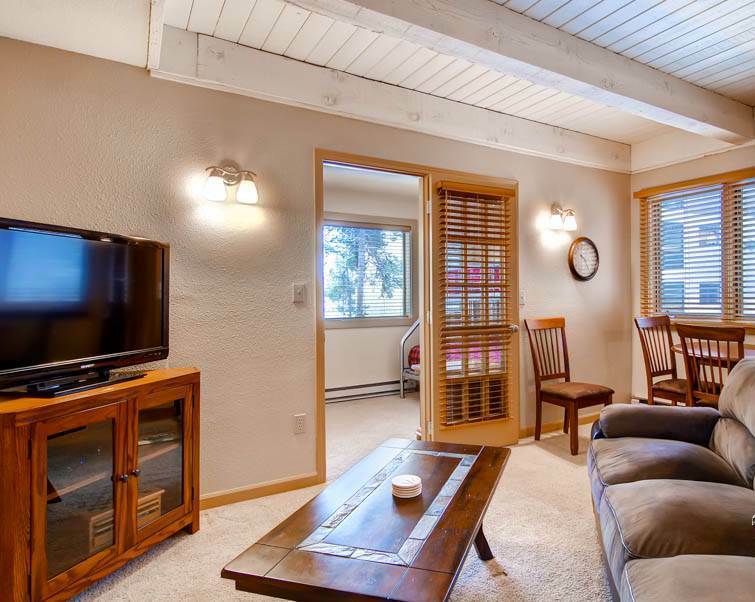 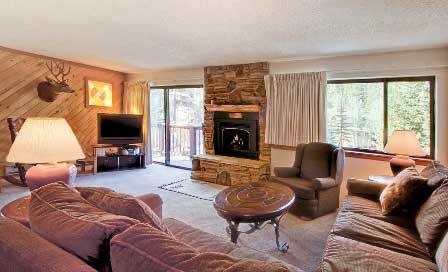 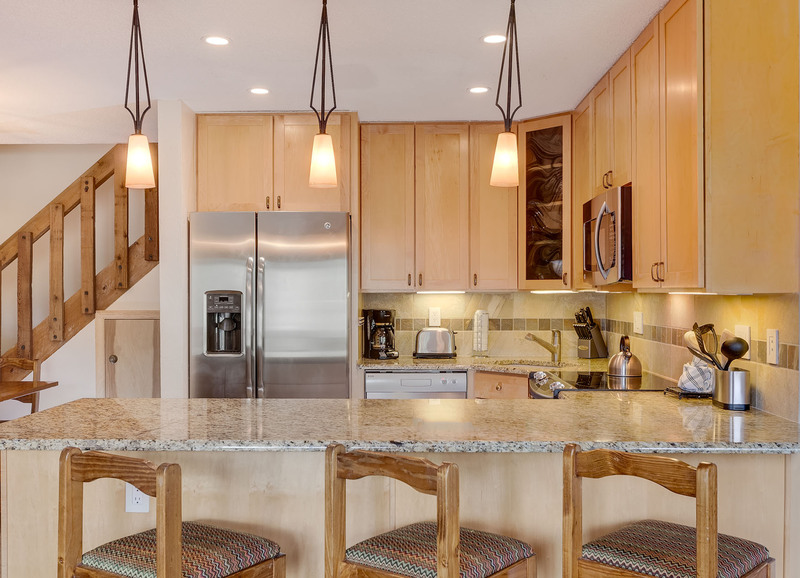 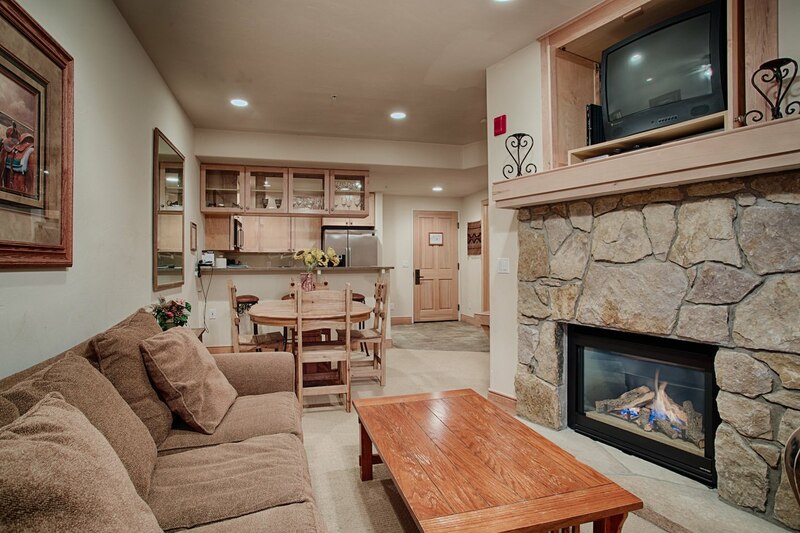 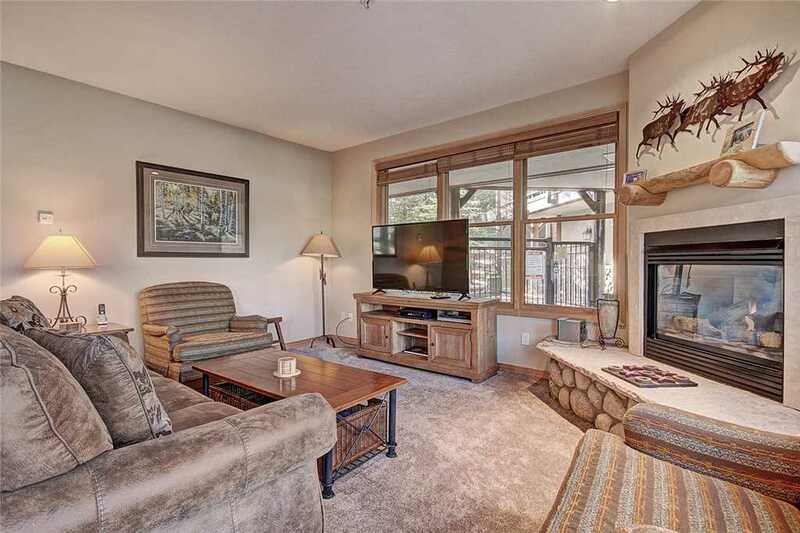 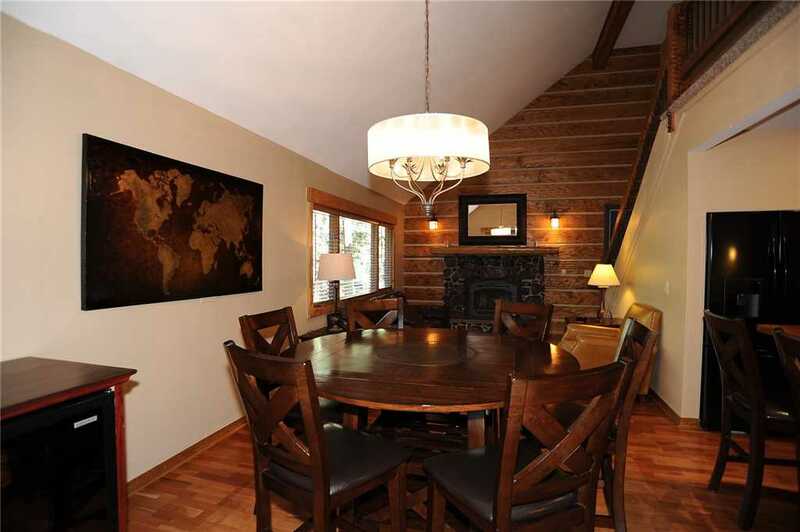 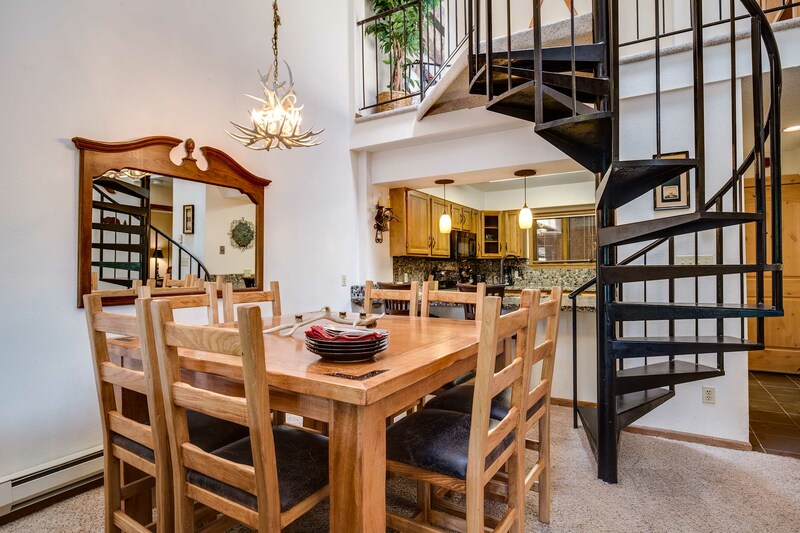 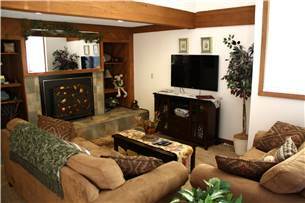 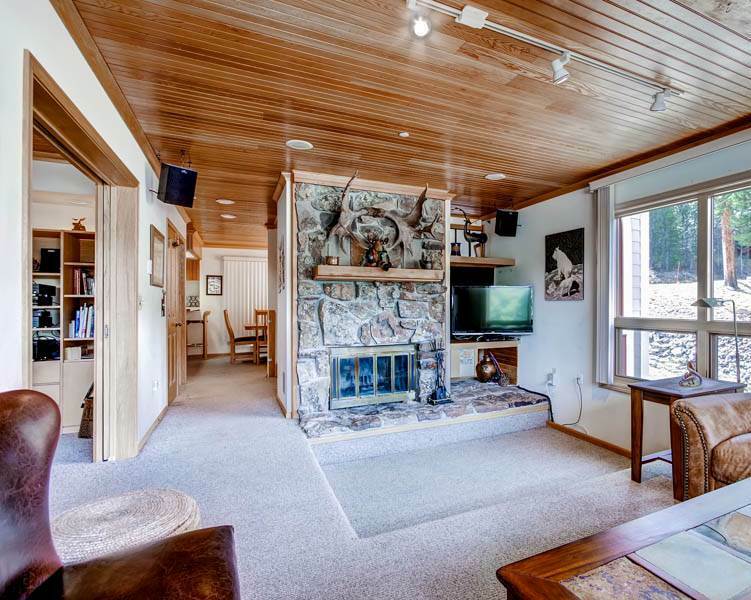 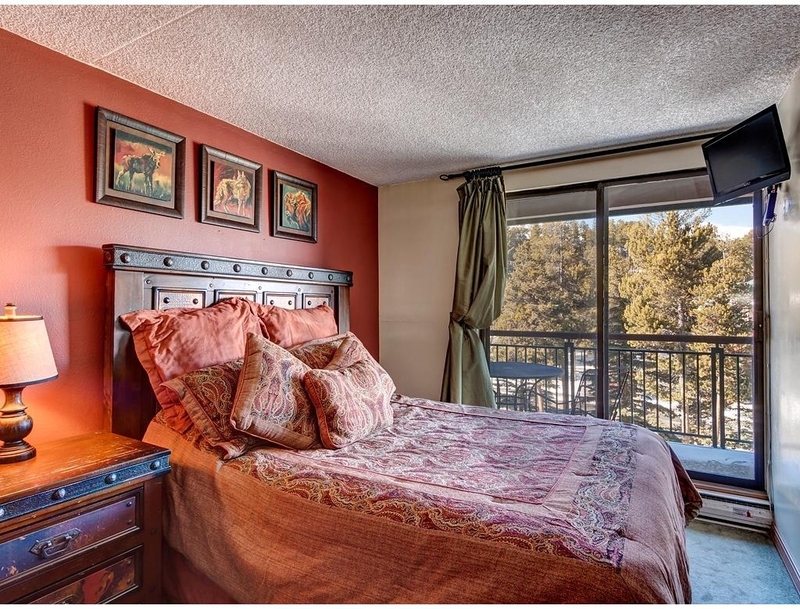 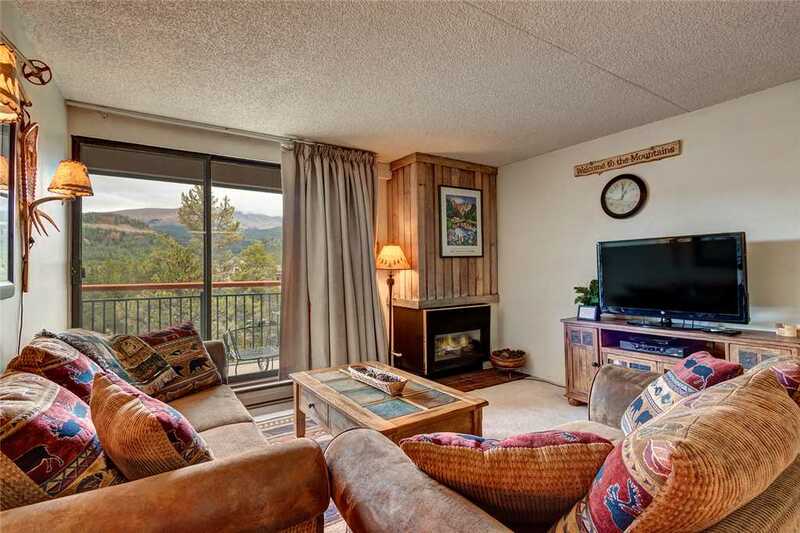 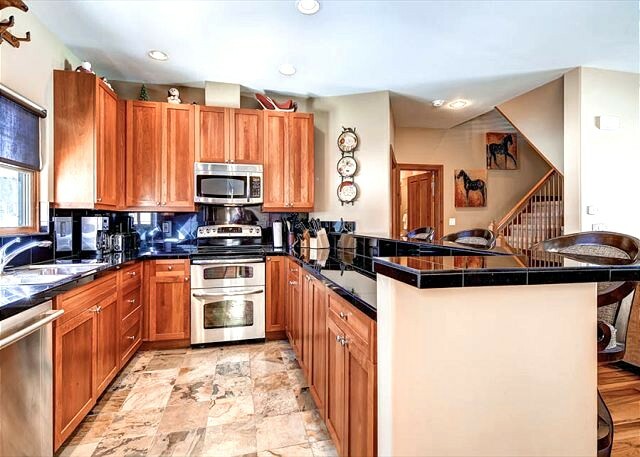 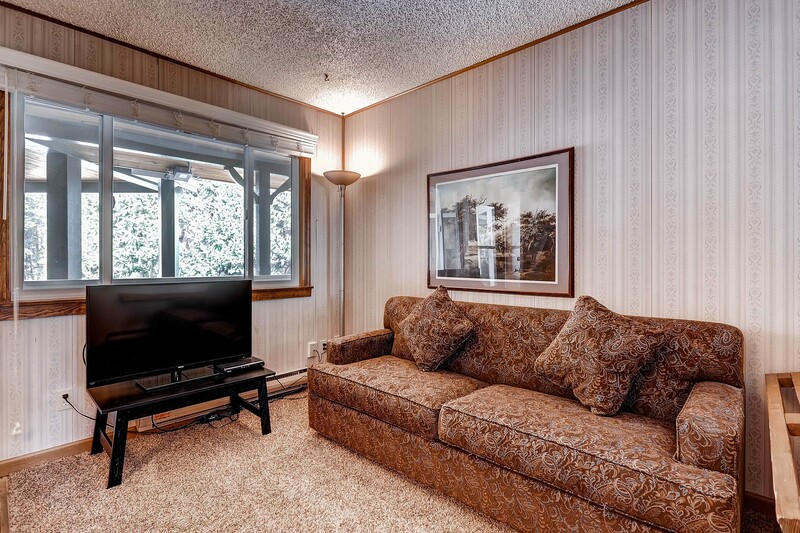 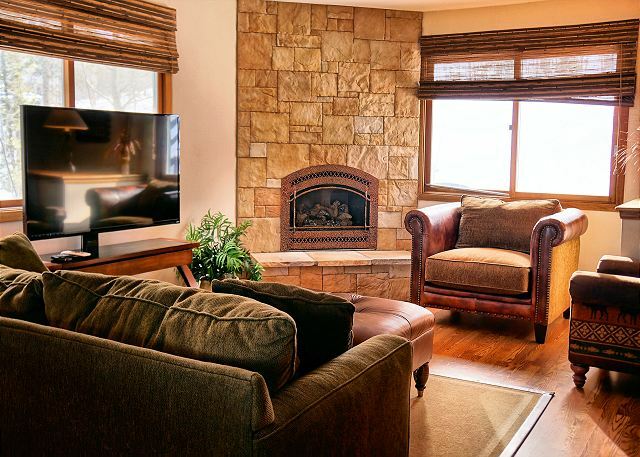 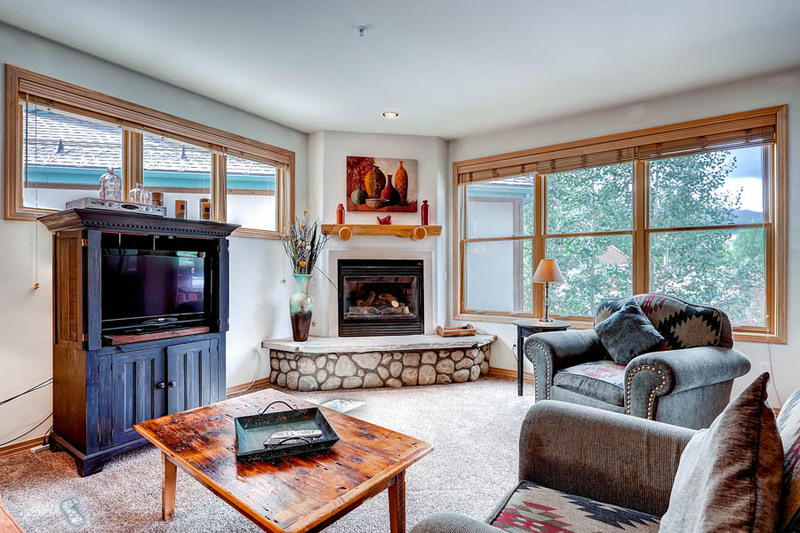 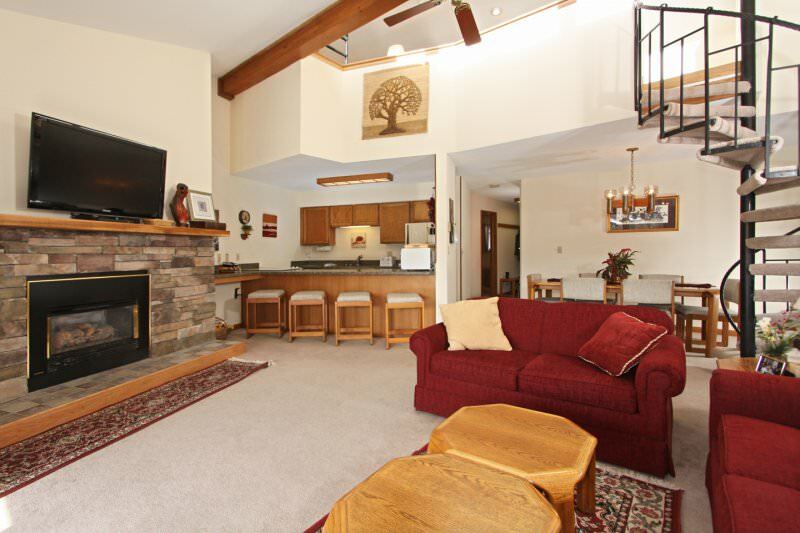 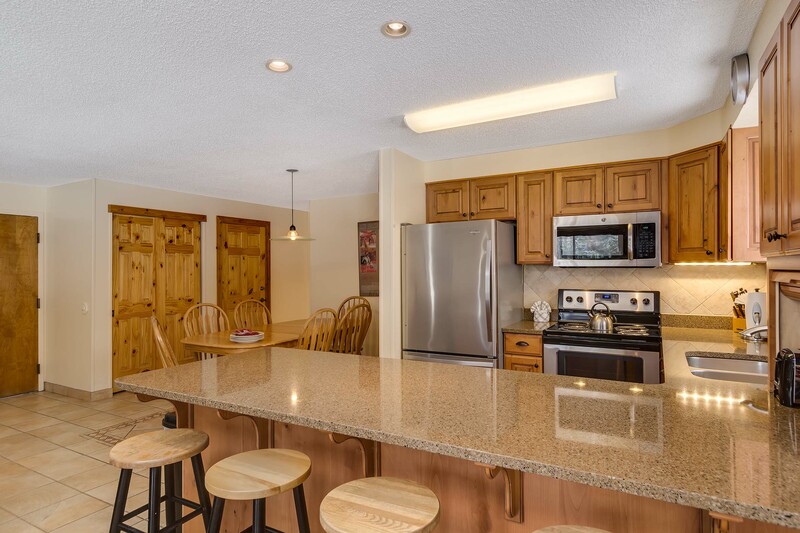 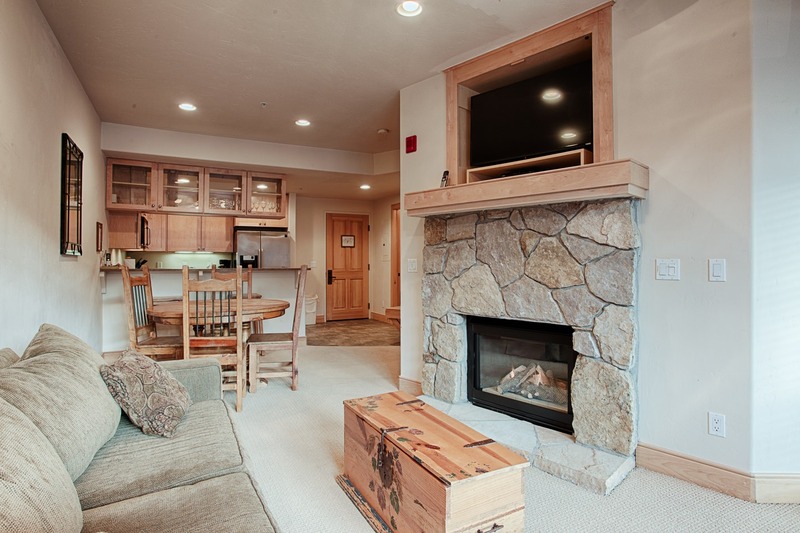 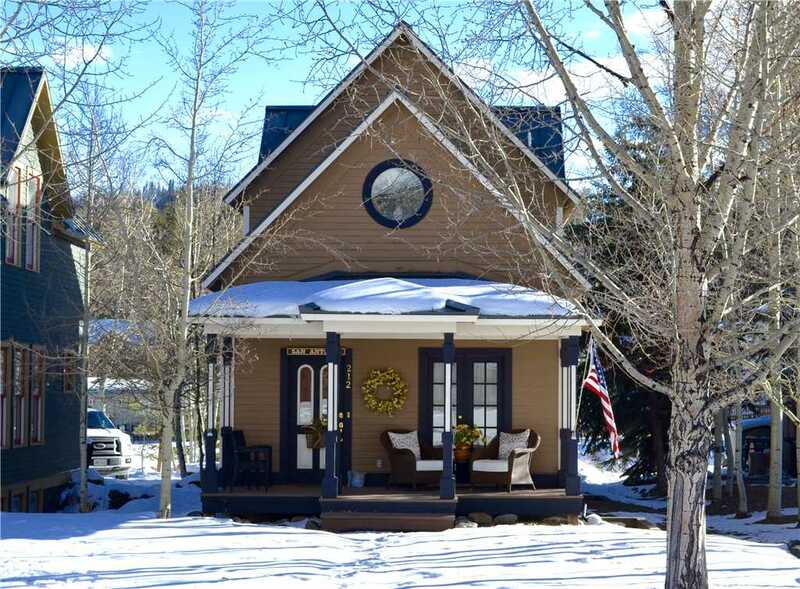 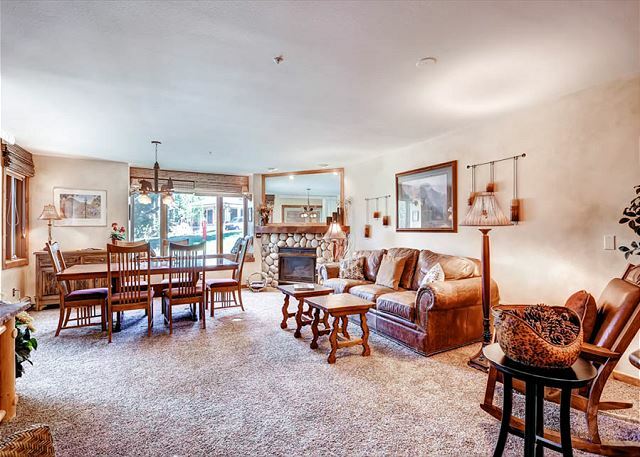 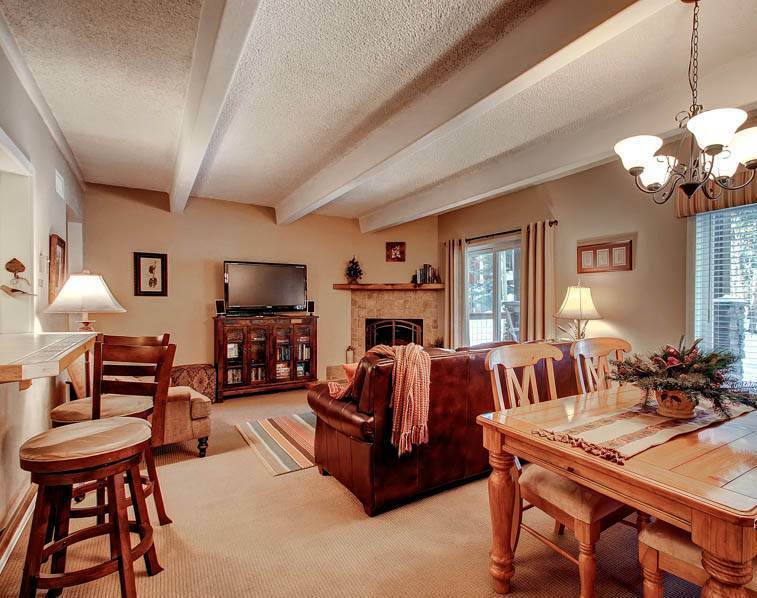 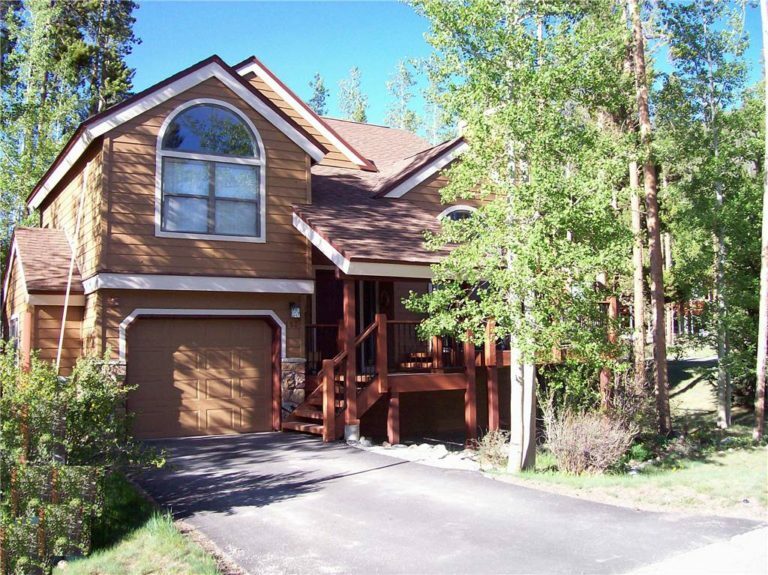 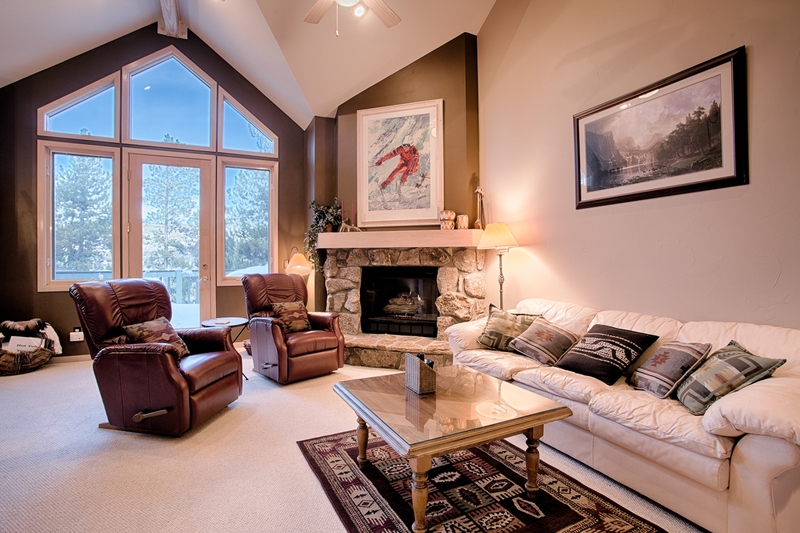 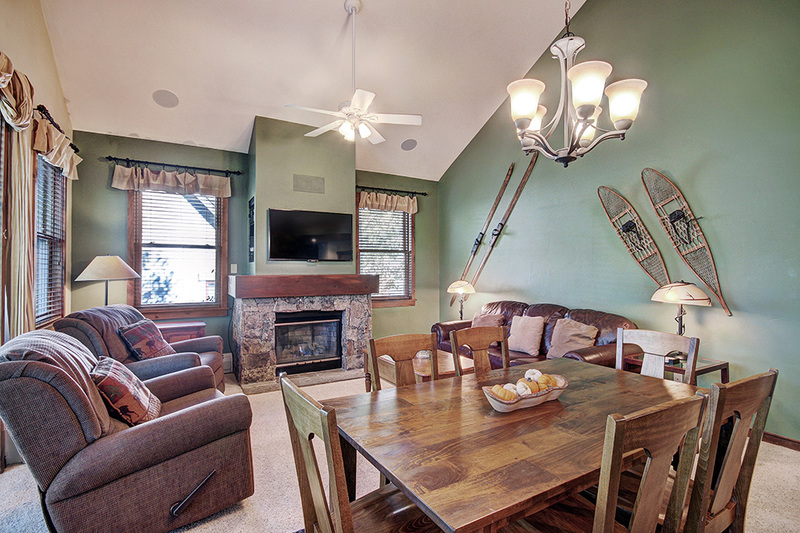 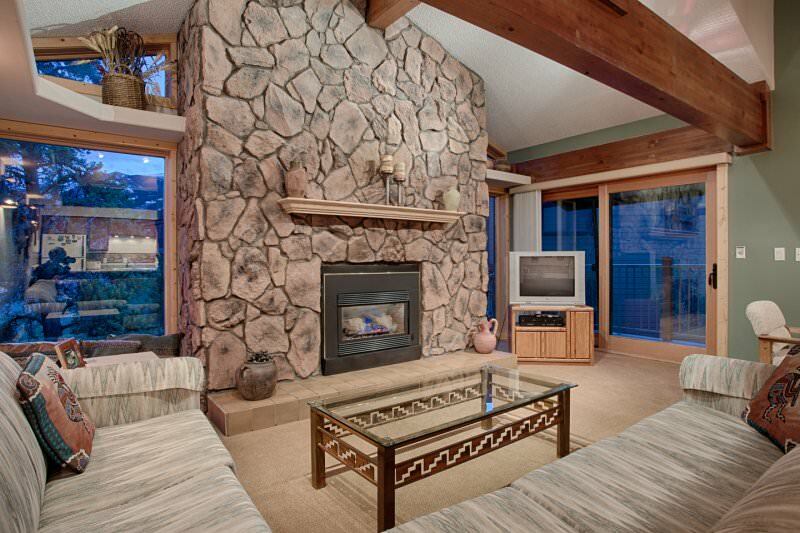 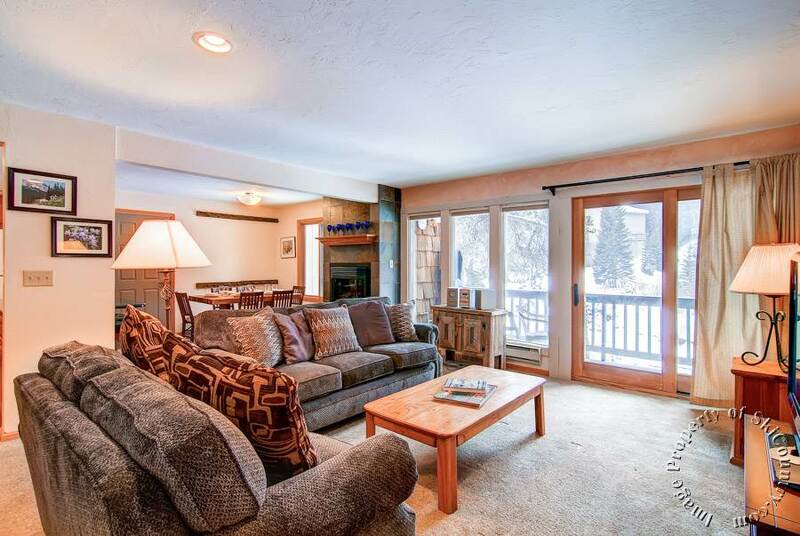 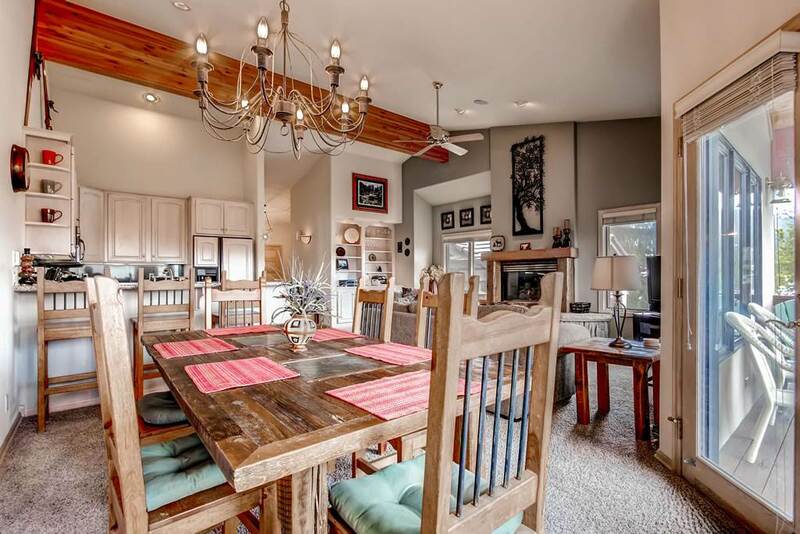 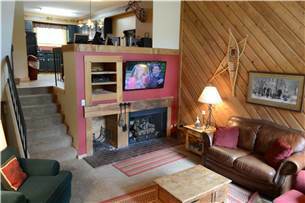 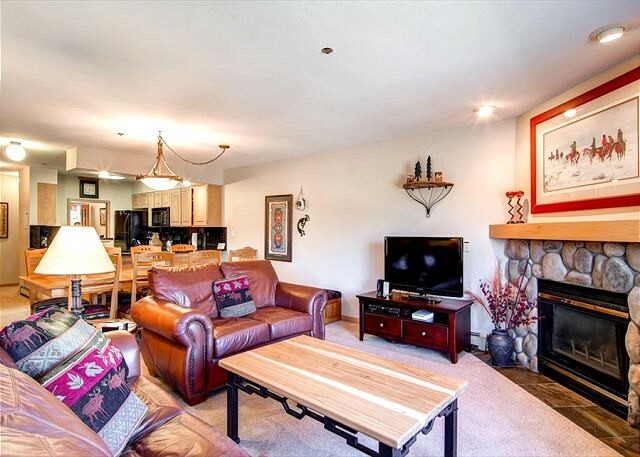 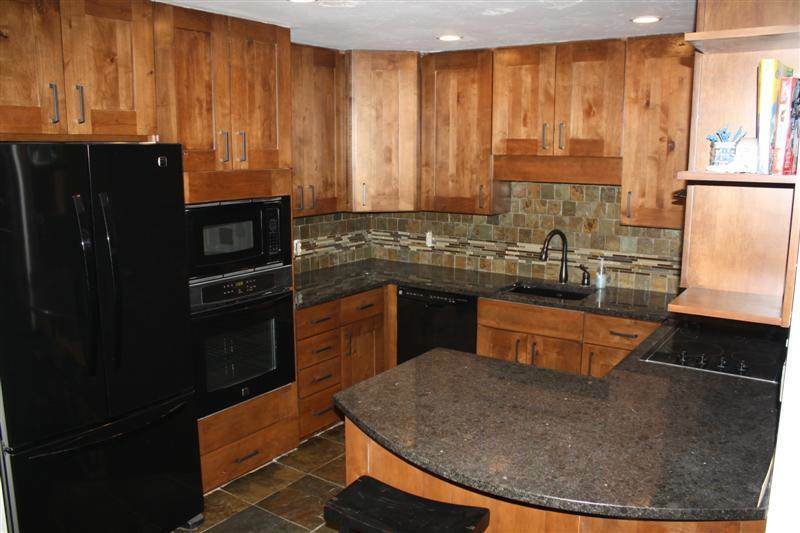 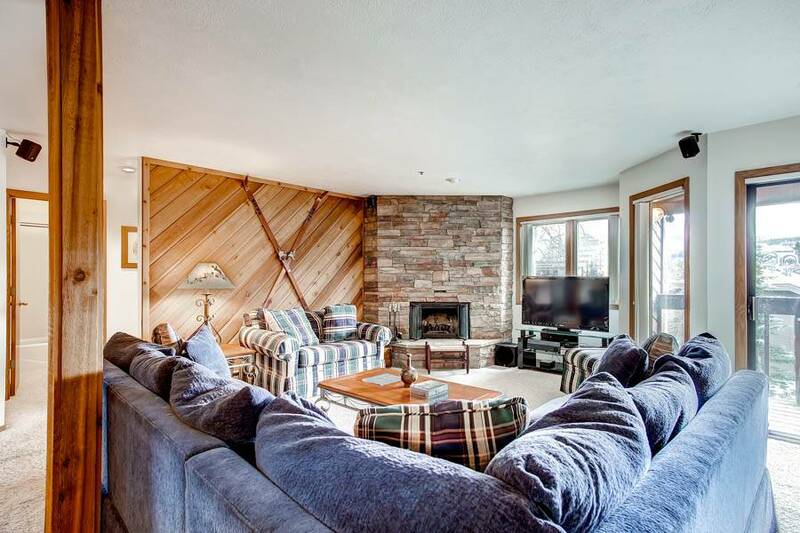 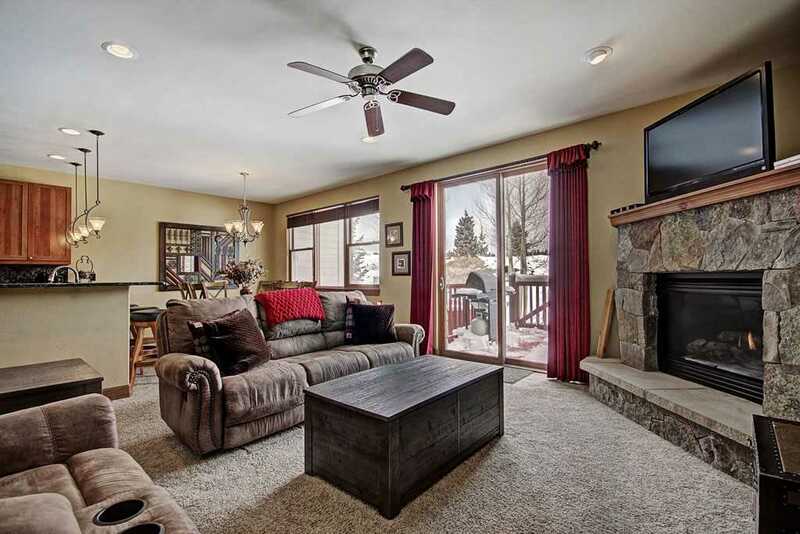 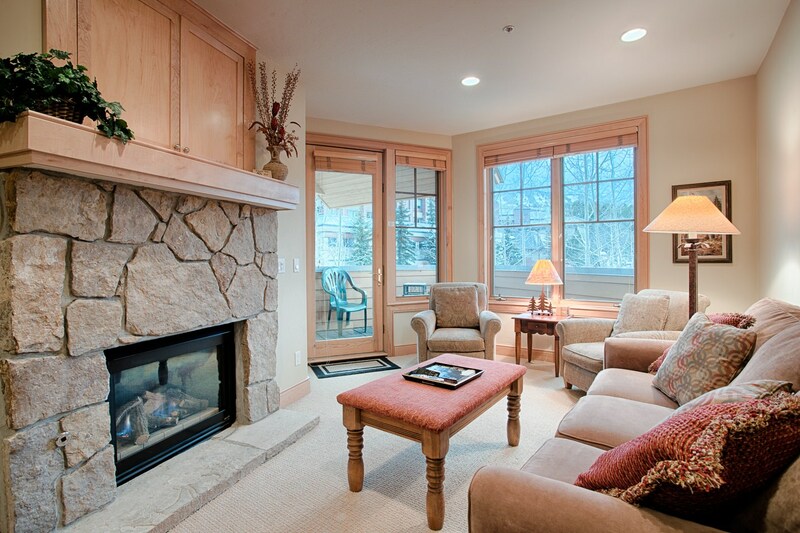 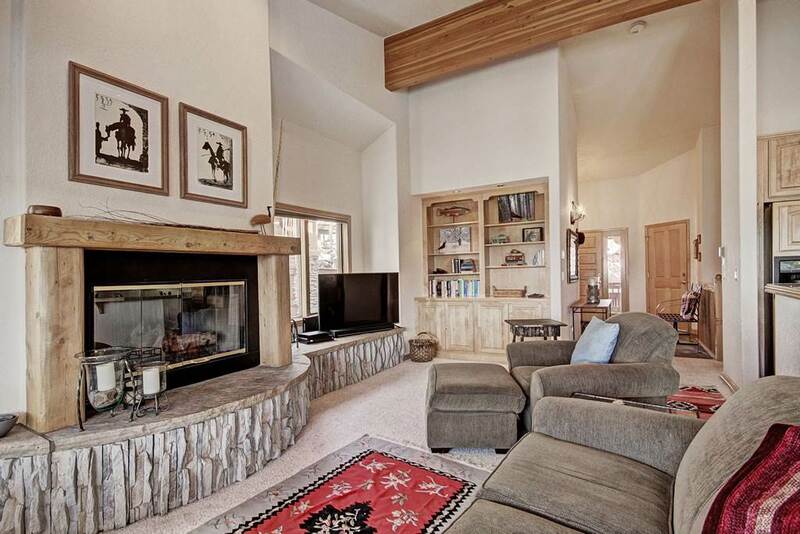 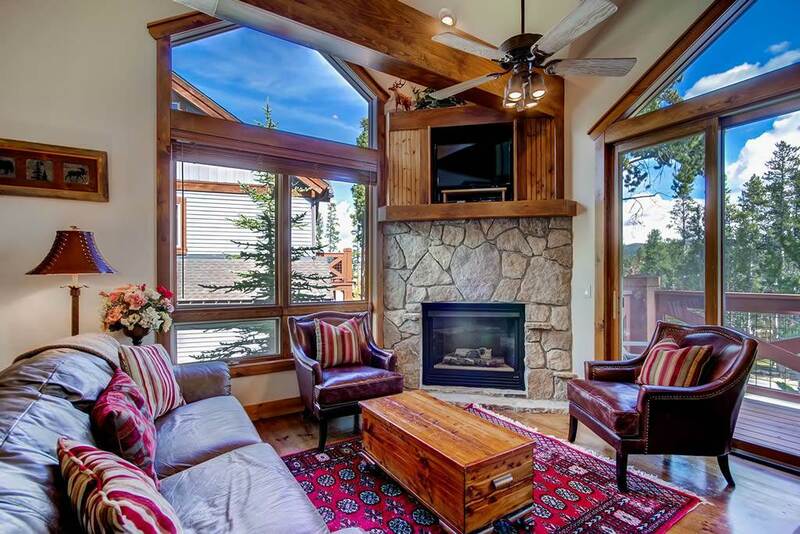 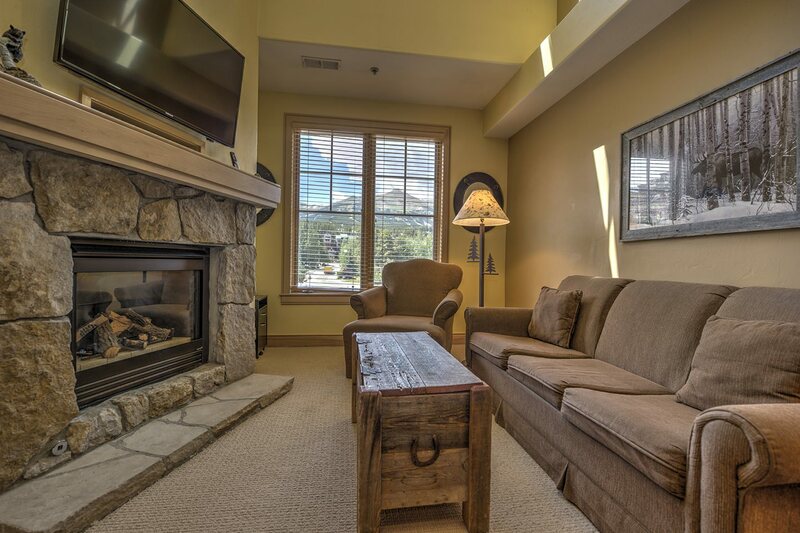 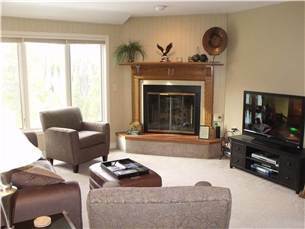 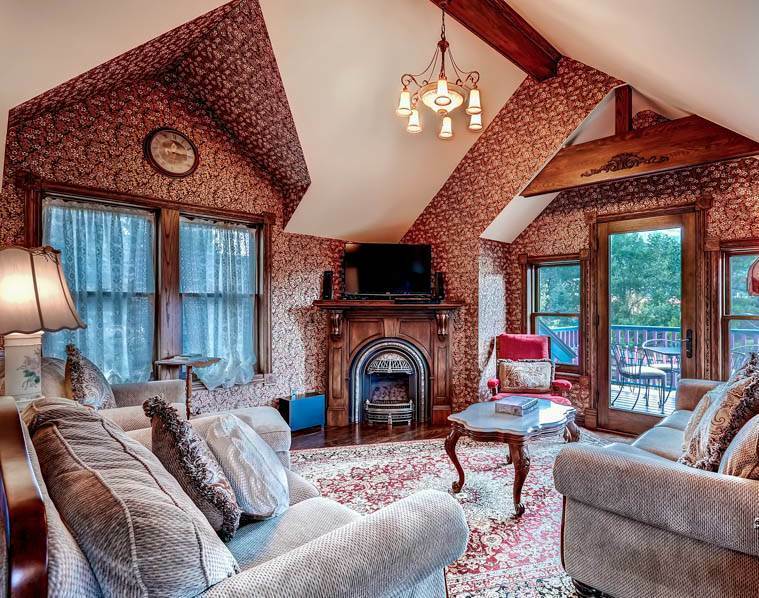 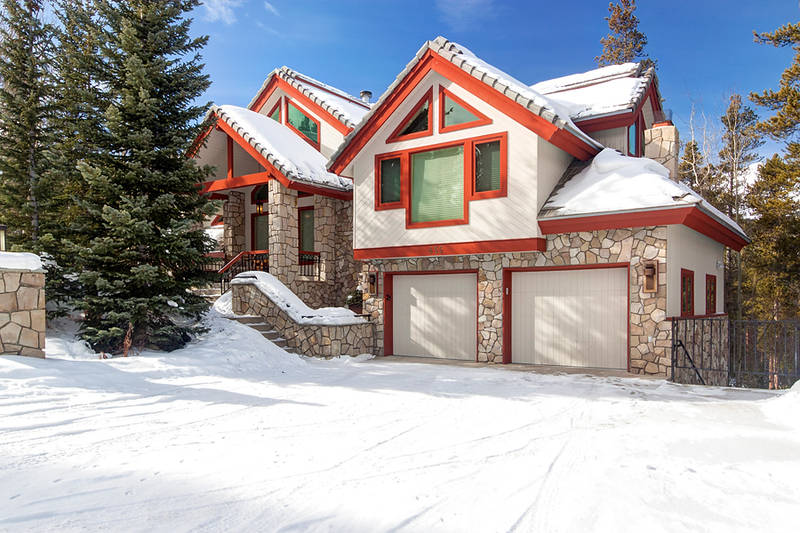 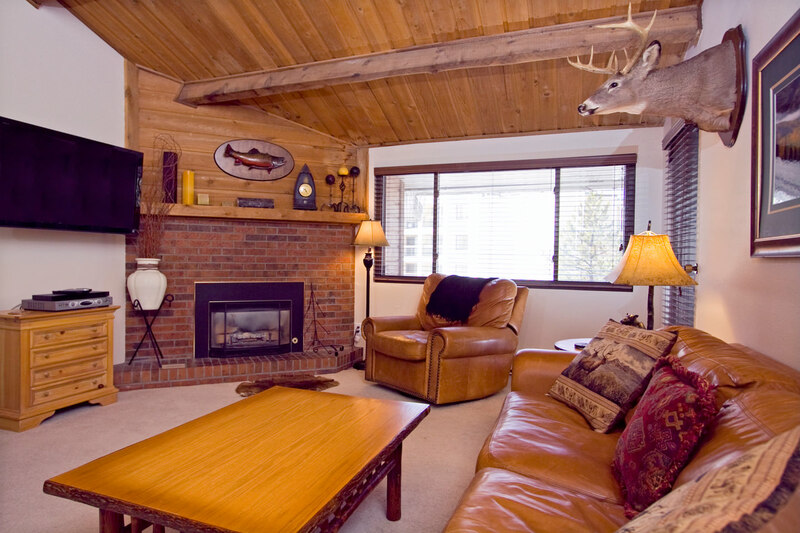 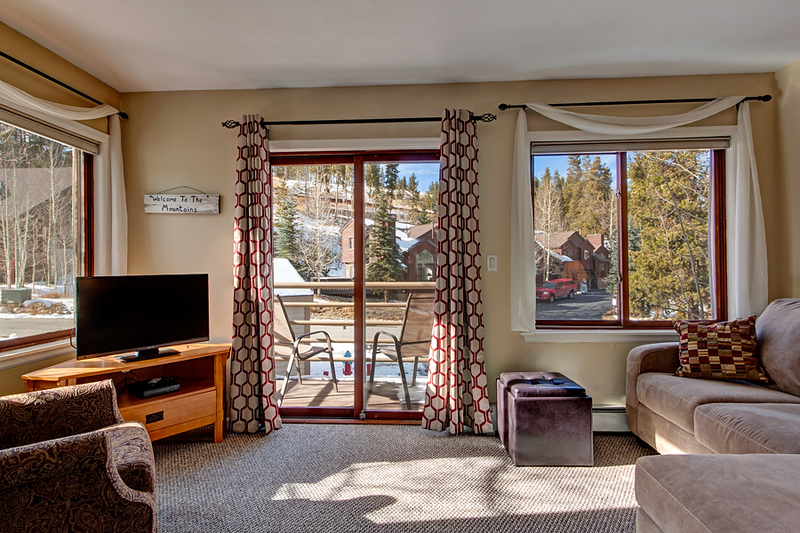 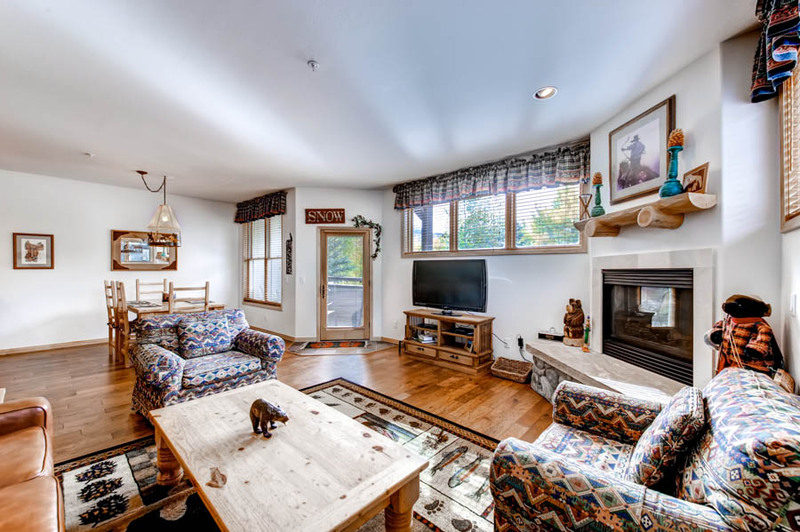 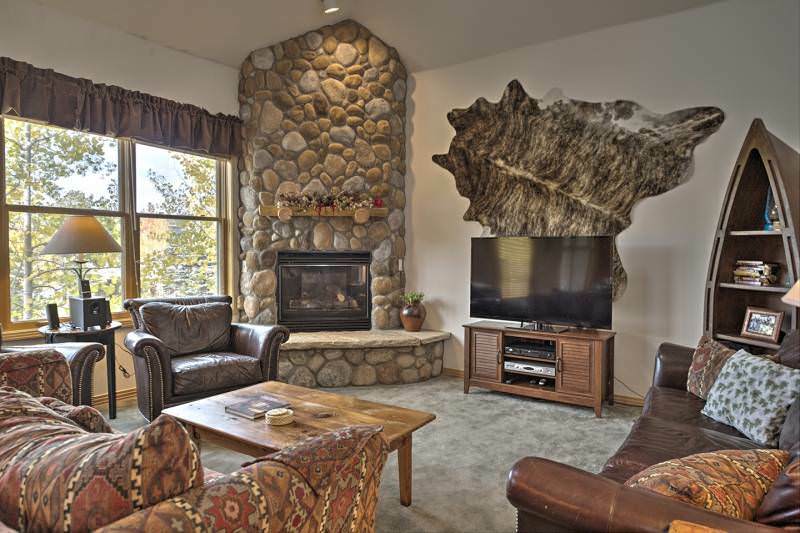 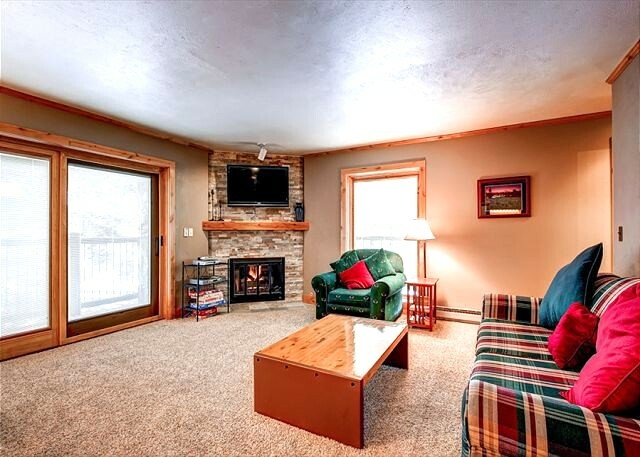 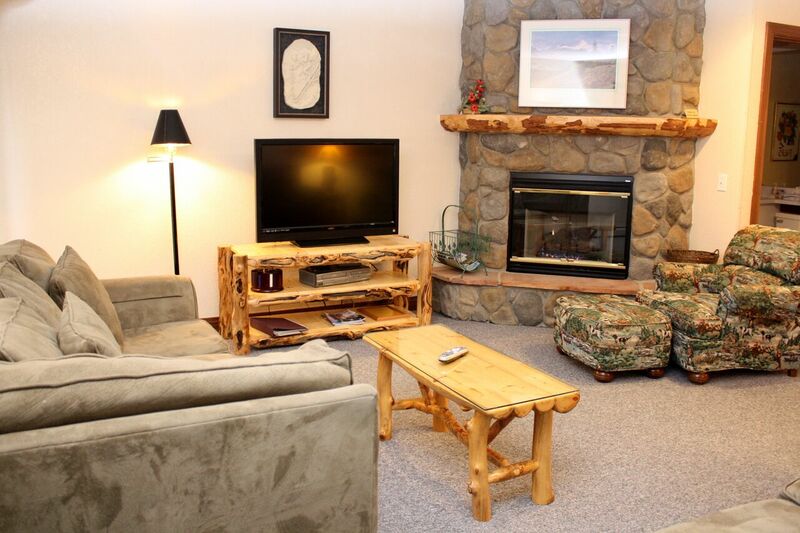 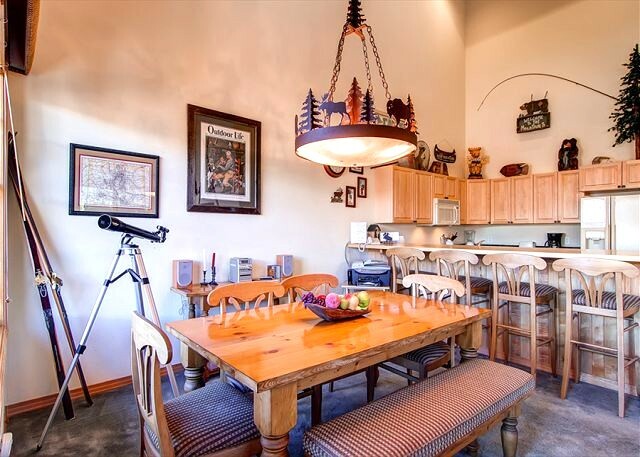 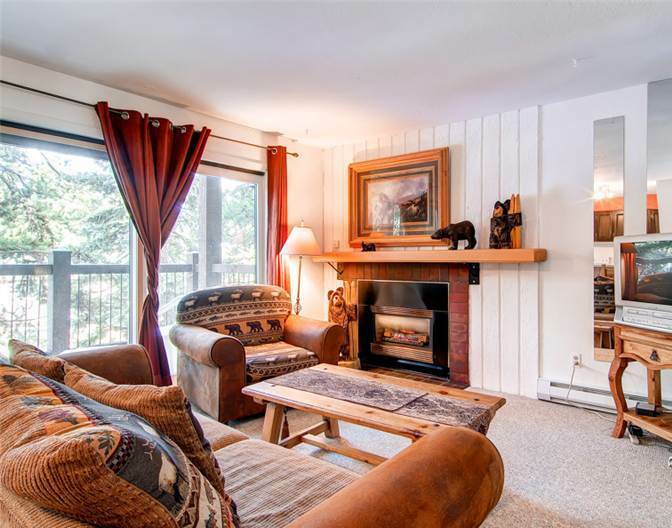 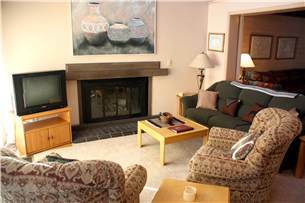 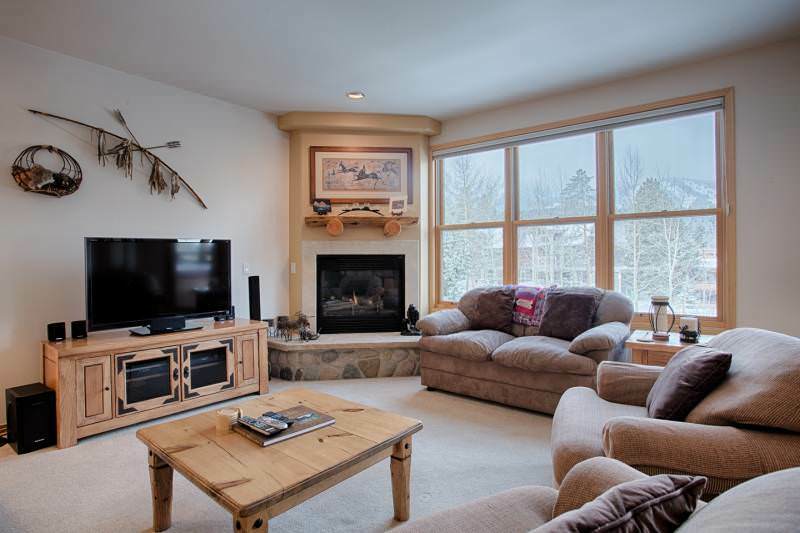 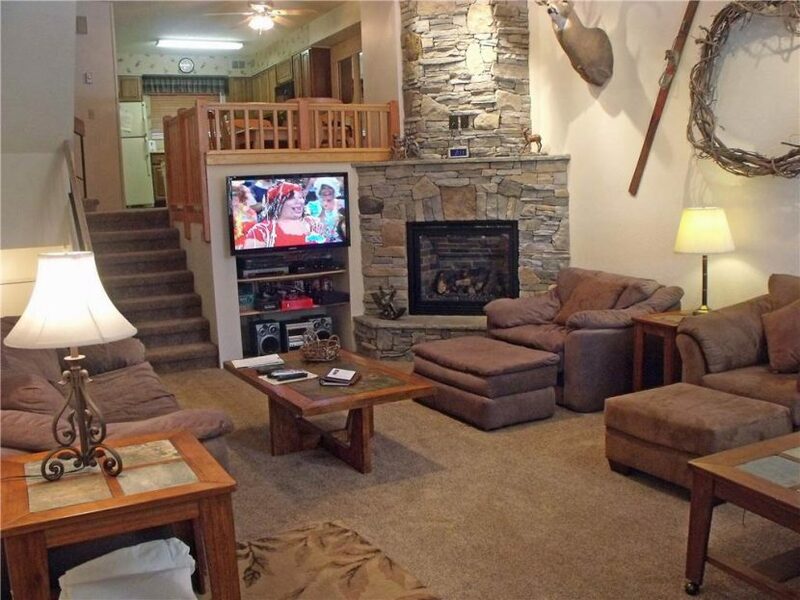 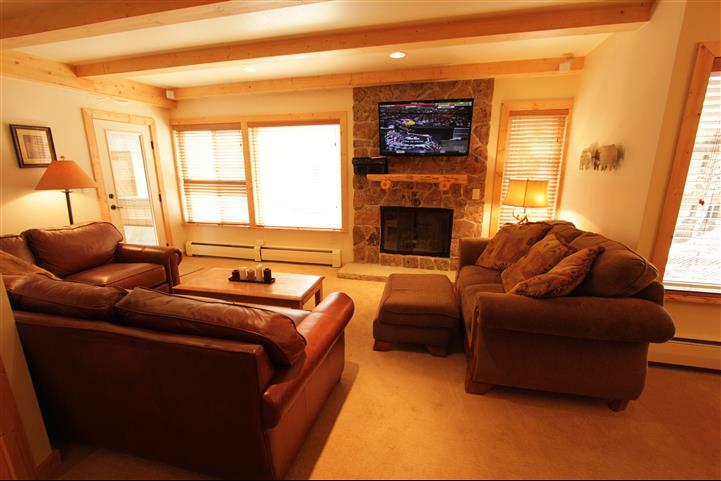 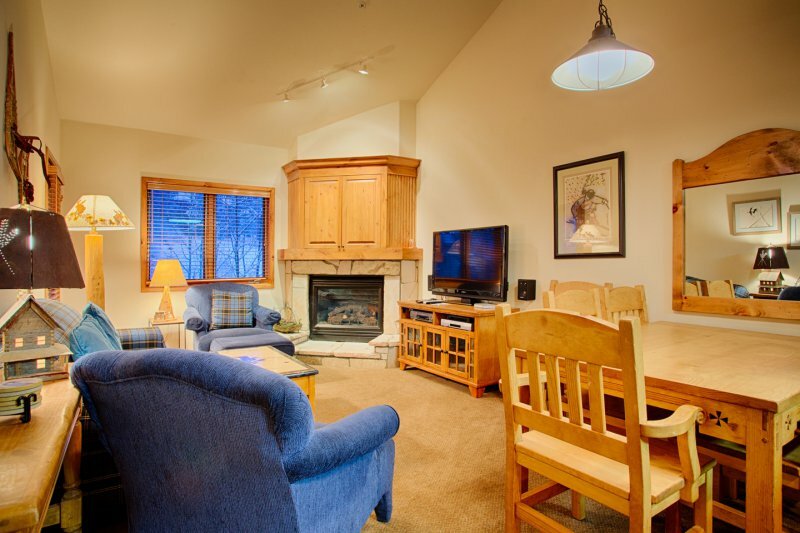 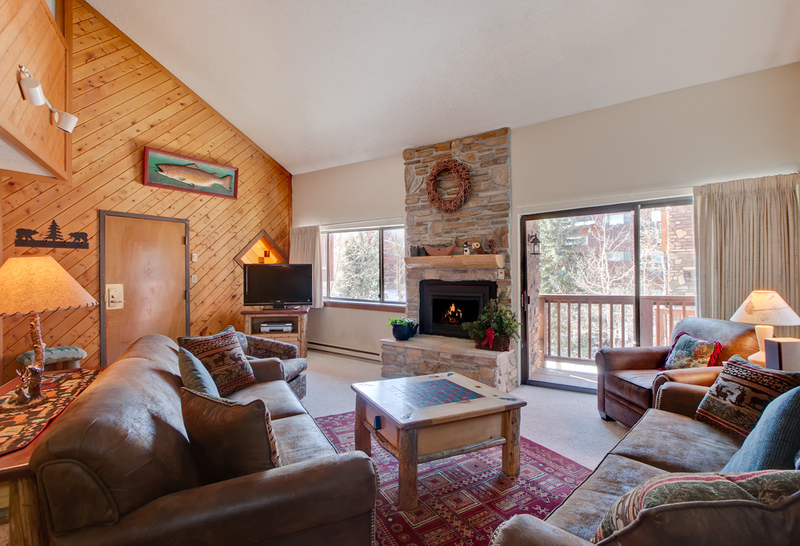 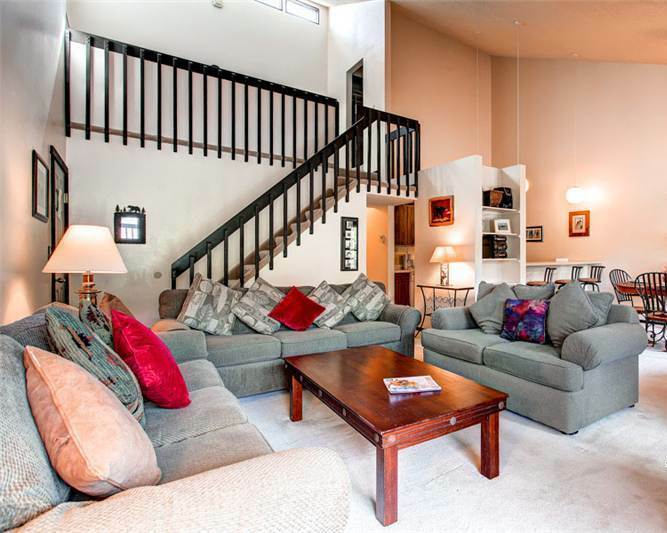 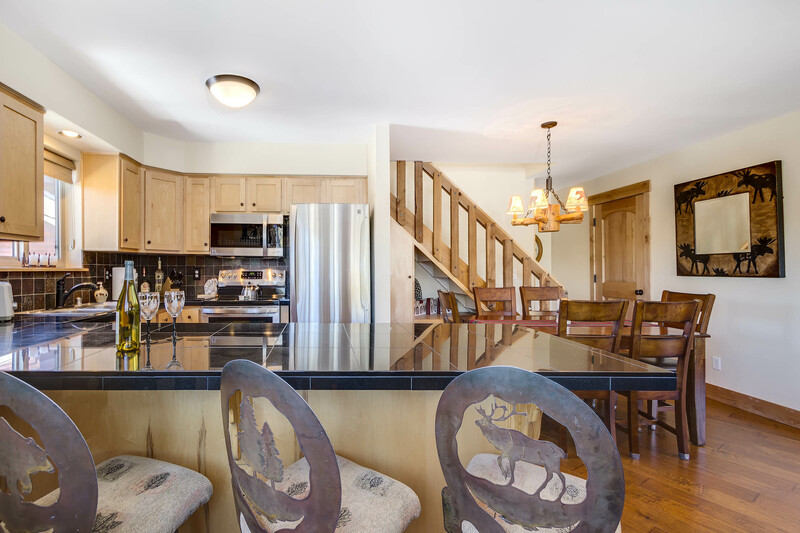 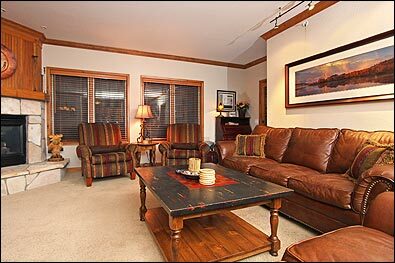 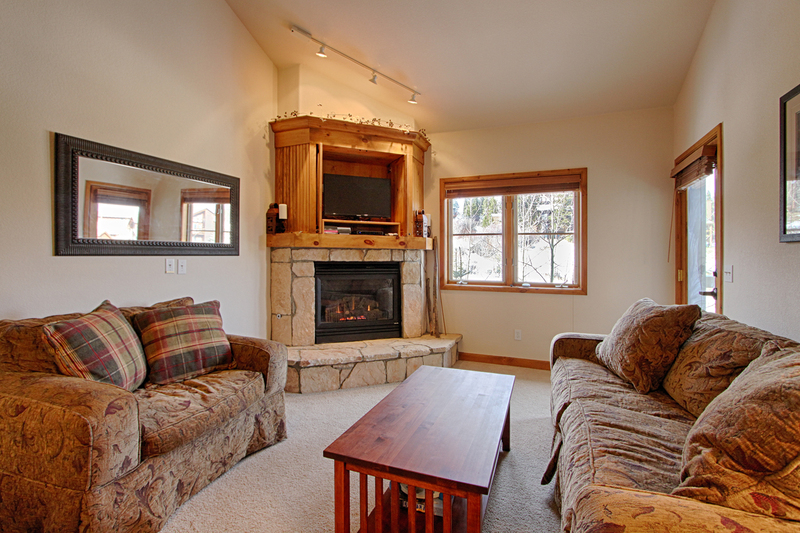 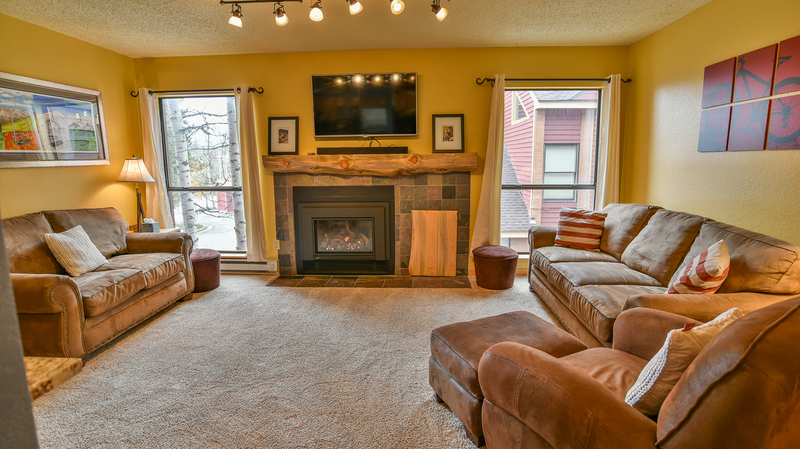 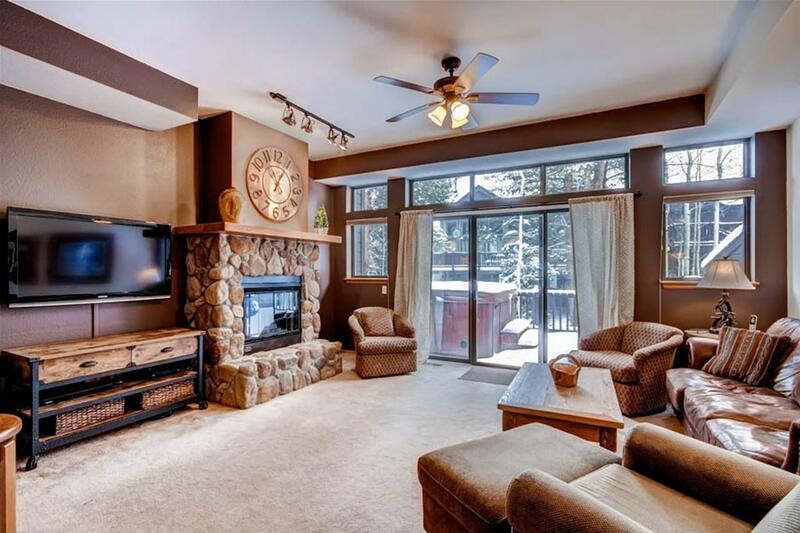 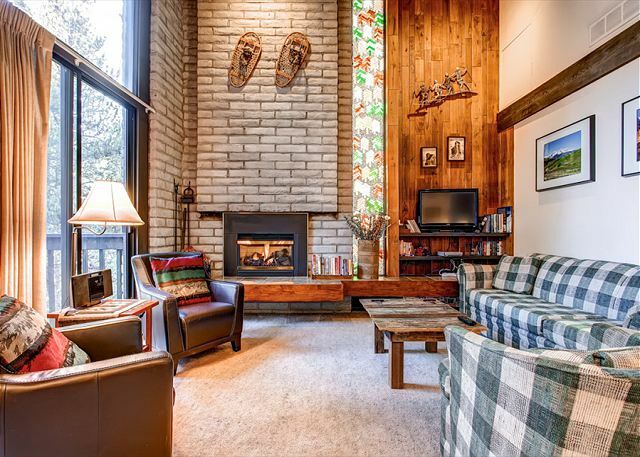 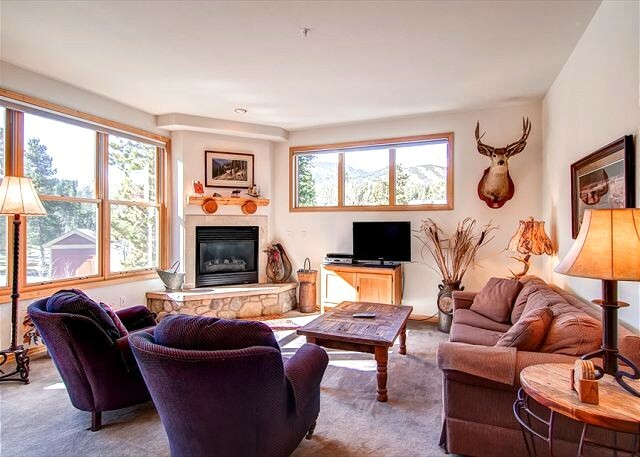 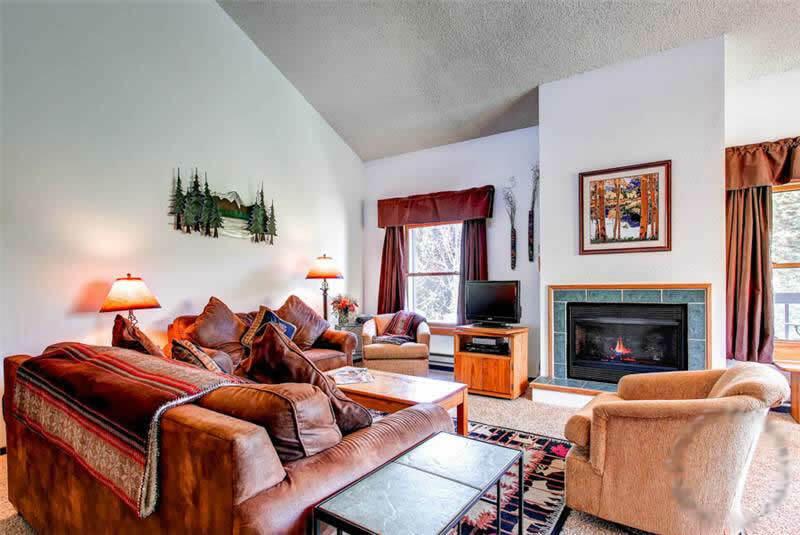 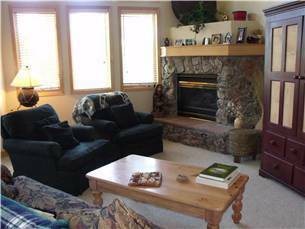 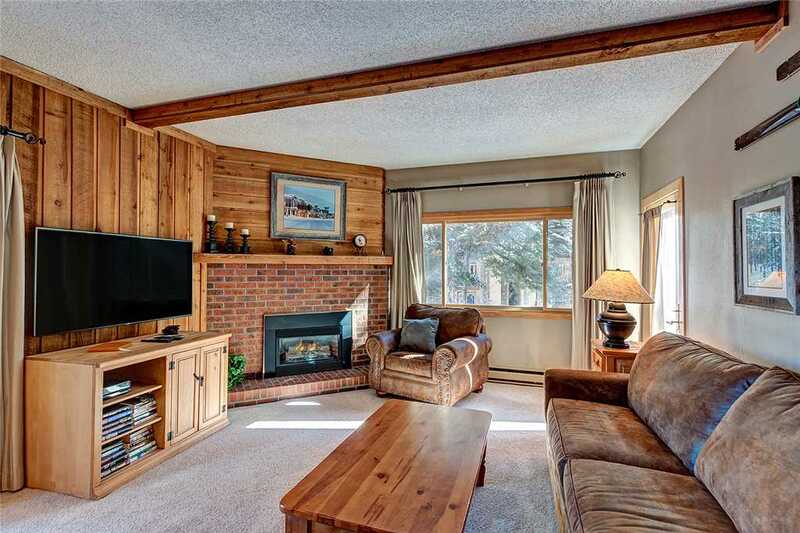 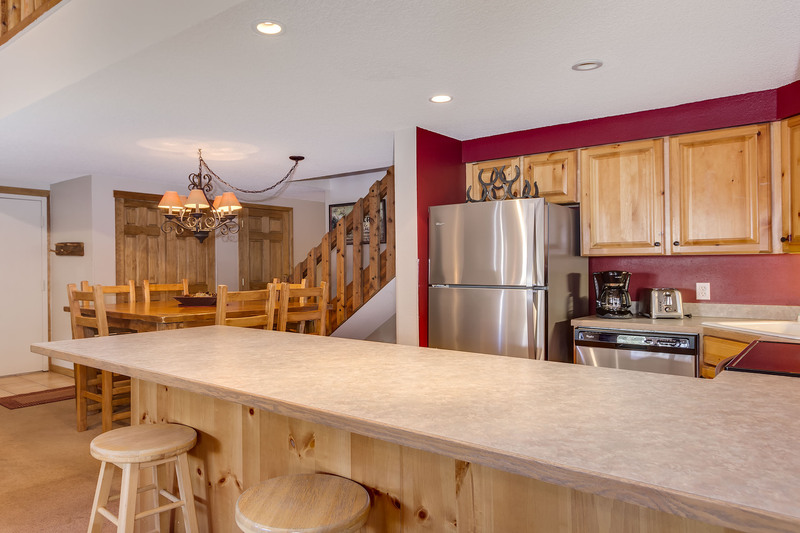 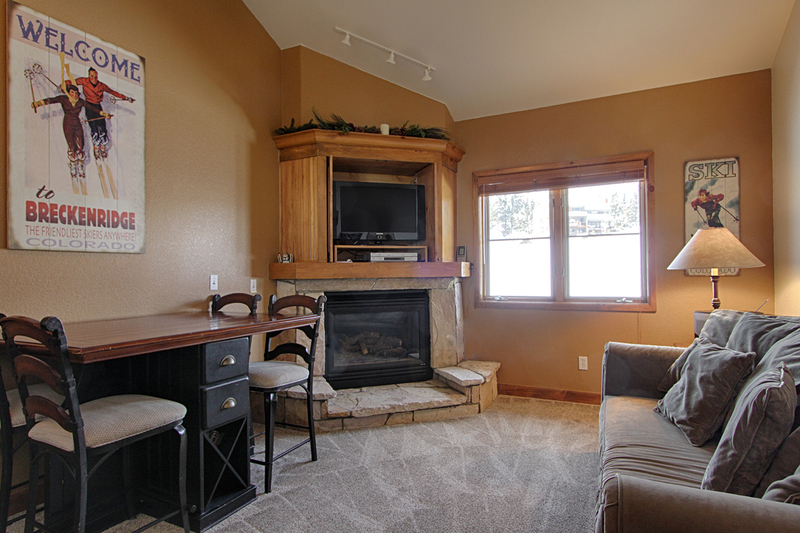 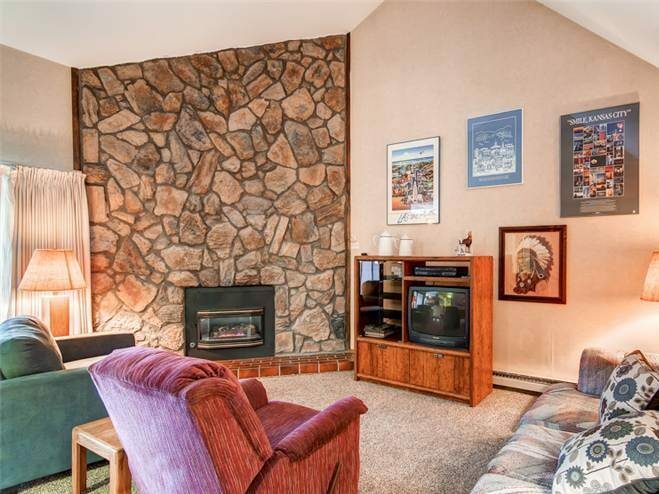 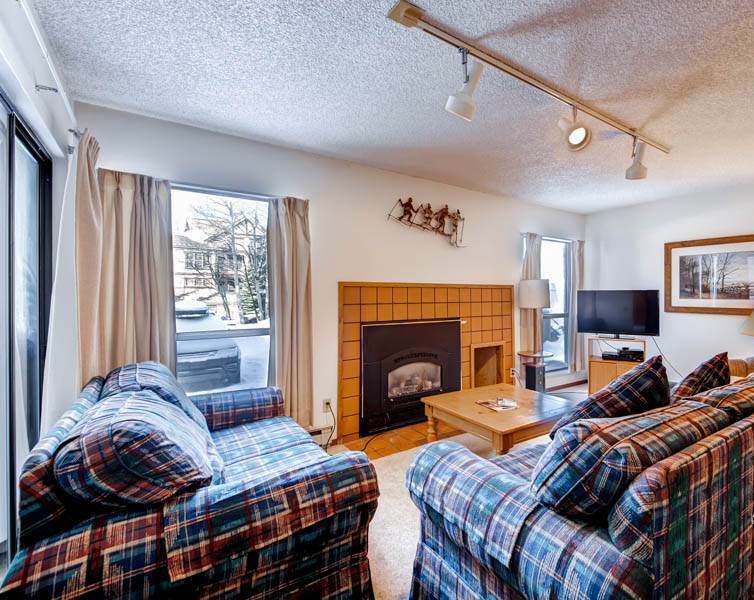 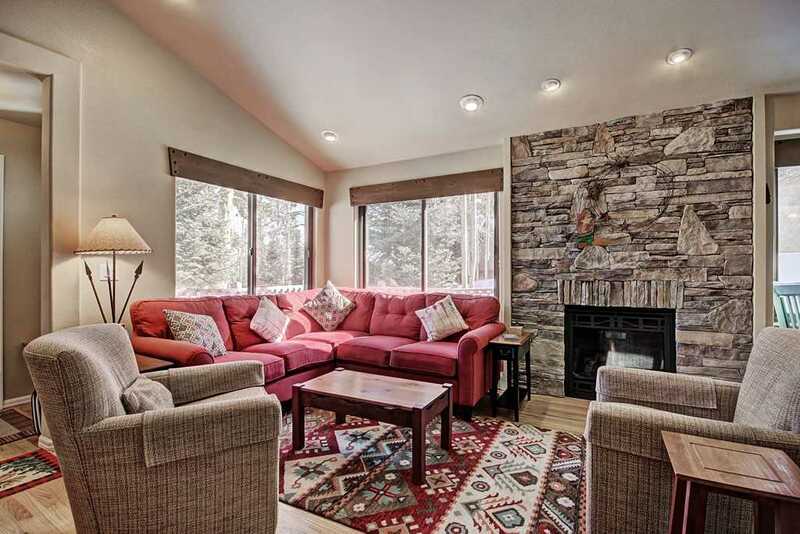 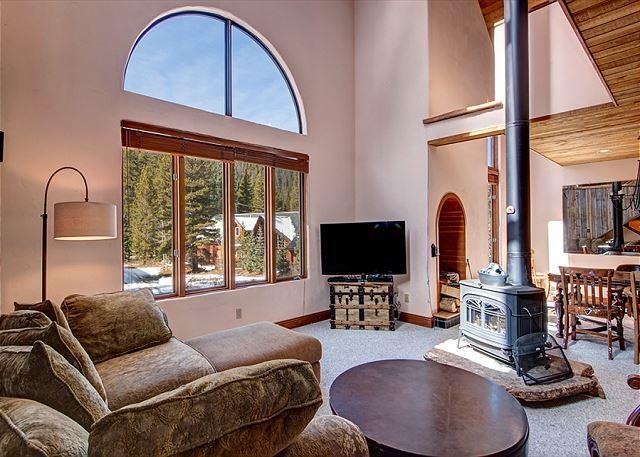 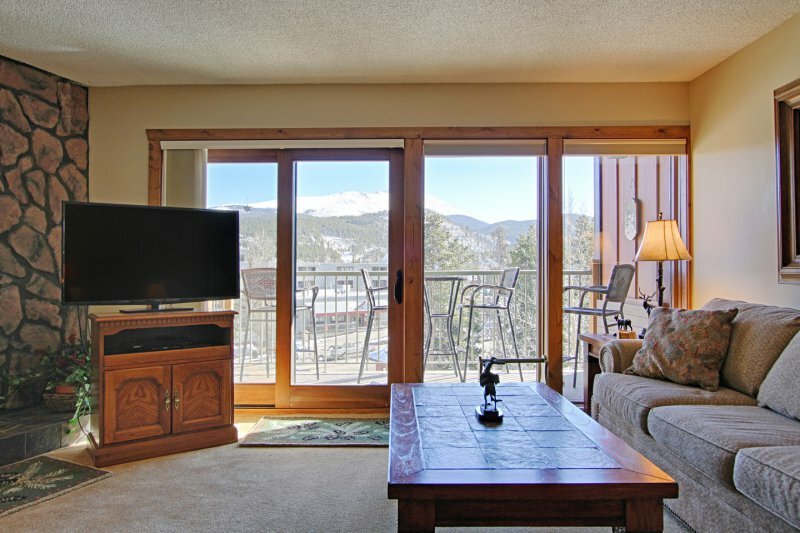 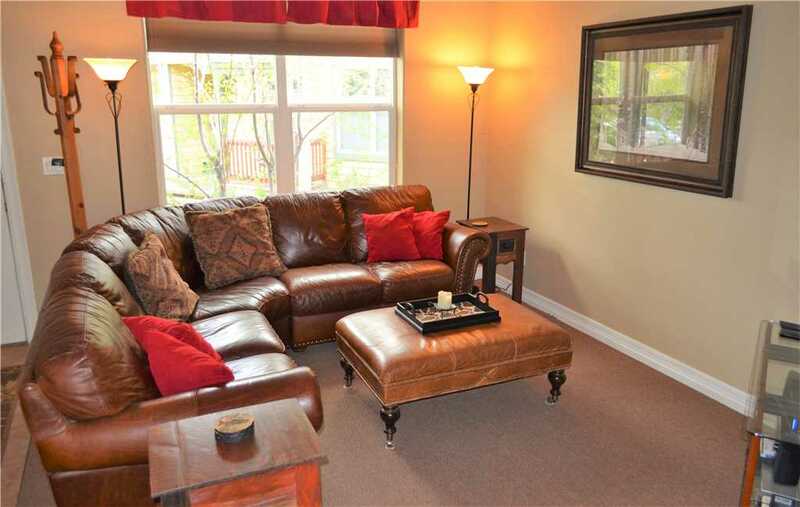 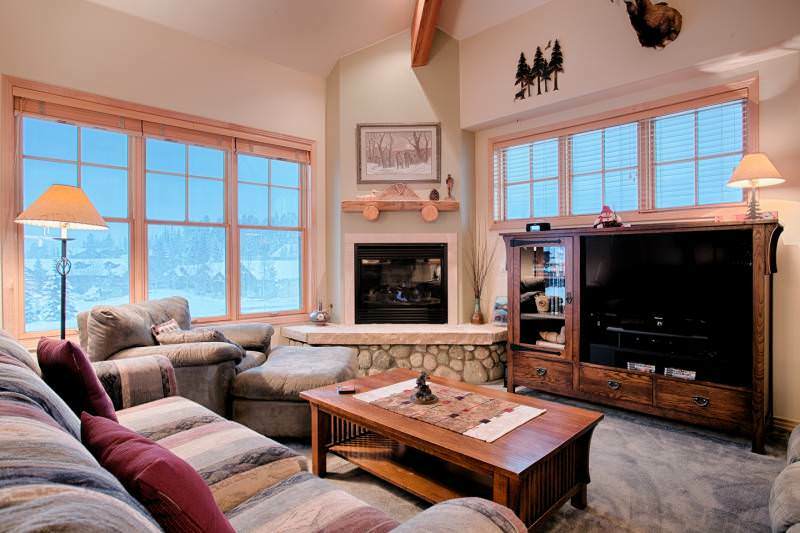 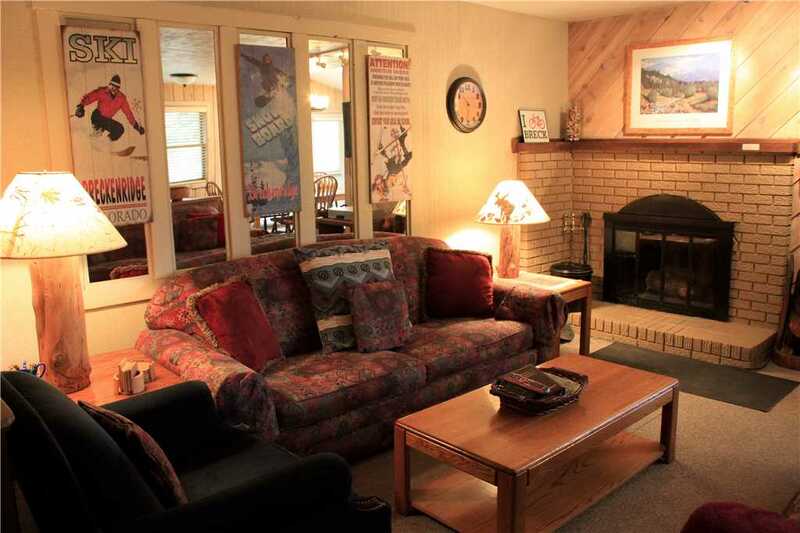 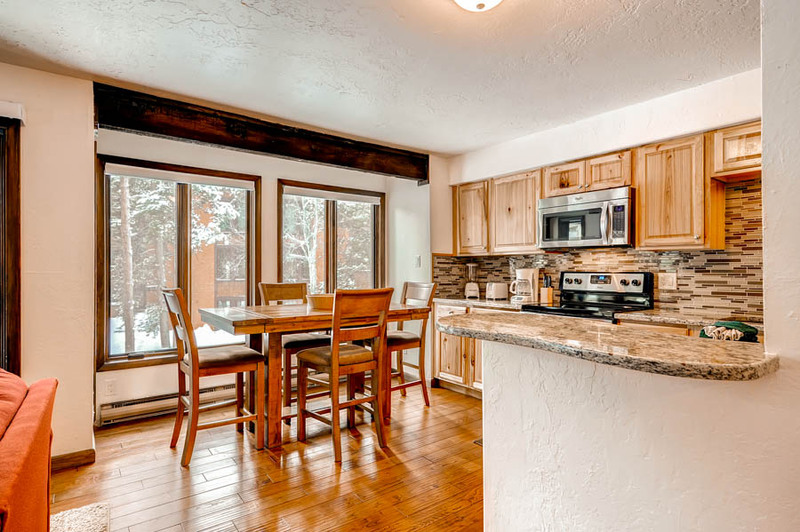 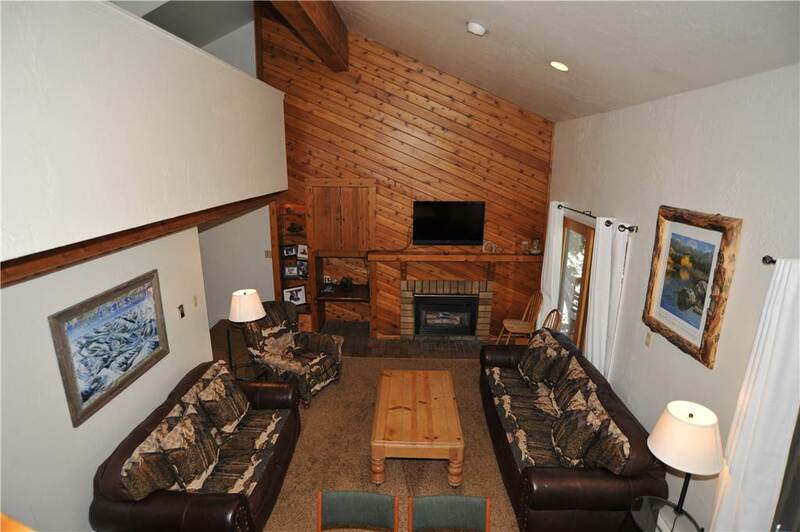 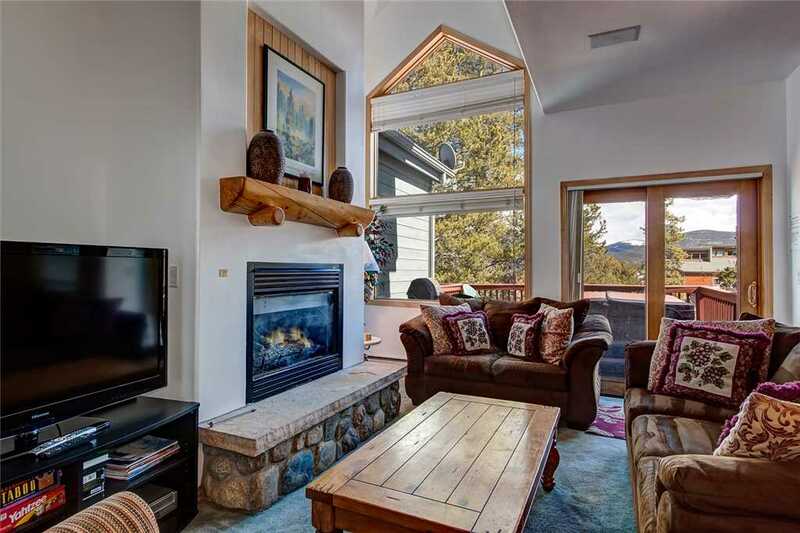 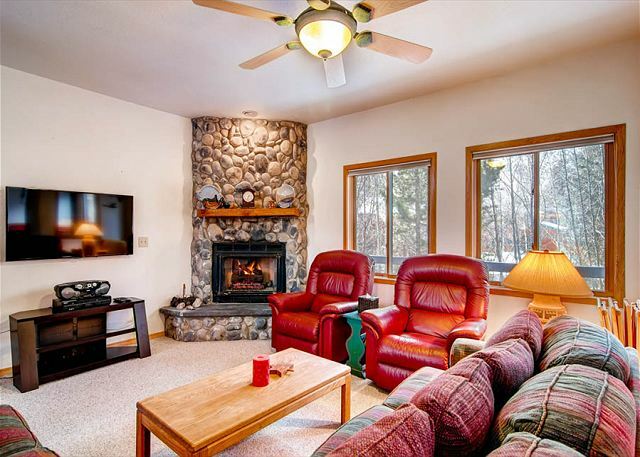 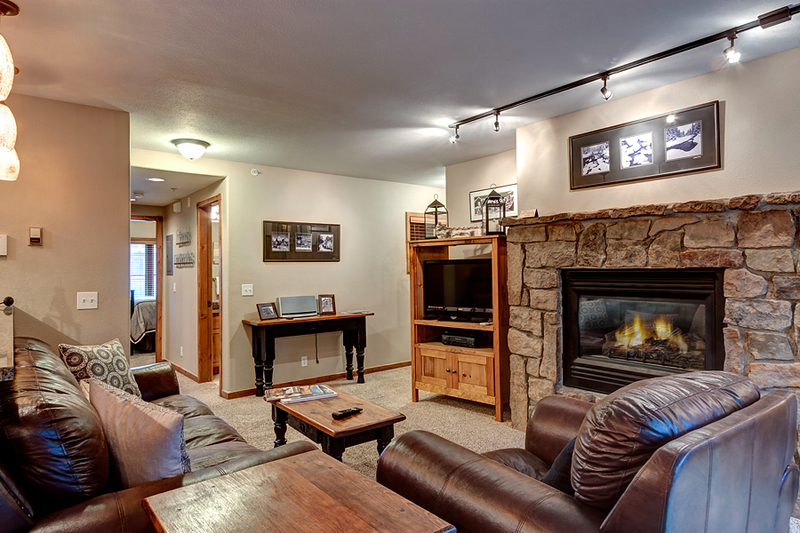 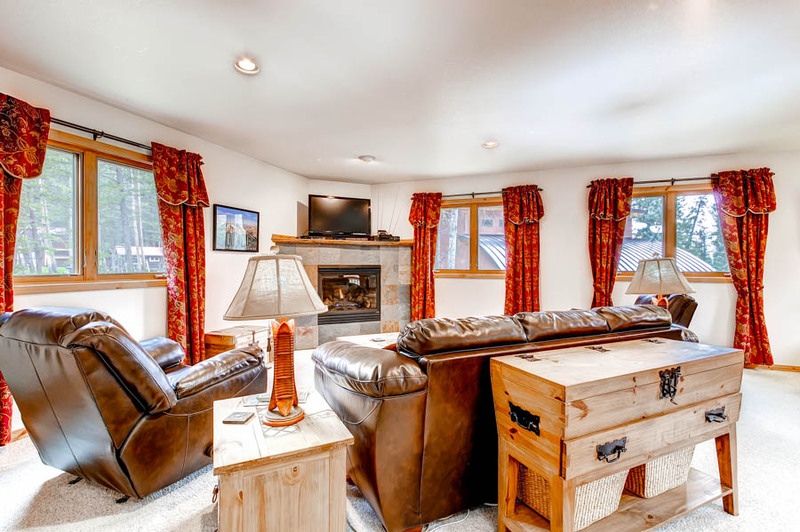 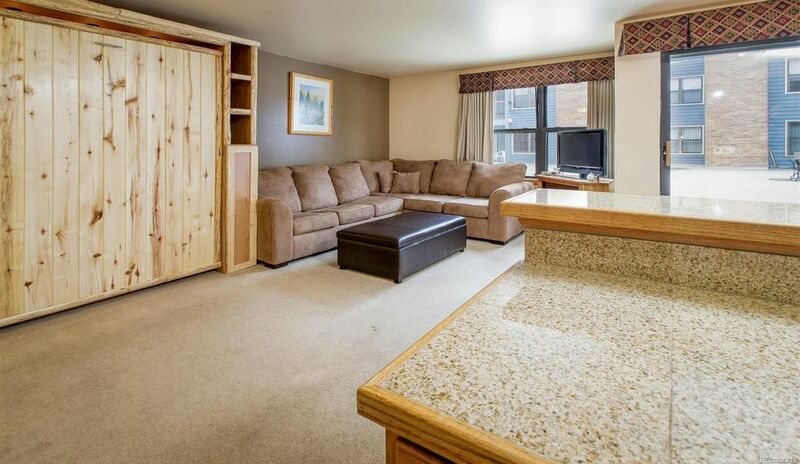 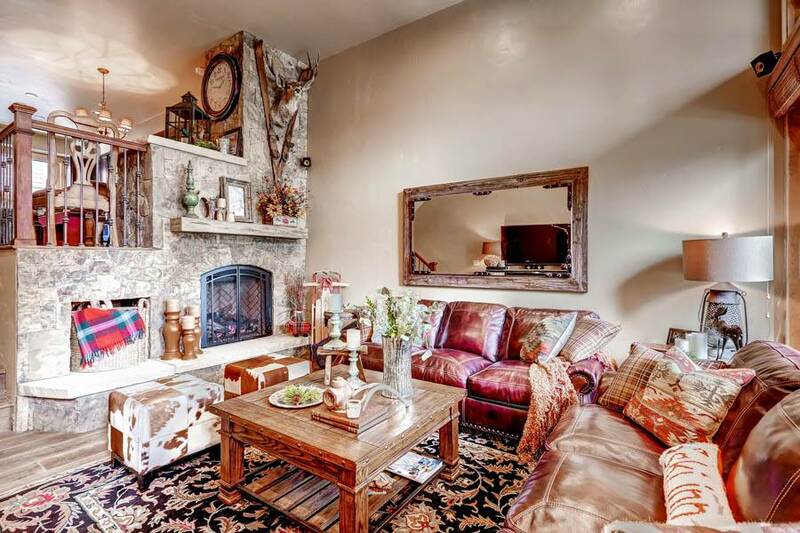 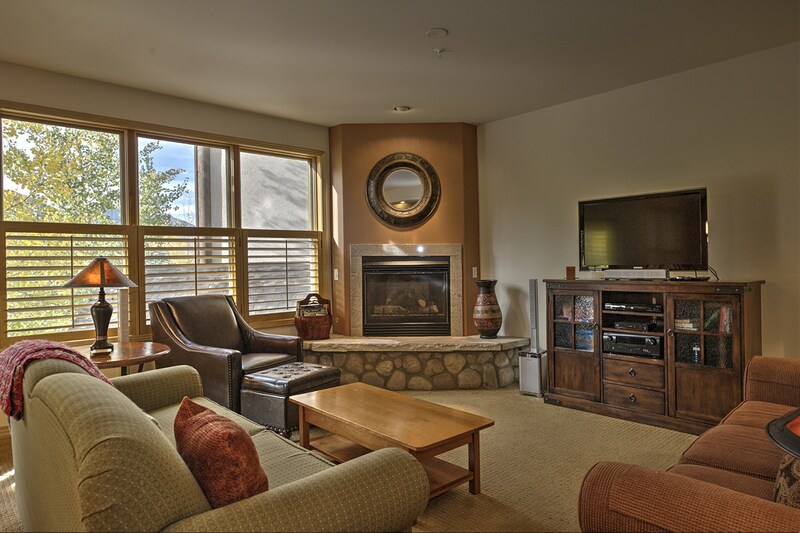 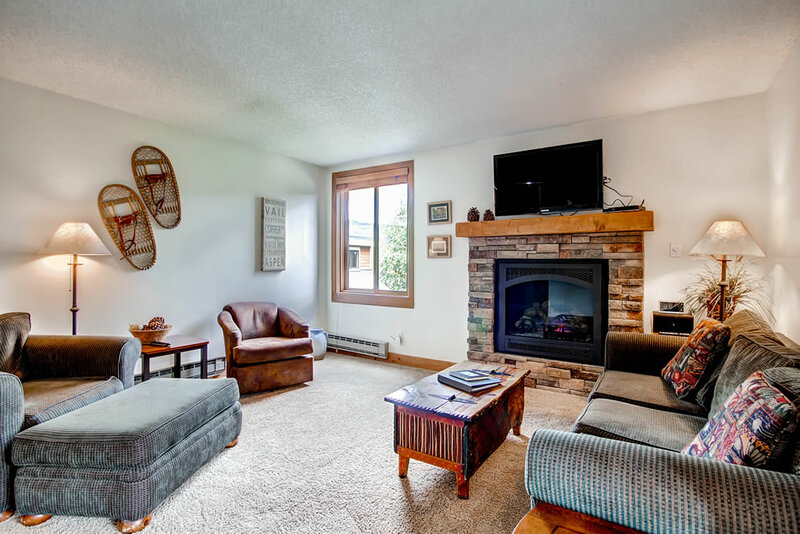 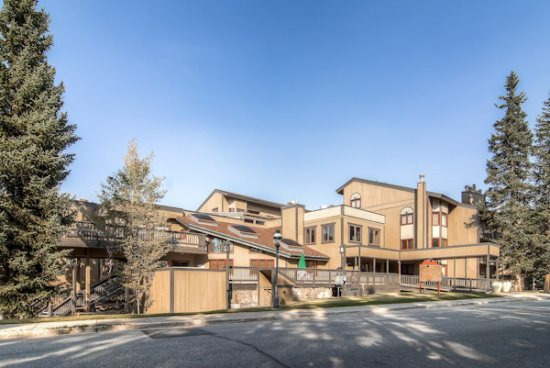 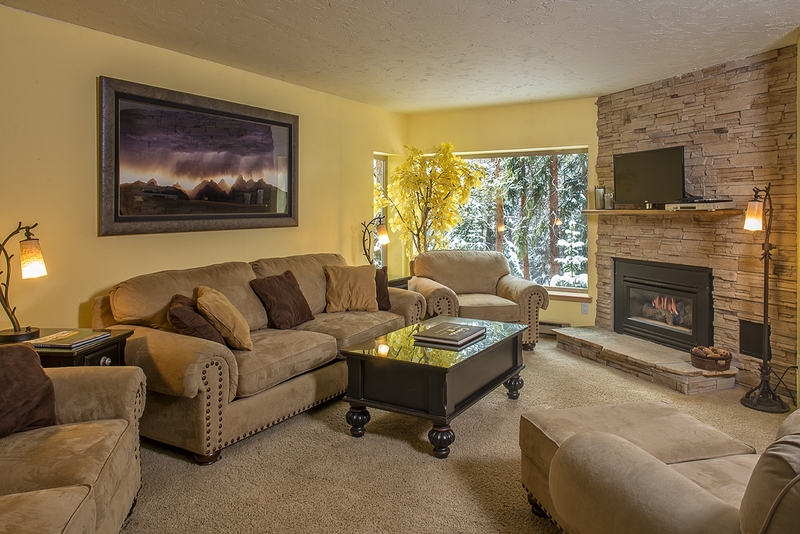 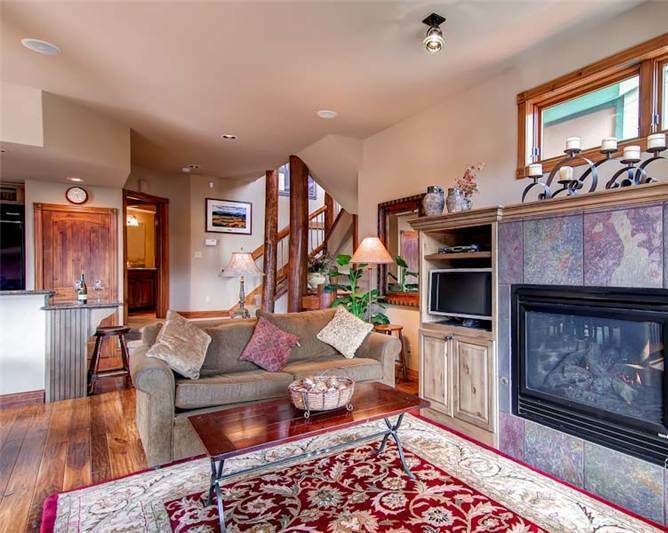 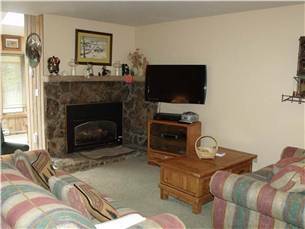 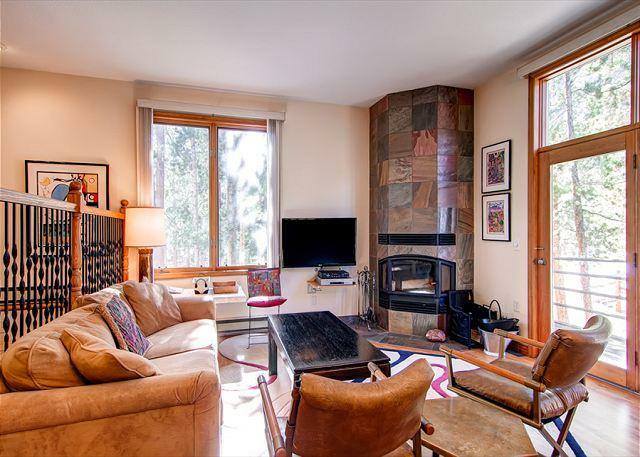 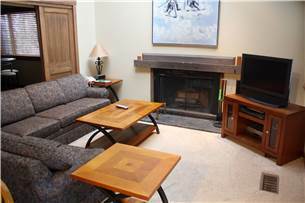 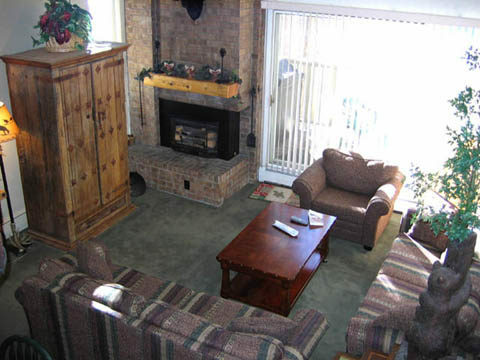 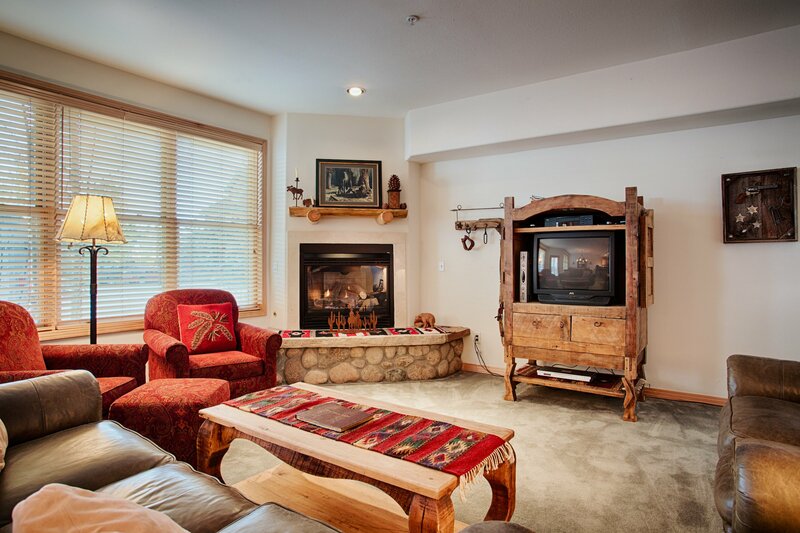 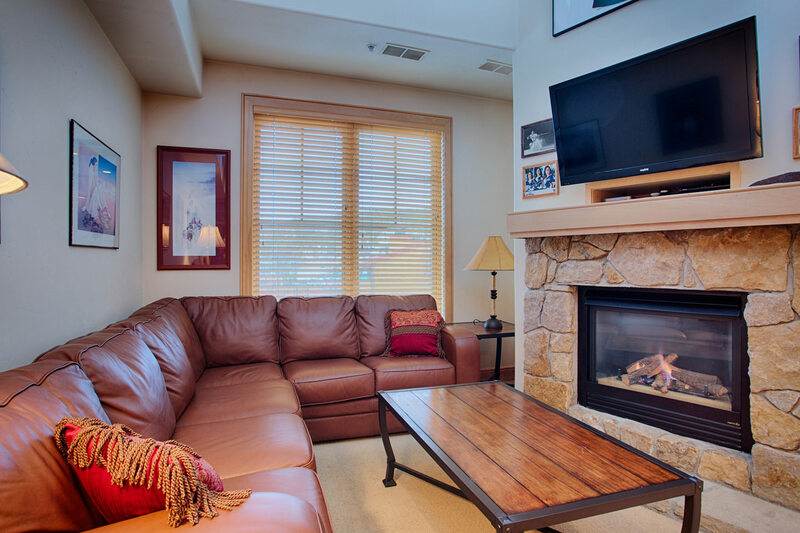 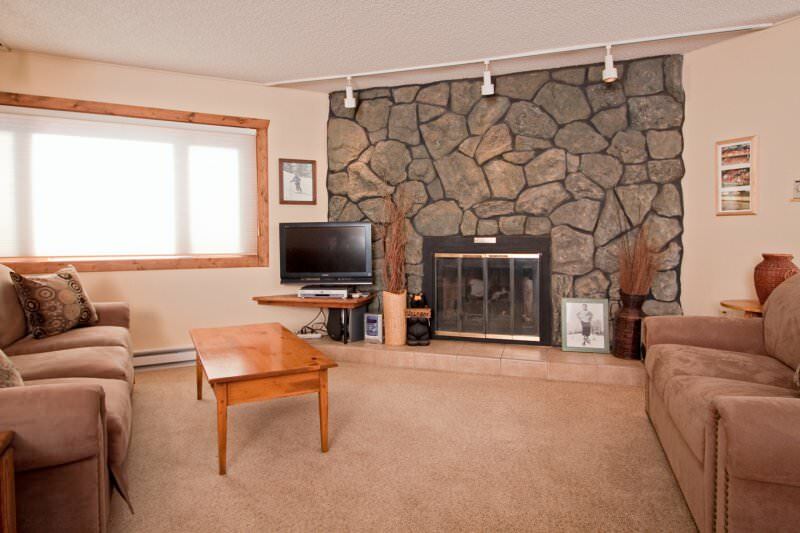 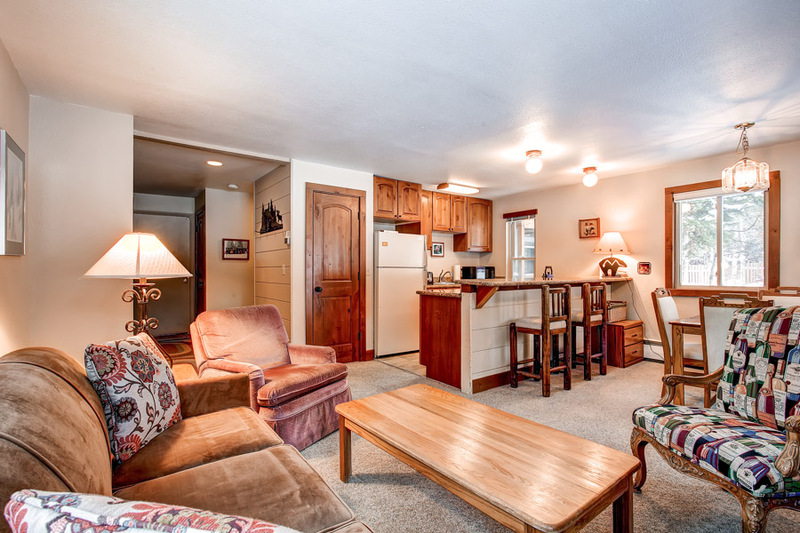 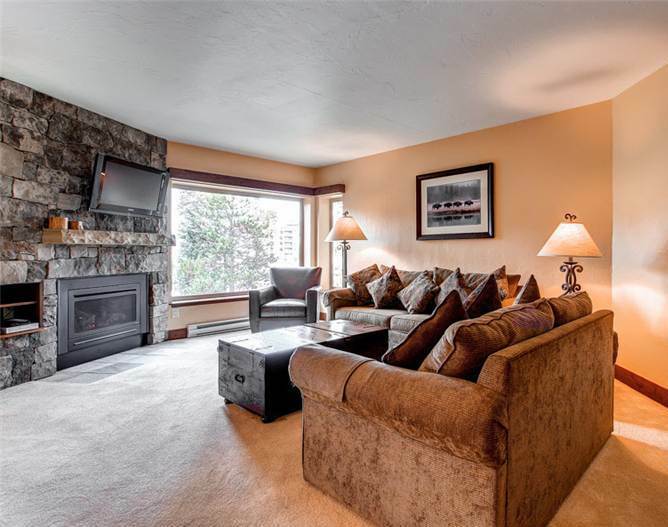 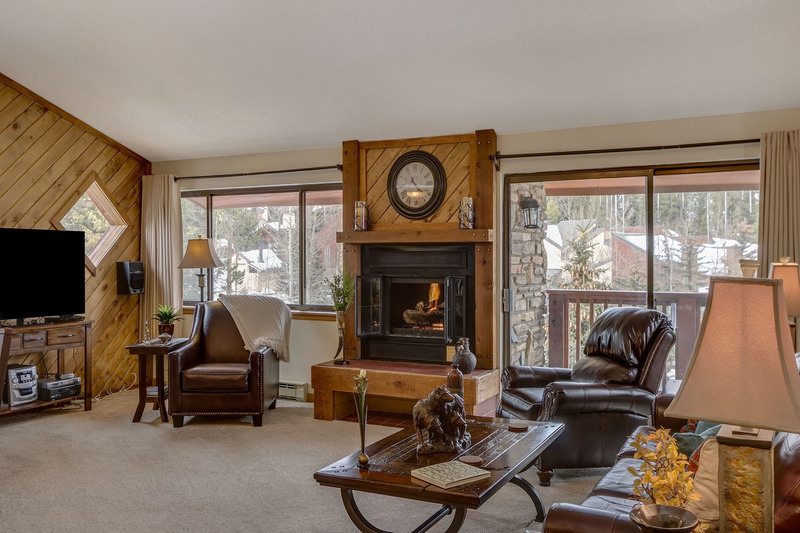 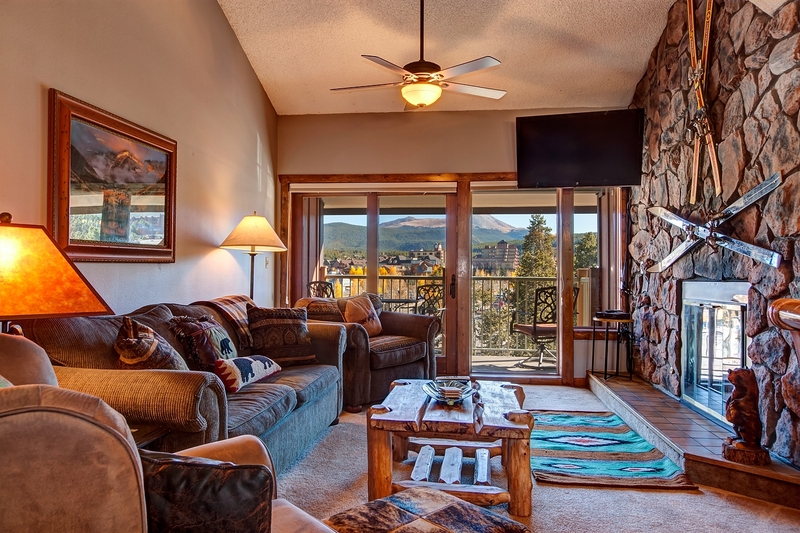 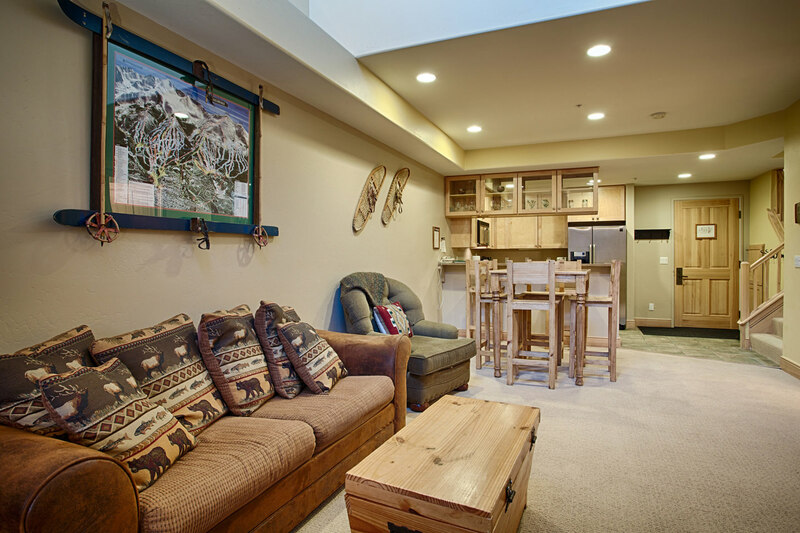 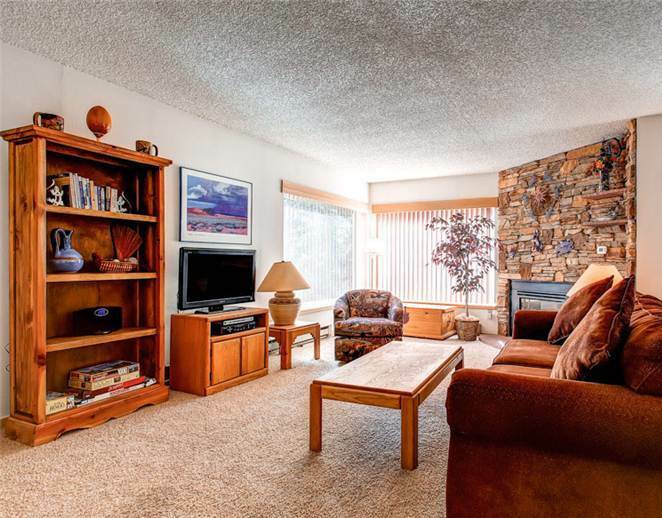 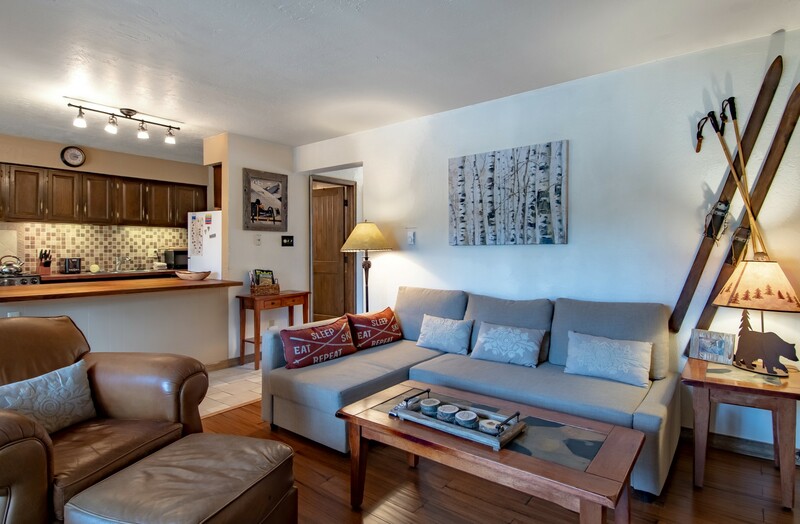 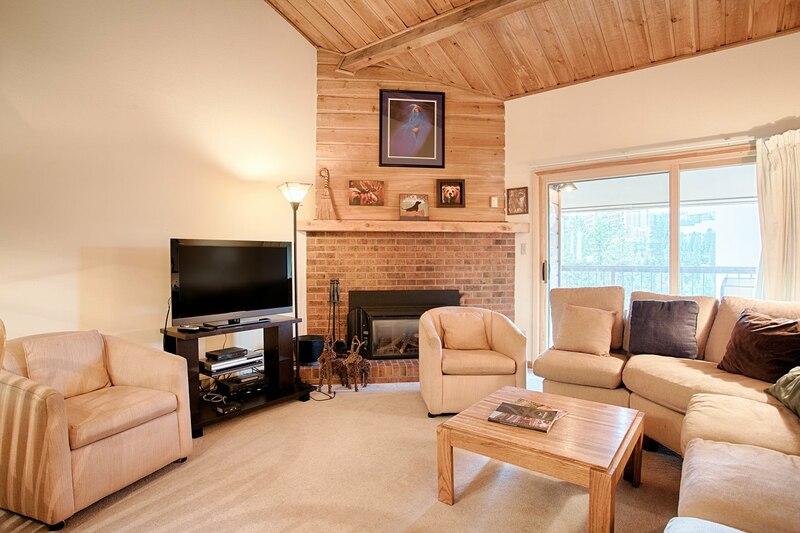 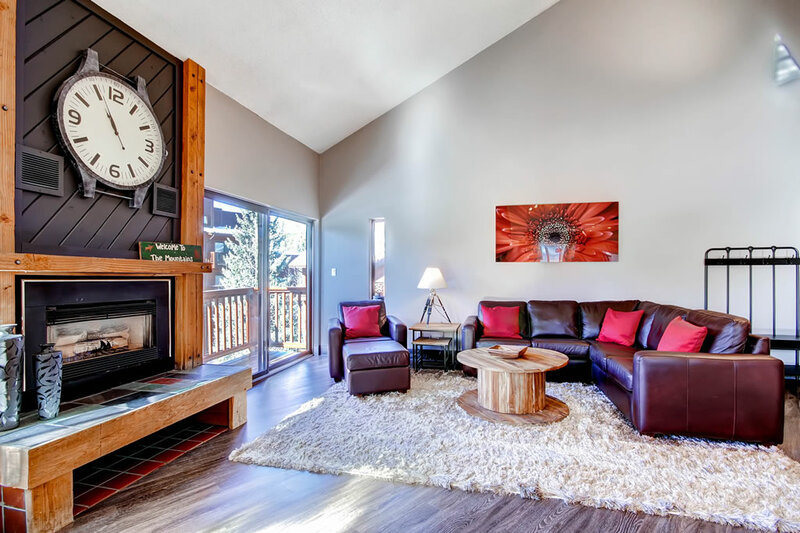 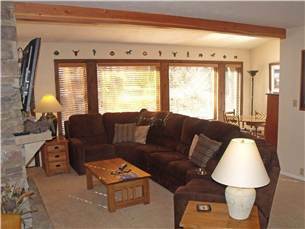 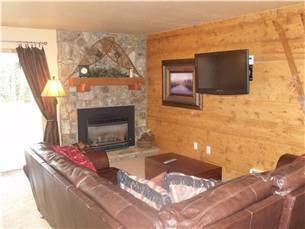 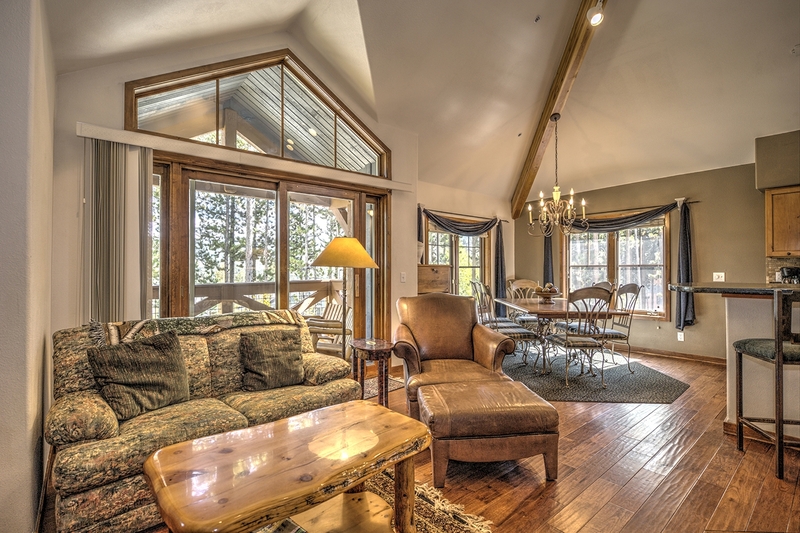 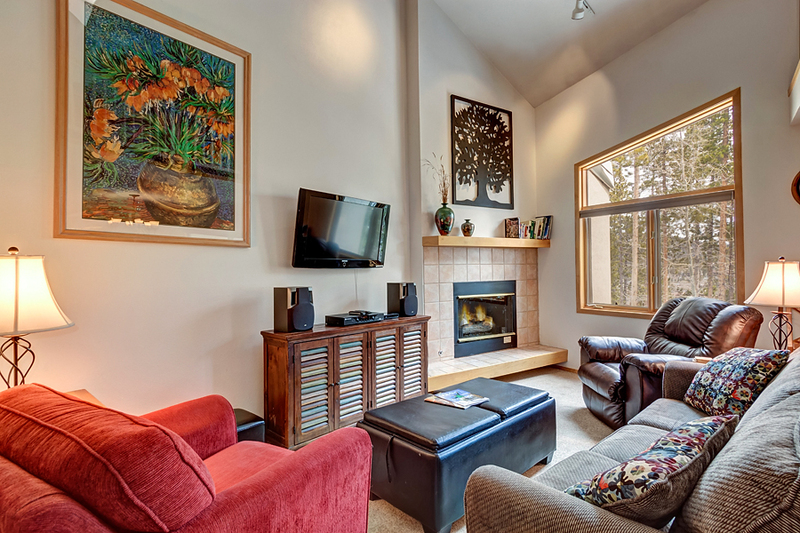 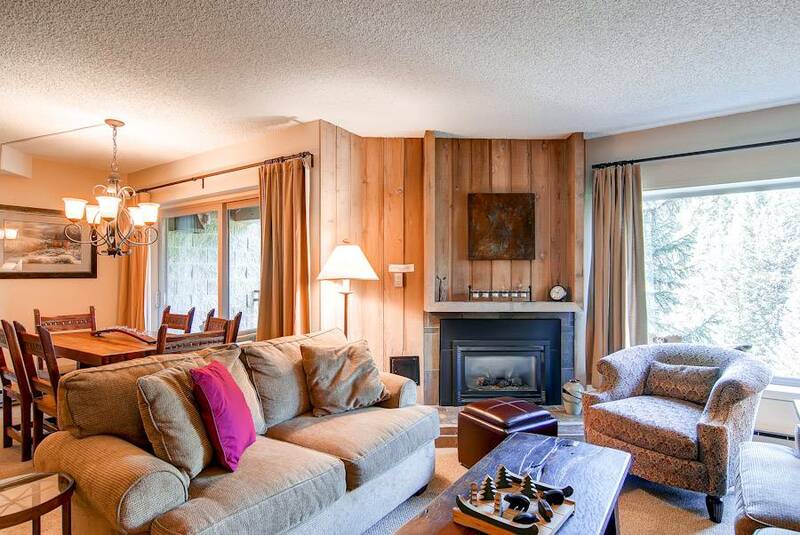 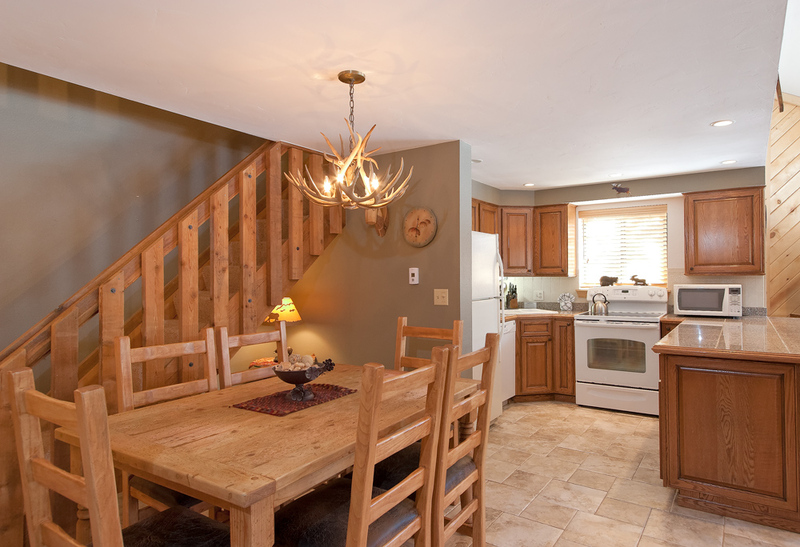 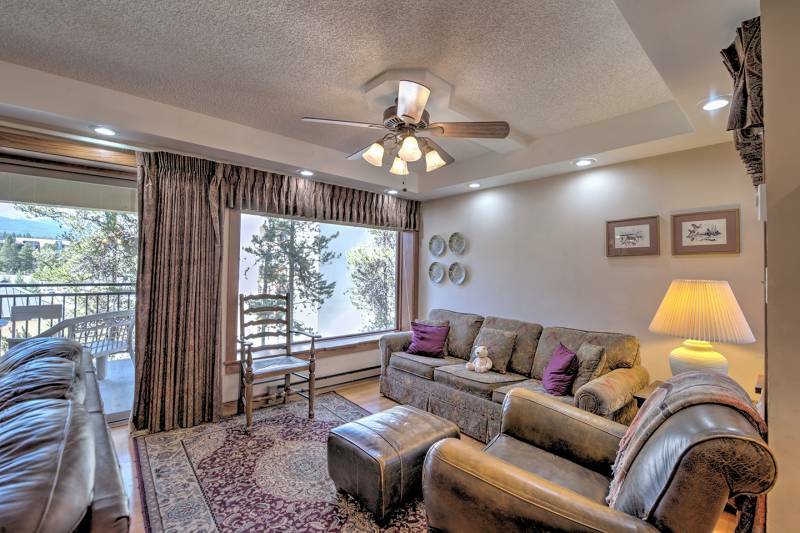 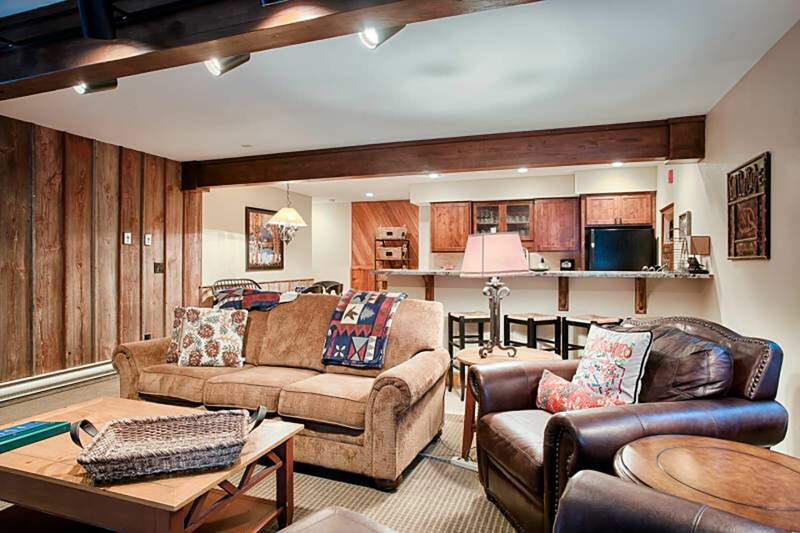 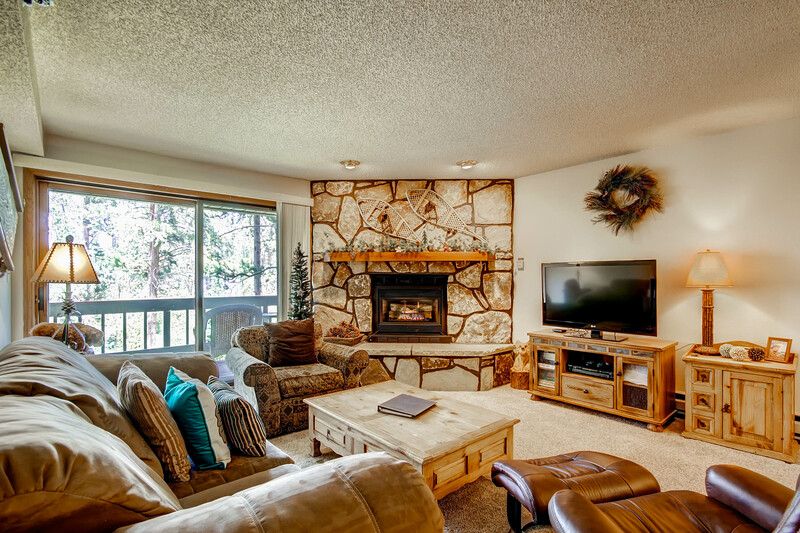 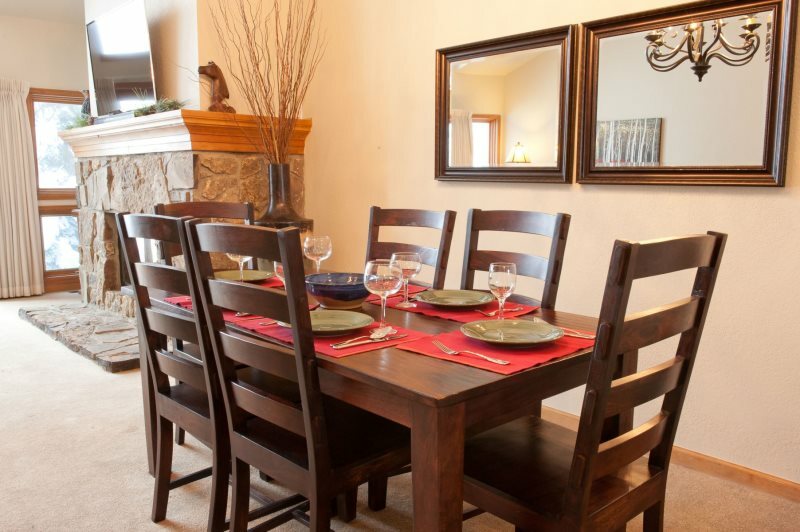 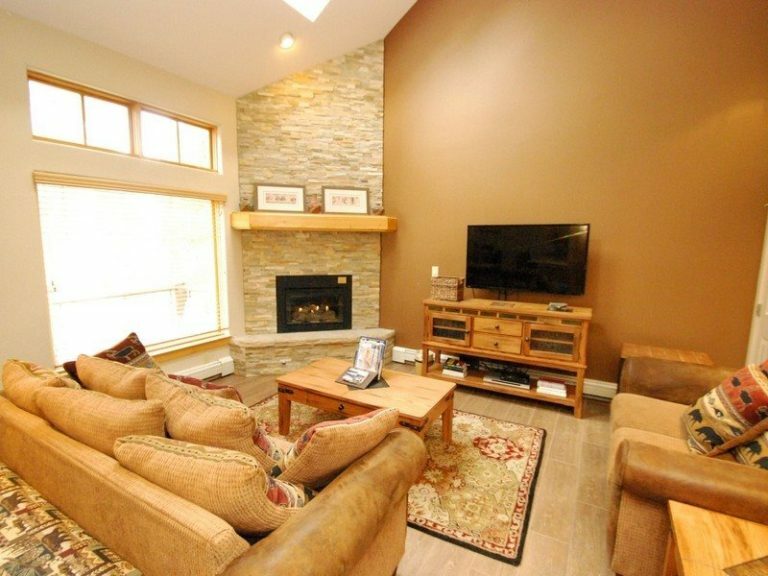 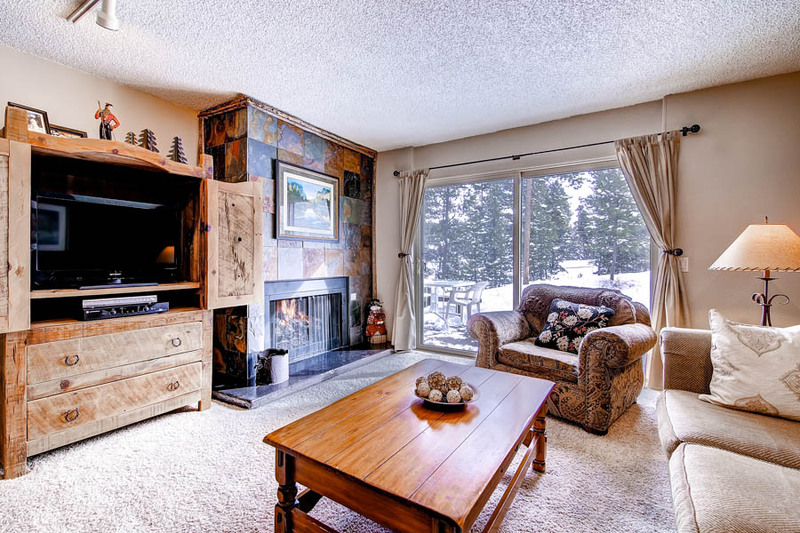 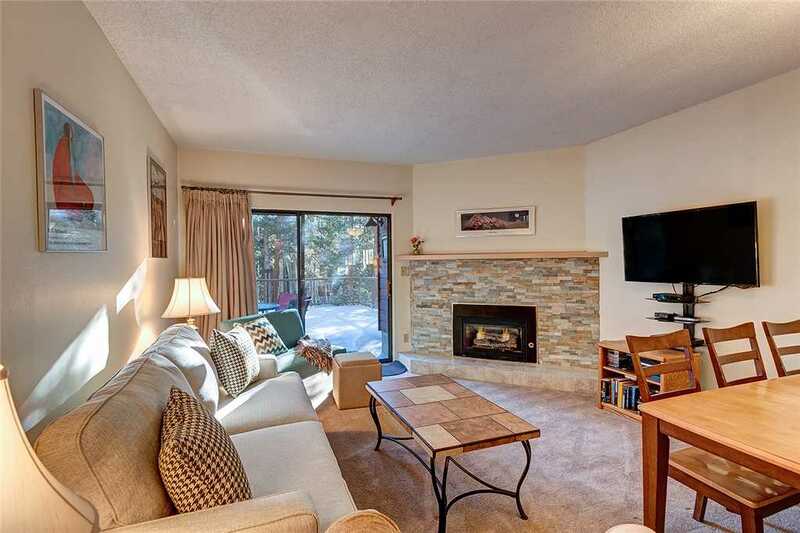 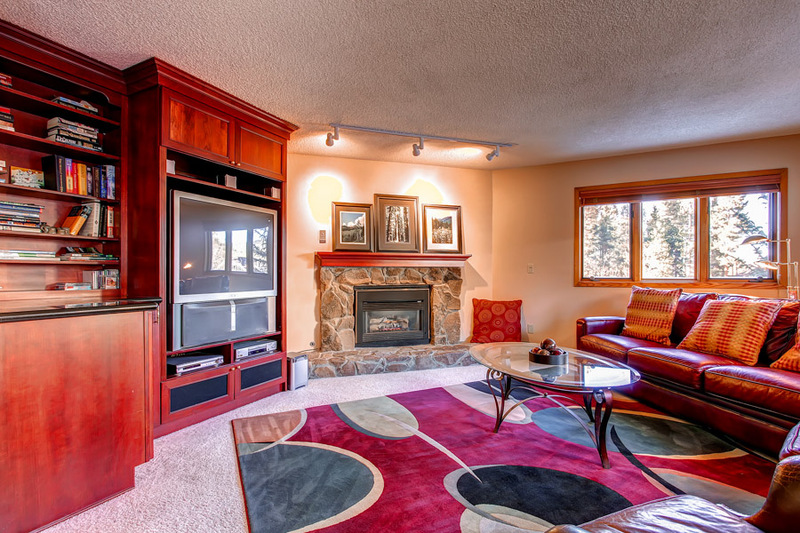 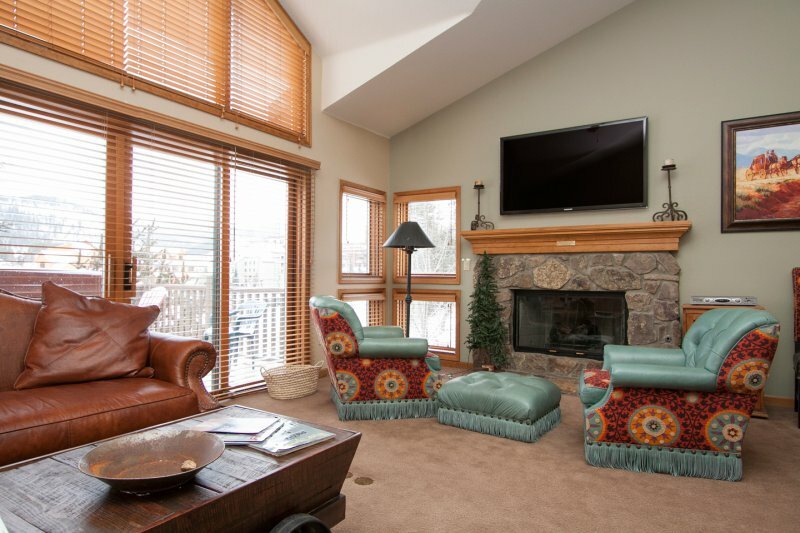 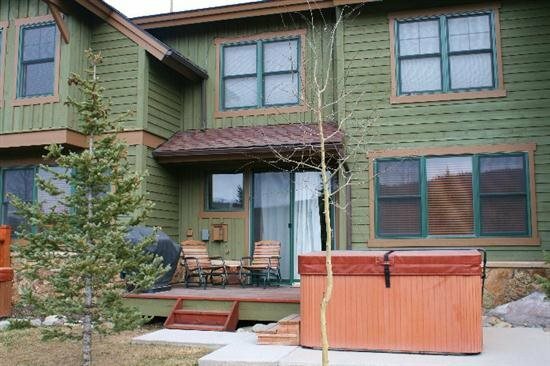 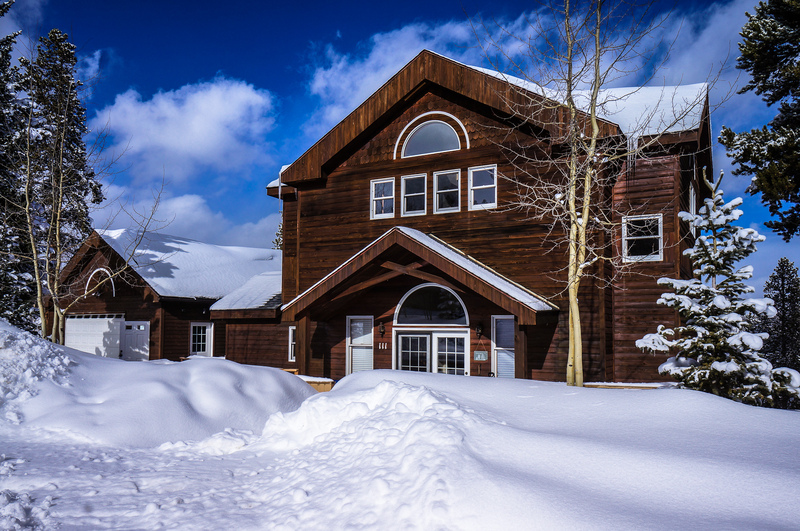 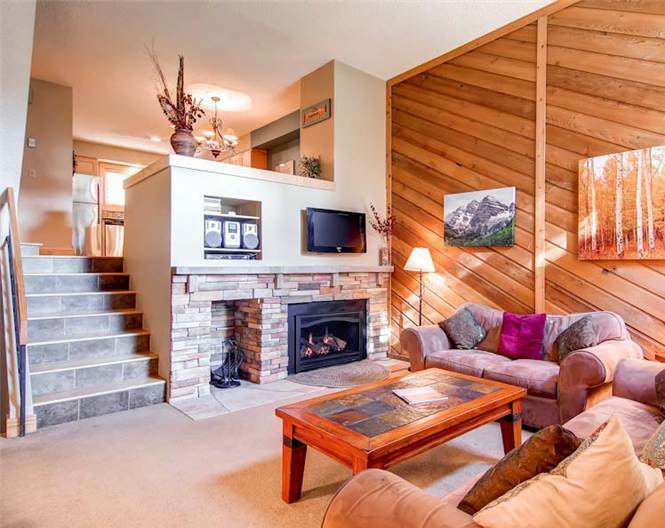 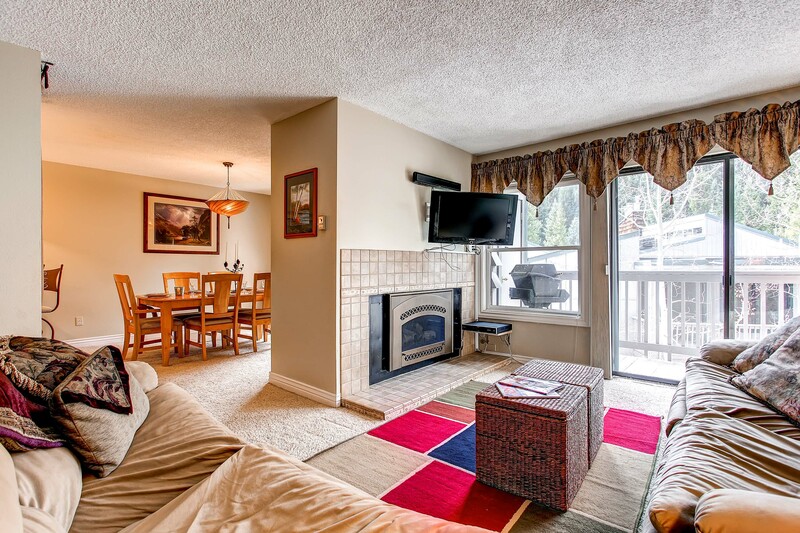 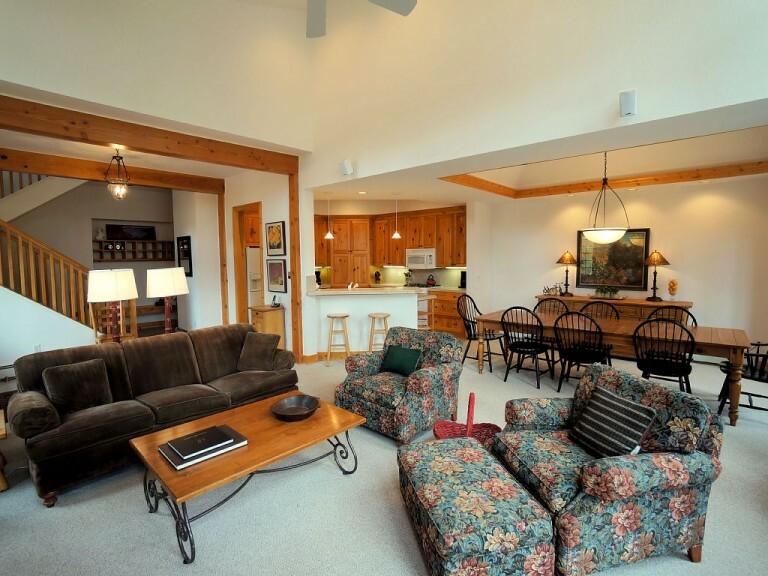 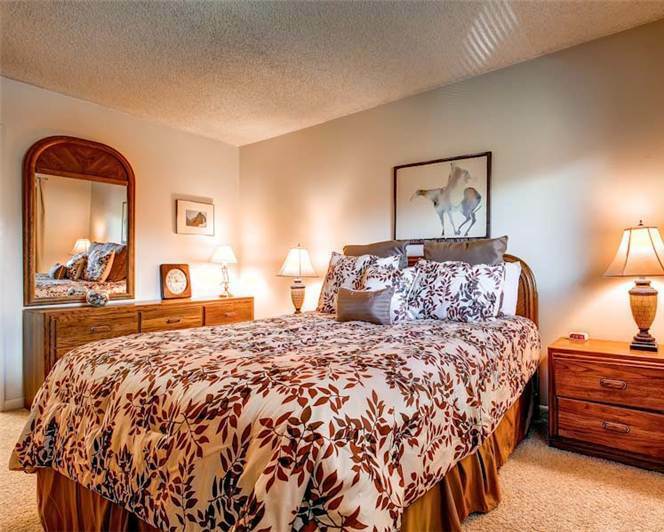 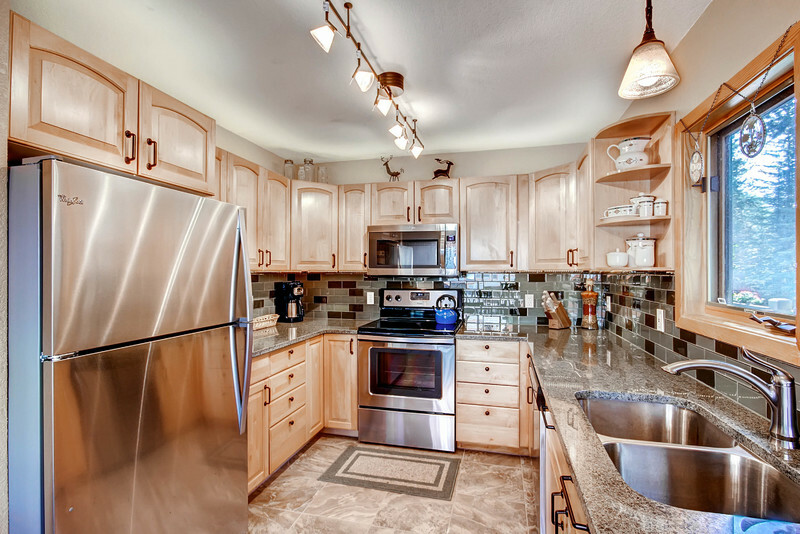 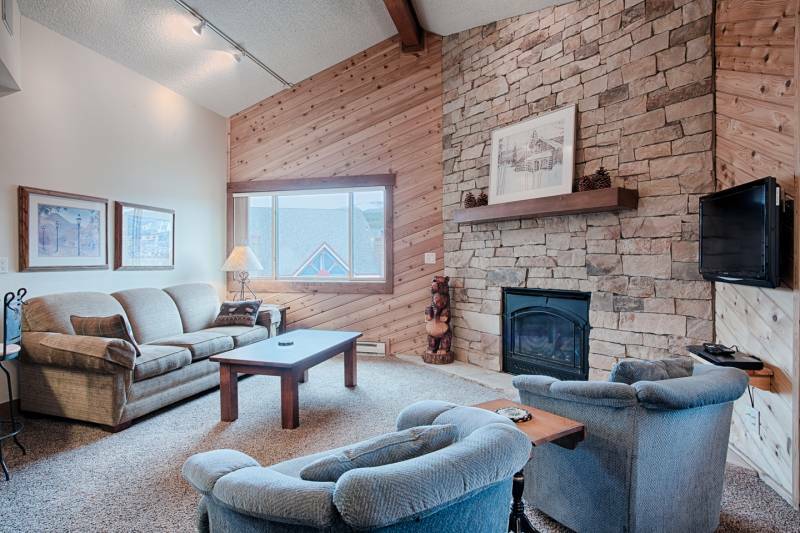 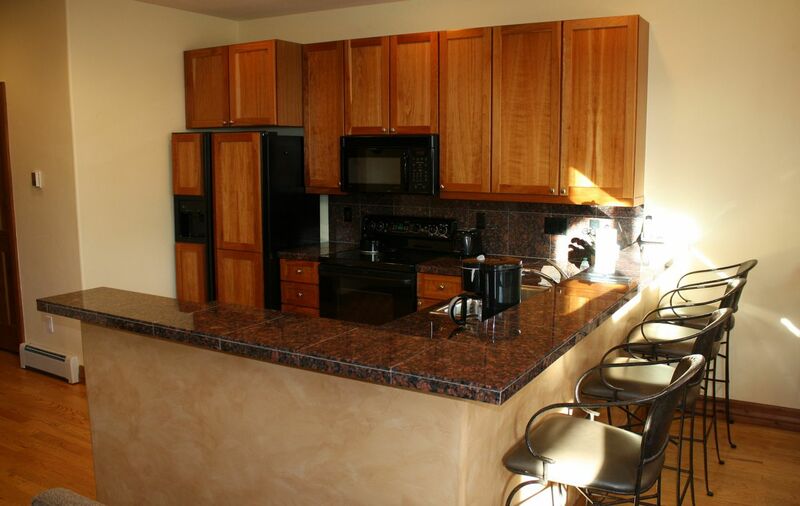 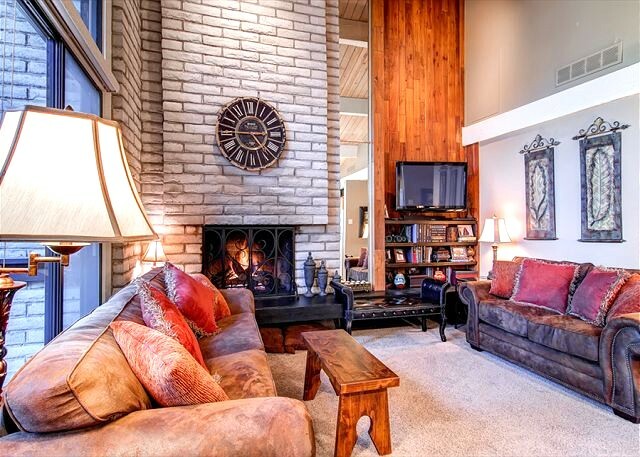 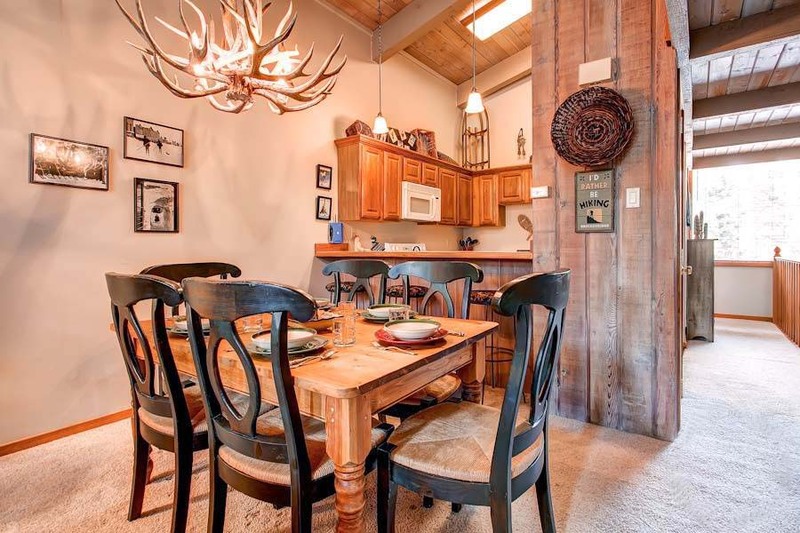 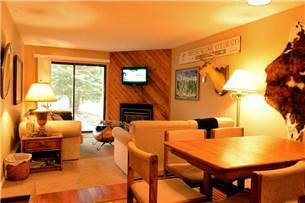 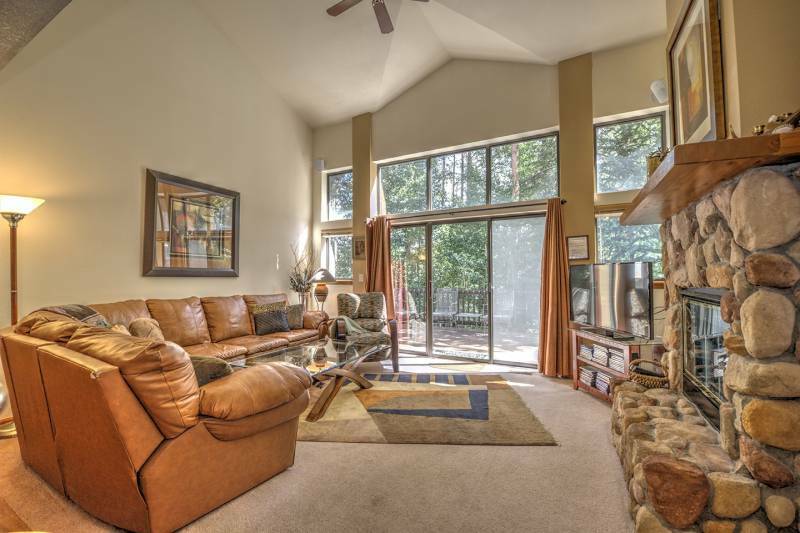 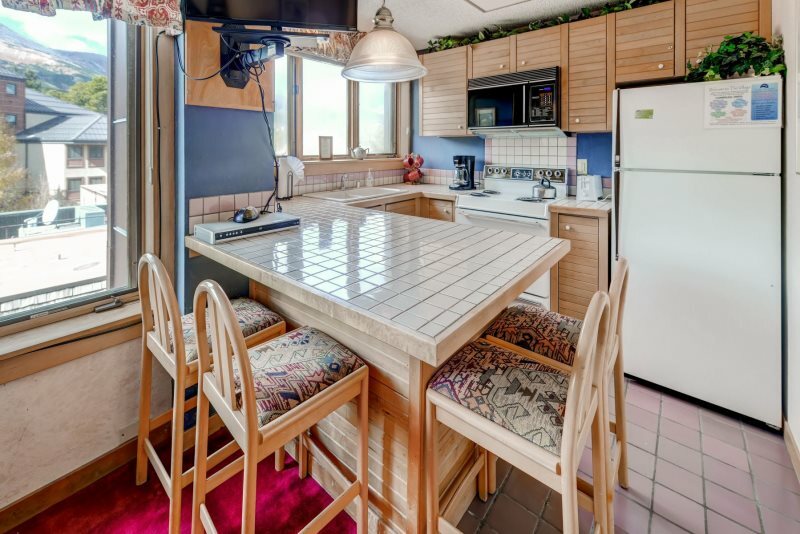 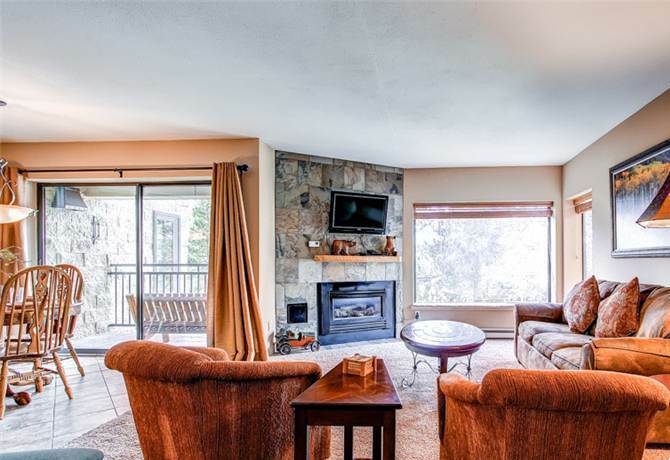 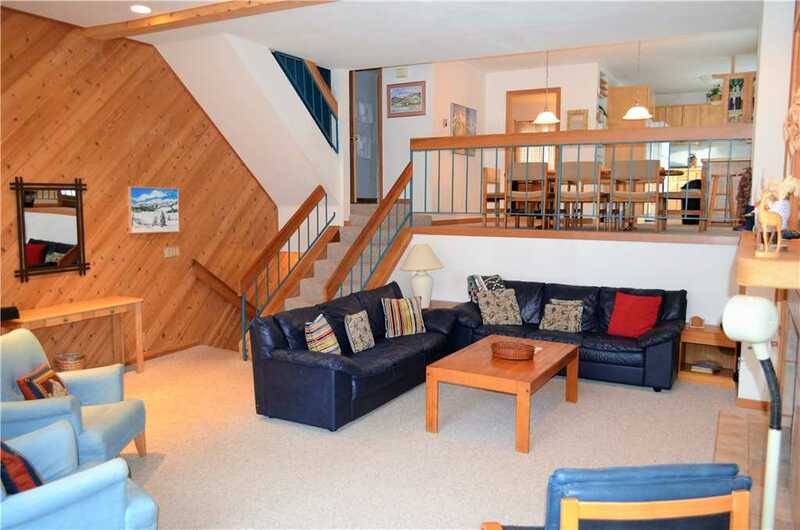 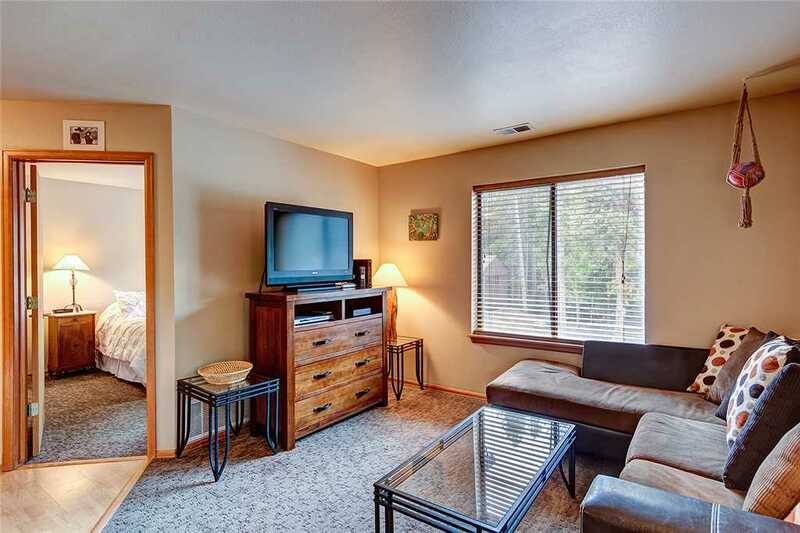 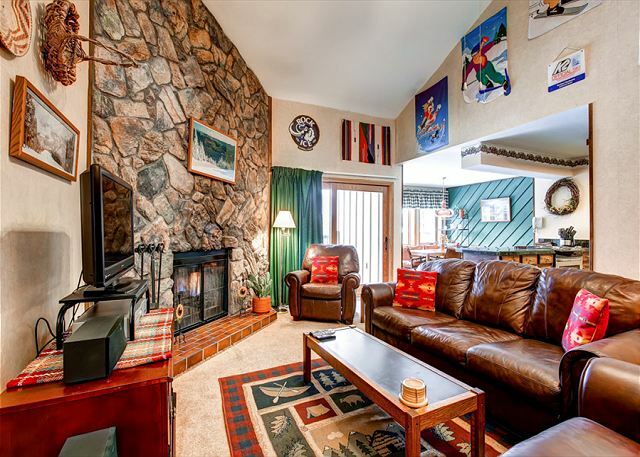 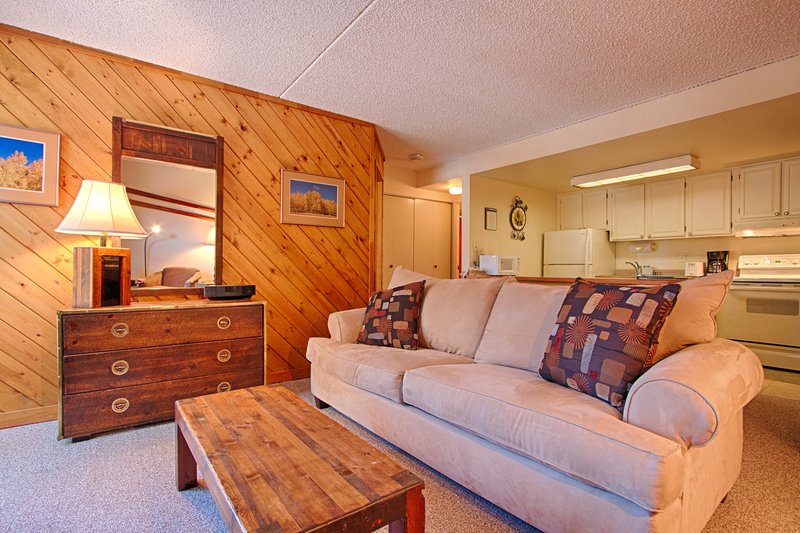 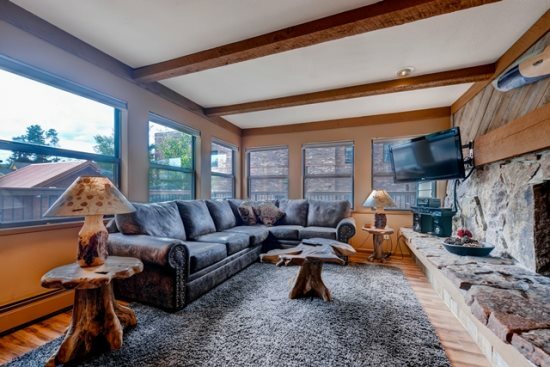 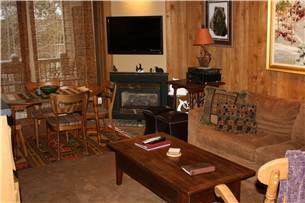 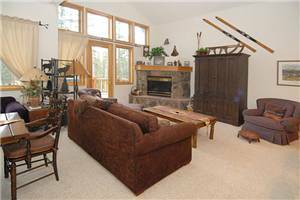 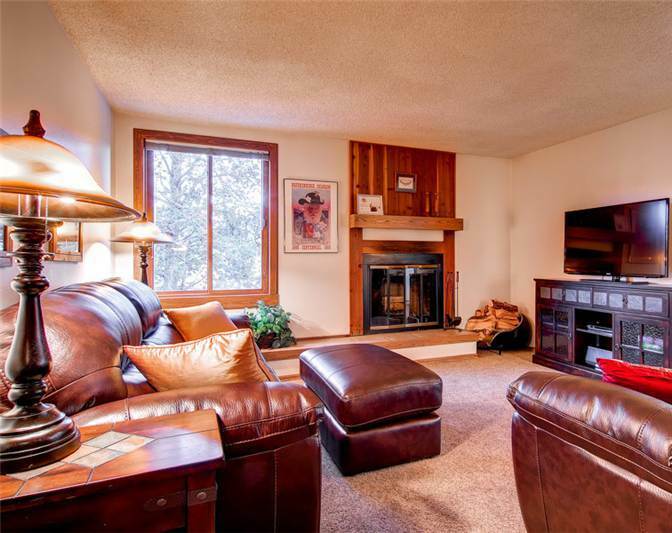 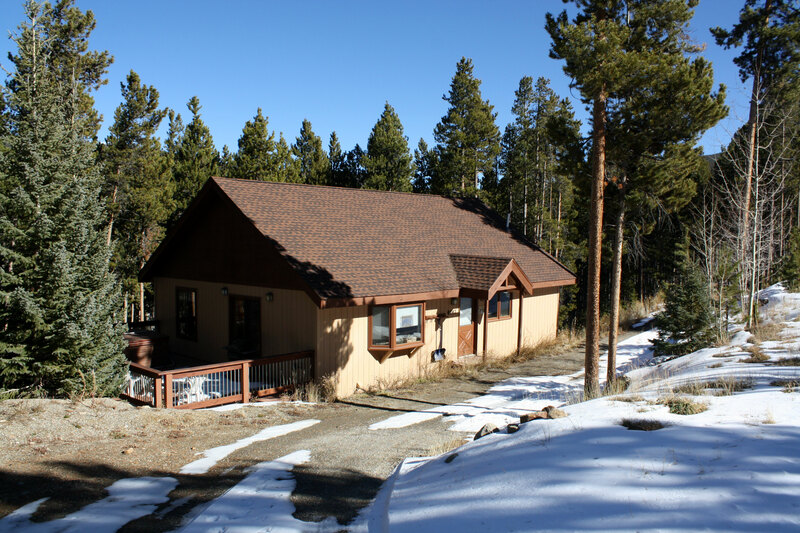 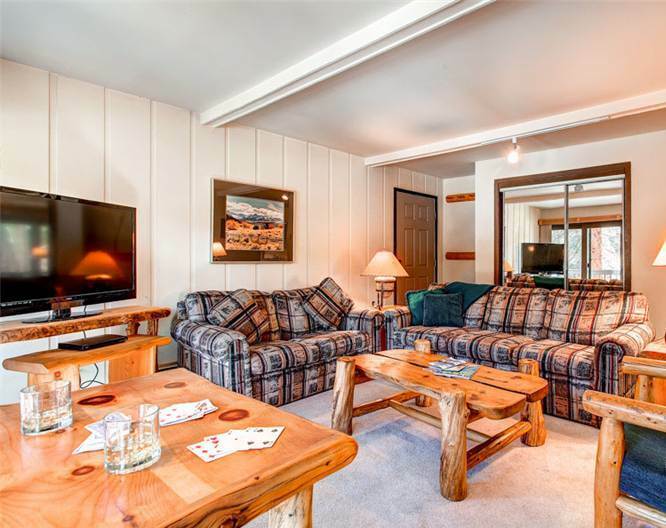 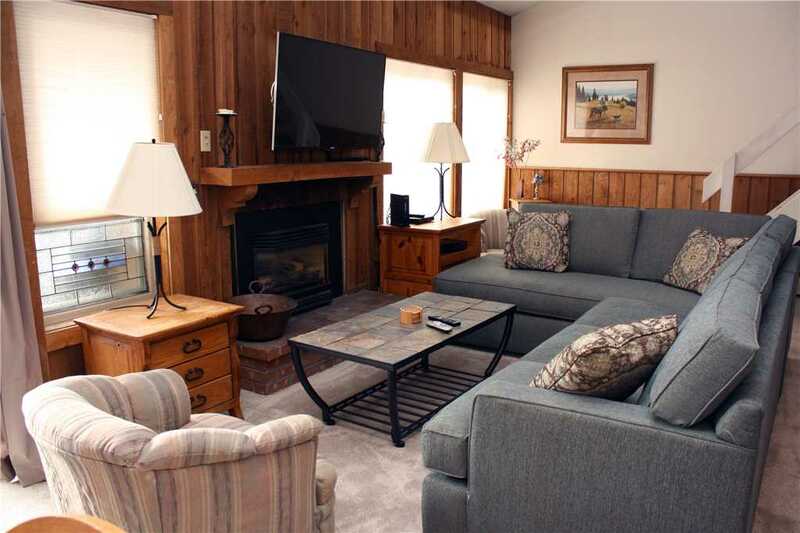 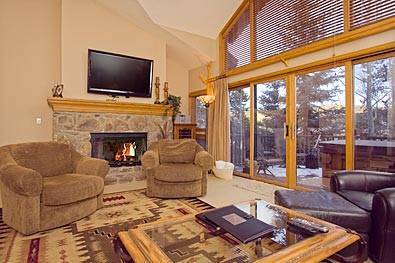 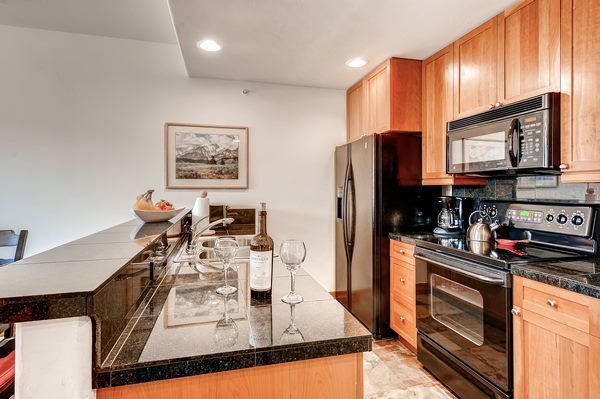 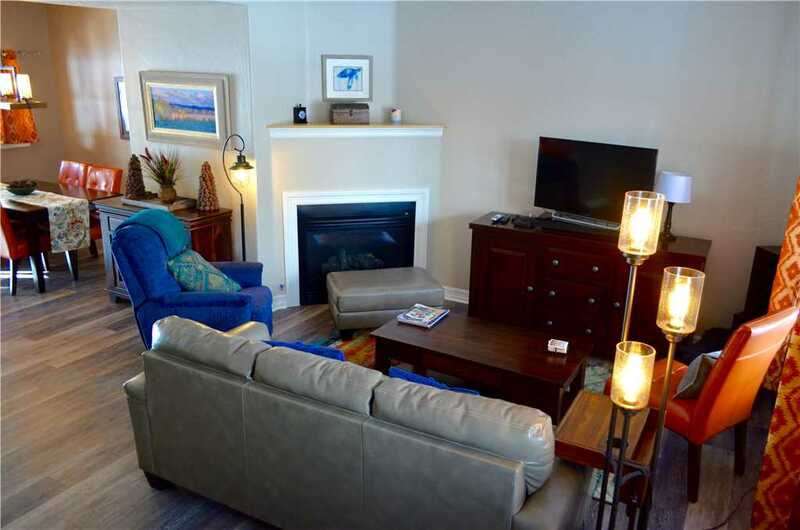 This warm, nicely-decorated unit offers a great location on the Pine Ridge property. 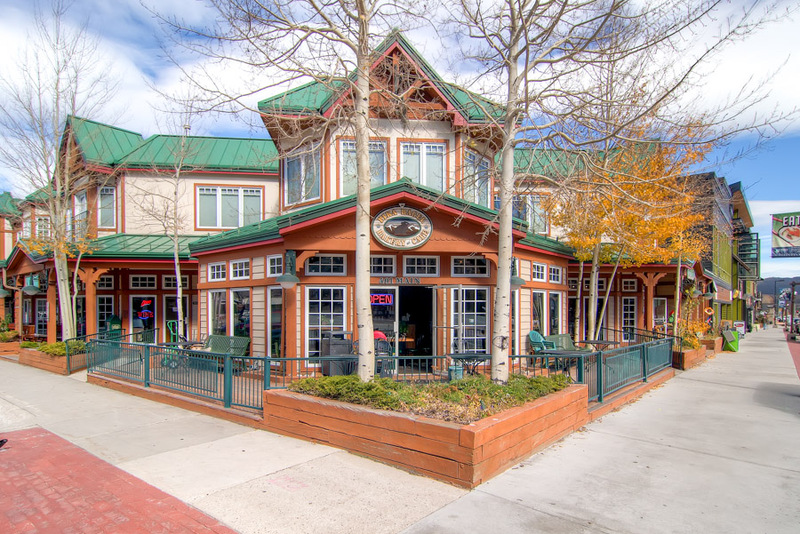 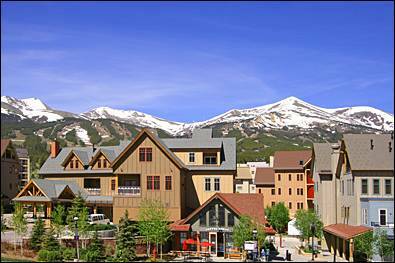 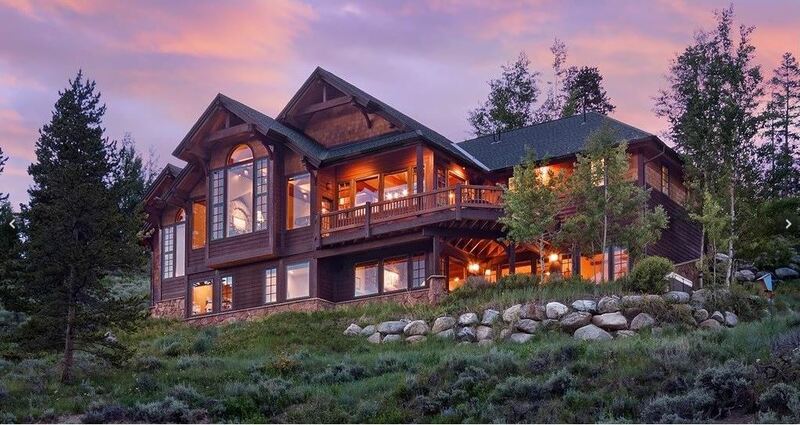 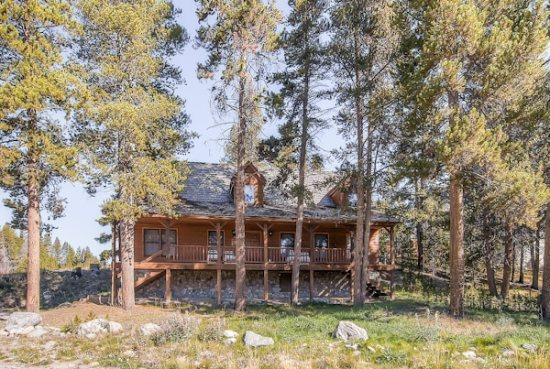 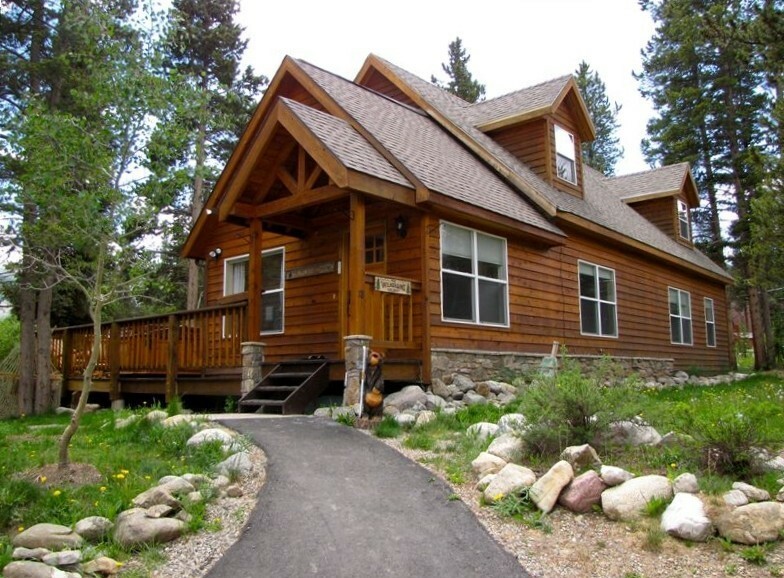 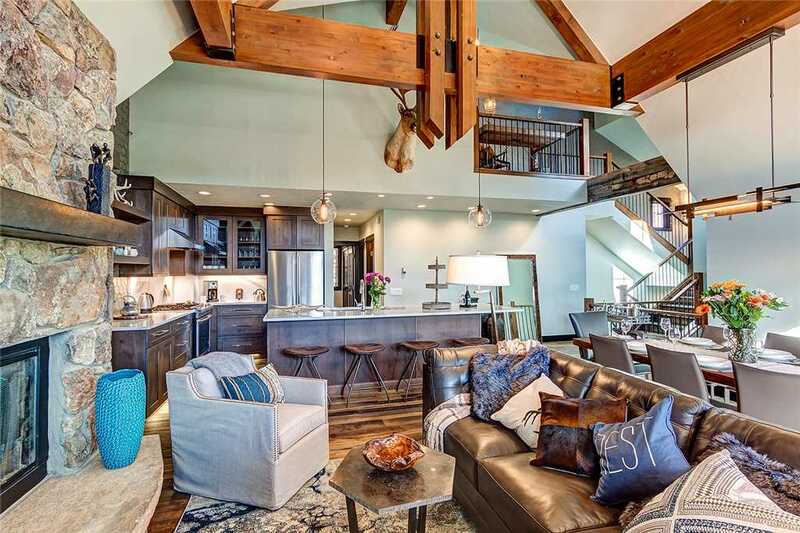 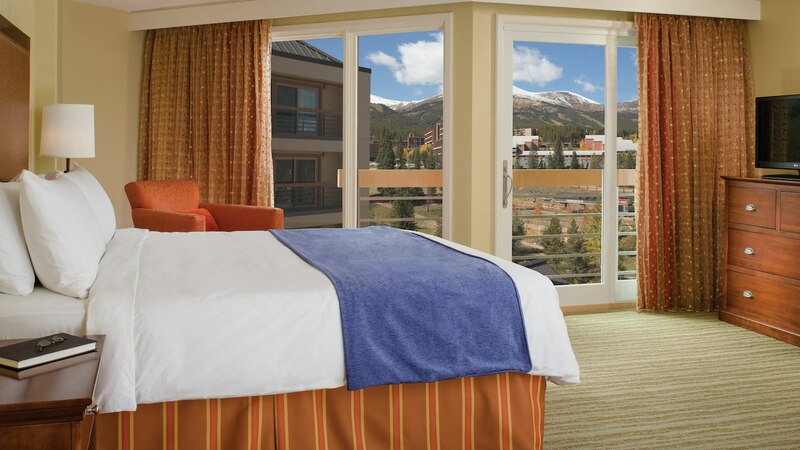 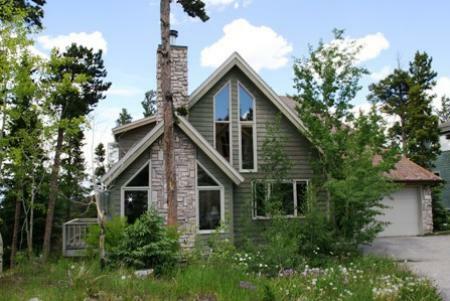 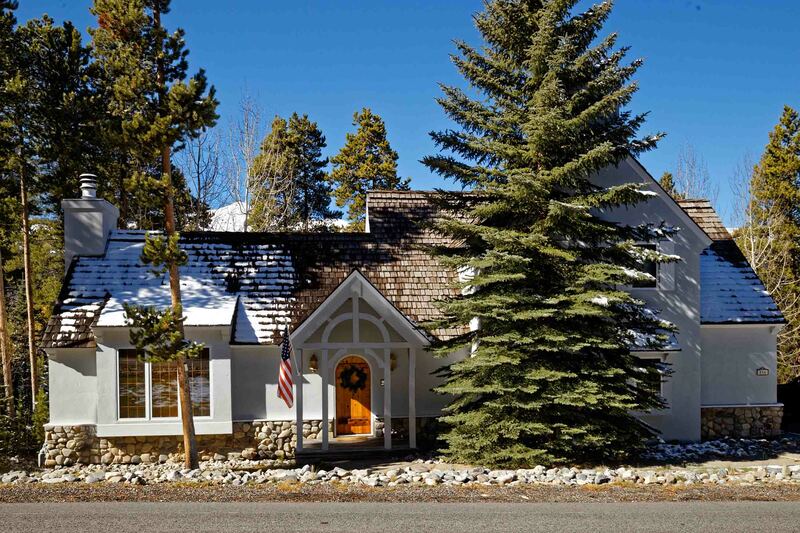 A short block-and-a-half walk will take you right into the heart of Breckenridge. 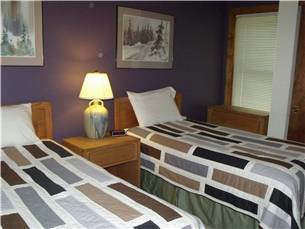 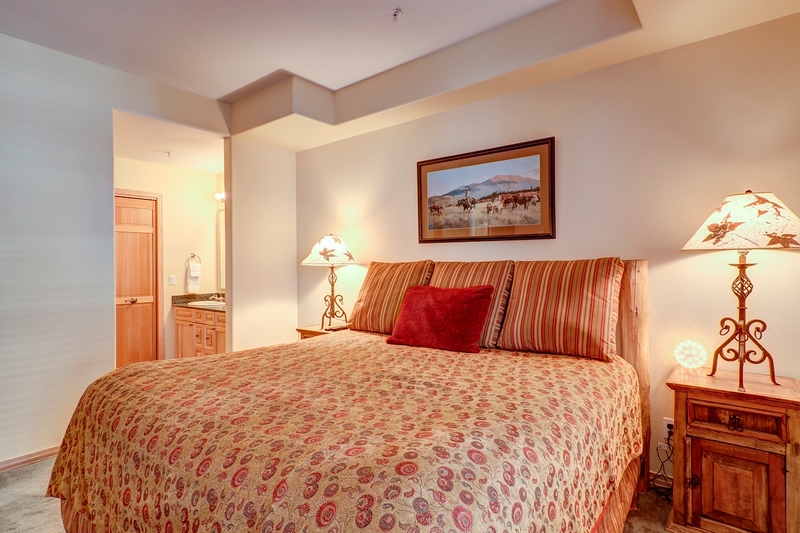 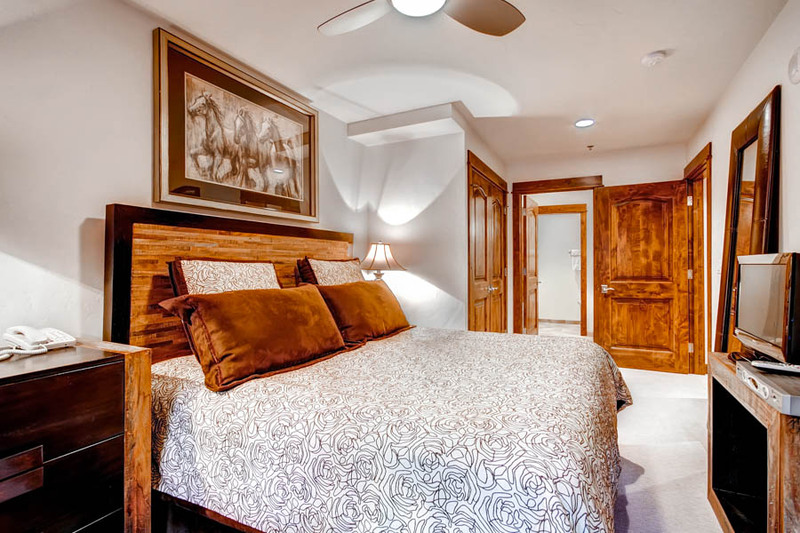 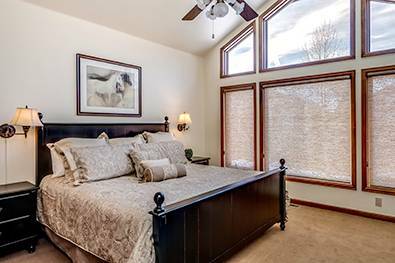 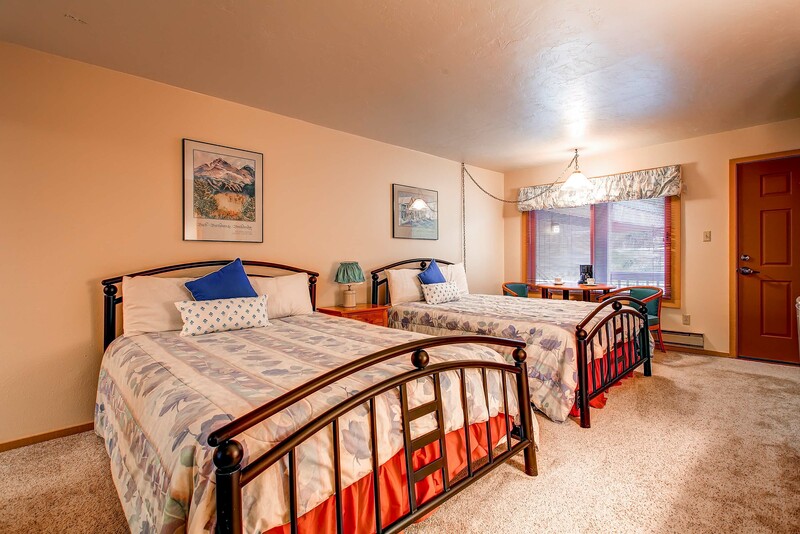 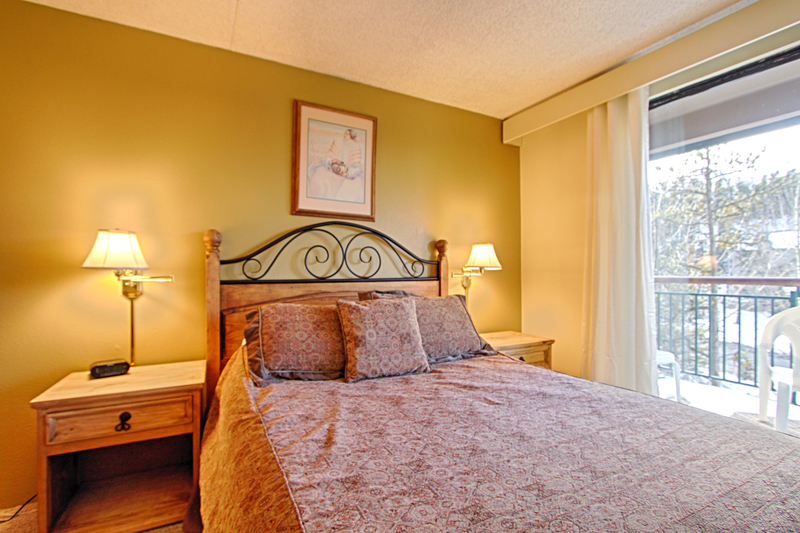 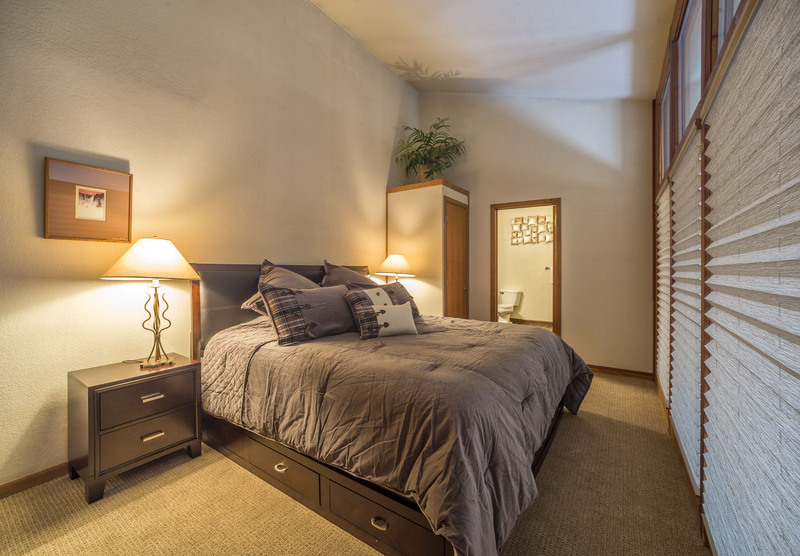 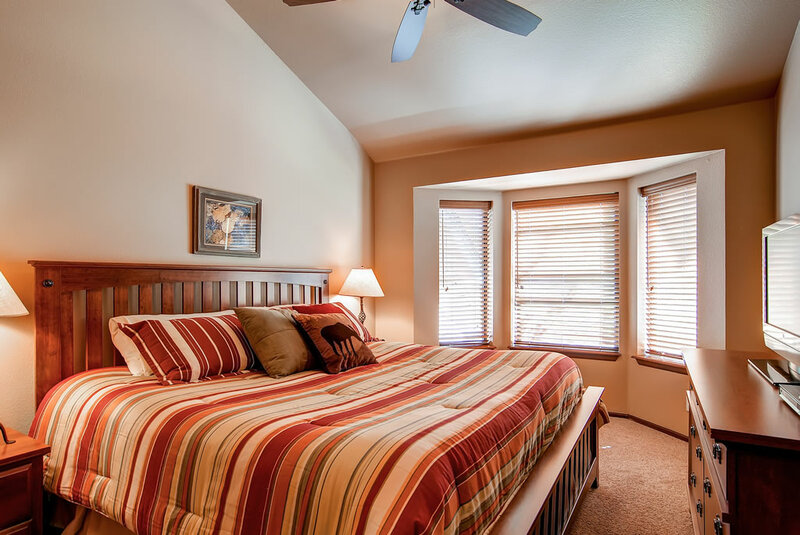 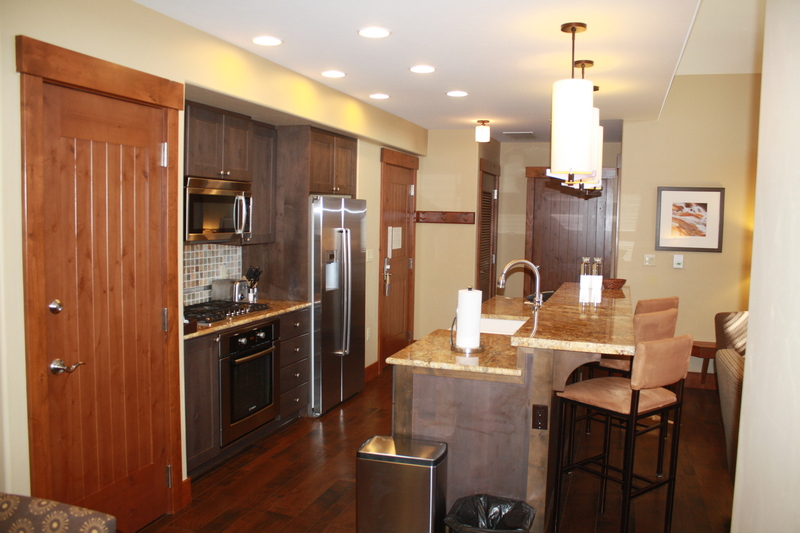 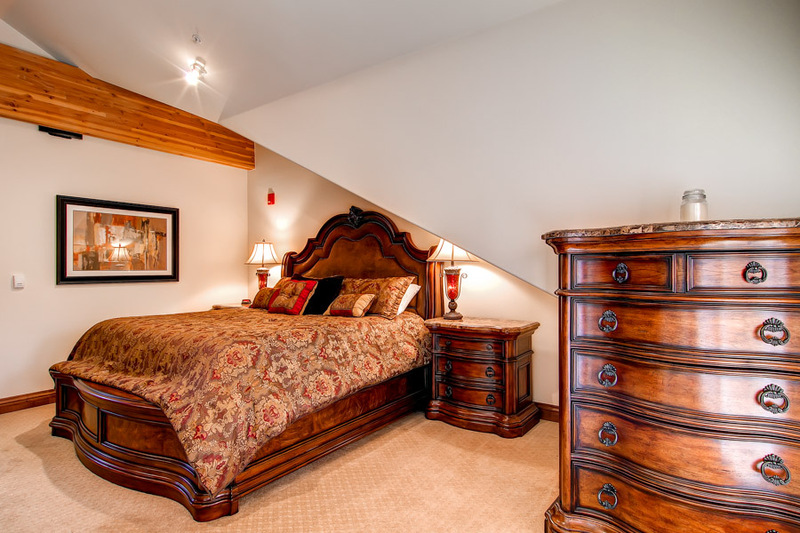 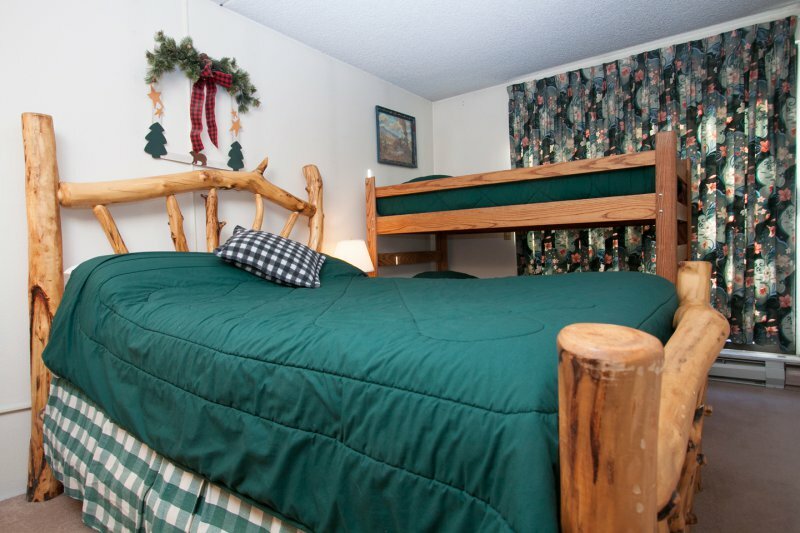 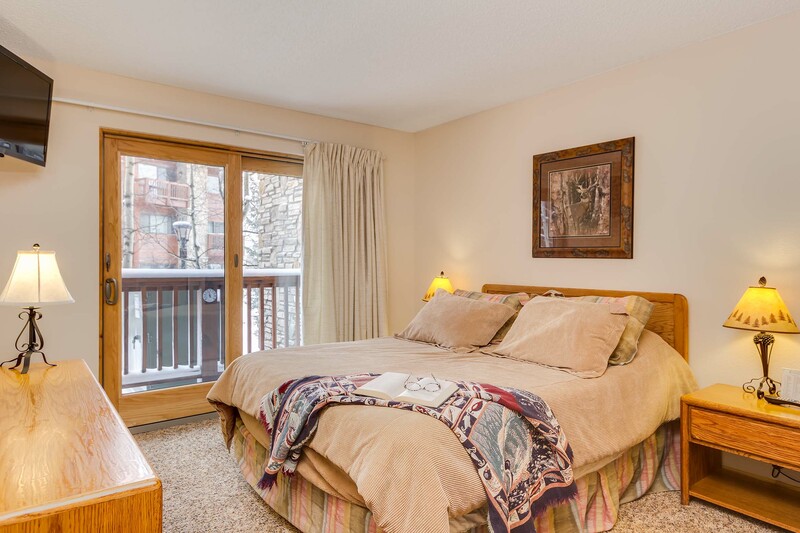 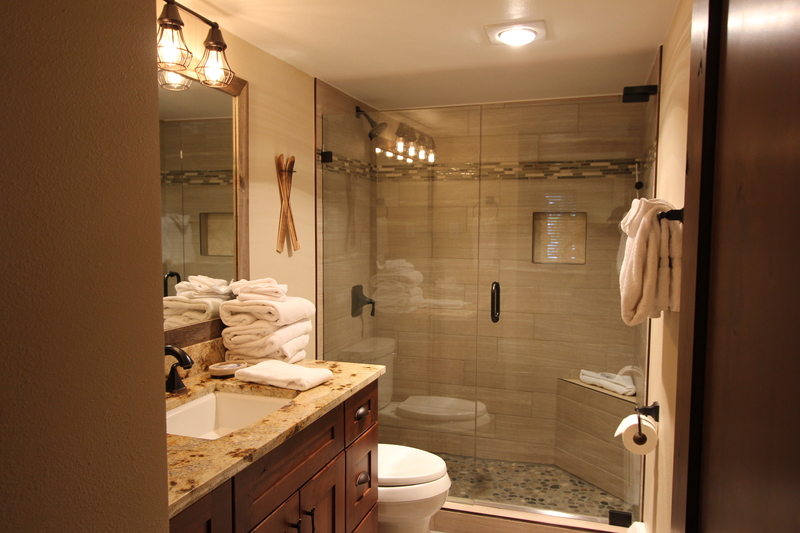 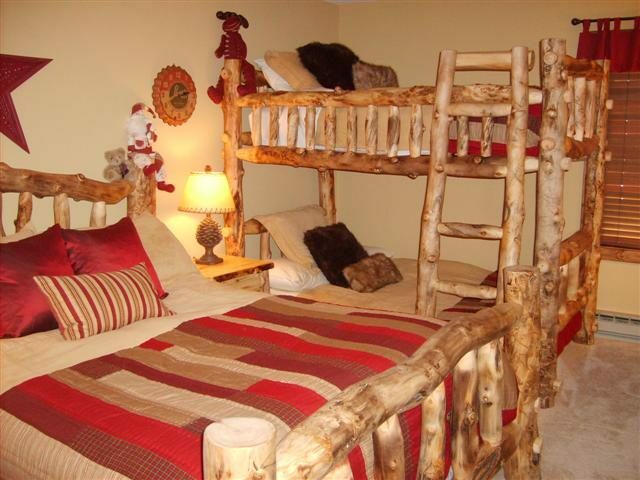 This lovely unit has two bedrooms, a master suite with king bed and twin beds in the guest room. 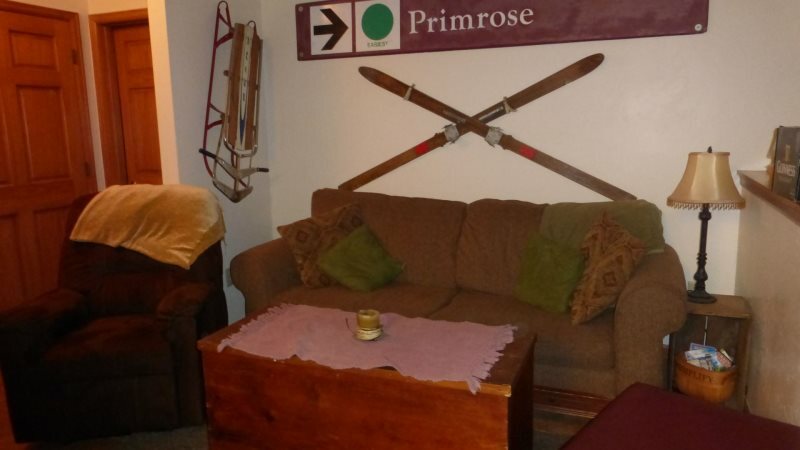 The great room has a queen pullout sofa fitted with a new commercial grade mechanism and mattress. 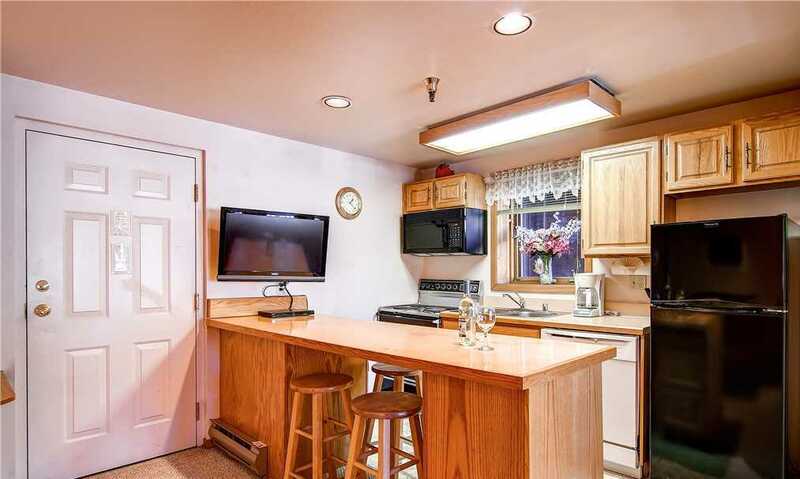 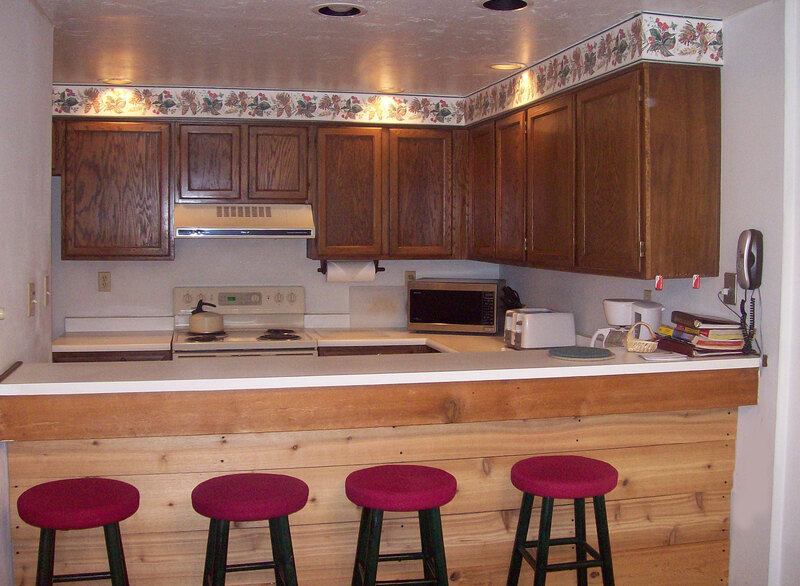 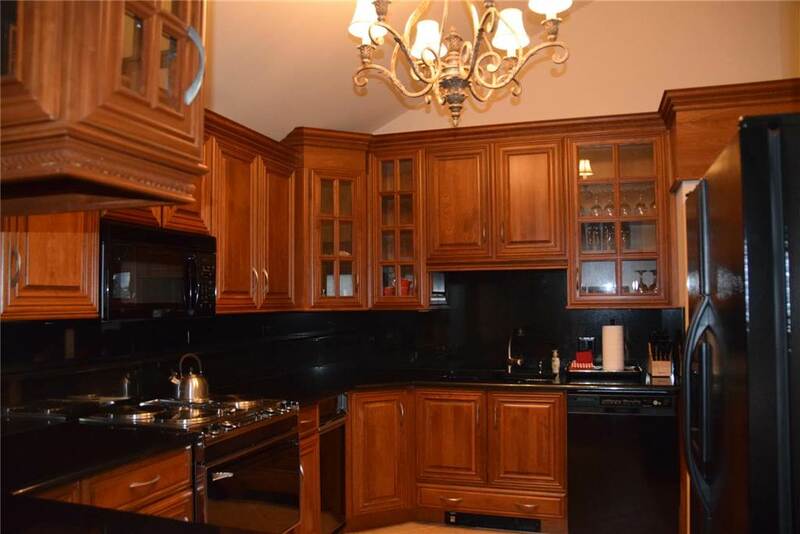 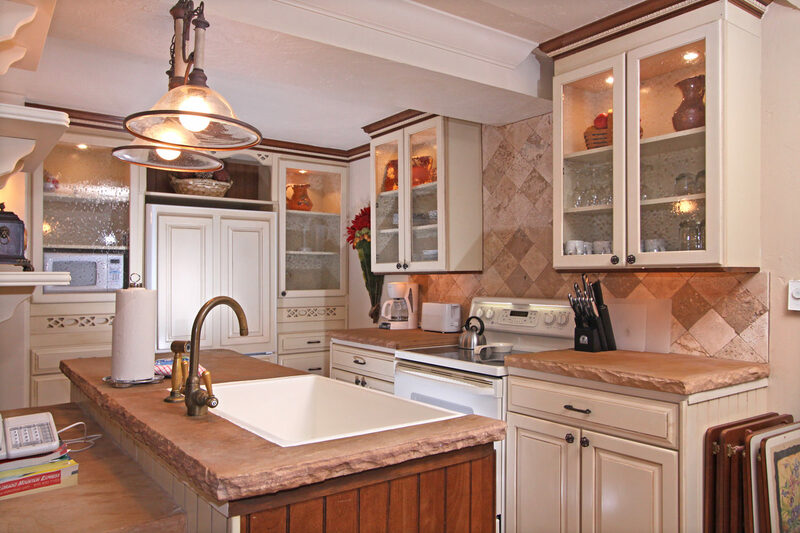 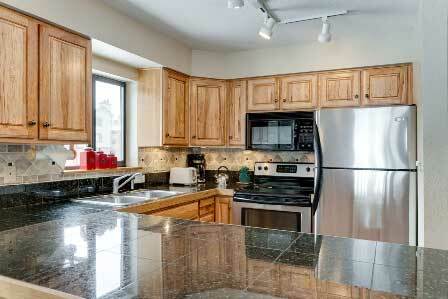 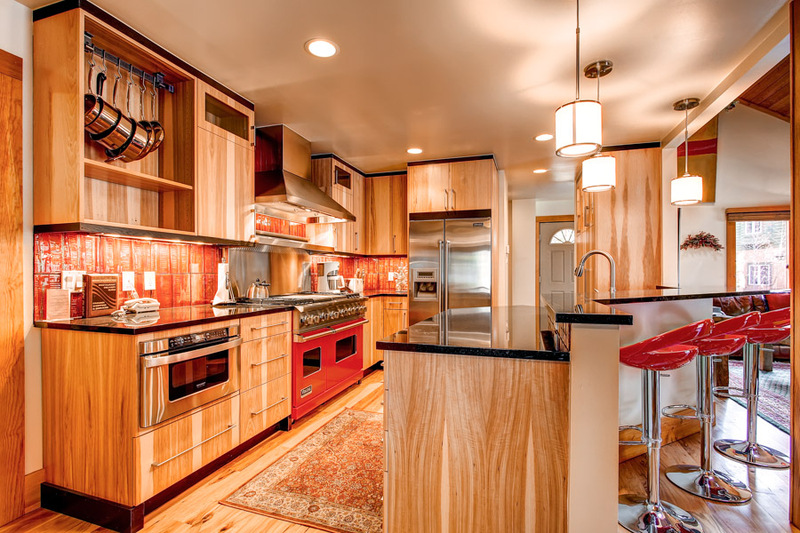 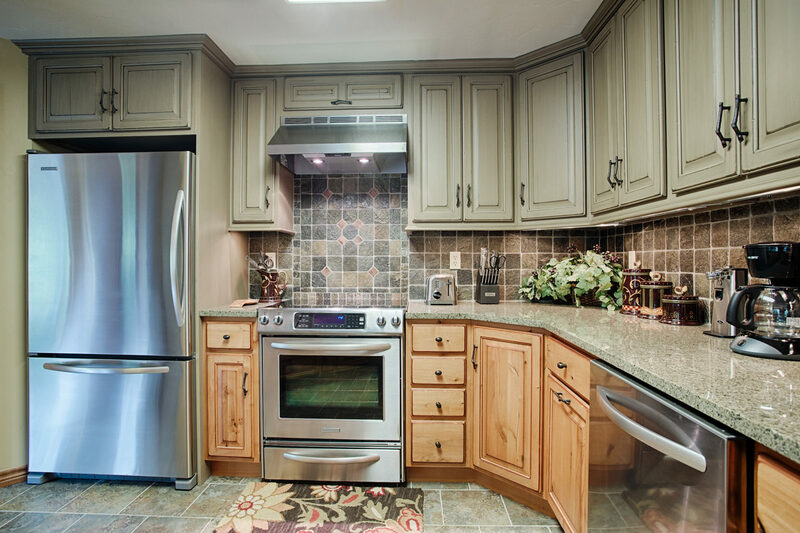 The kitchen is completely updated including a new microwave and “flat-top” electric stove. 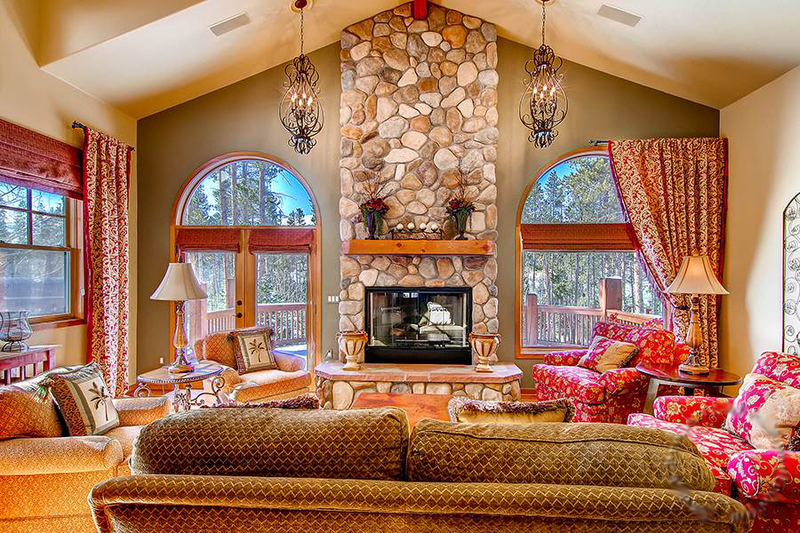 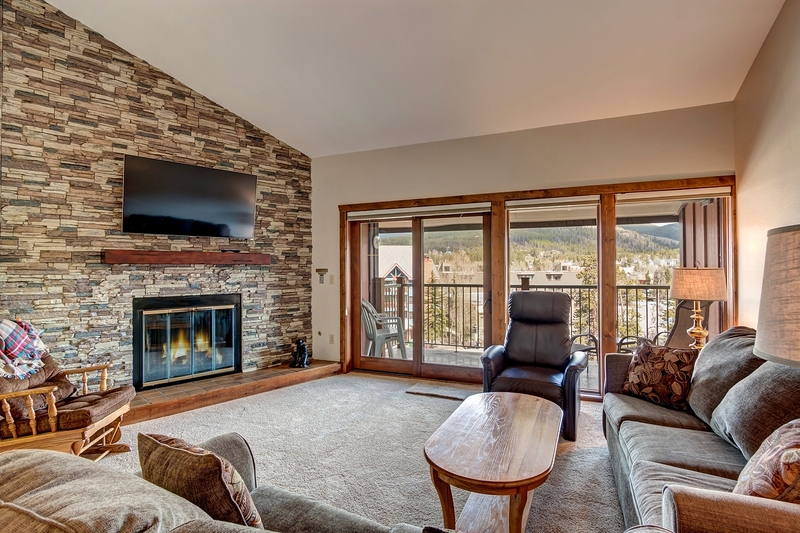 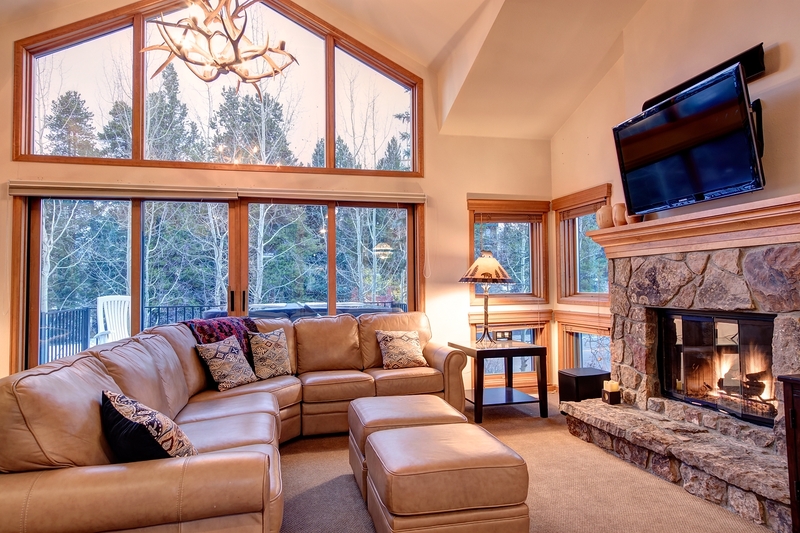 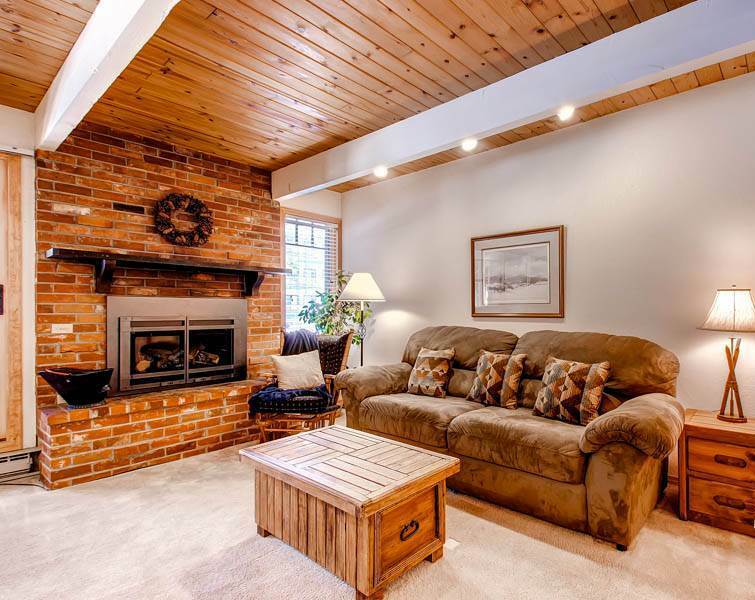 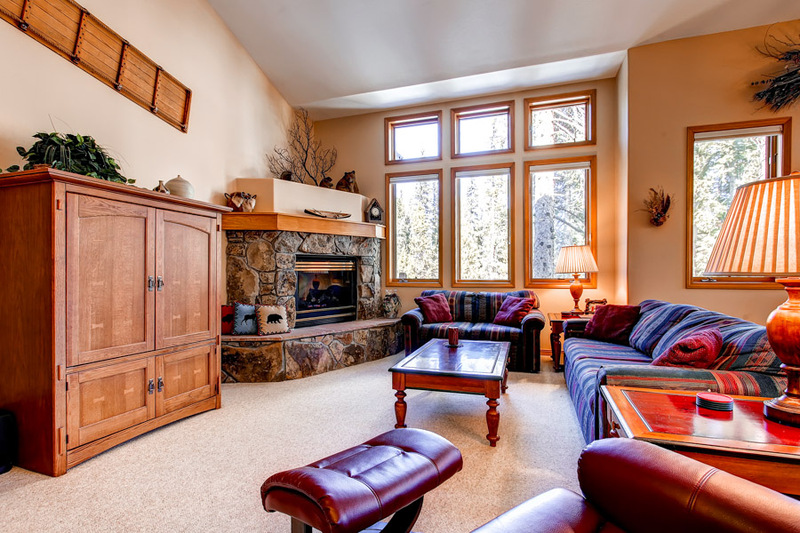 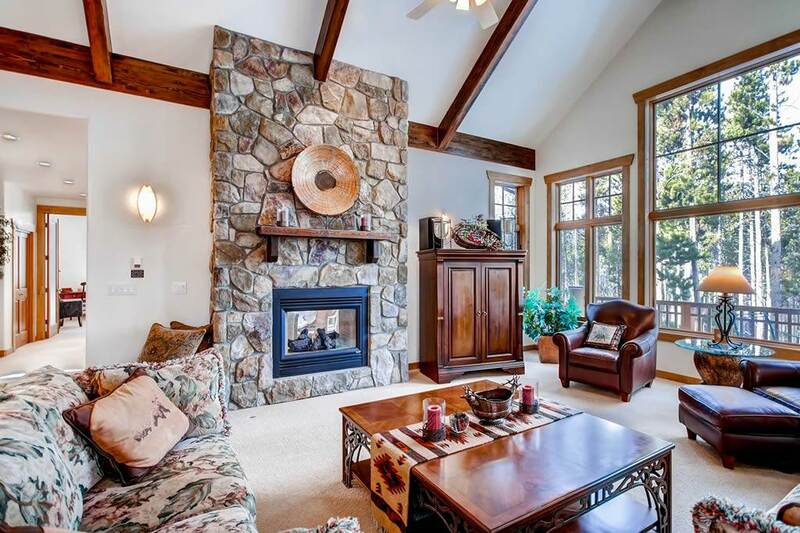 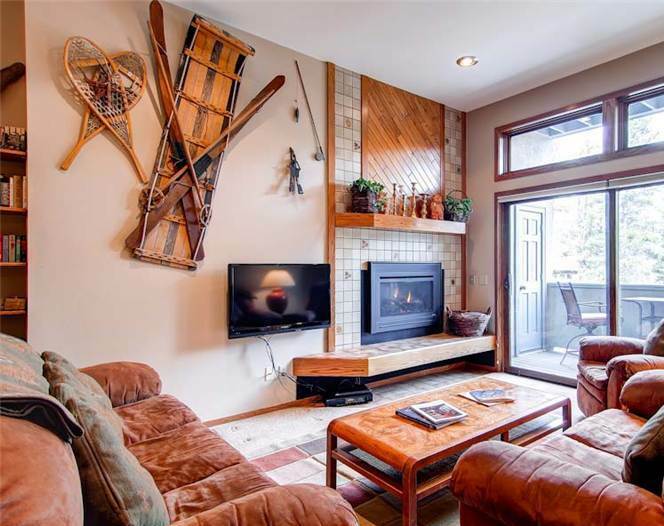 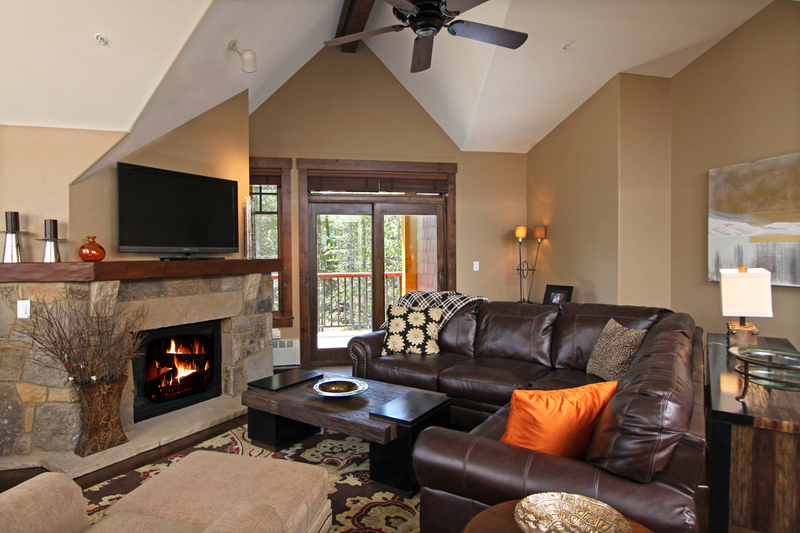 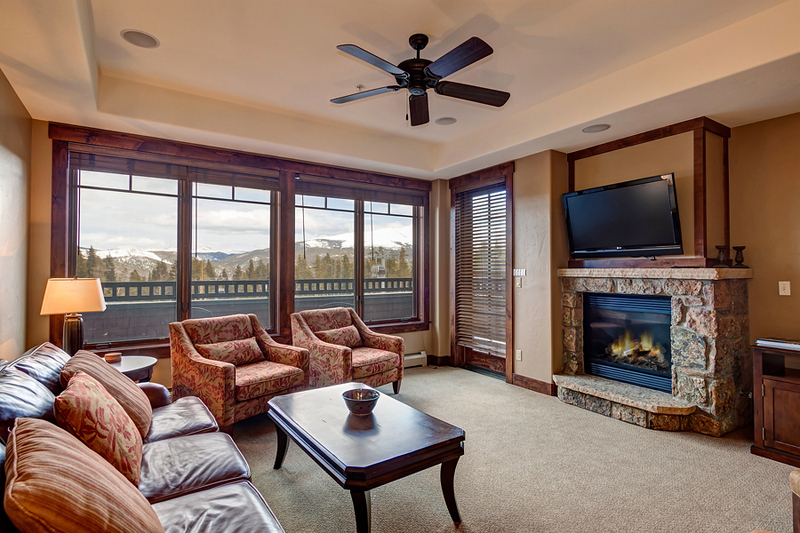 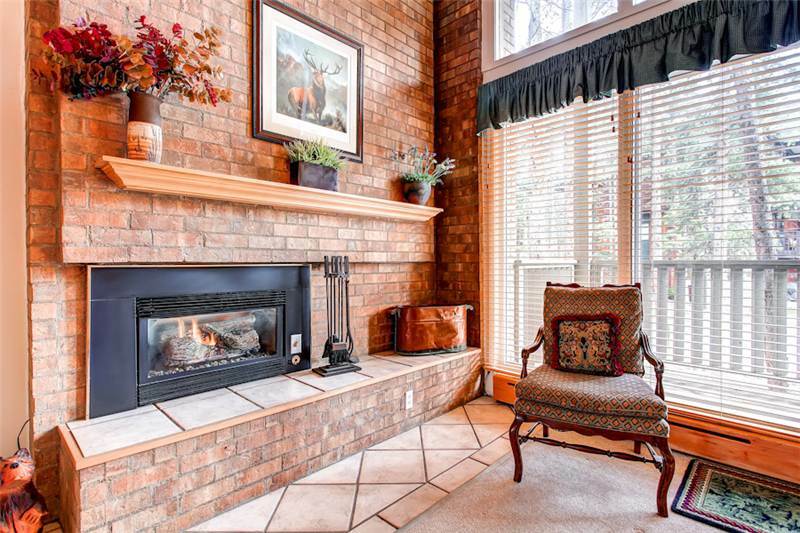 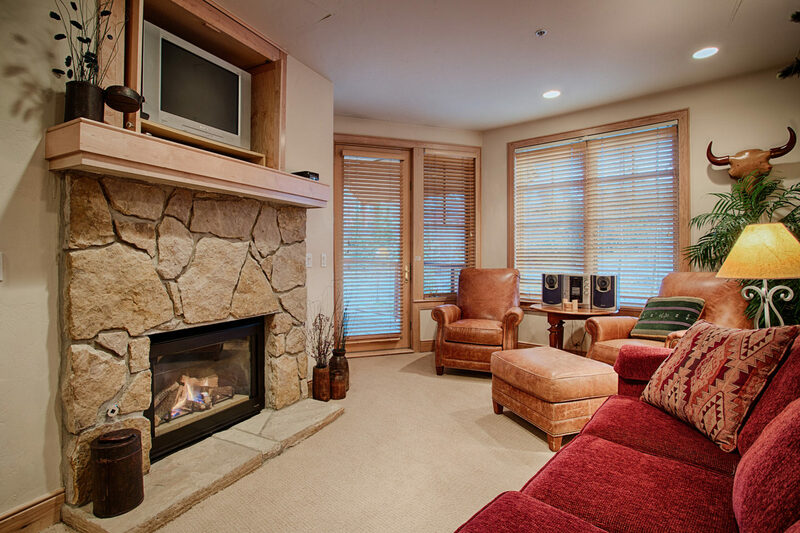 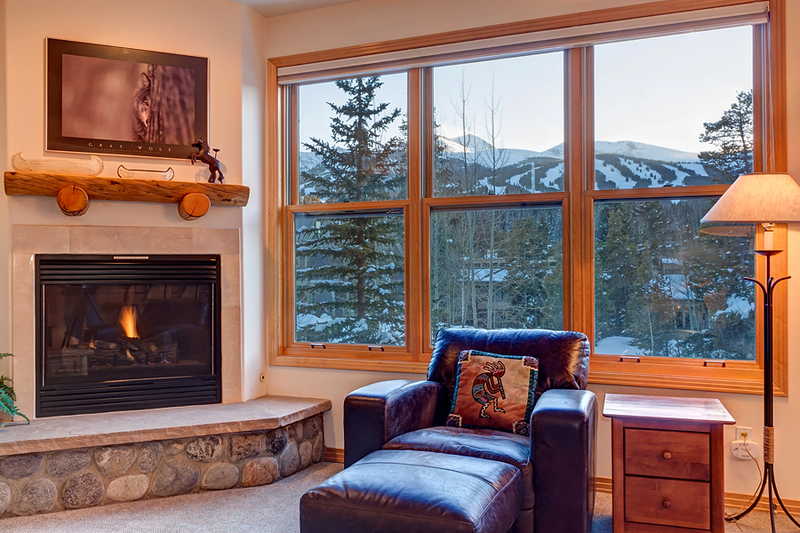 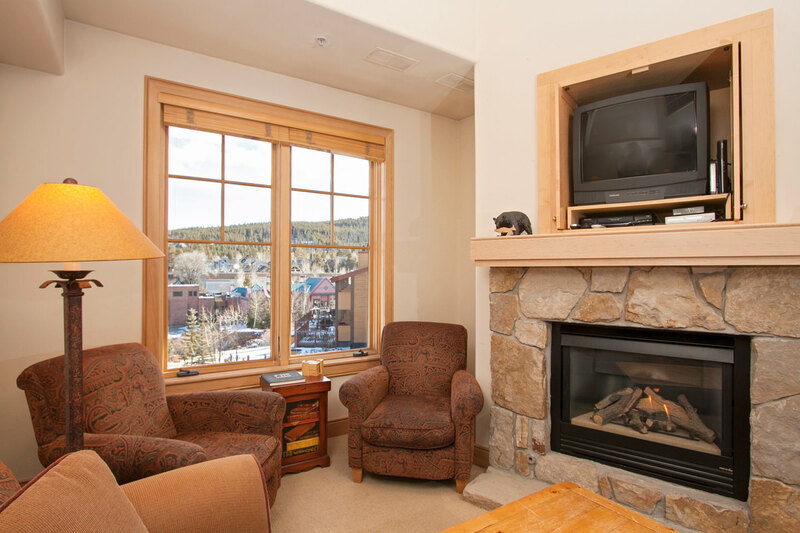 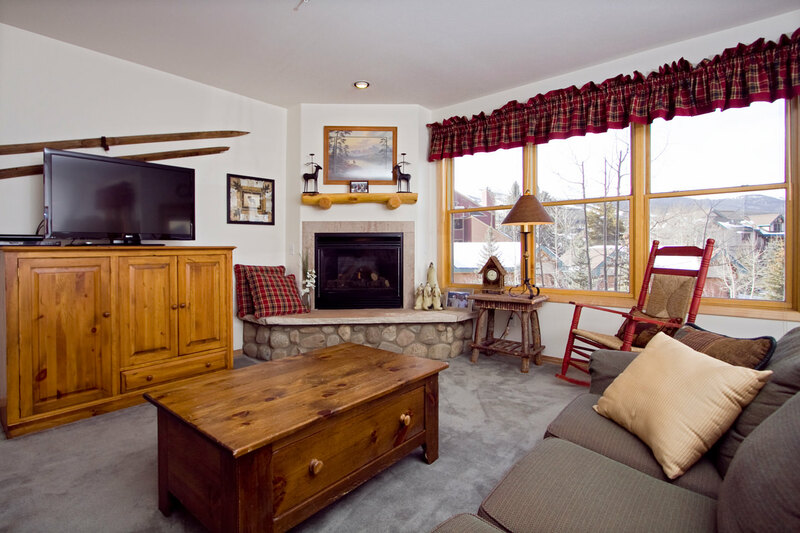 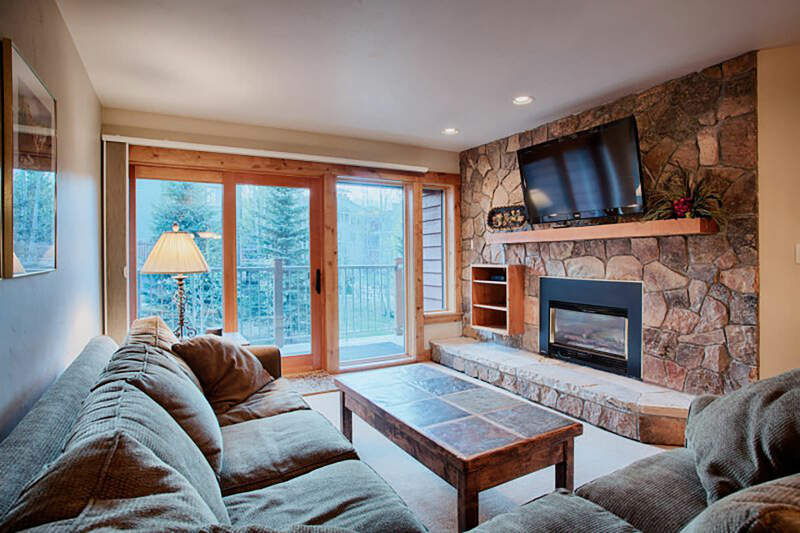 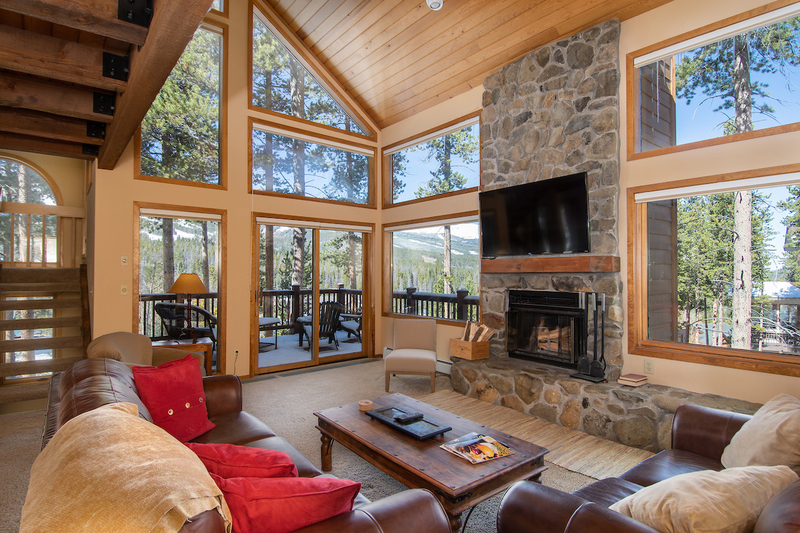 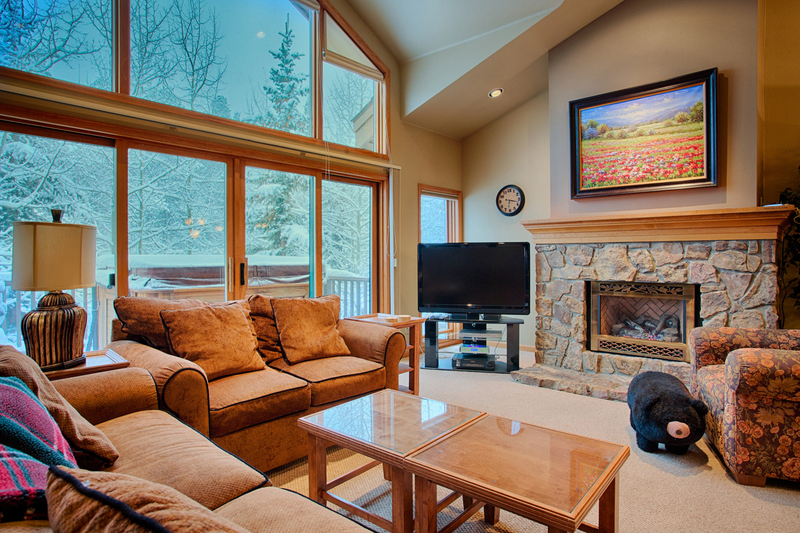 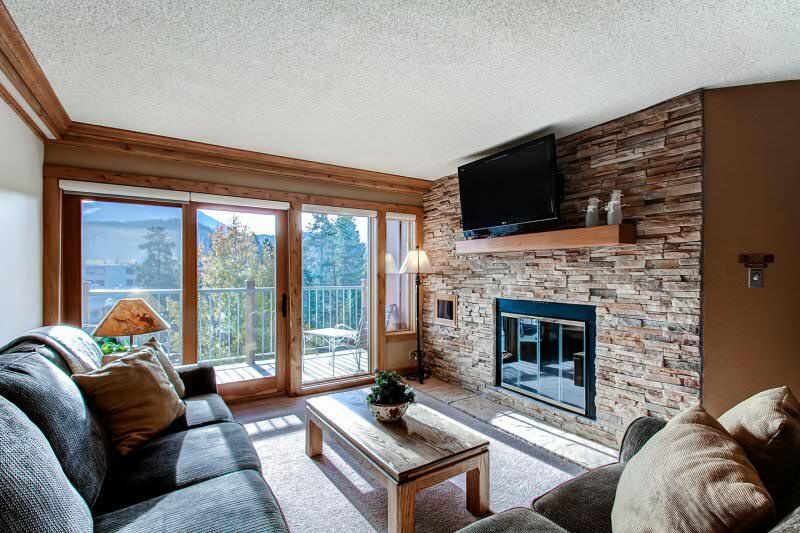 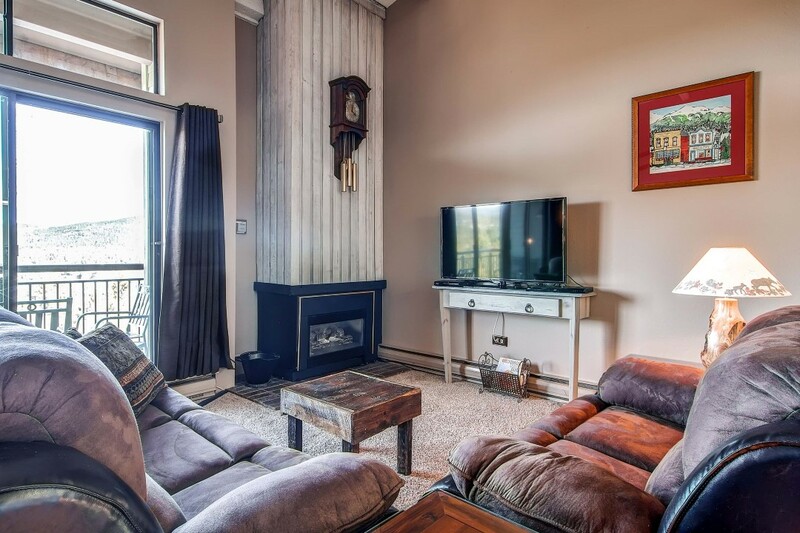 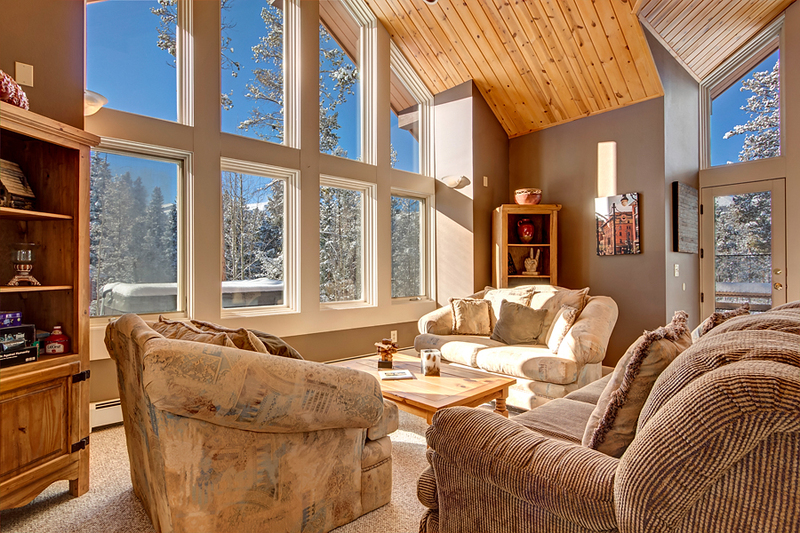 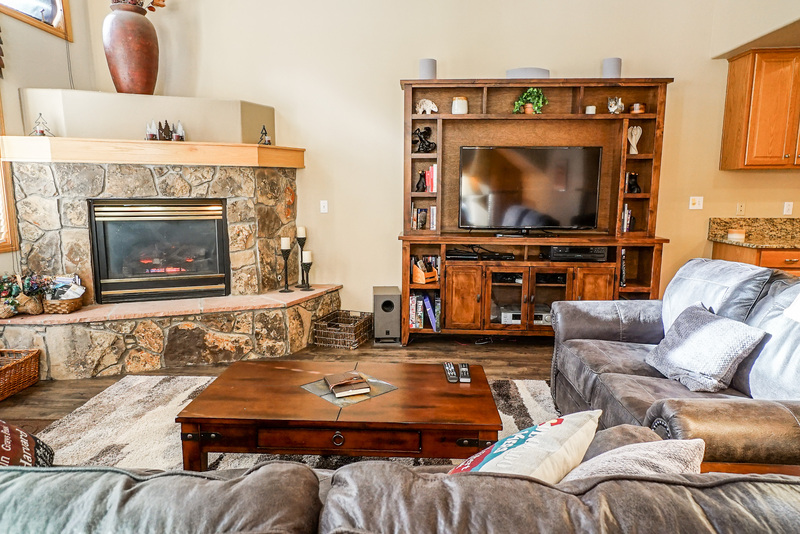 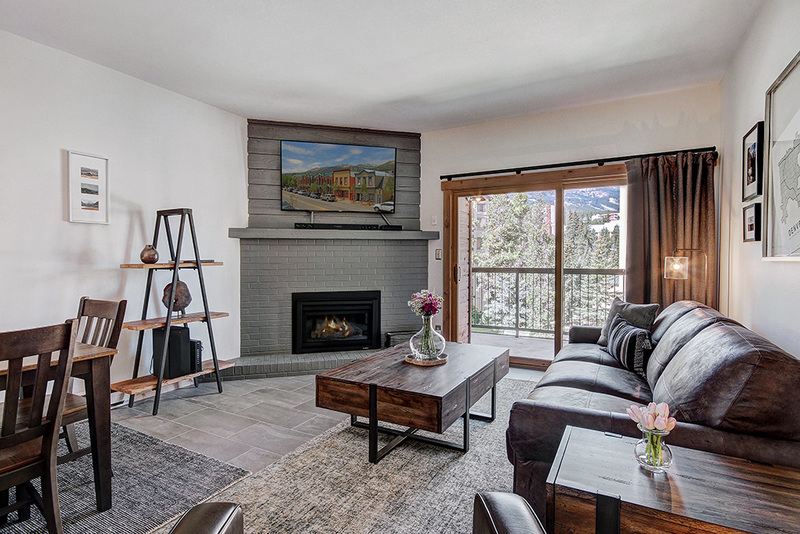 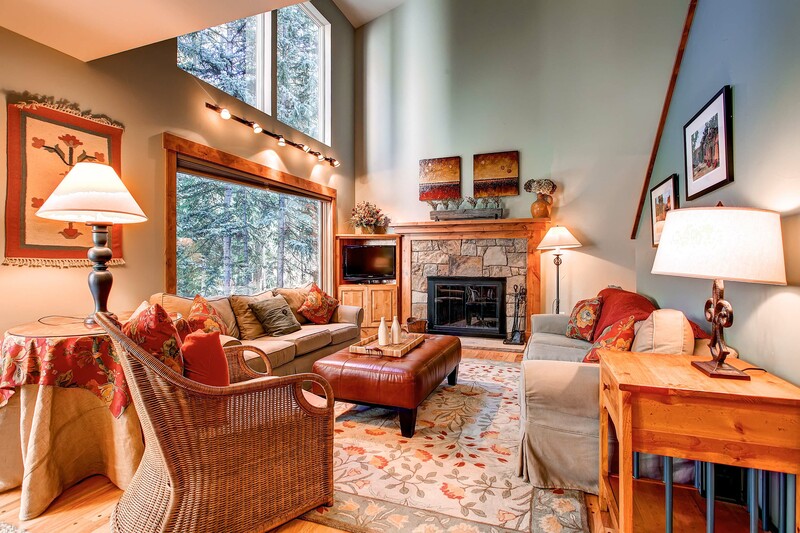 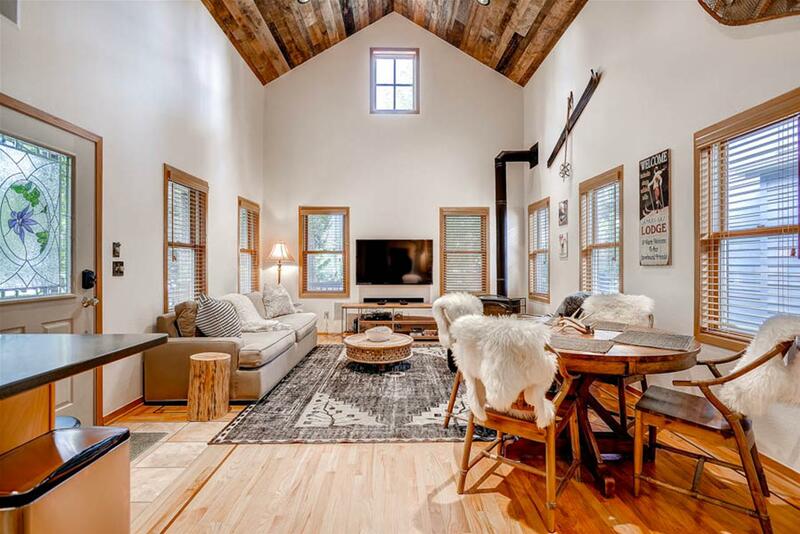 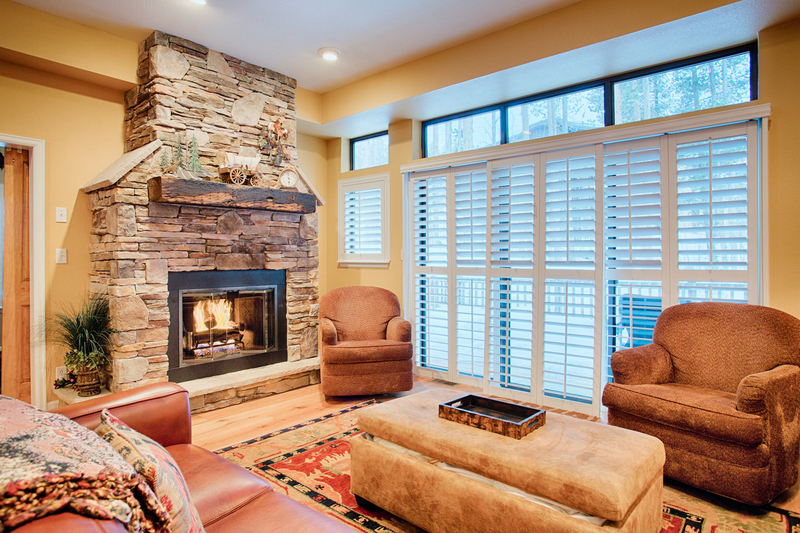 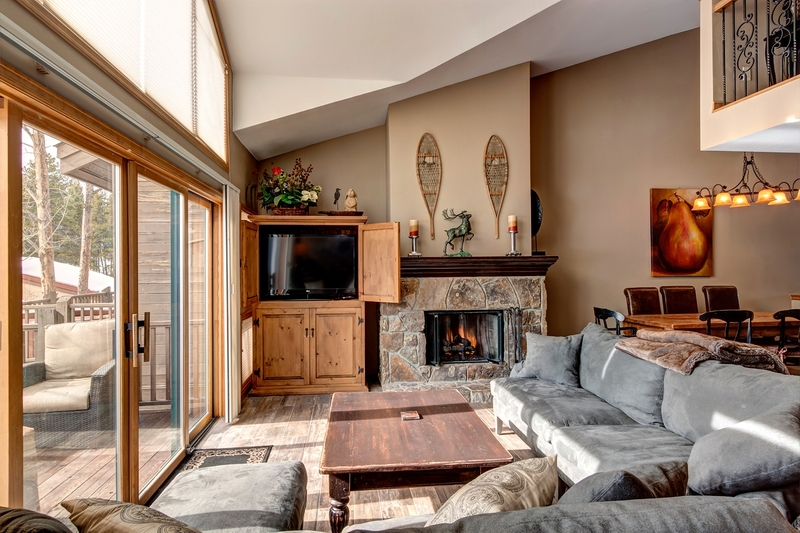 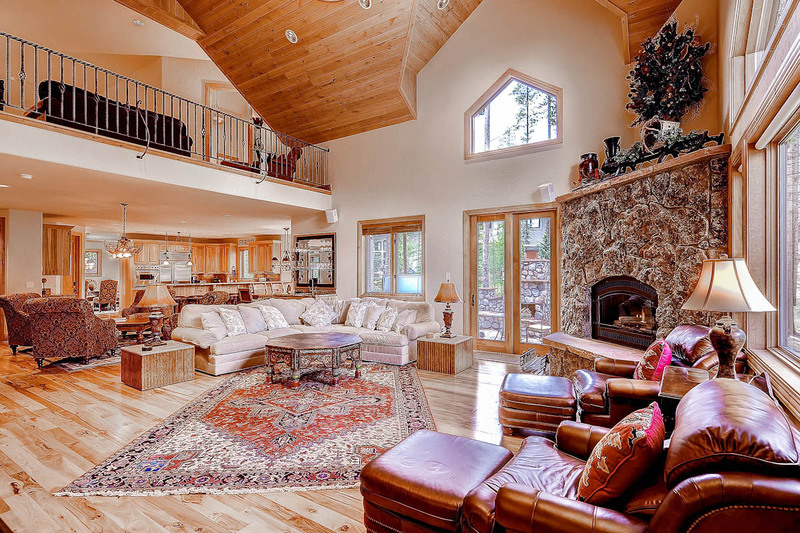 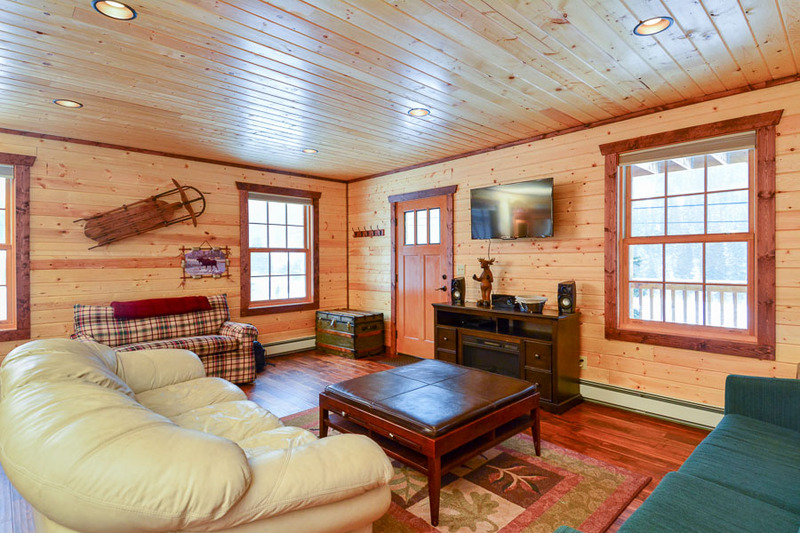 Enjoy the crackle of a wood burning fireplace, good sun from the living room balcony or an evening catching up on movies on the flatscreen television.